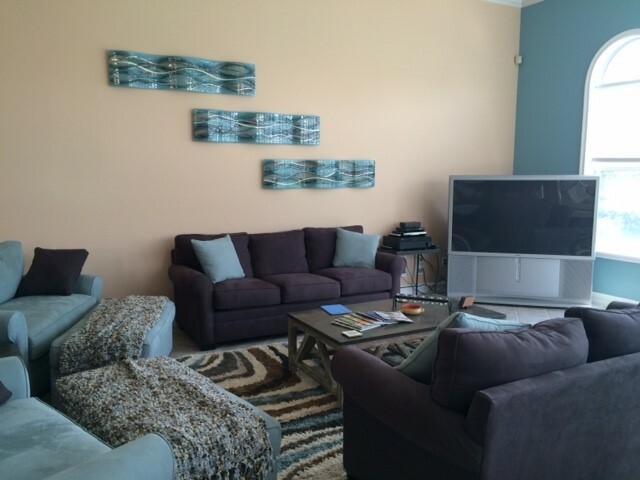 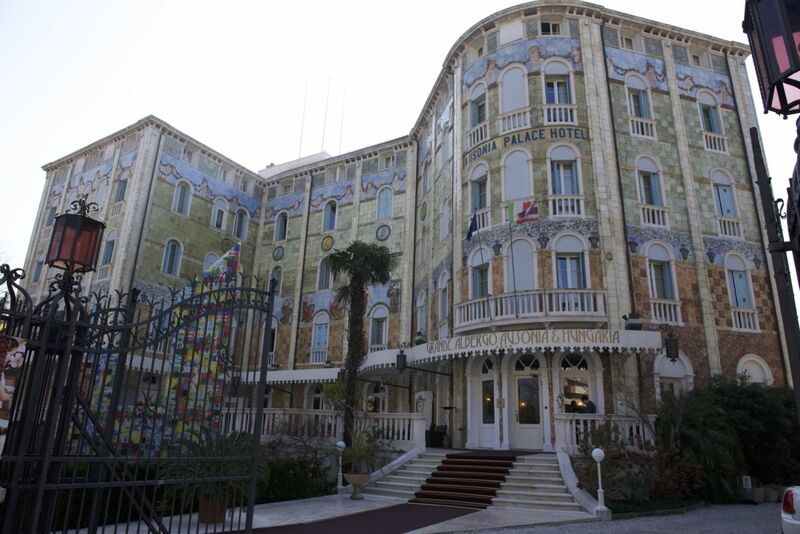 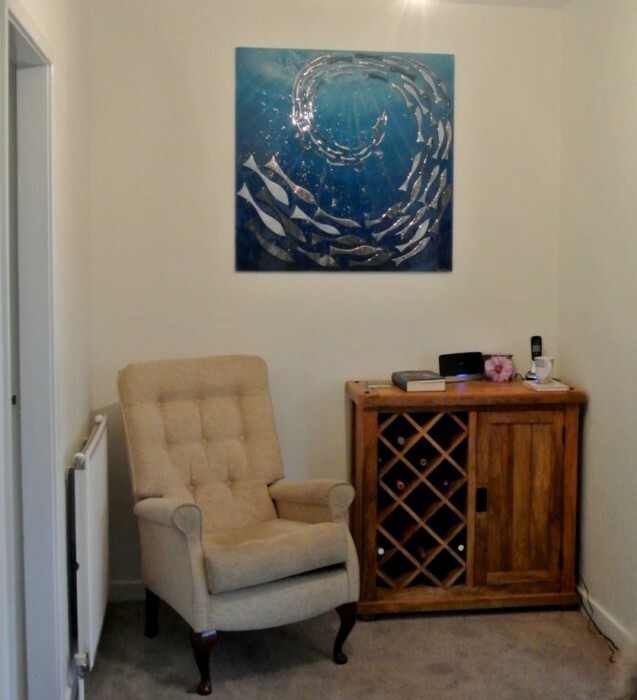 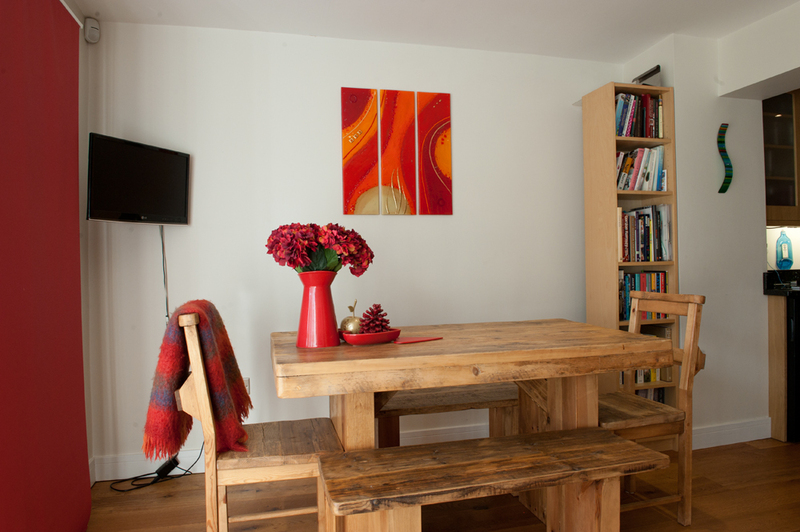 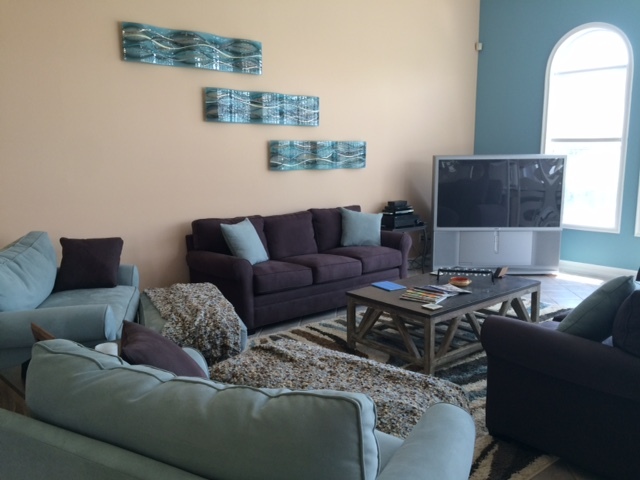 Do you have a room in your home that’s badly in need of decoration? 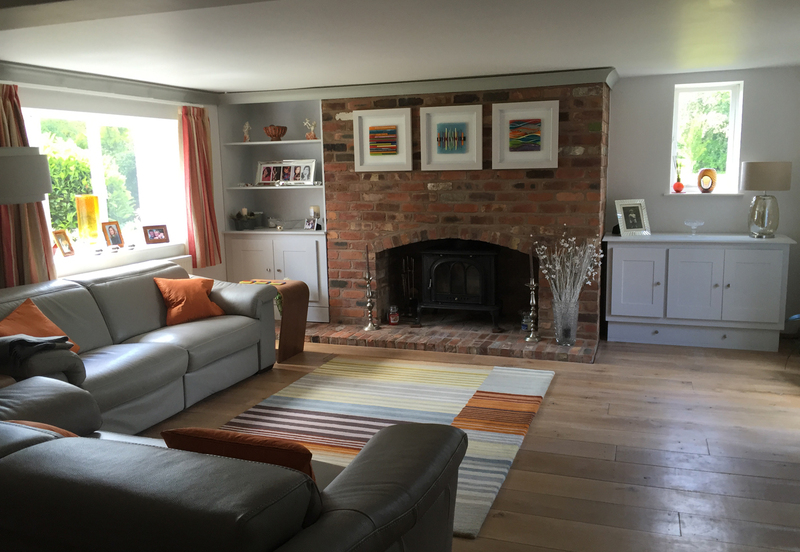 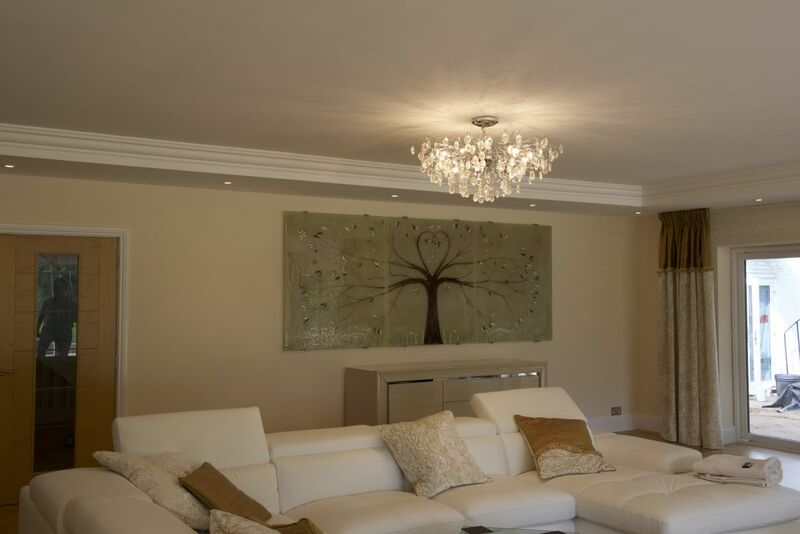 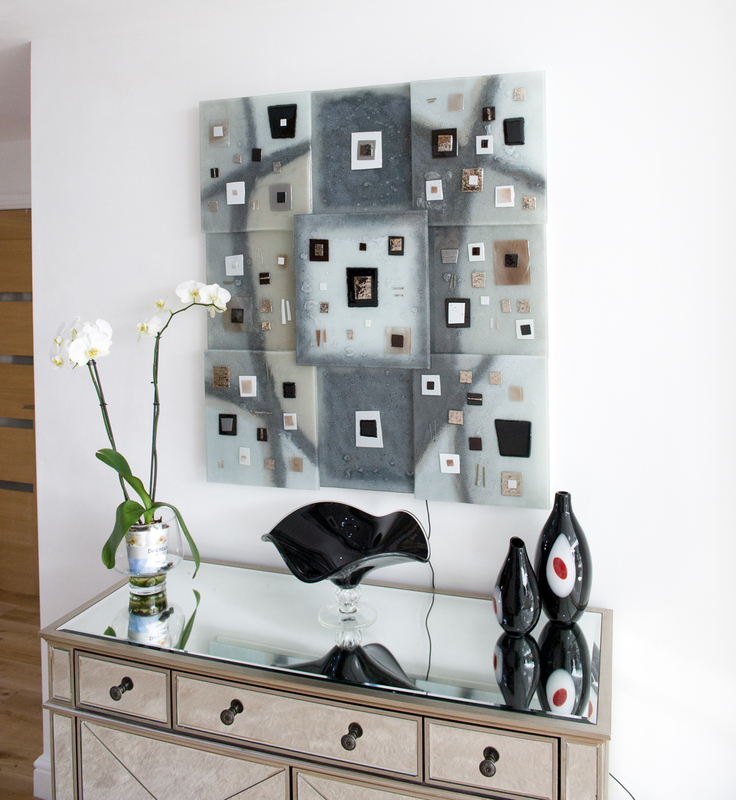 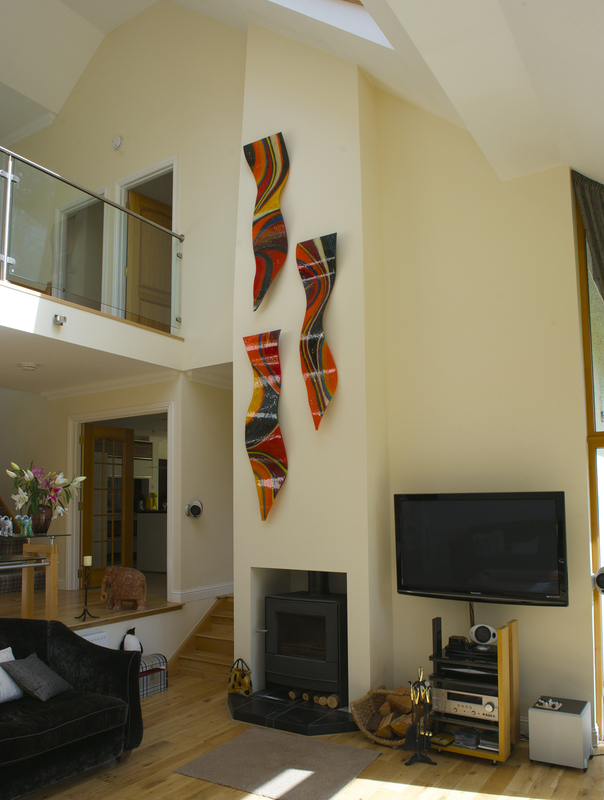 Is there a space somewhere in your living room that just needs a little something extra to really look complete? 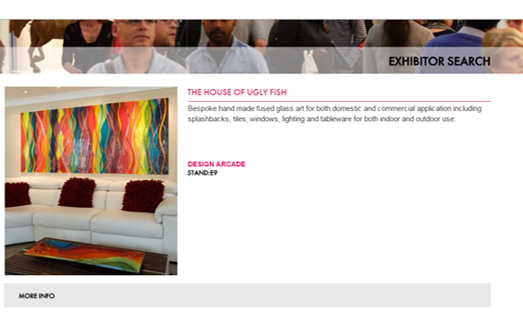 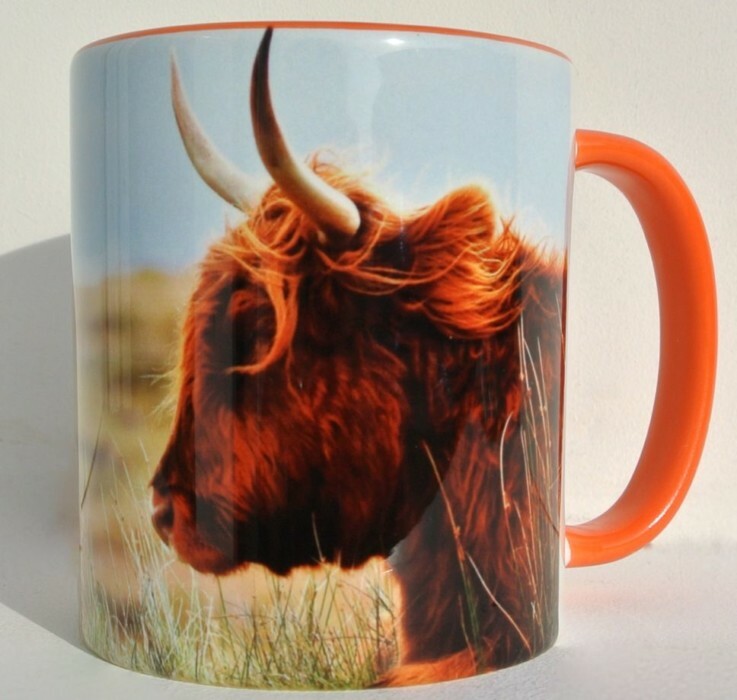 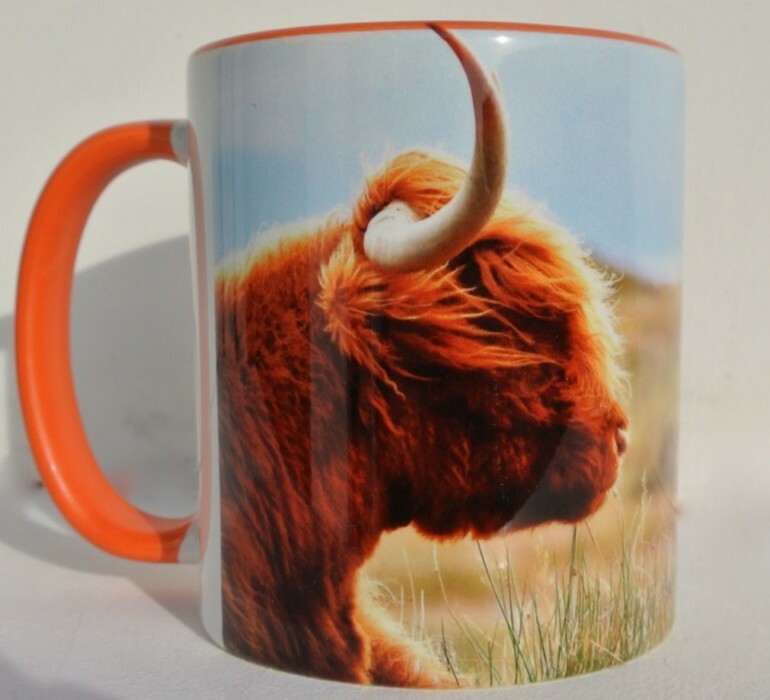 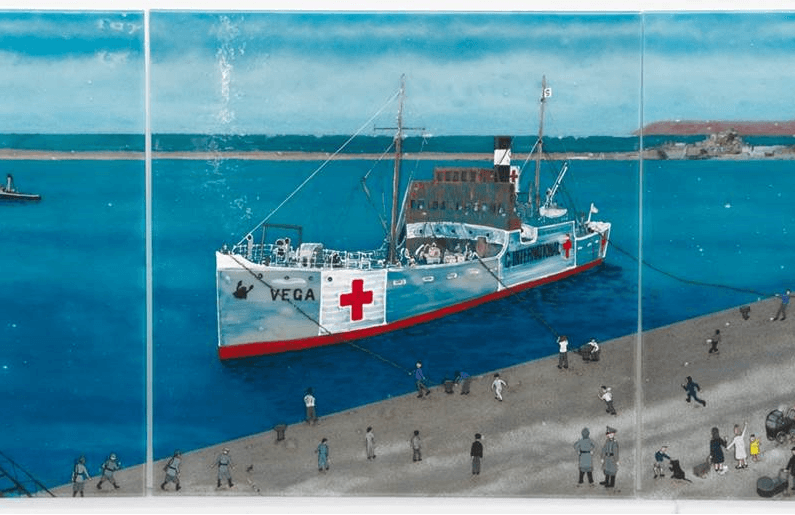 If you find yourself searching for the kind of decorative accessory that no-one else can say they have in their home, The House of Ugly Fish is just the place for you. 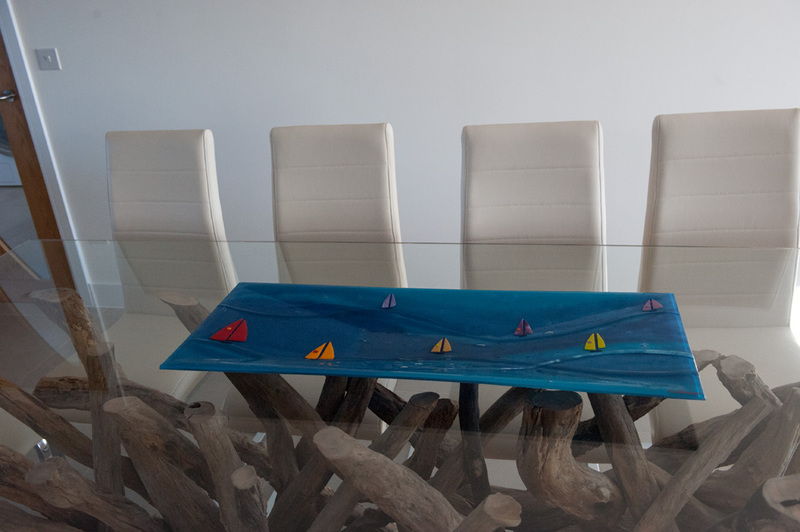 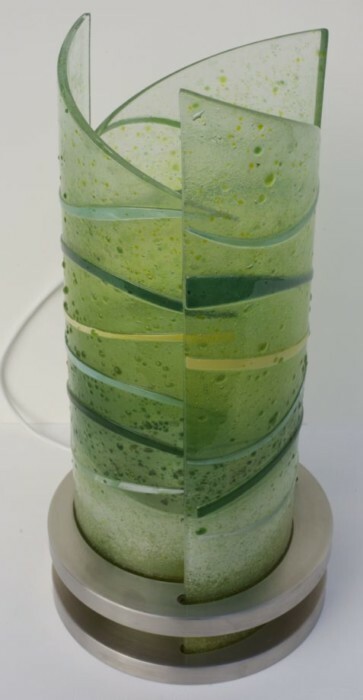 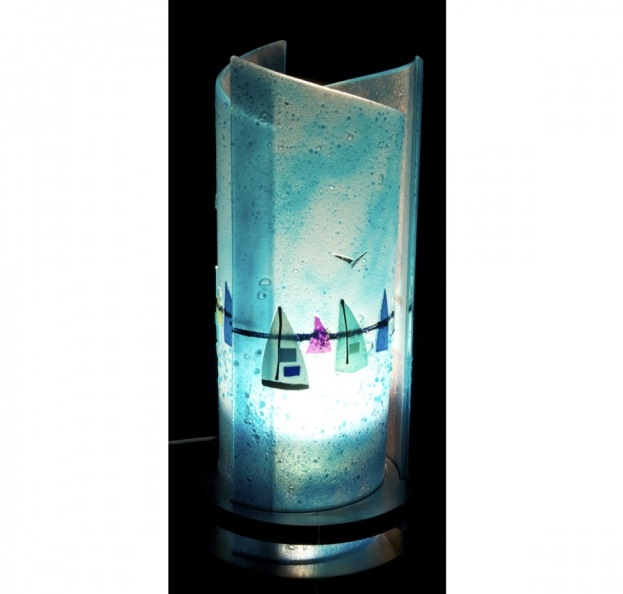 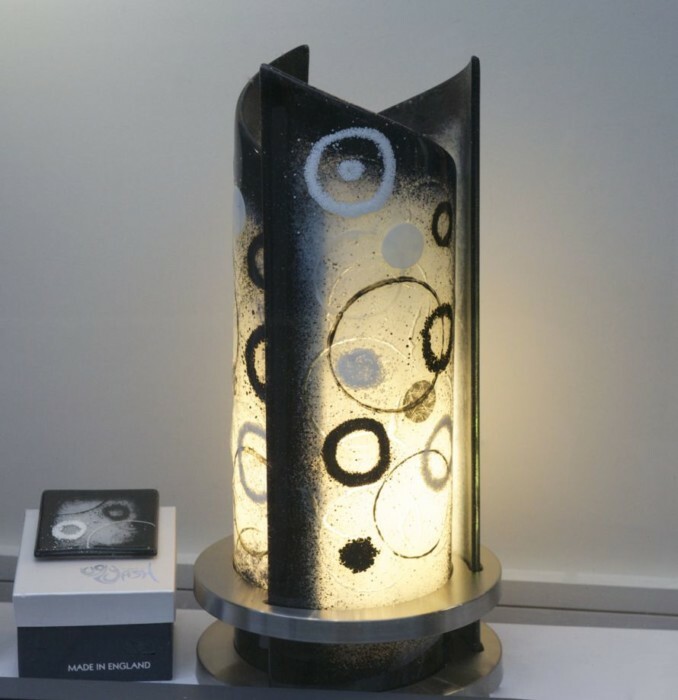 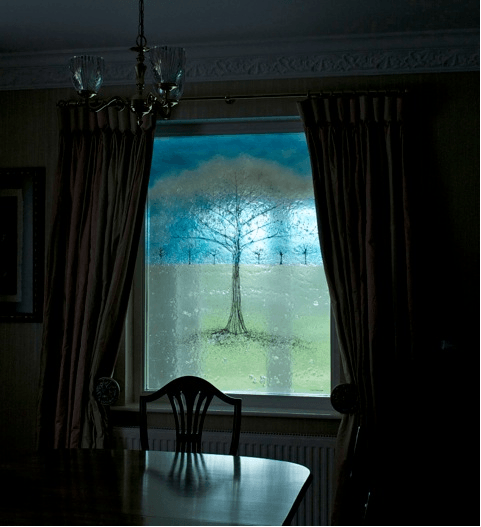 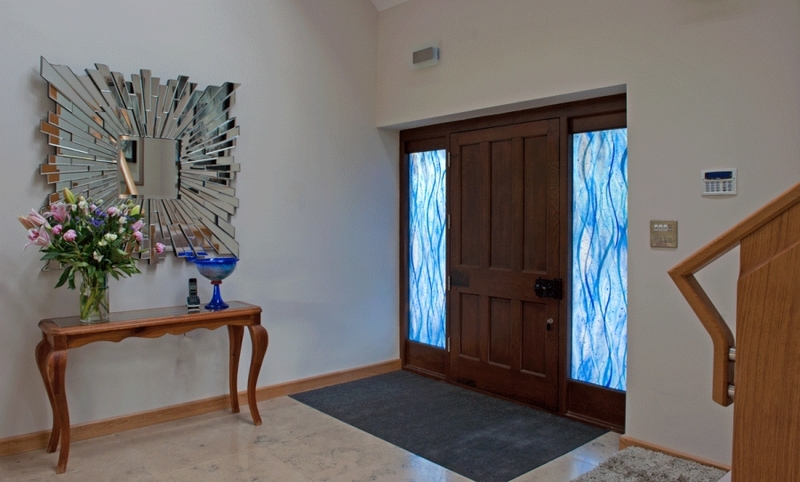 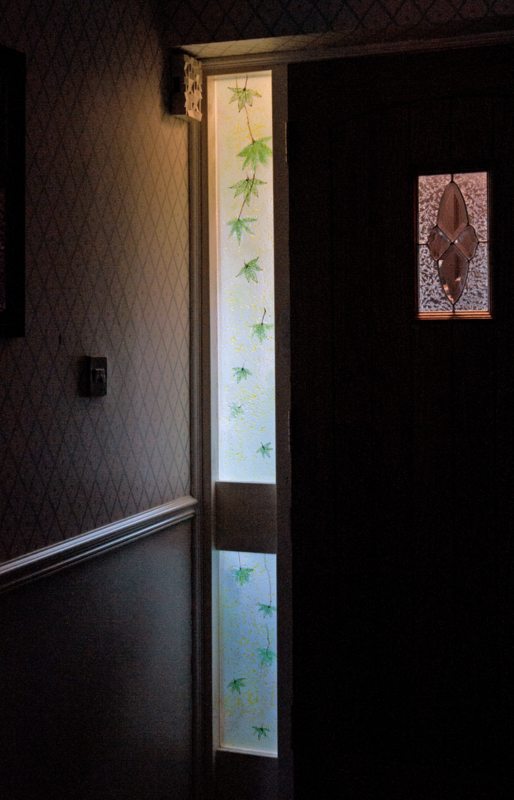 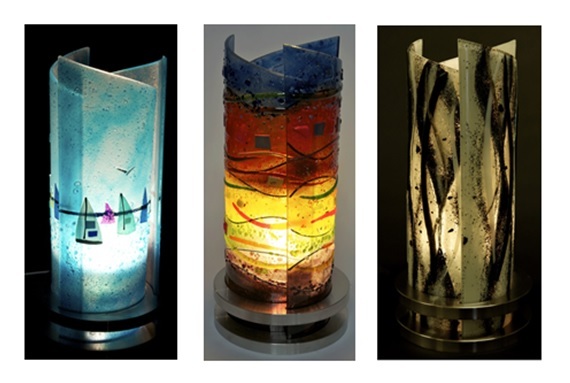 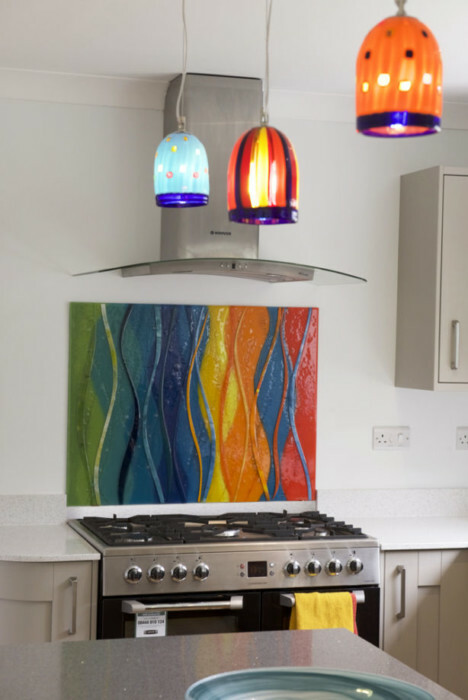 Our fused glass accessories come in all shapes and all sizes, including truly unique styles such as our Rospo lights. 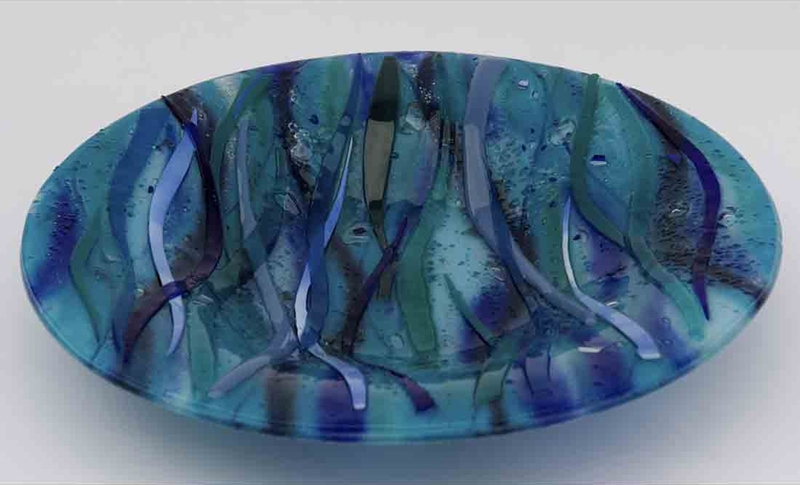 Some of our most popular and frequently requested products include table decorations like gorgeous glass bowls and matching sets of coasters, and no two are ever quite the same. 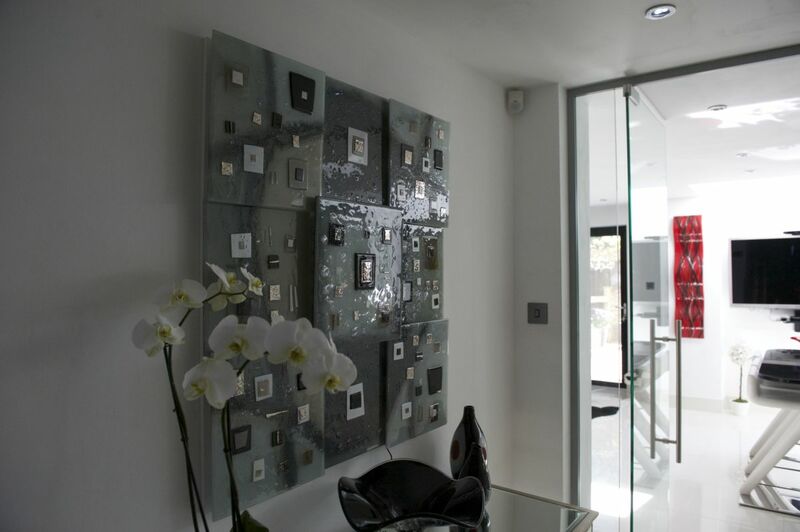 But make no mistake, accessories aren’t the only thing we do. 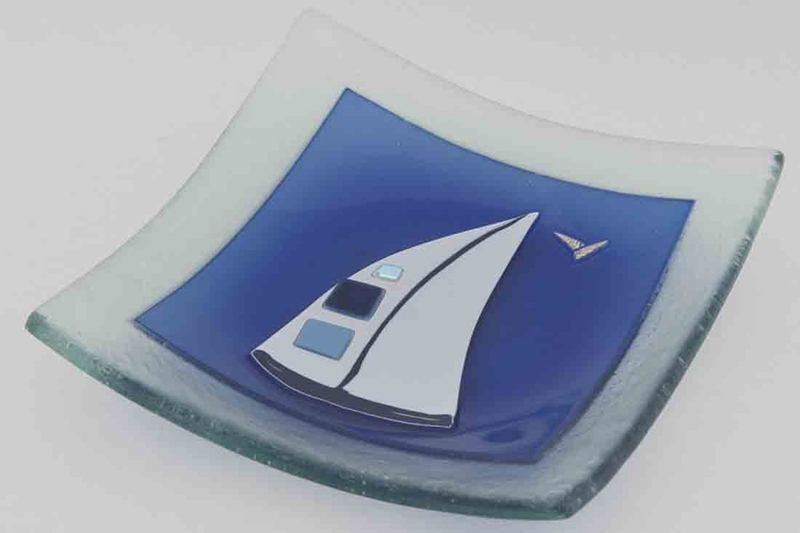 You’ll find all the same designs, eye popping colours and unique fused glass quirks in just about every piece we make, regardless of size. 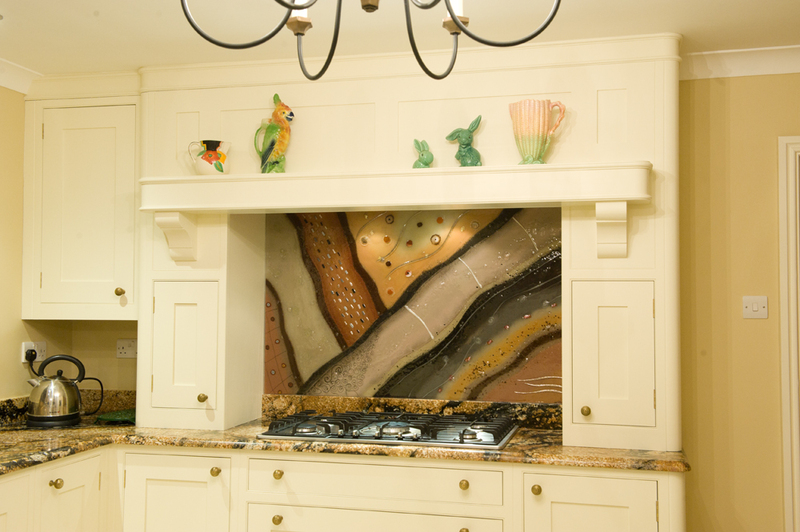 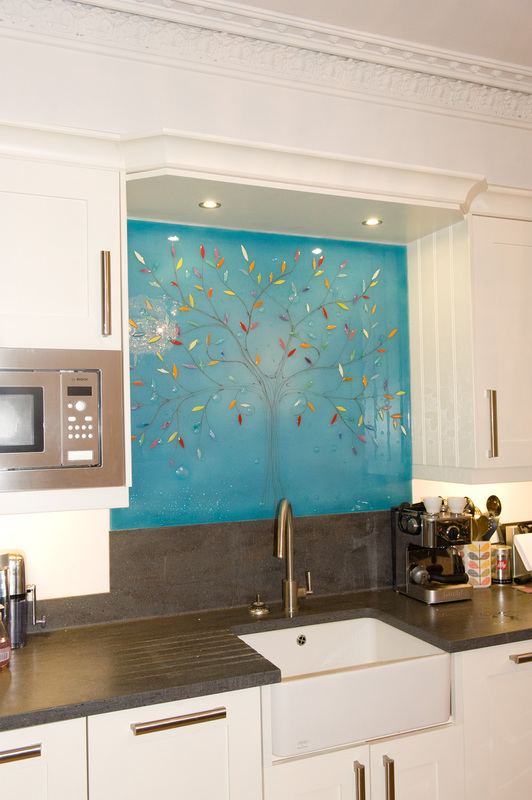 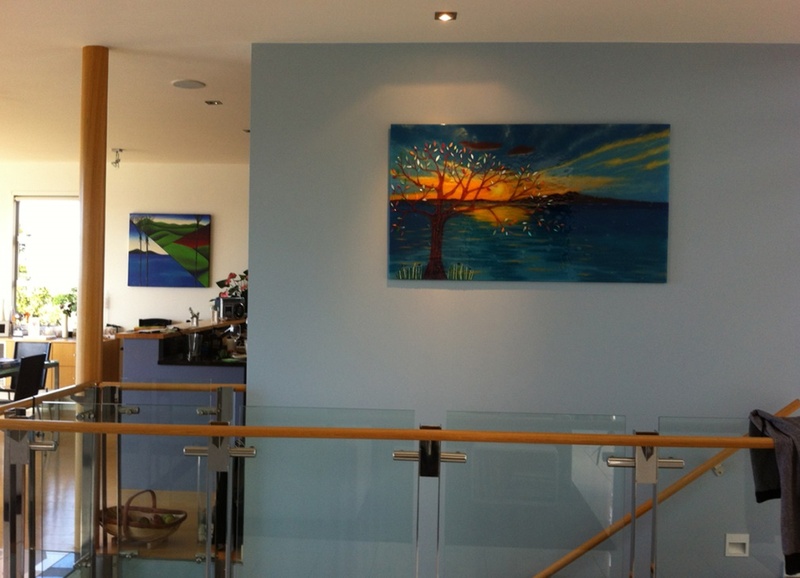 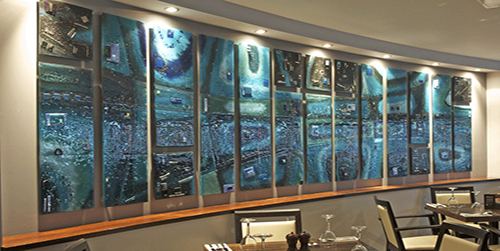 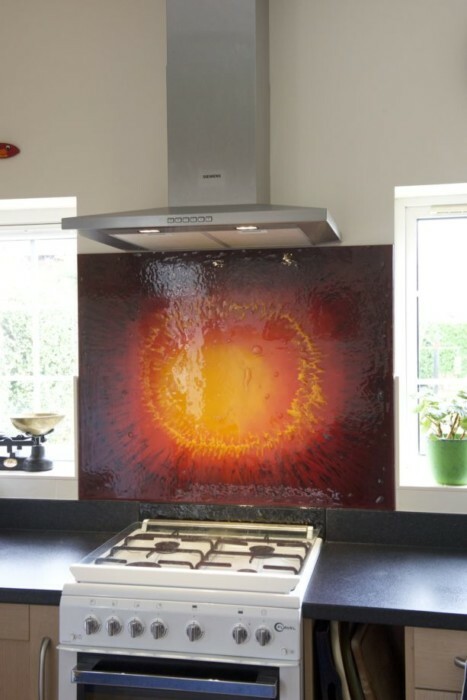 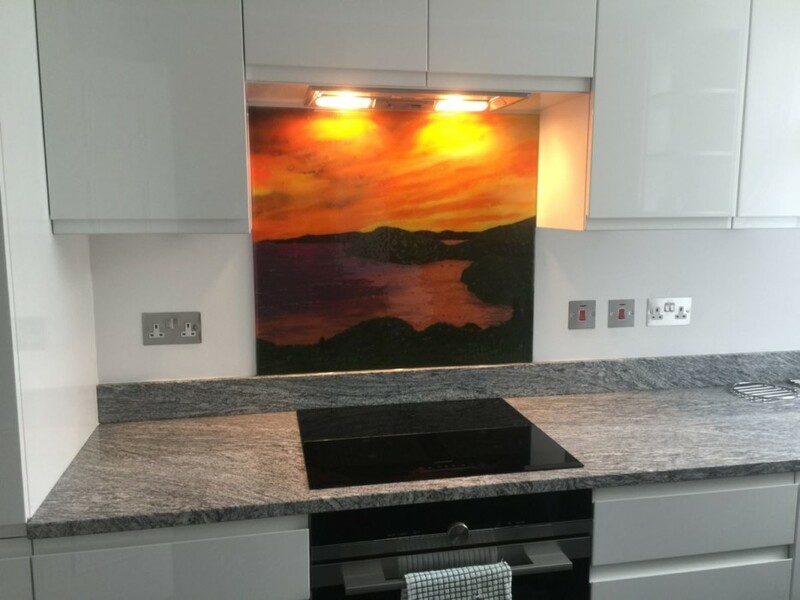 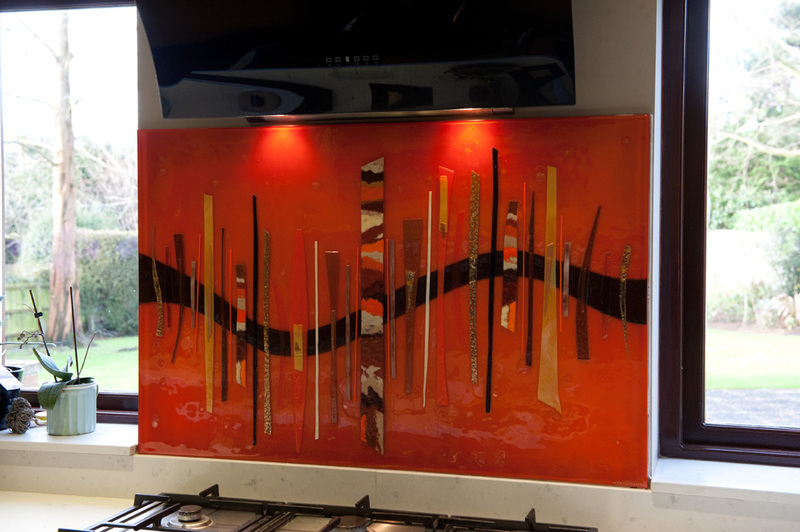 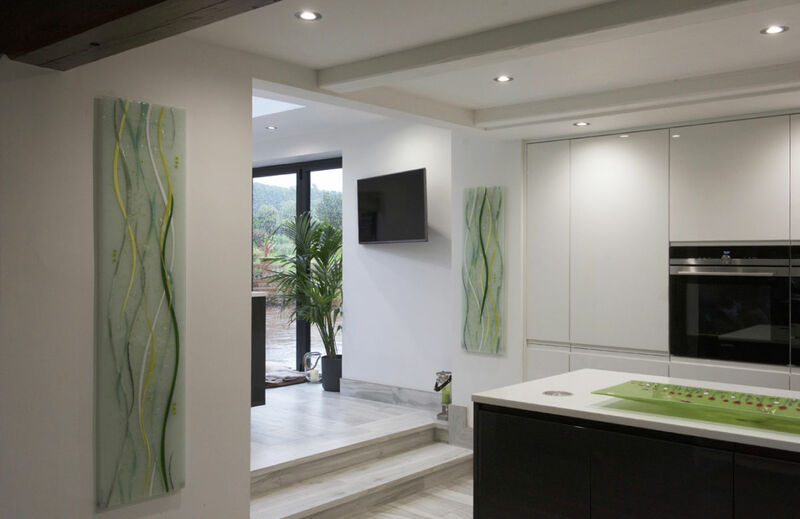 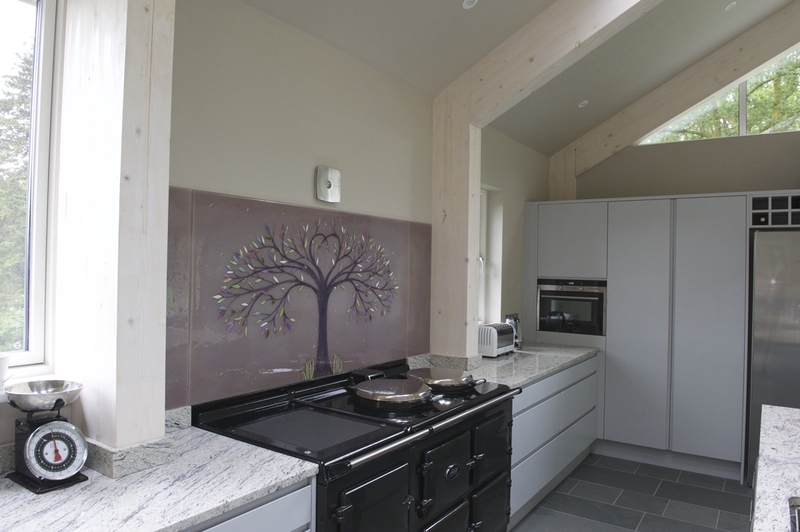 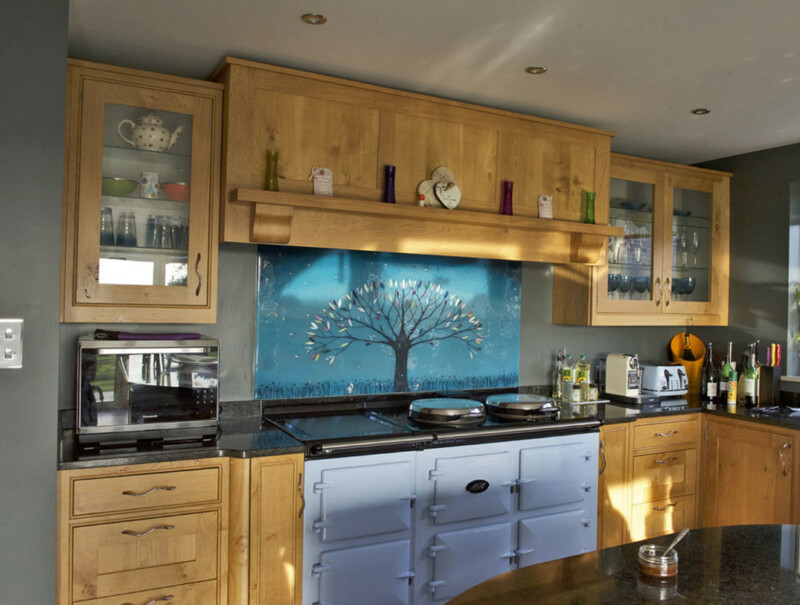 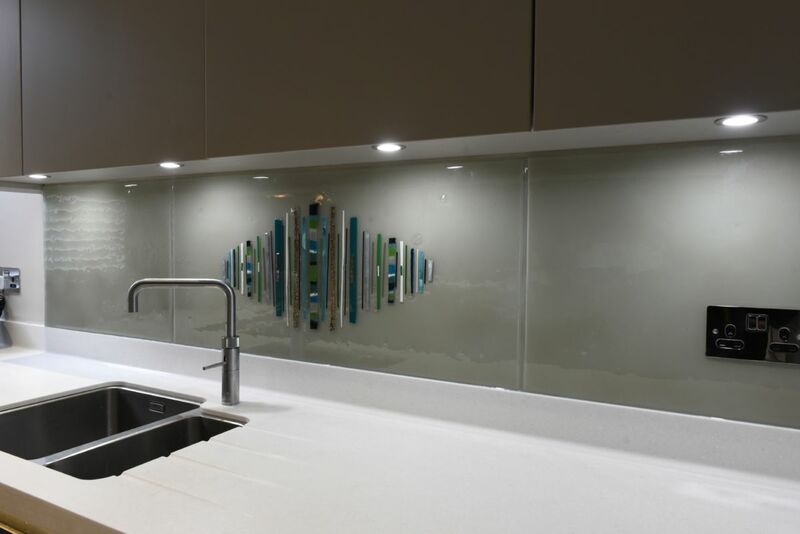 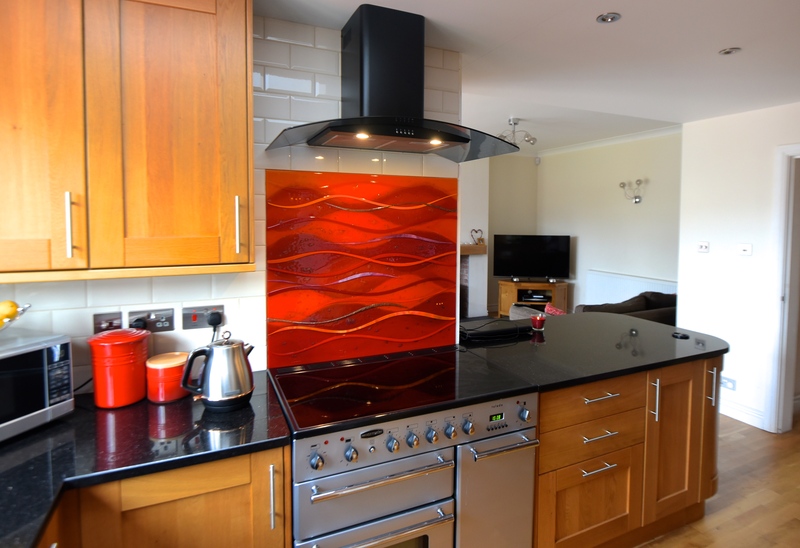 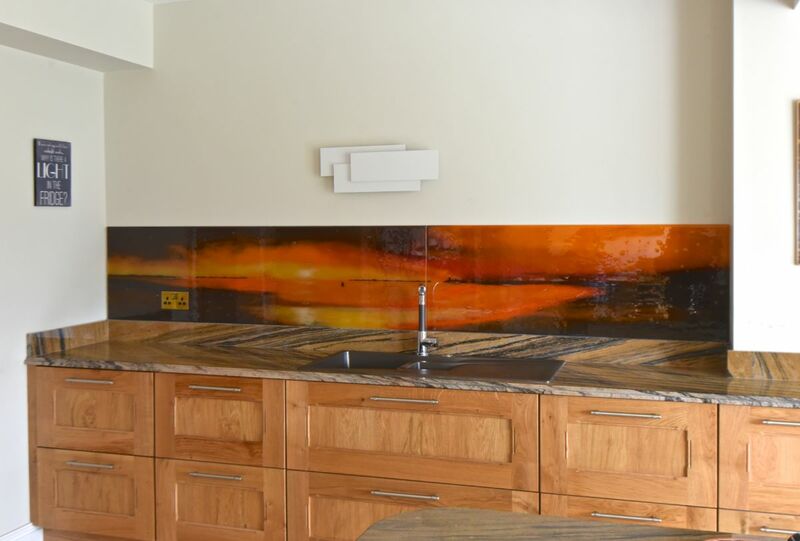 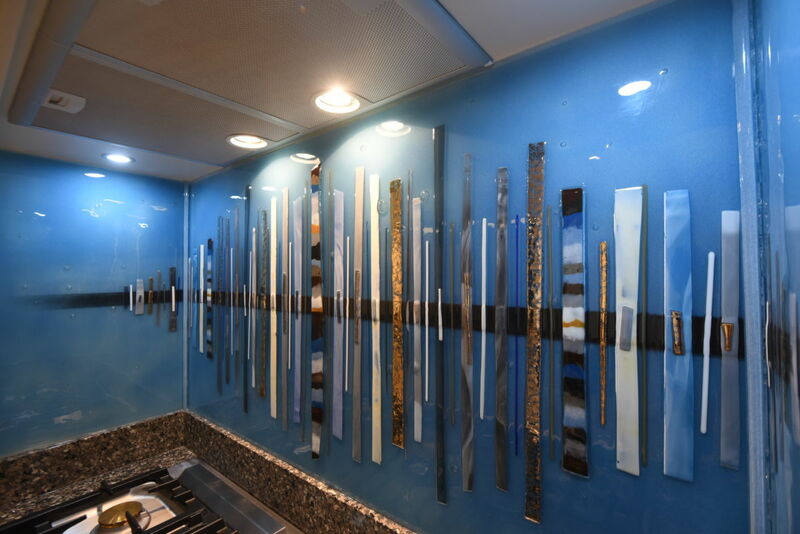 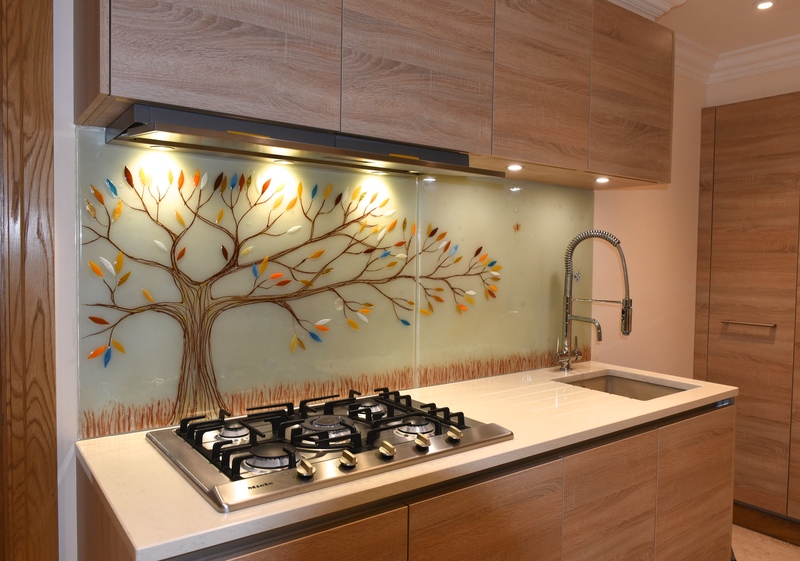 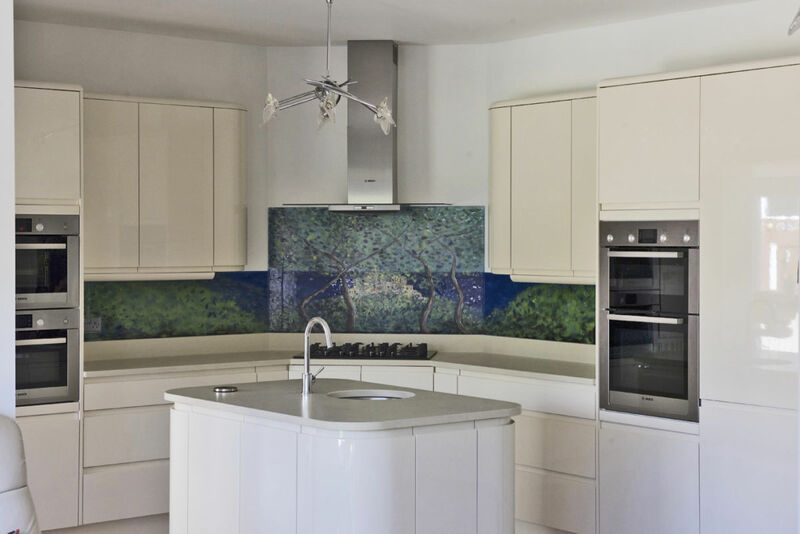 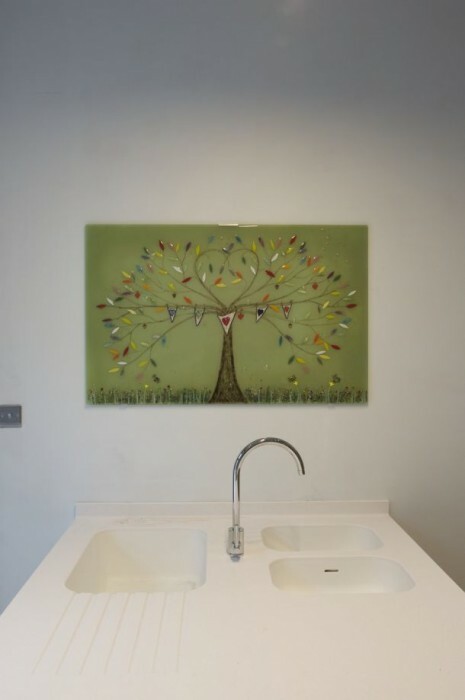 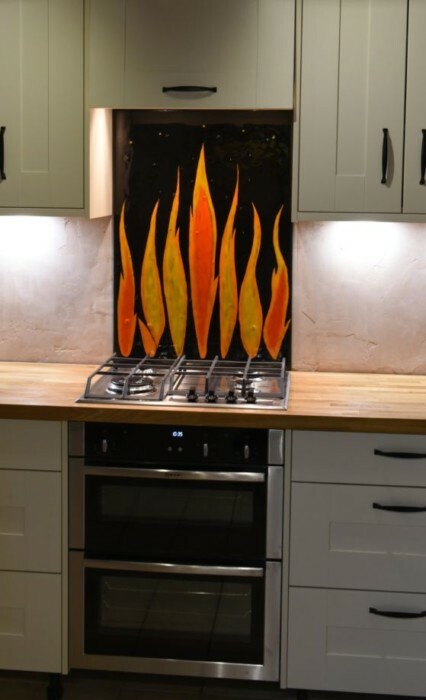 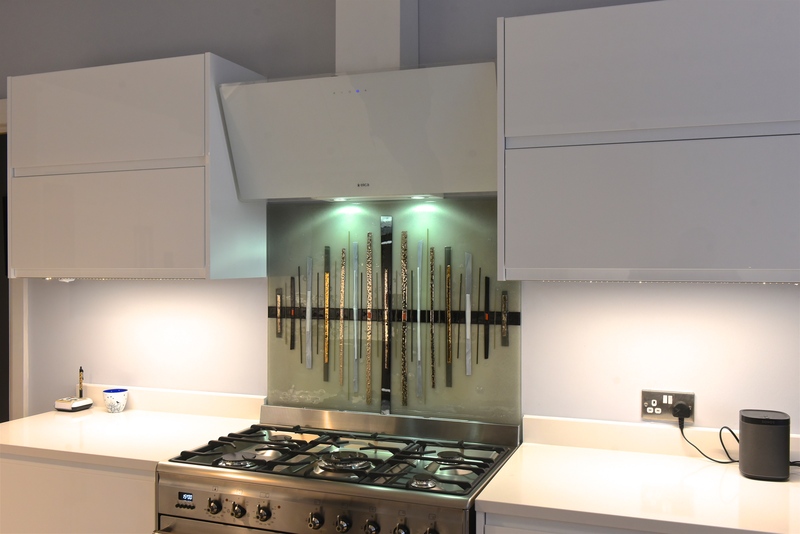 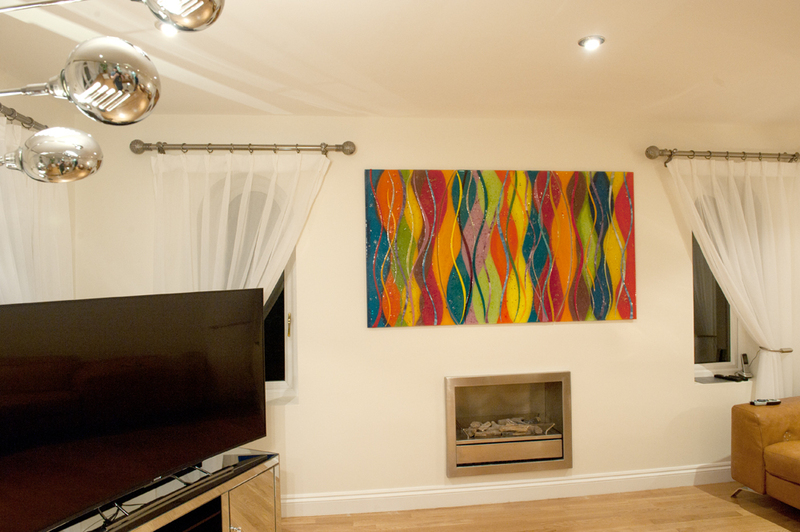 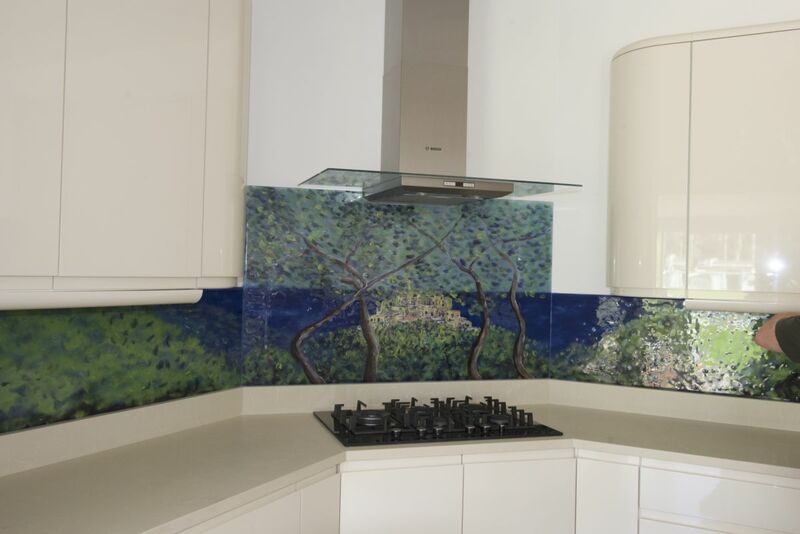 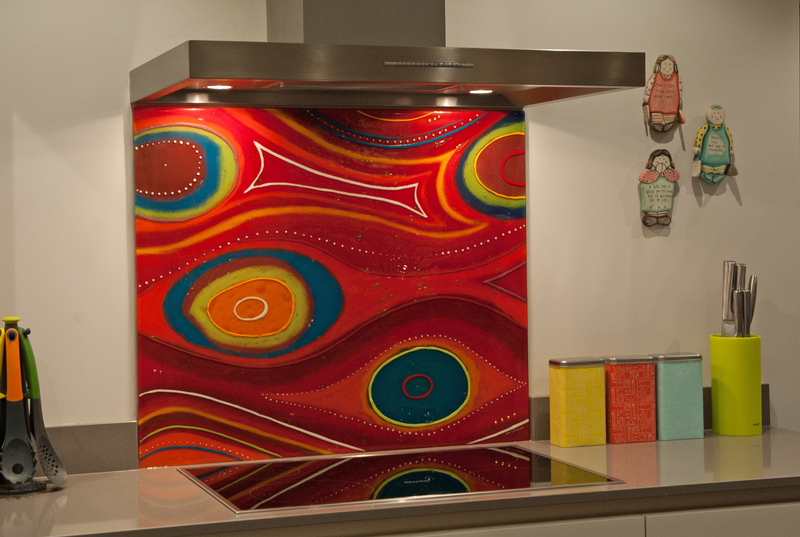 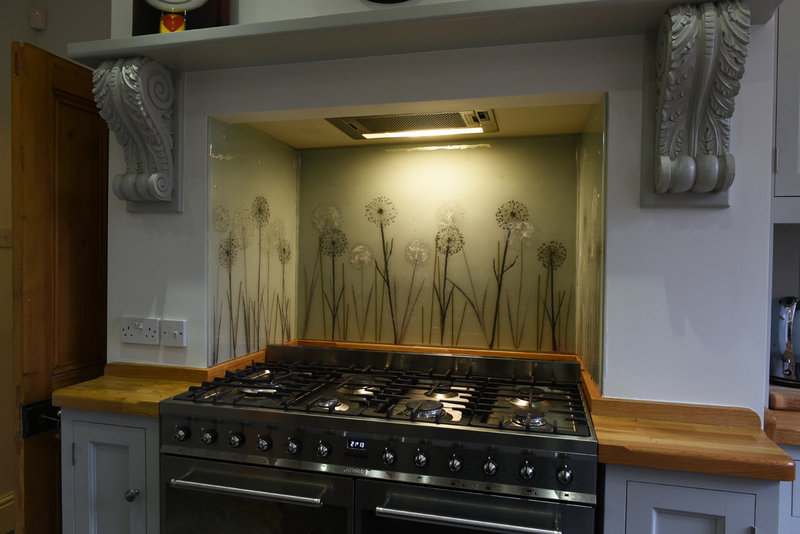 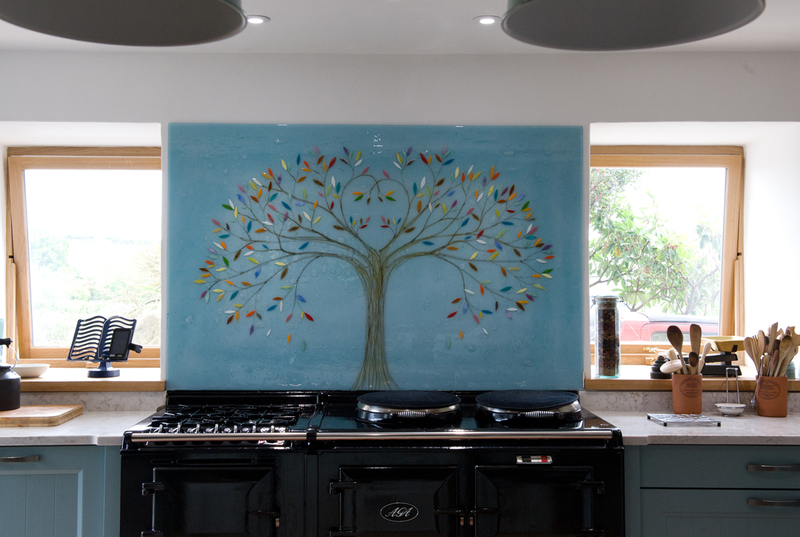 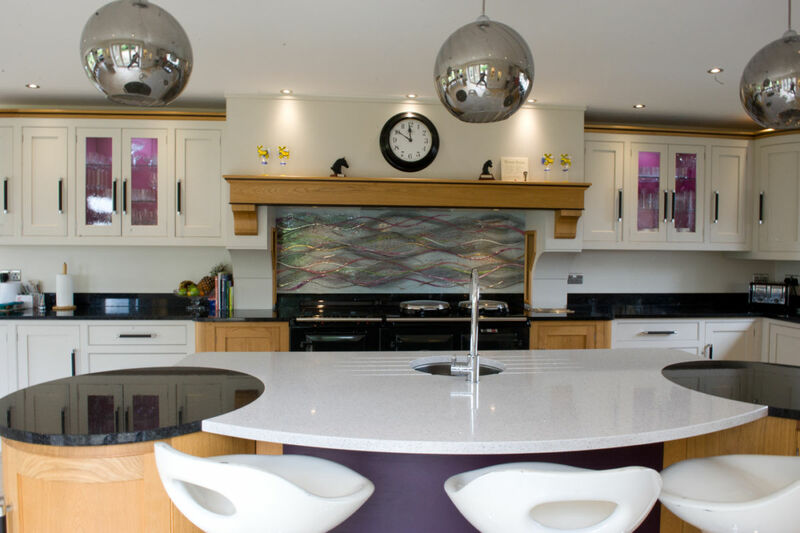 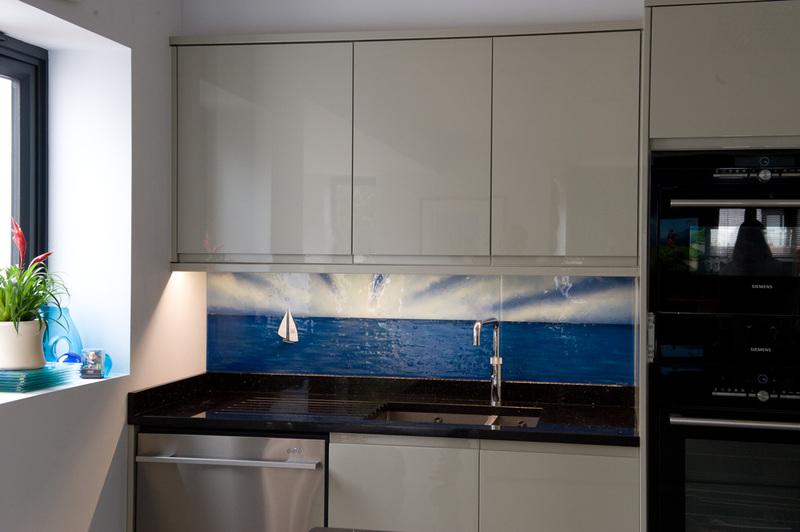 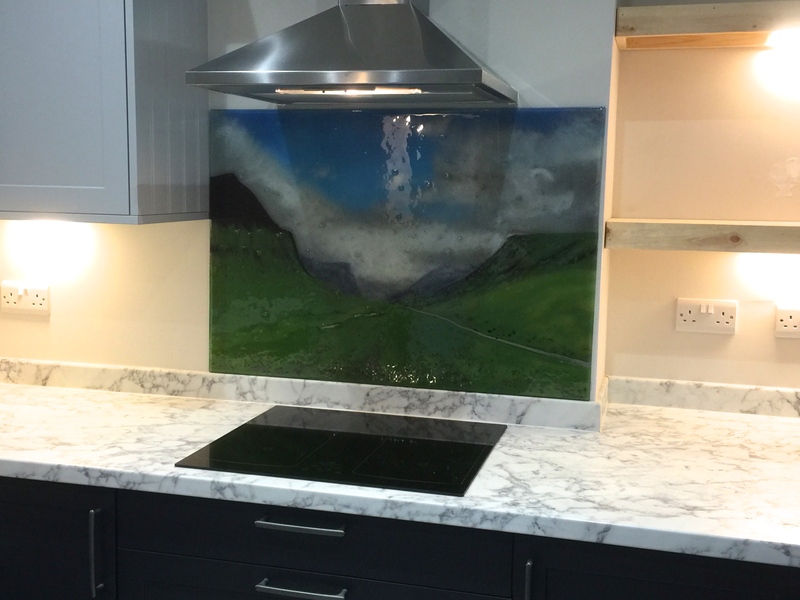 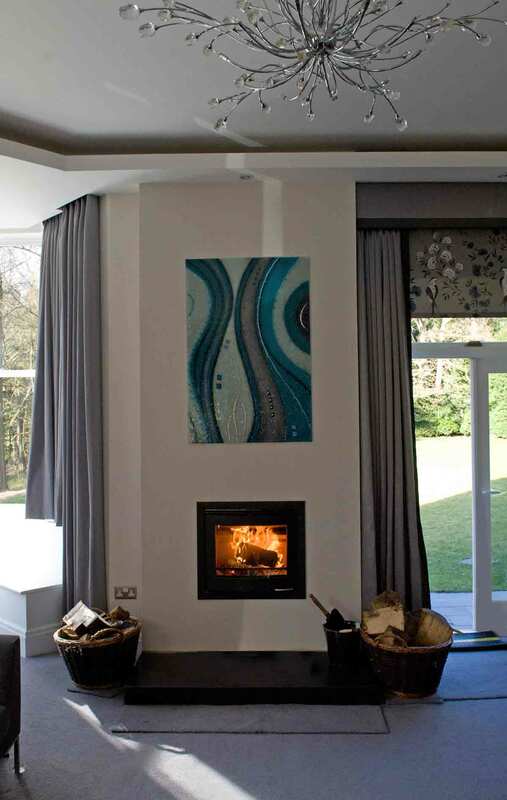 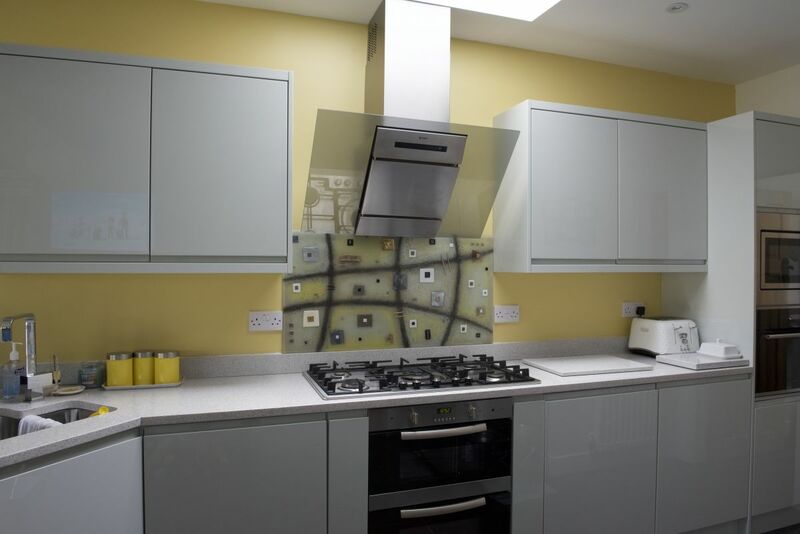 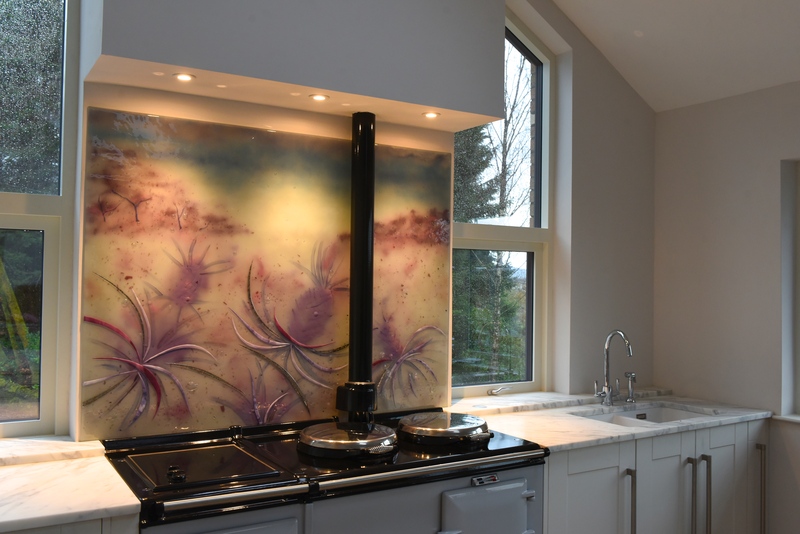 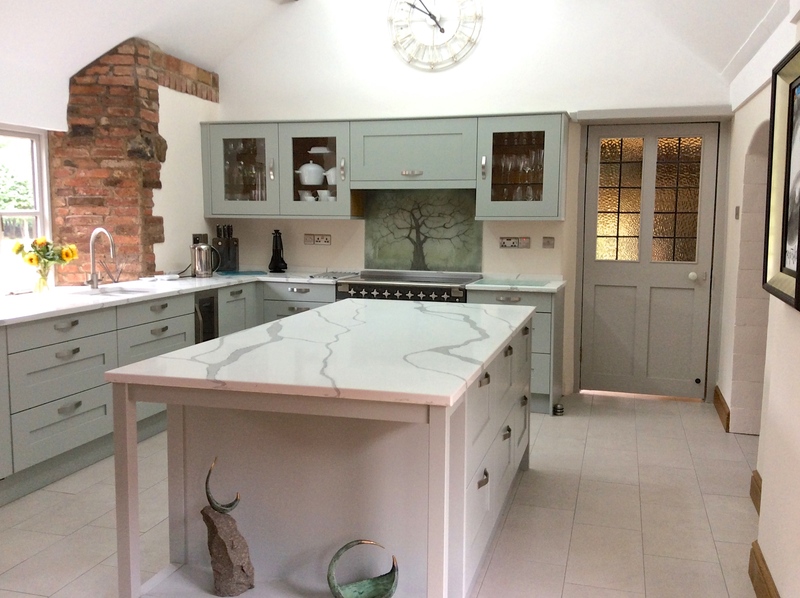 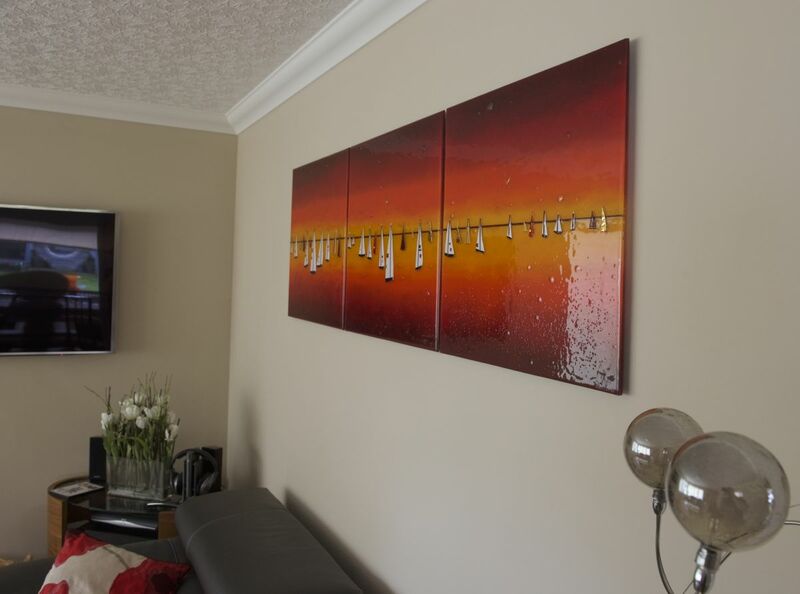 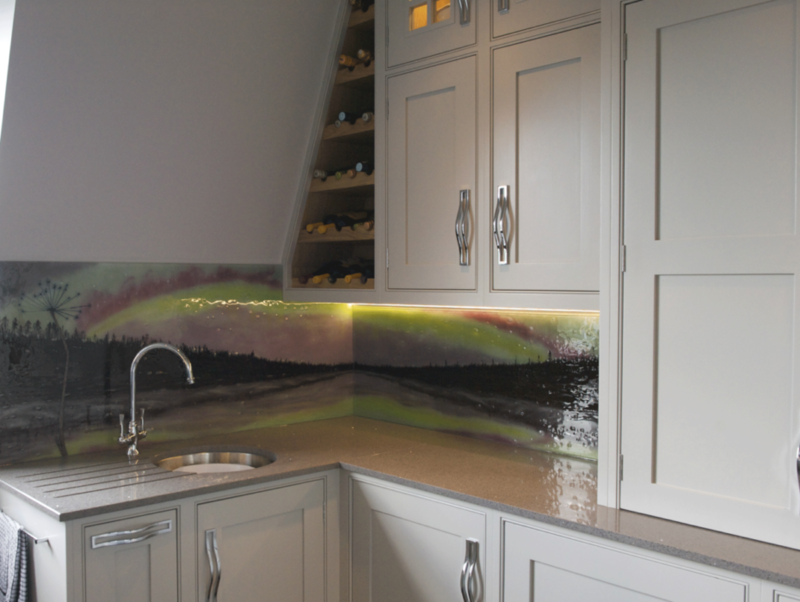 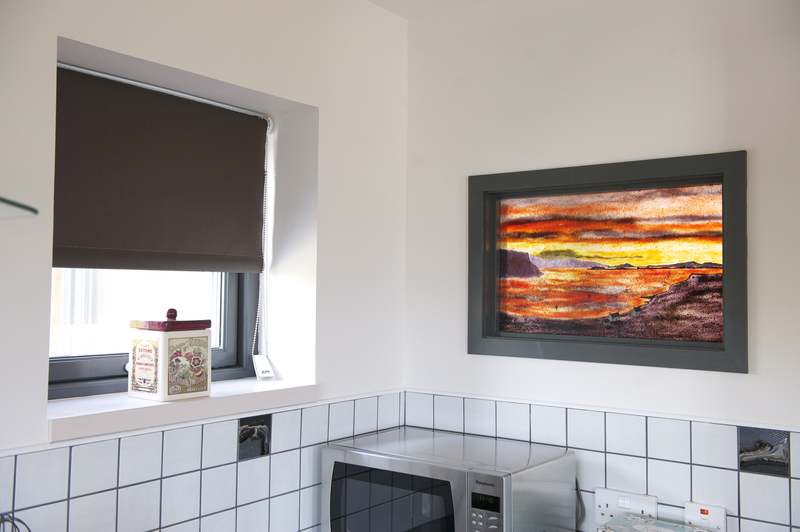 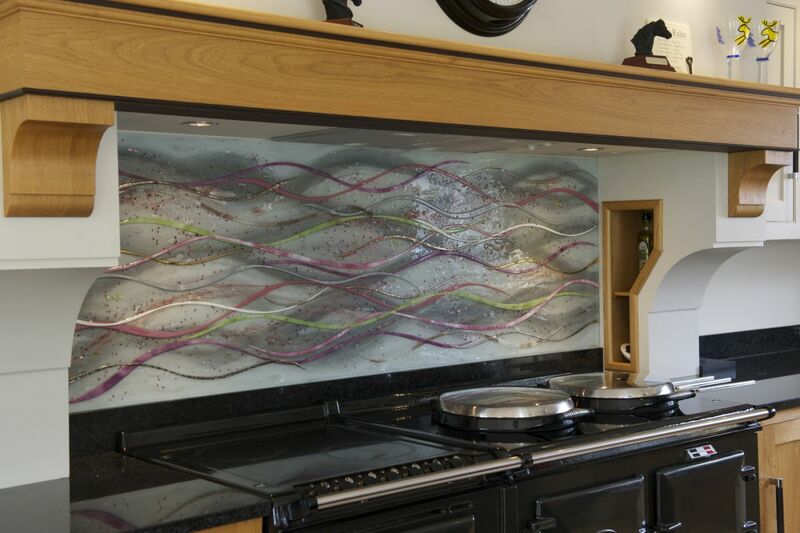 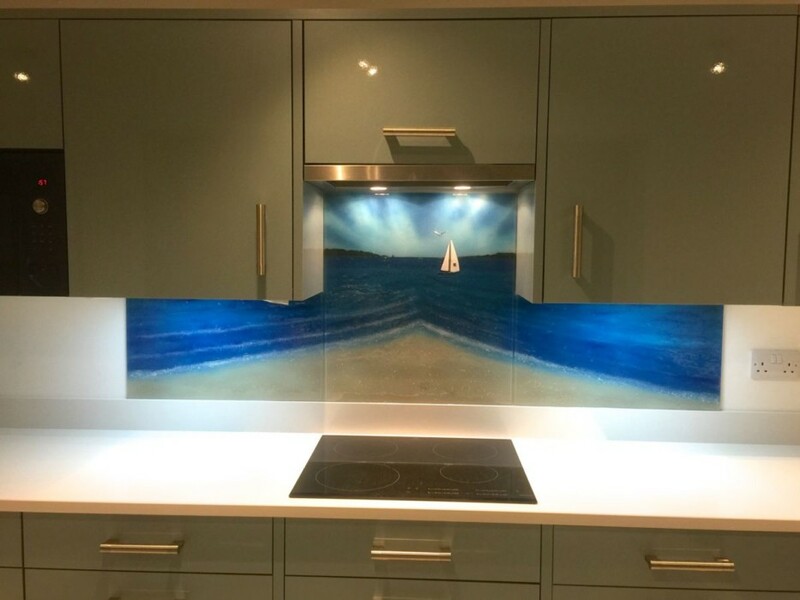 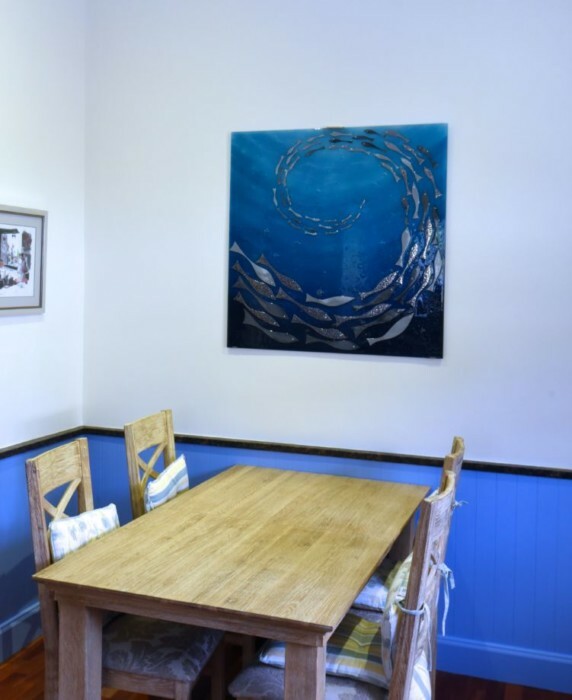 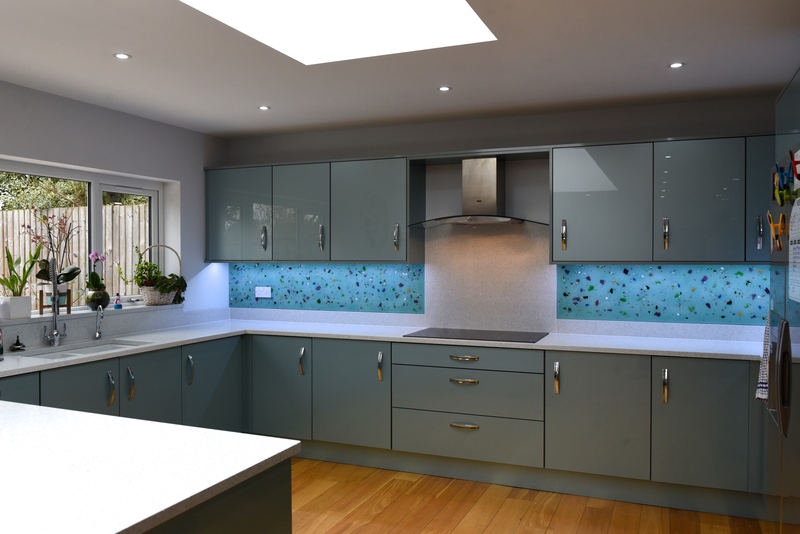 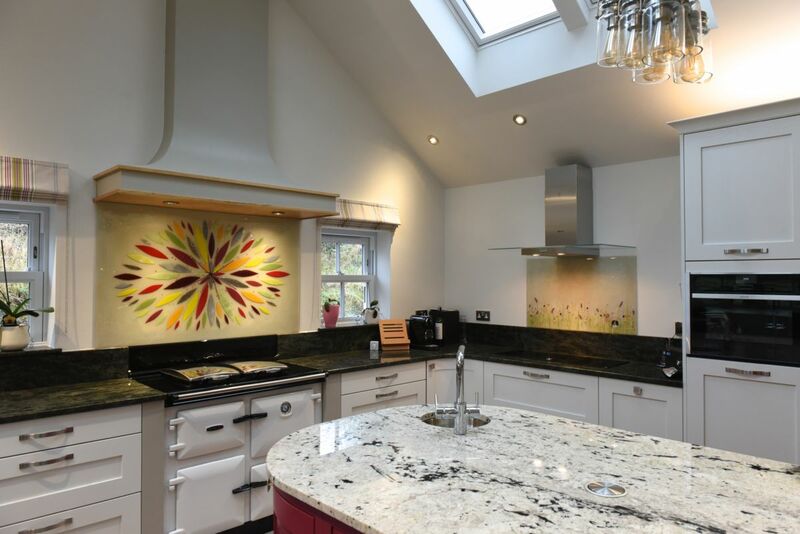 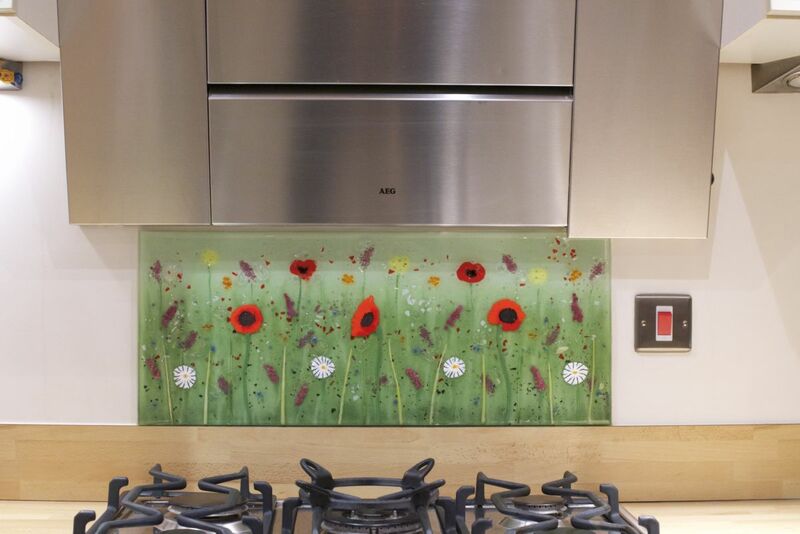 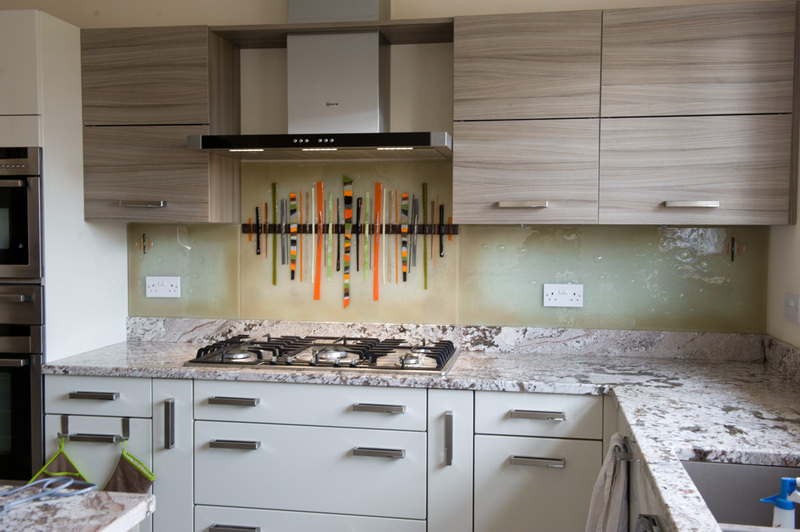 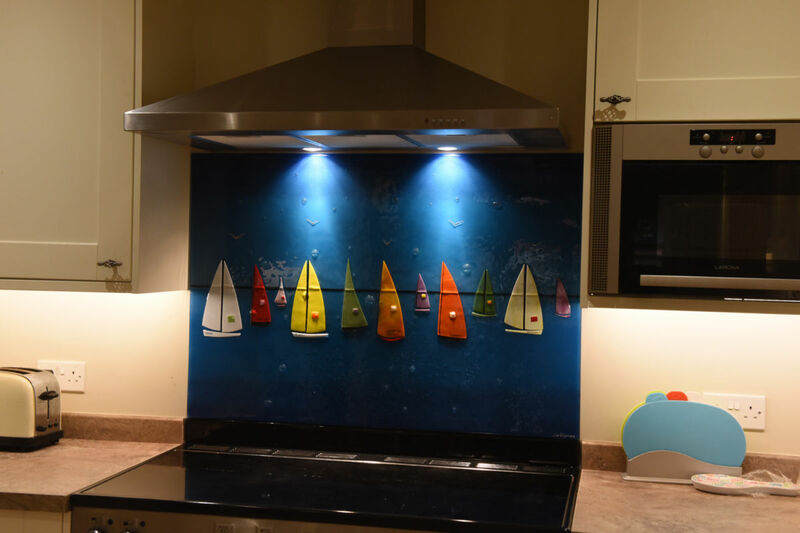 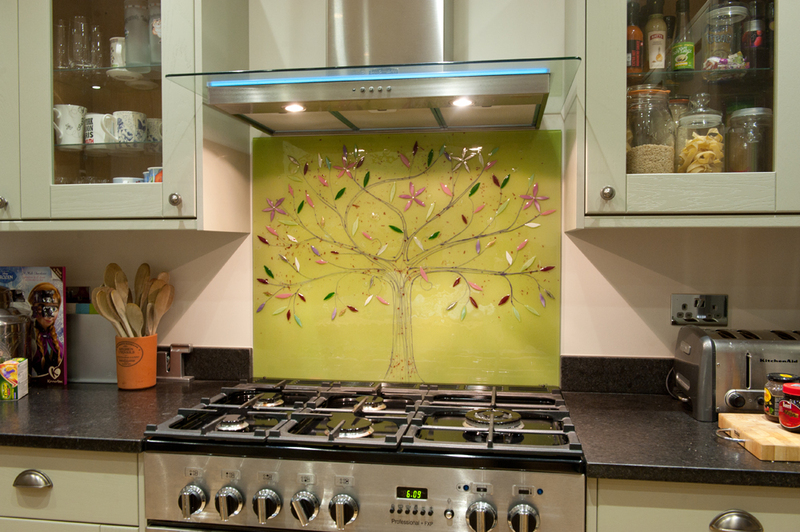 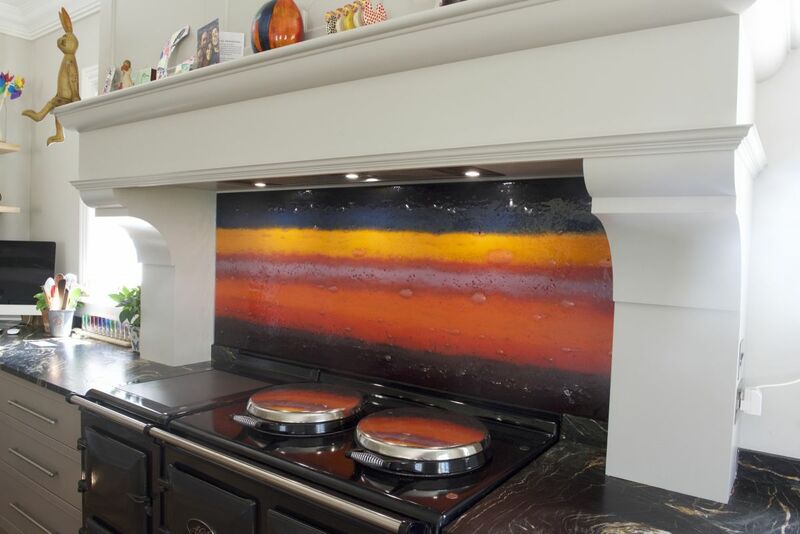 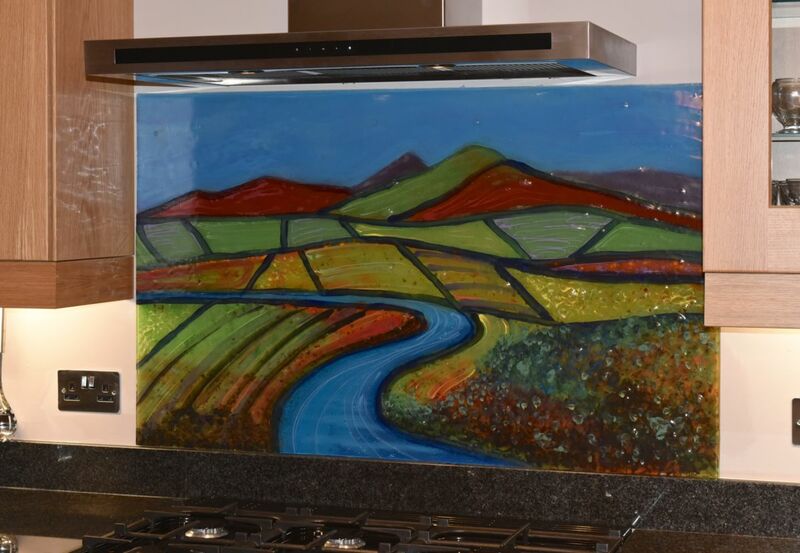 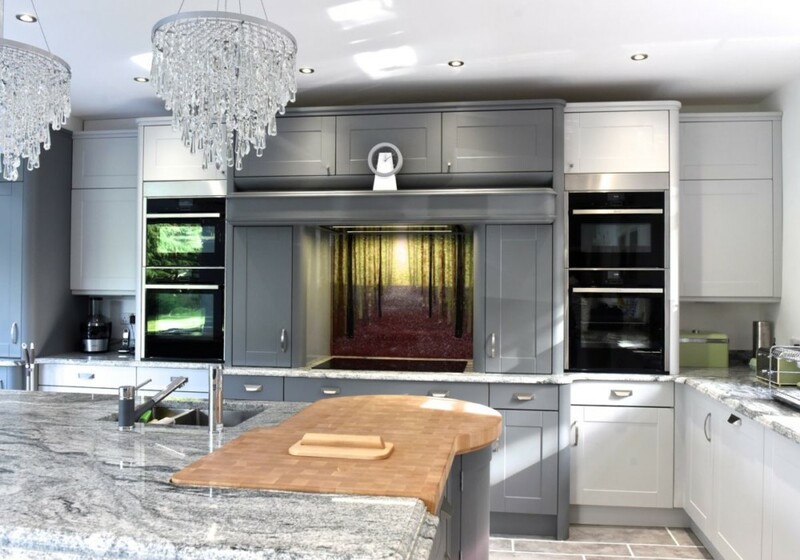 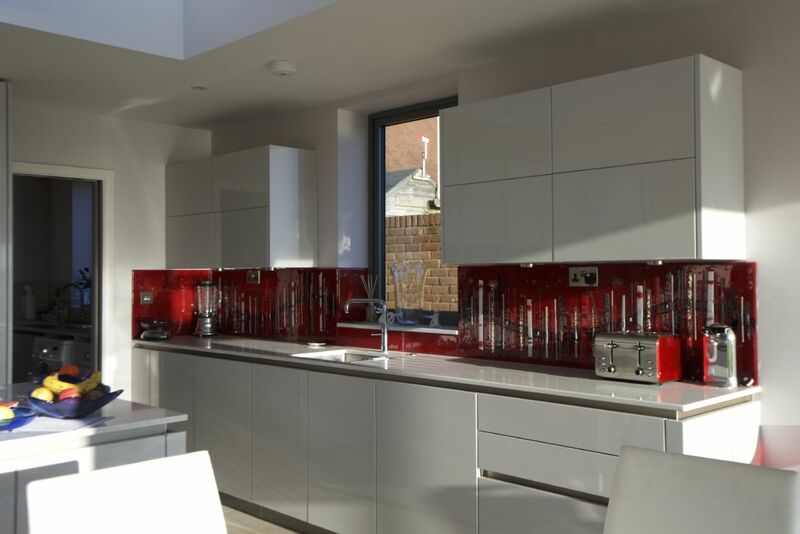 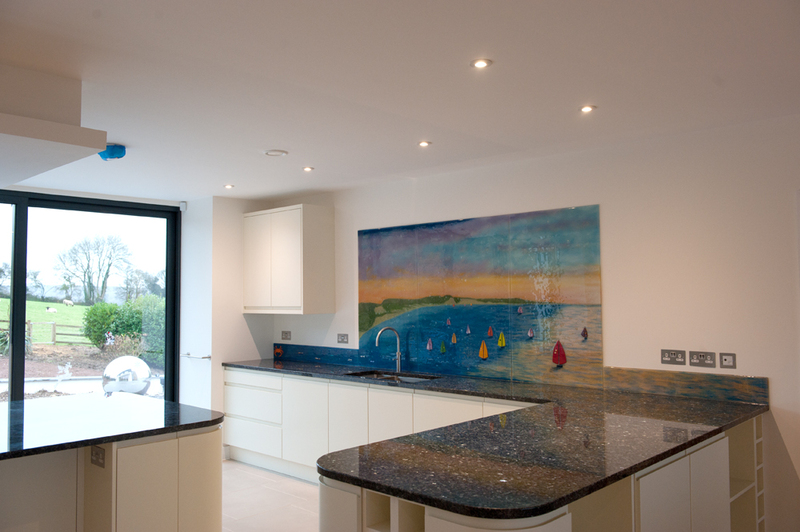 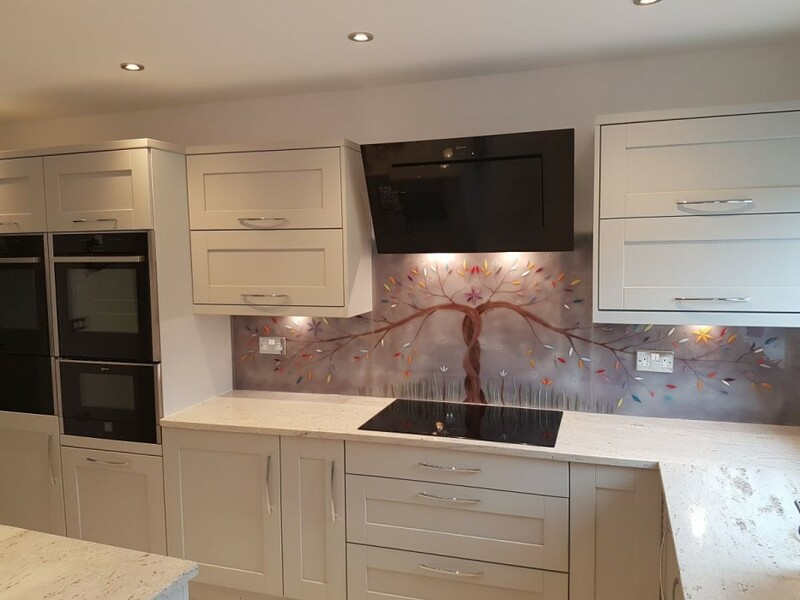 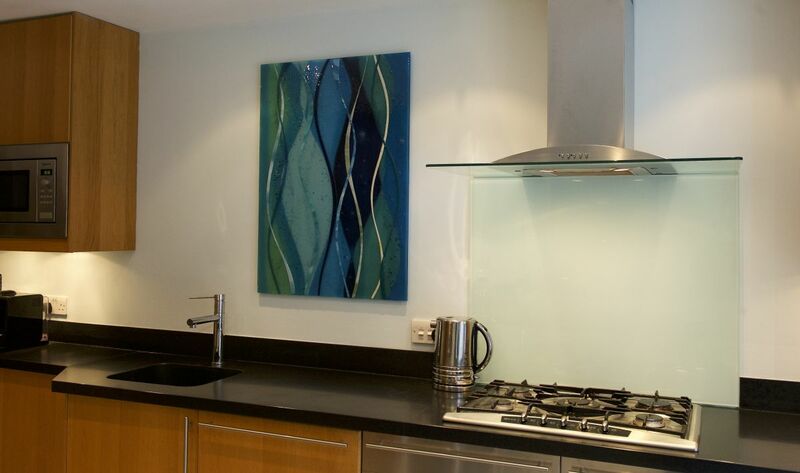 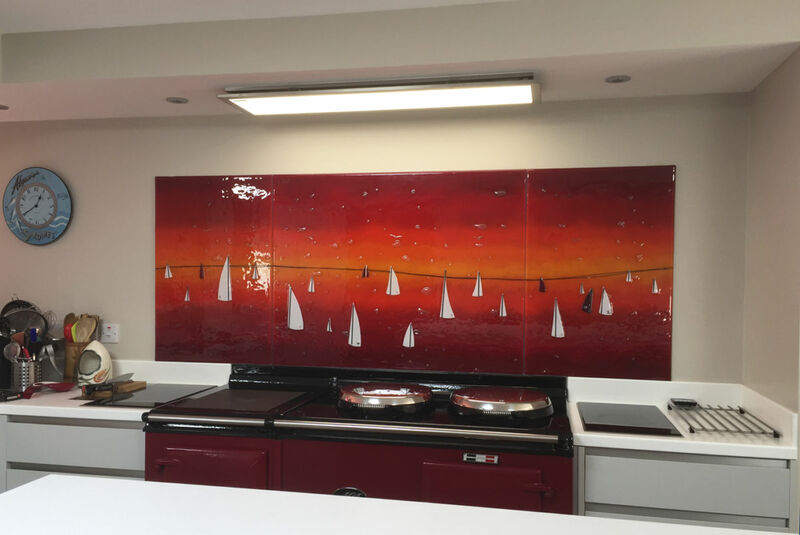 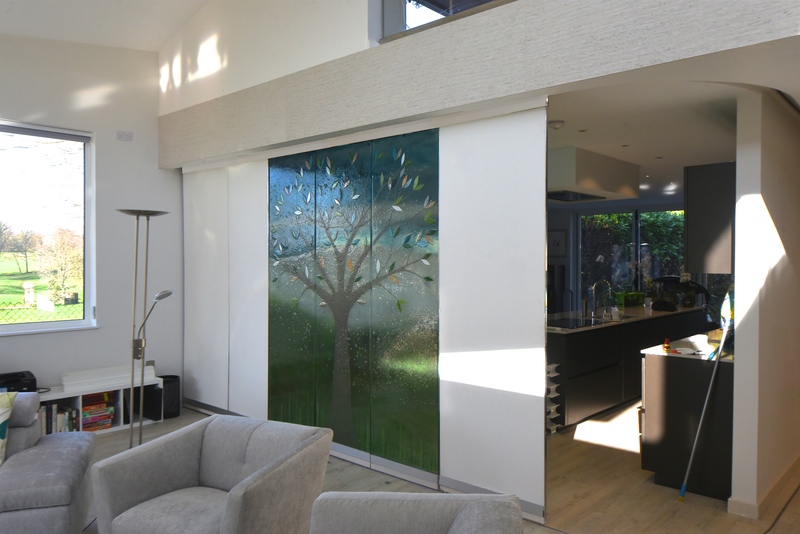 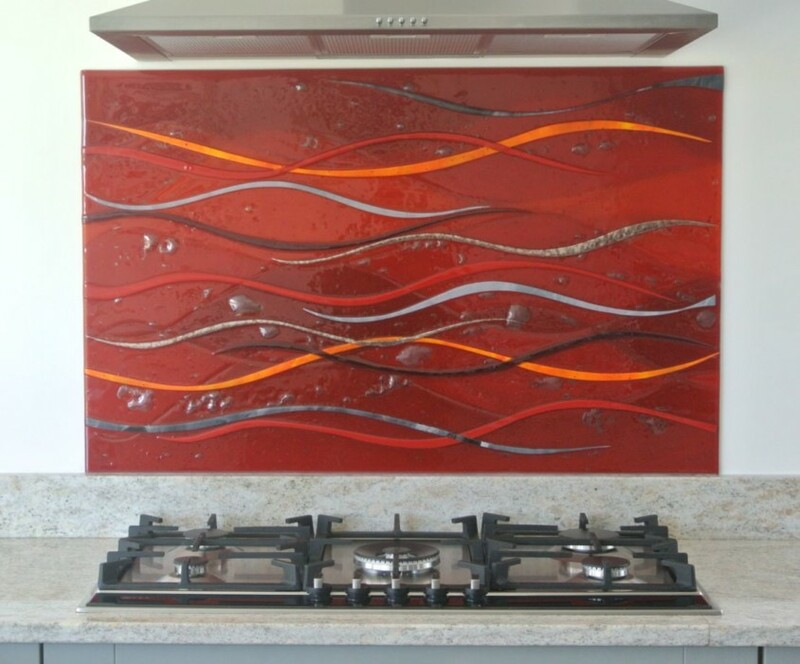 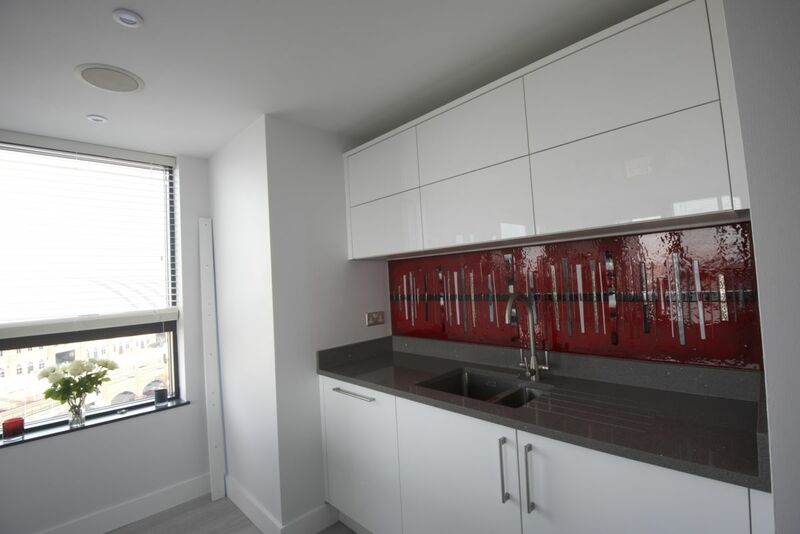 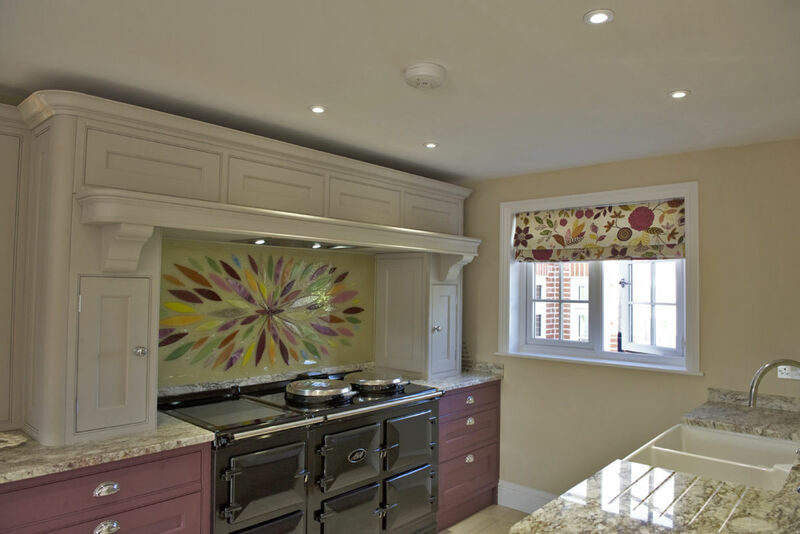 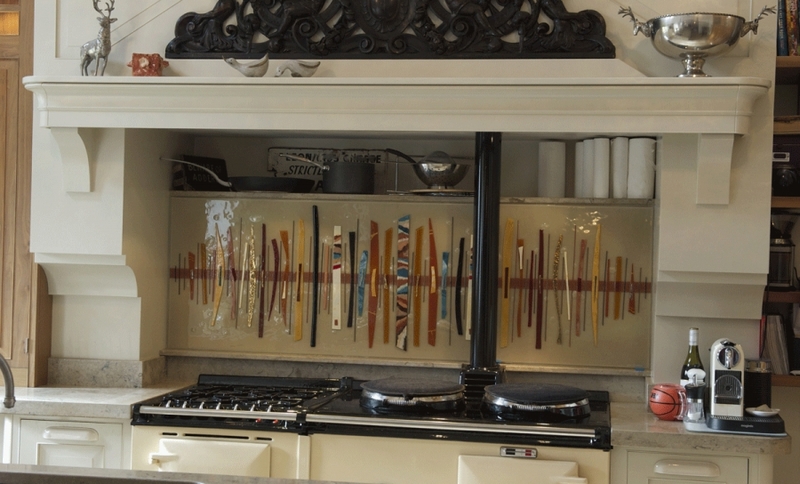 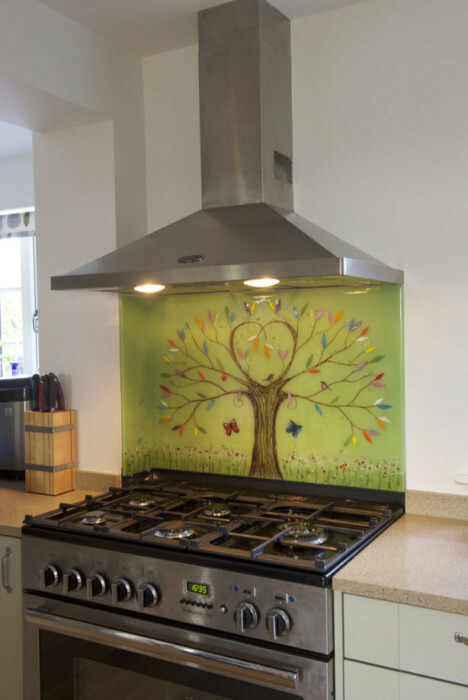 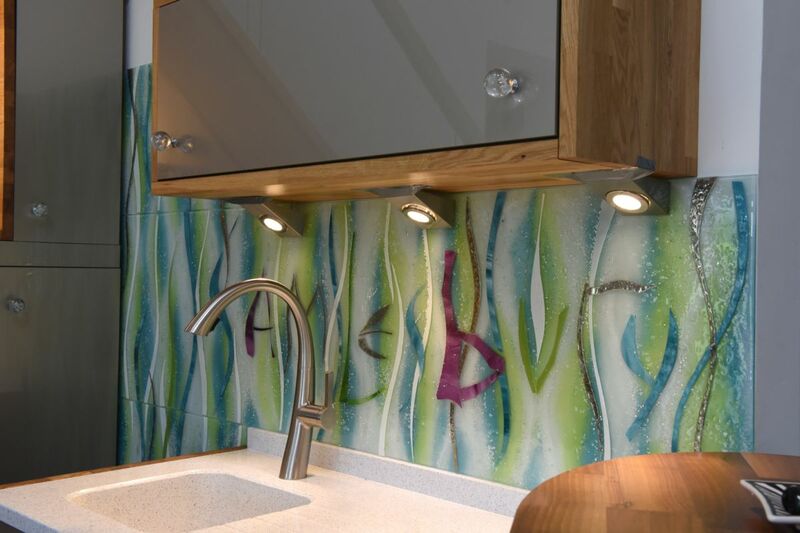 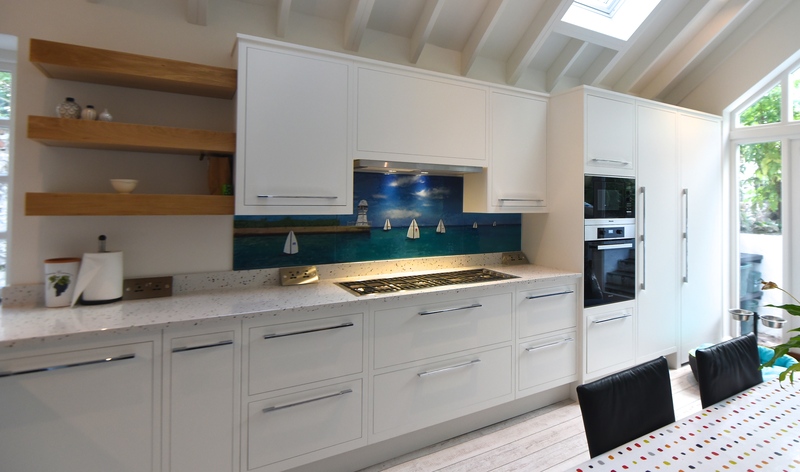 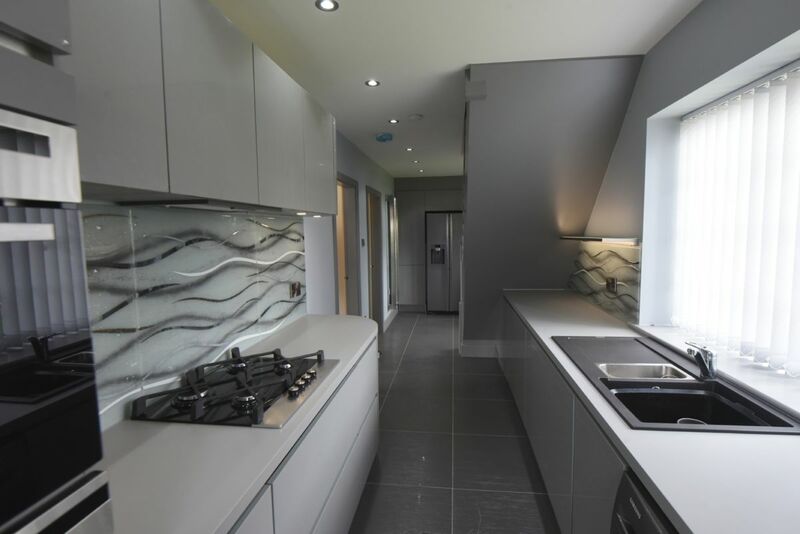 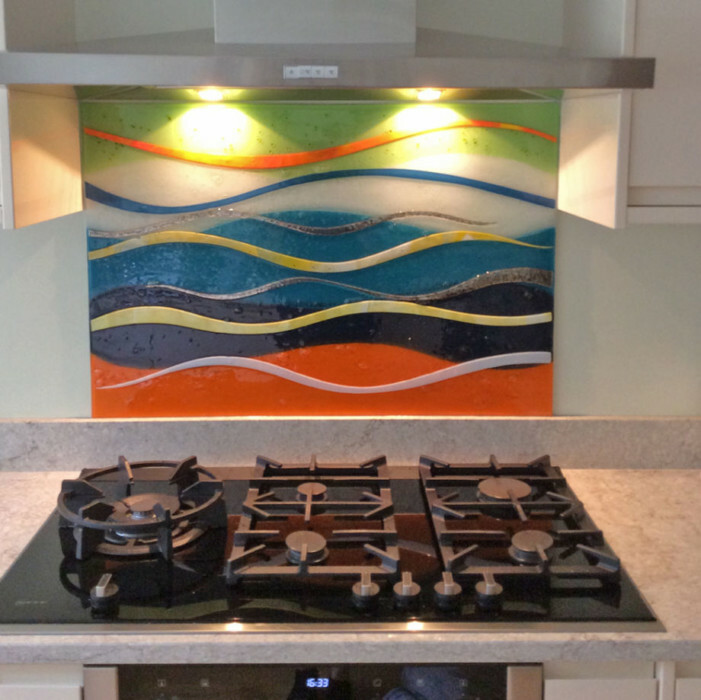 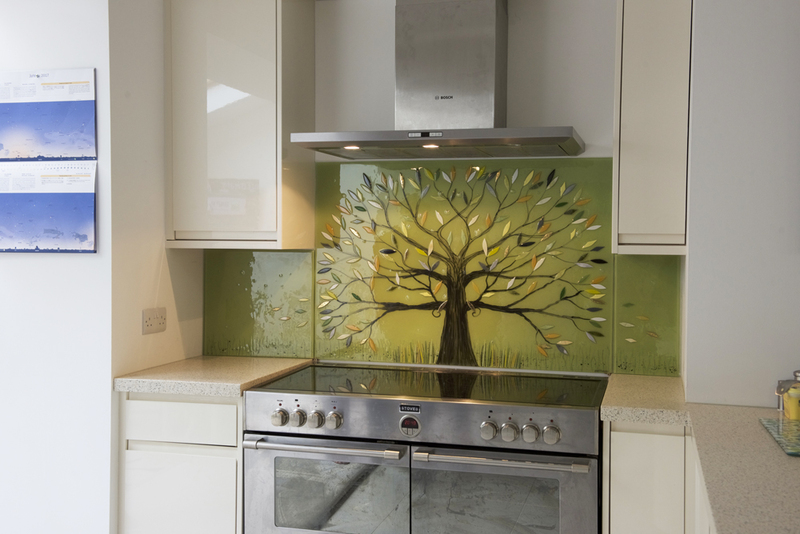 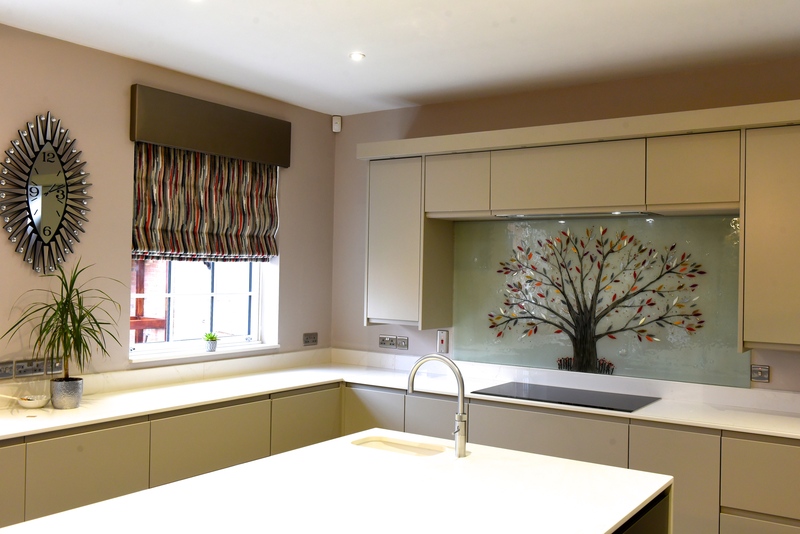 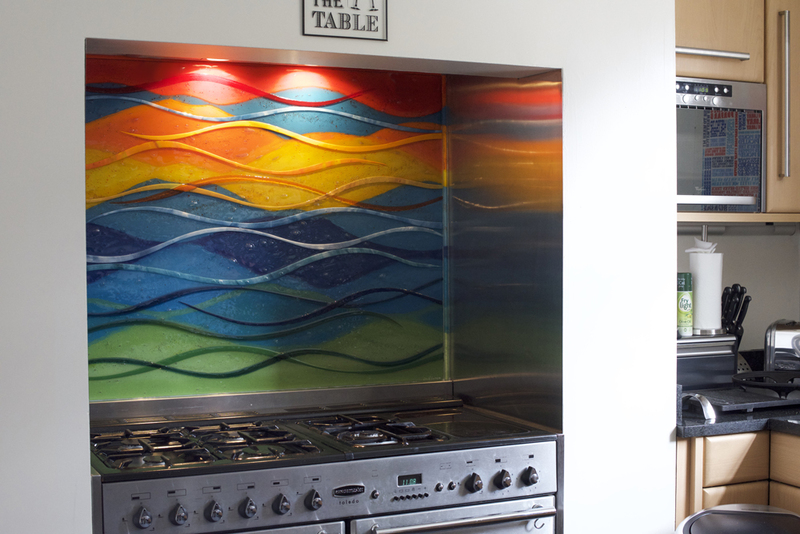 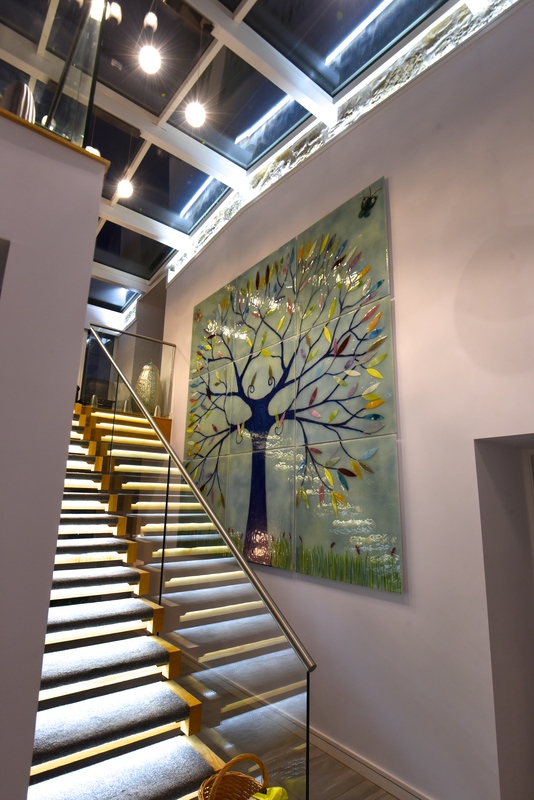 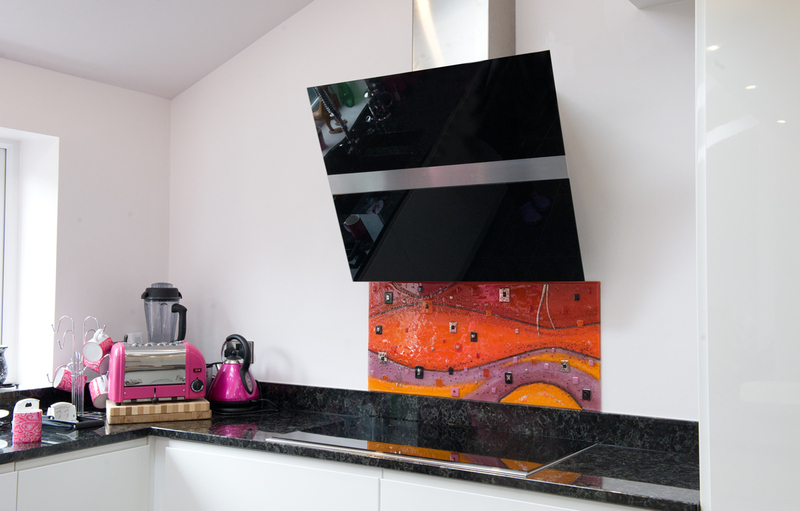 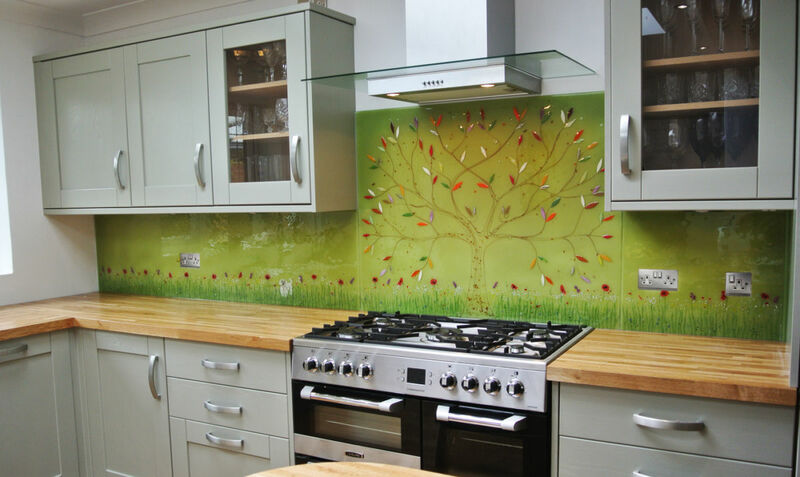 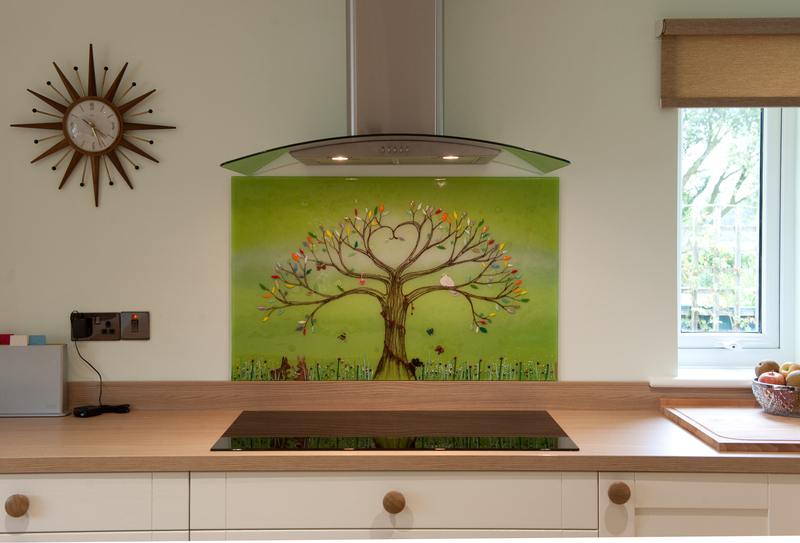 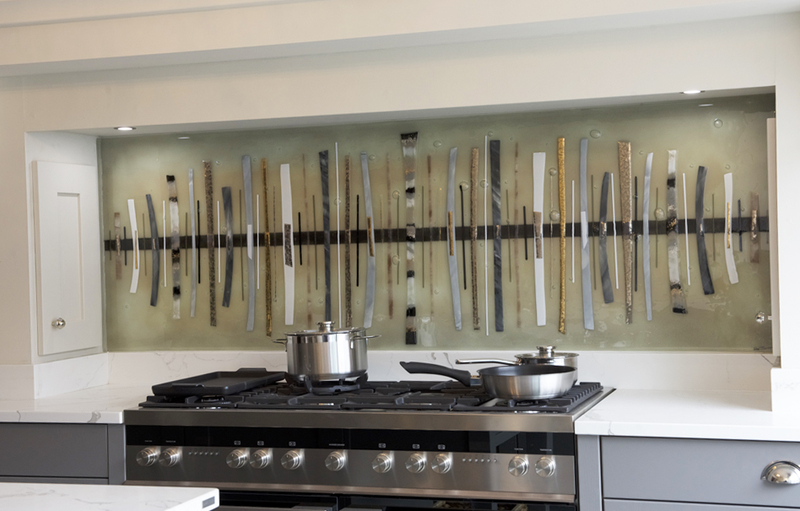 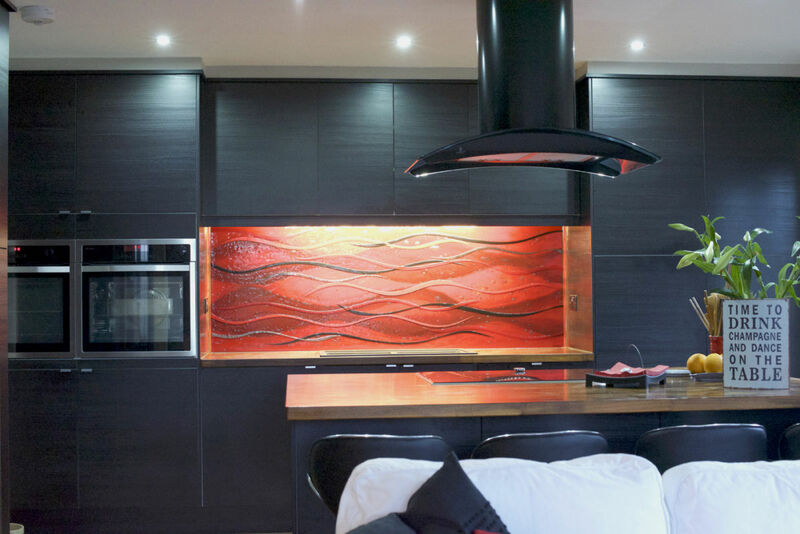 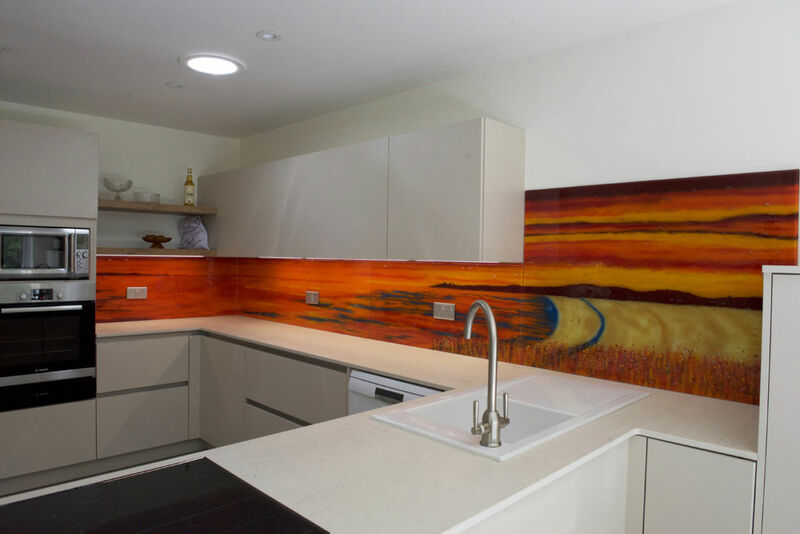 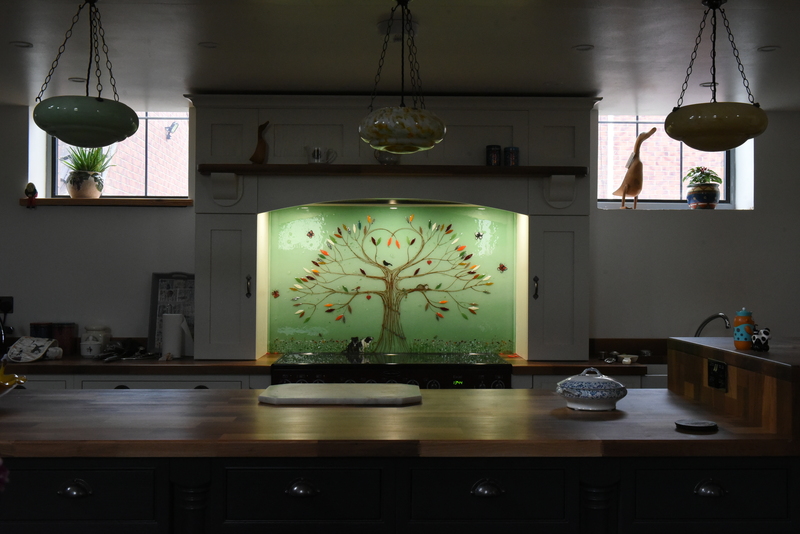 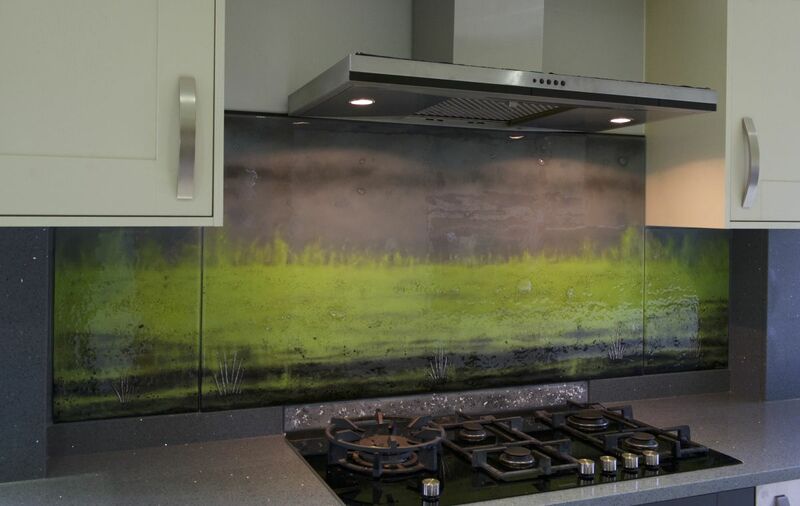 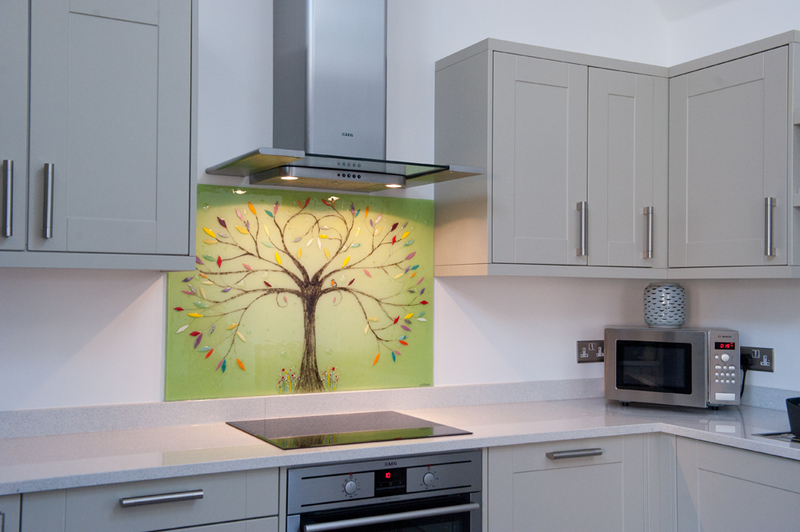 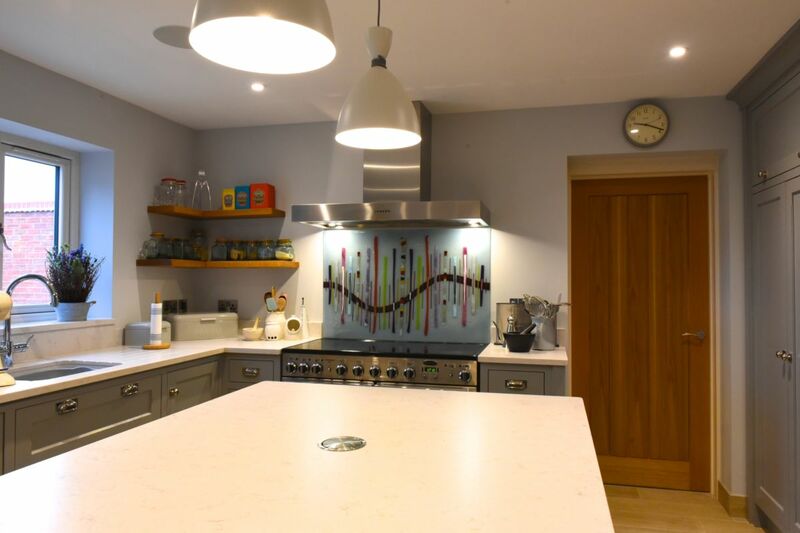 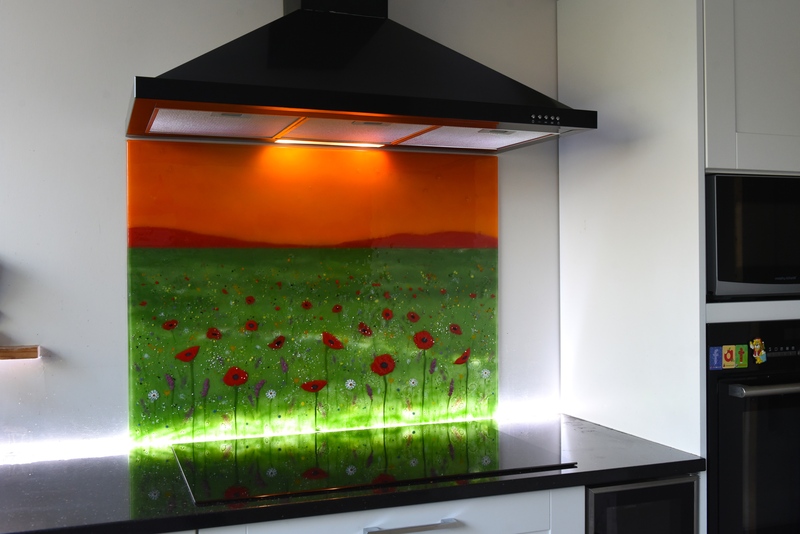 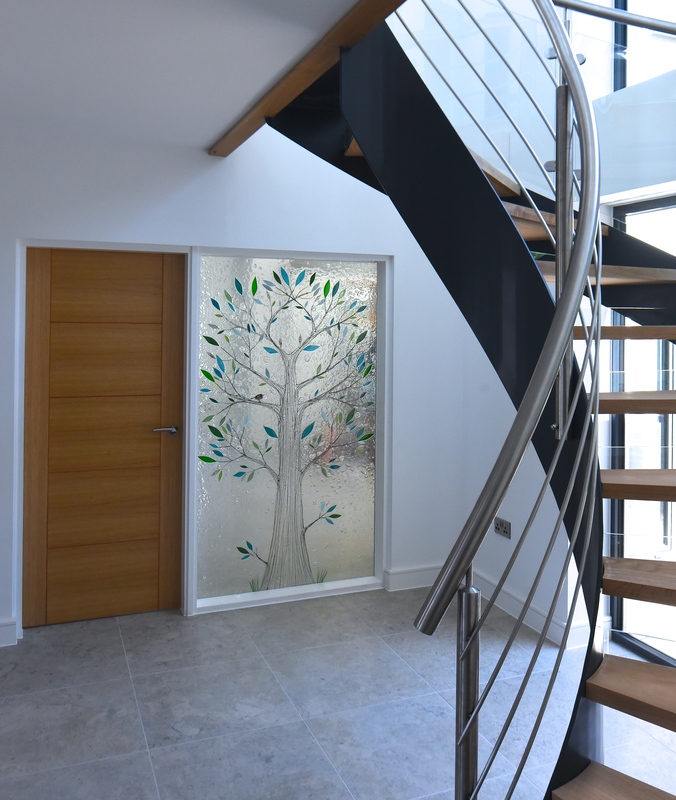 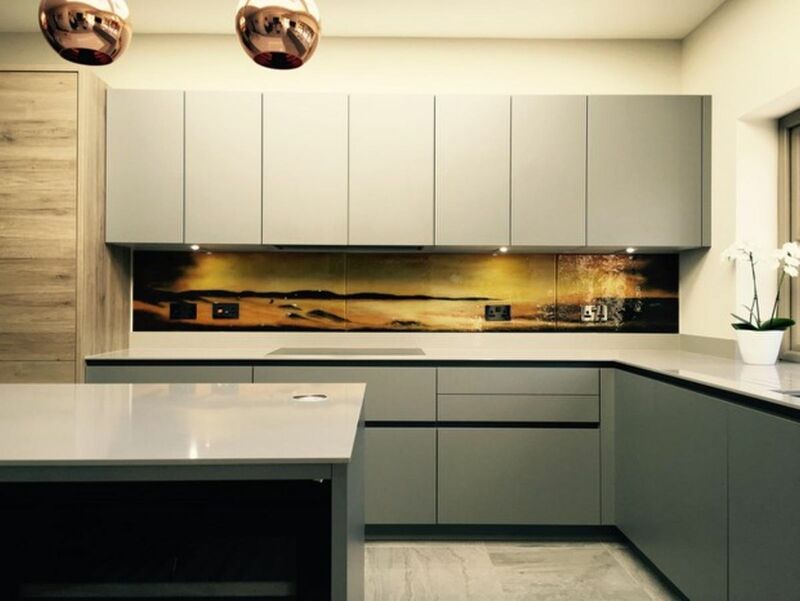 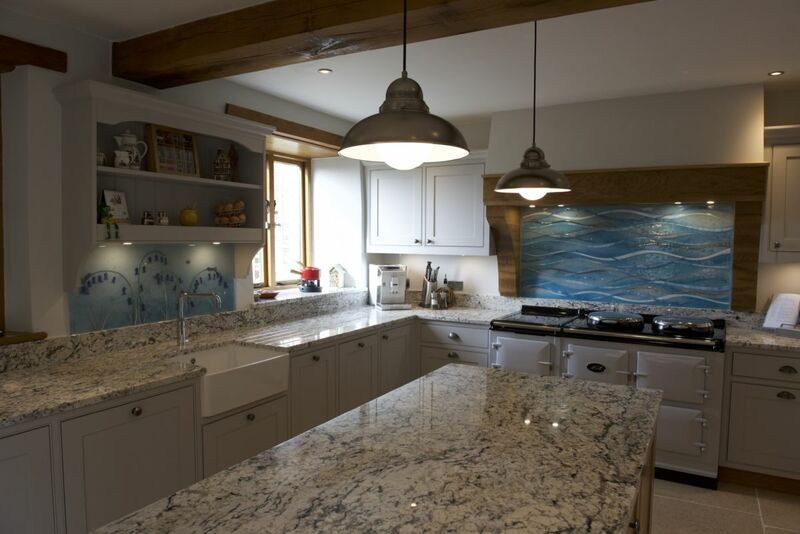 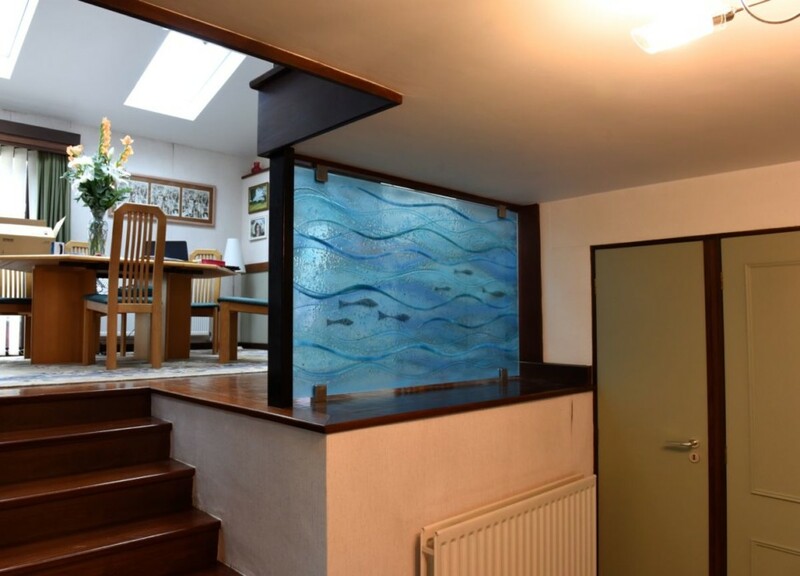 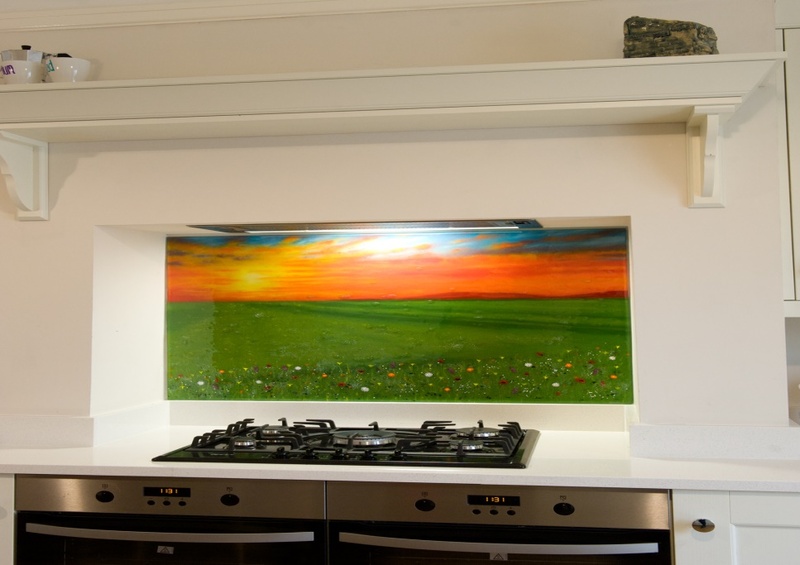 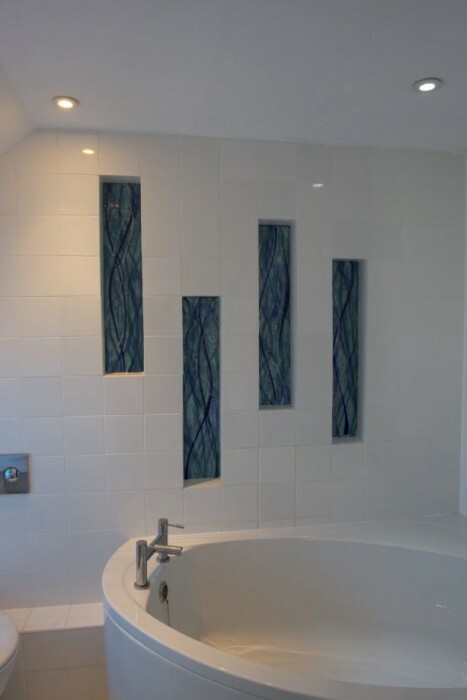 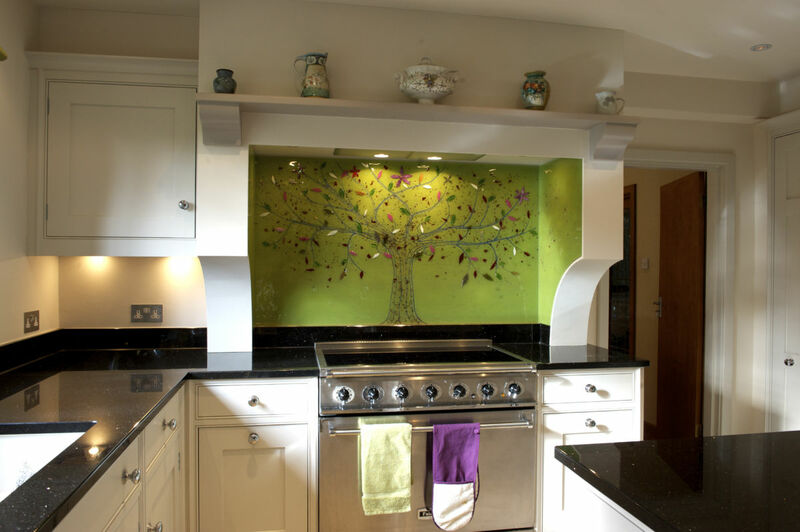 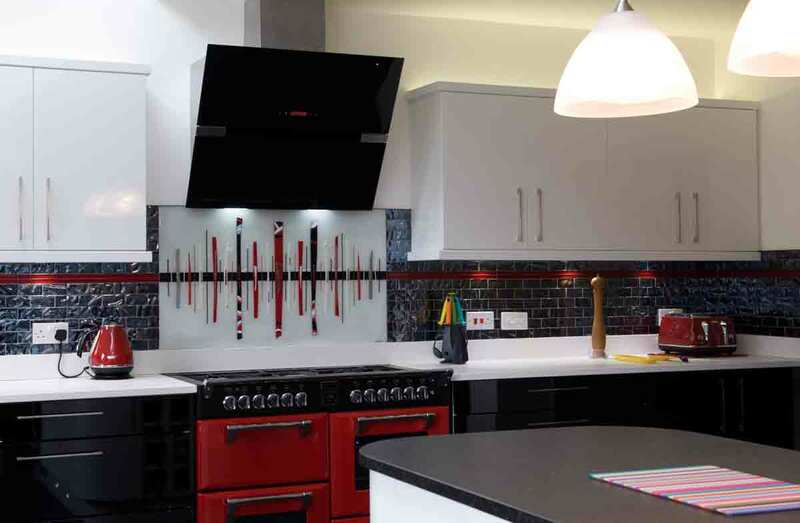 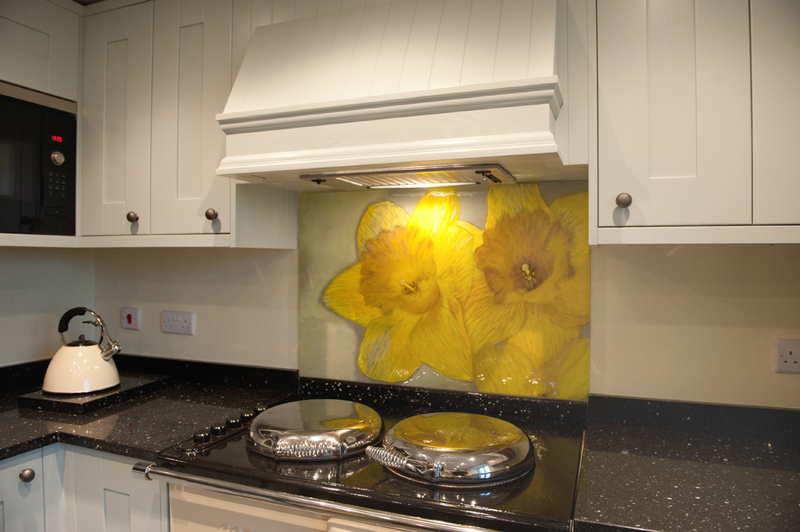 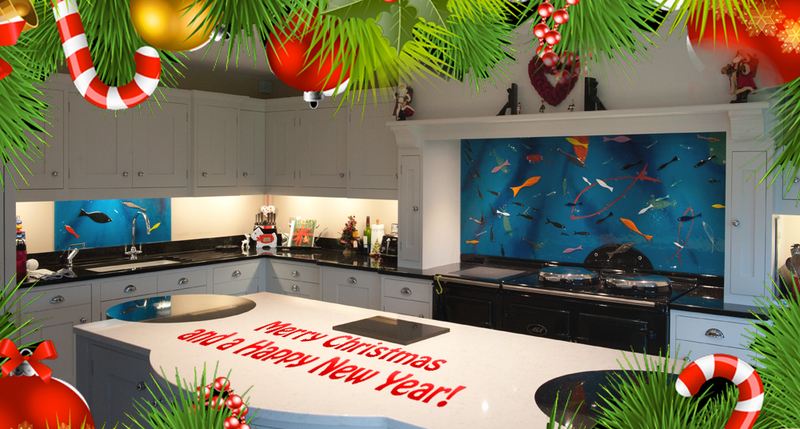 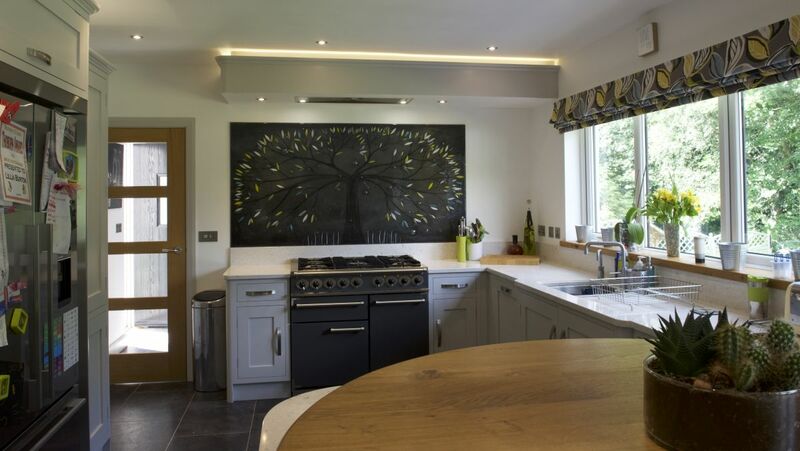 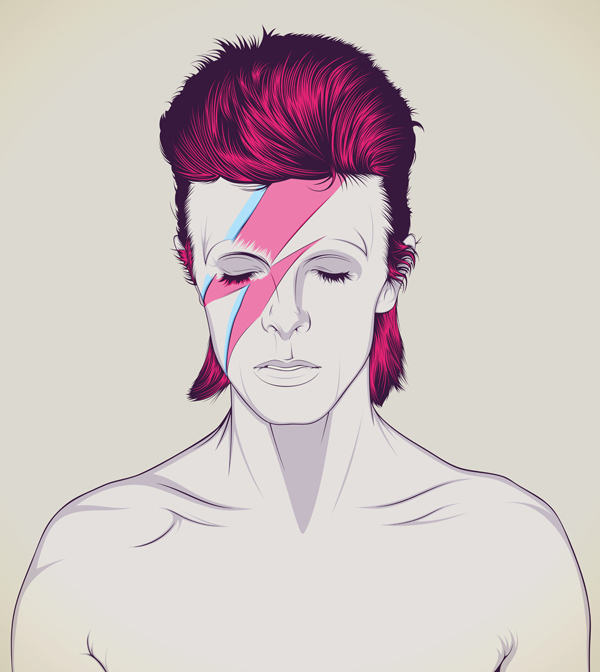 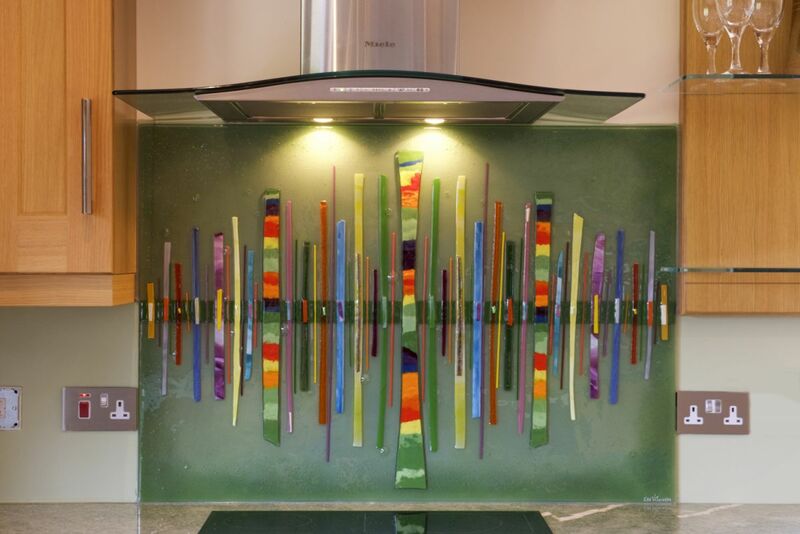 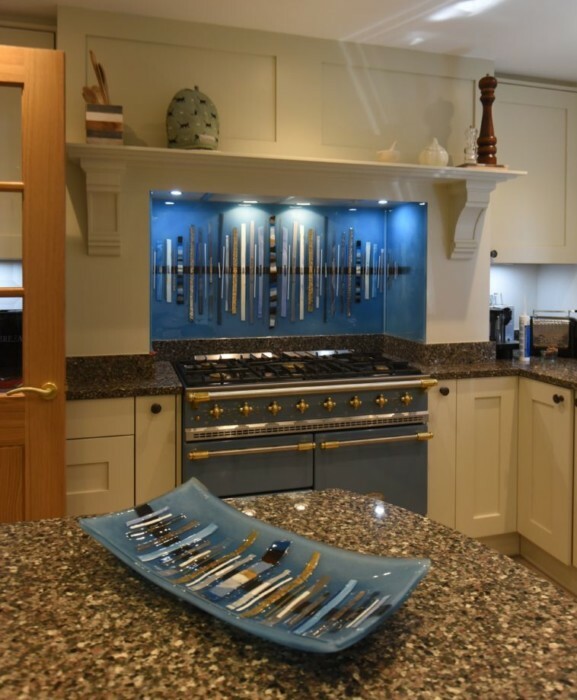 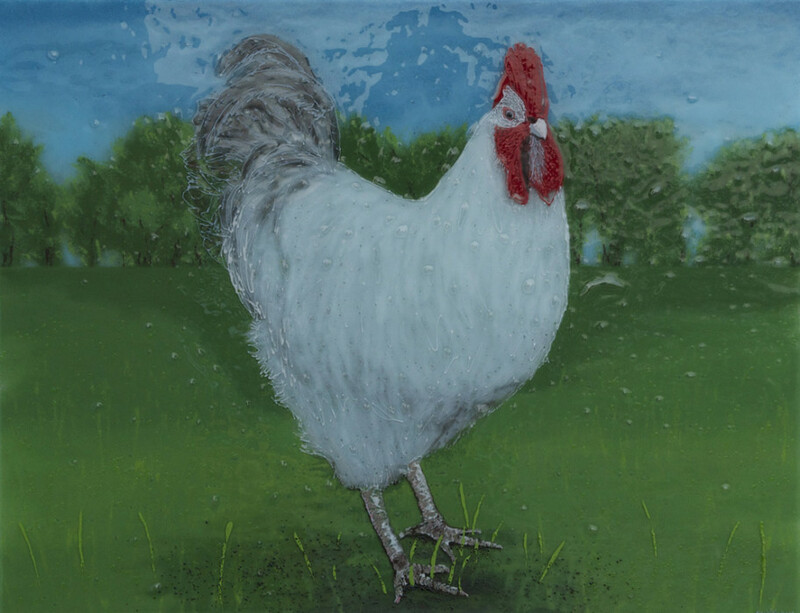 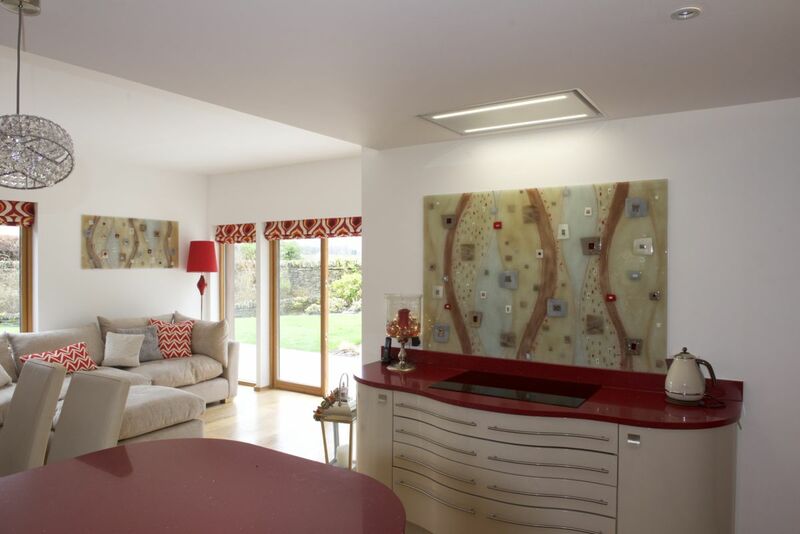 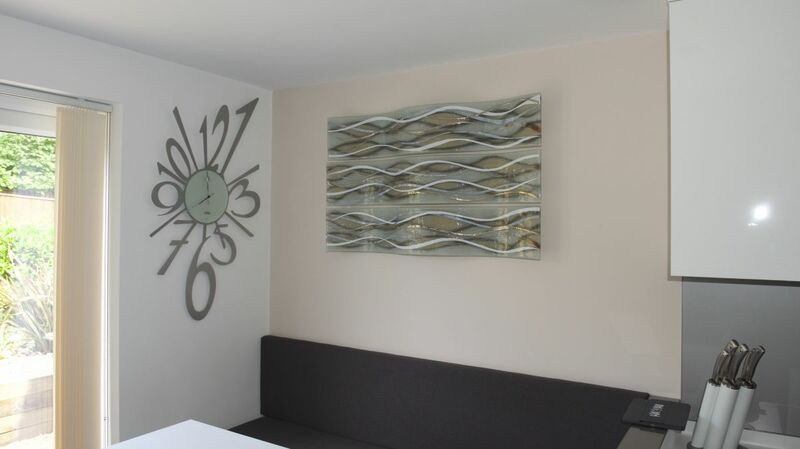 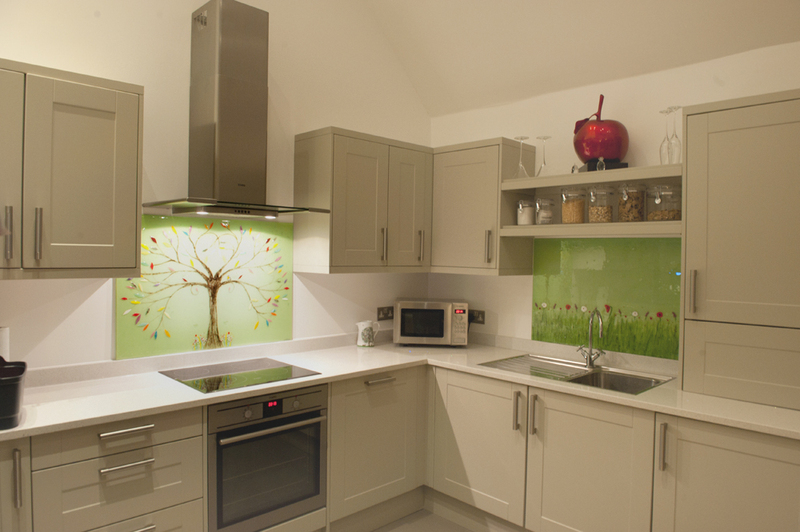 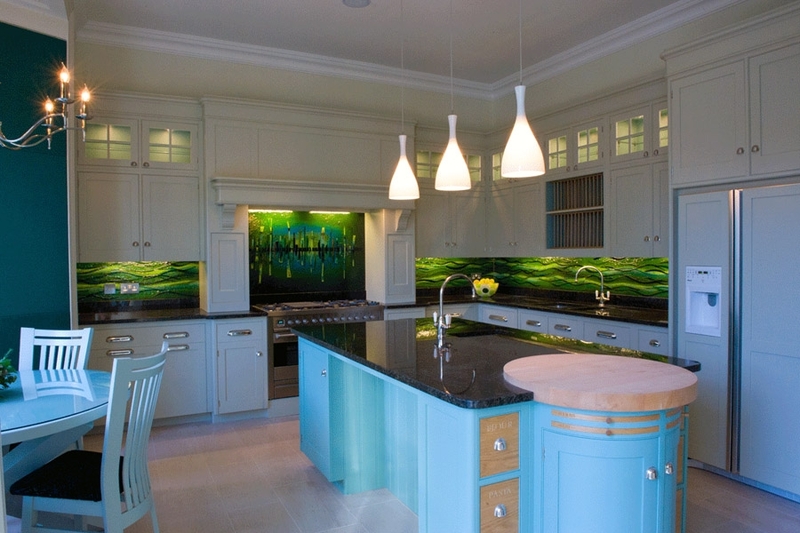 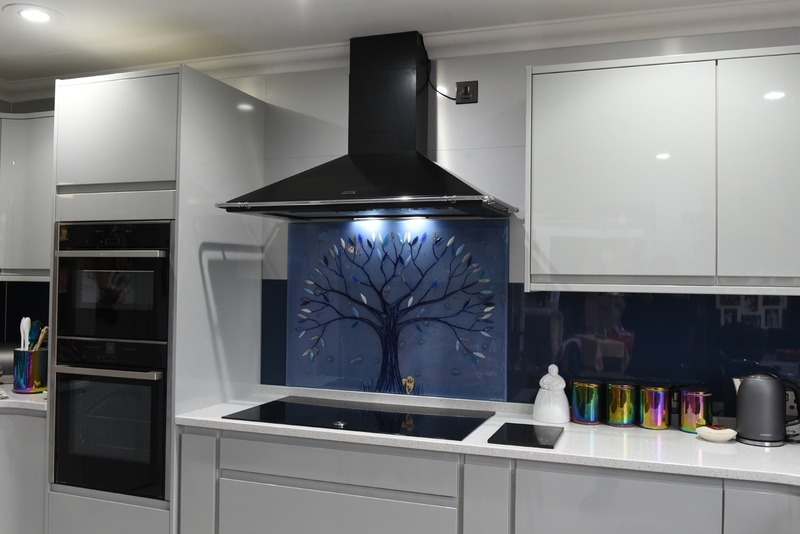 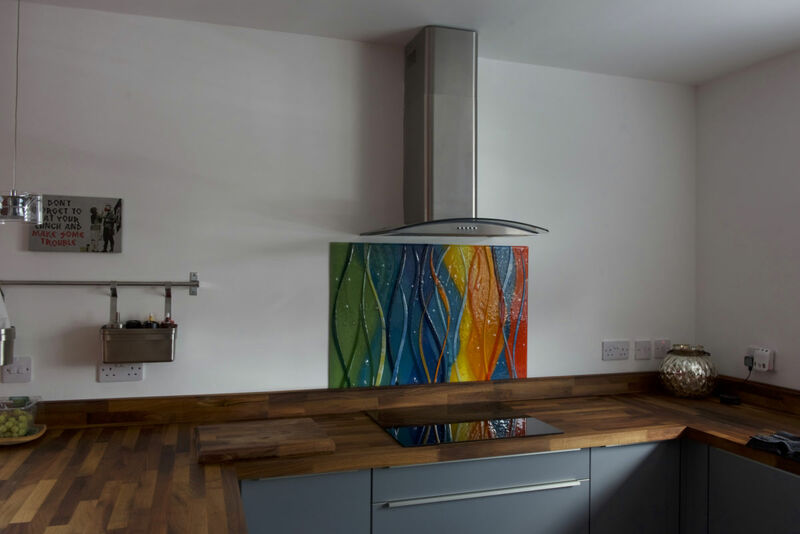 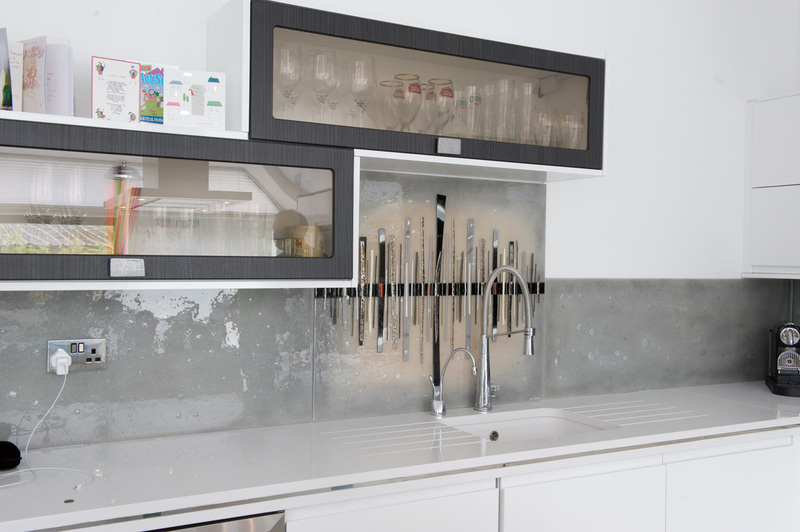 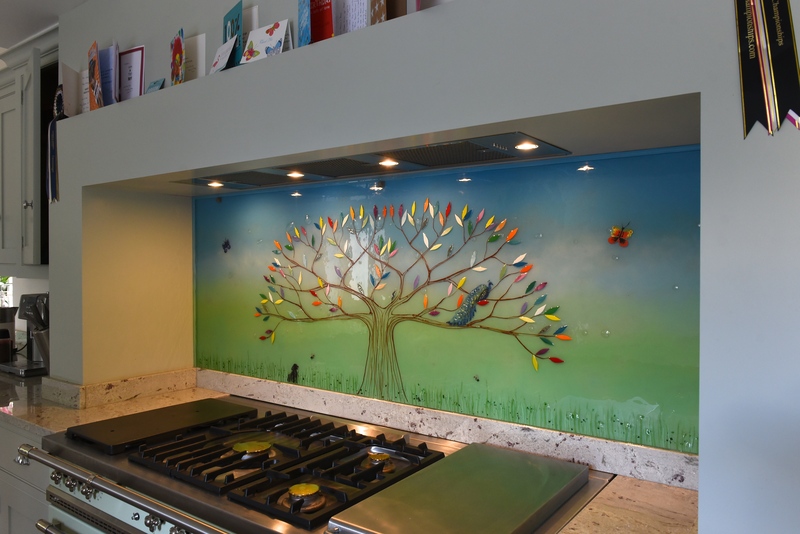 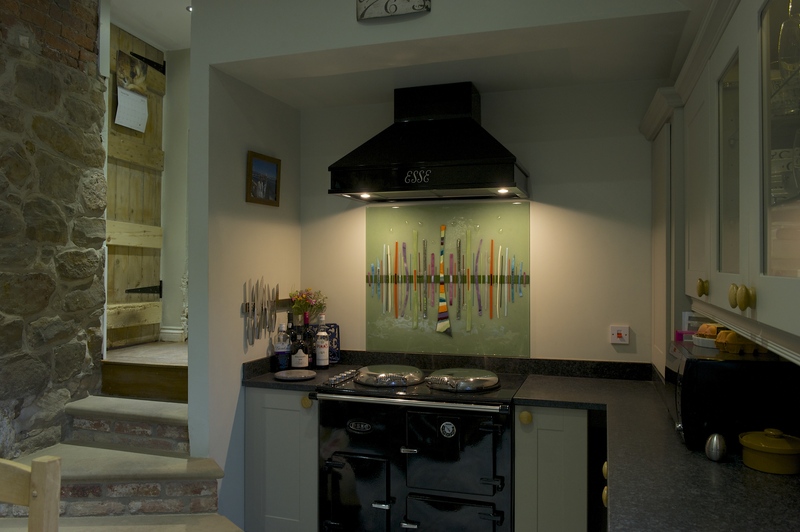 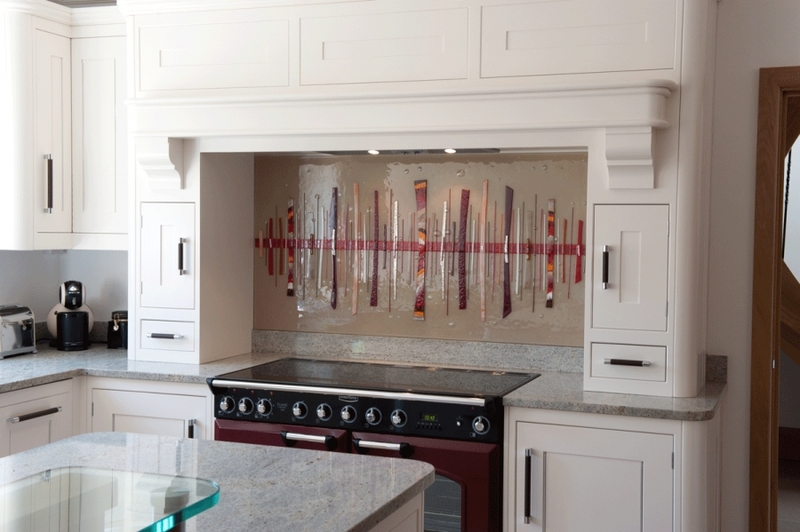 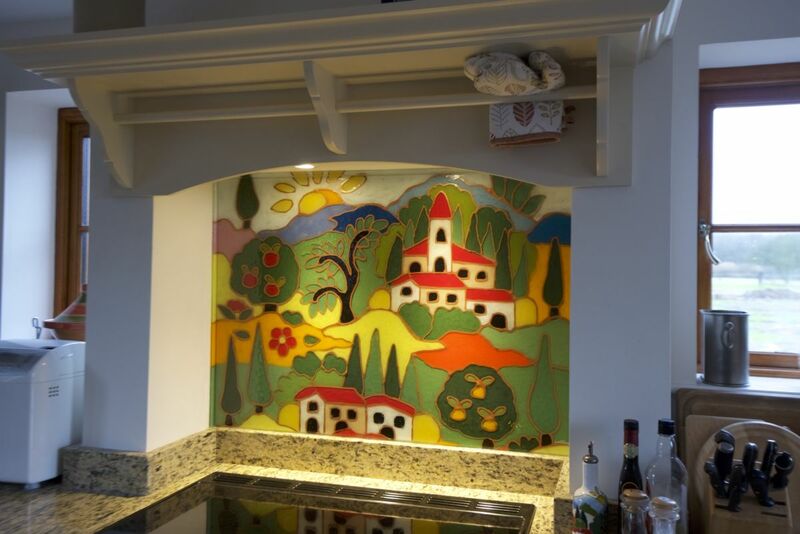 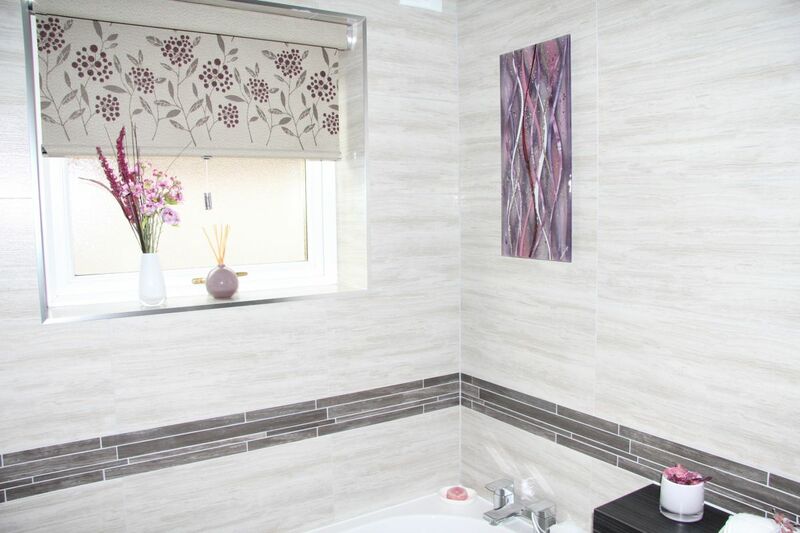 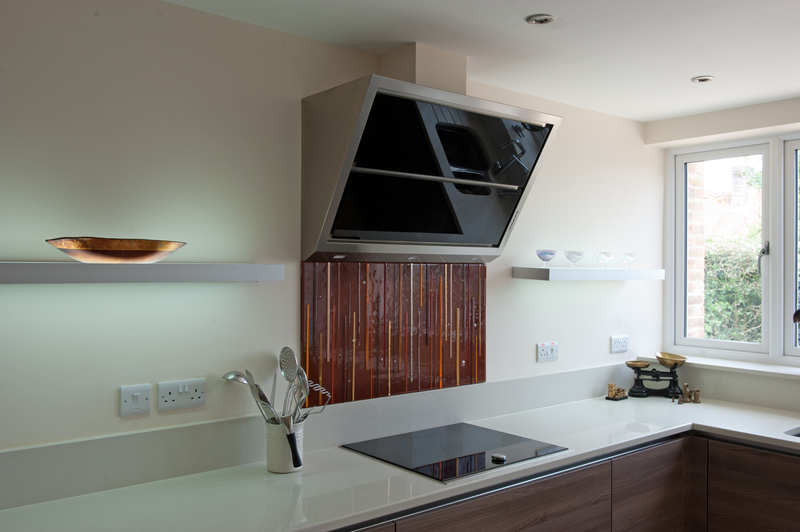 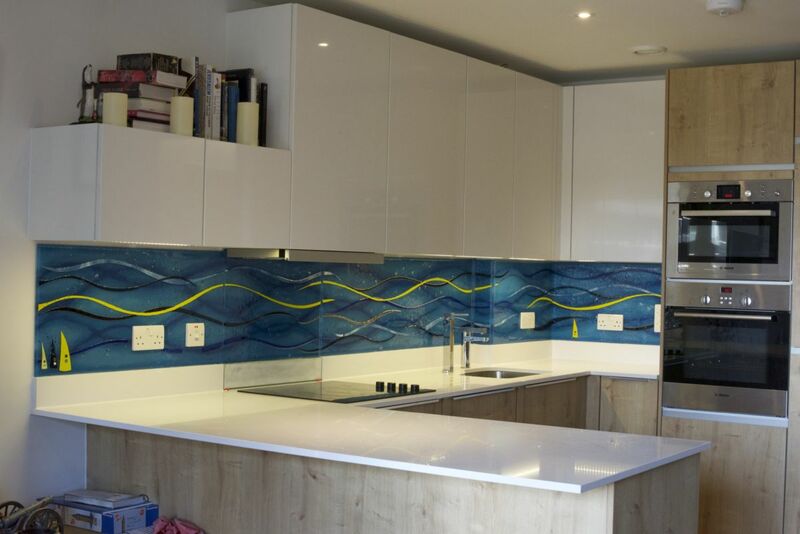 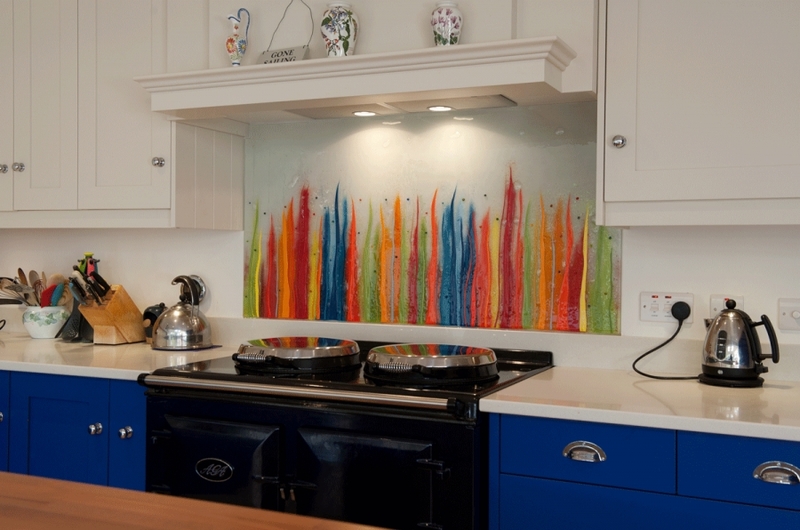 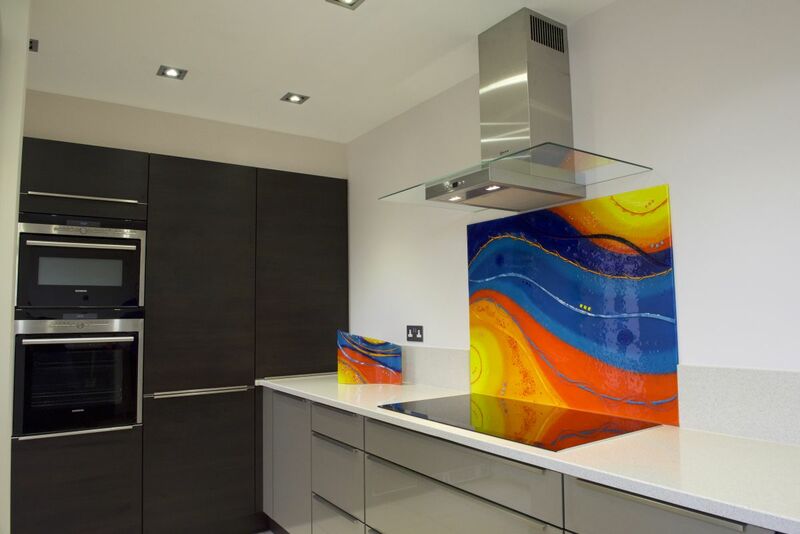 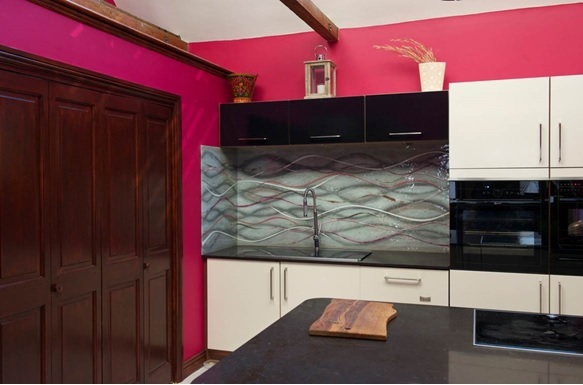 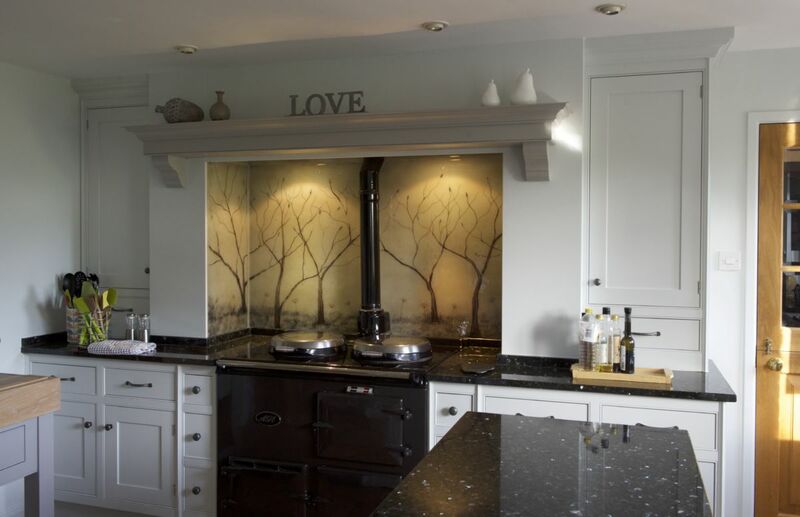 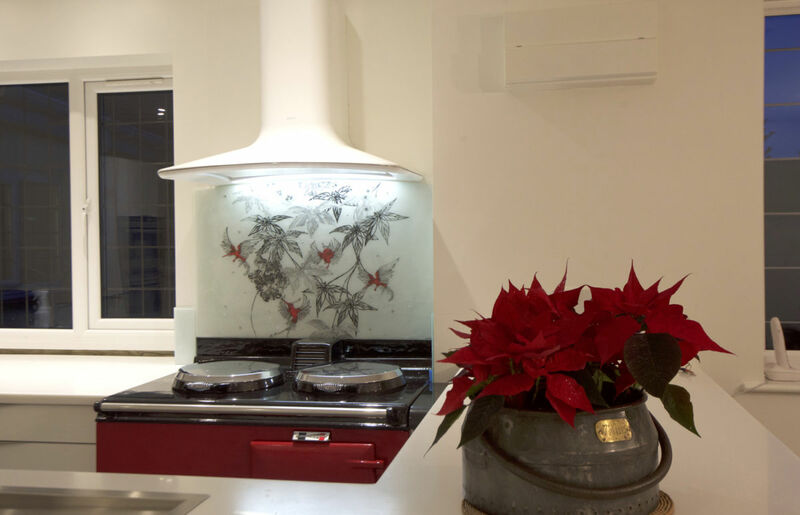 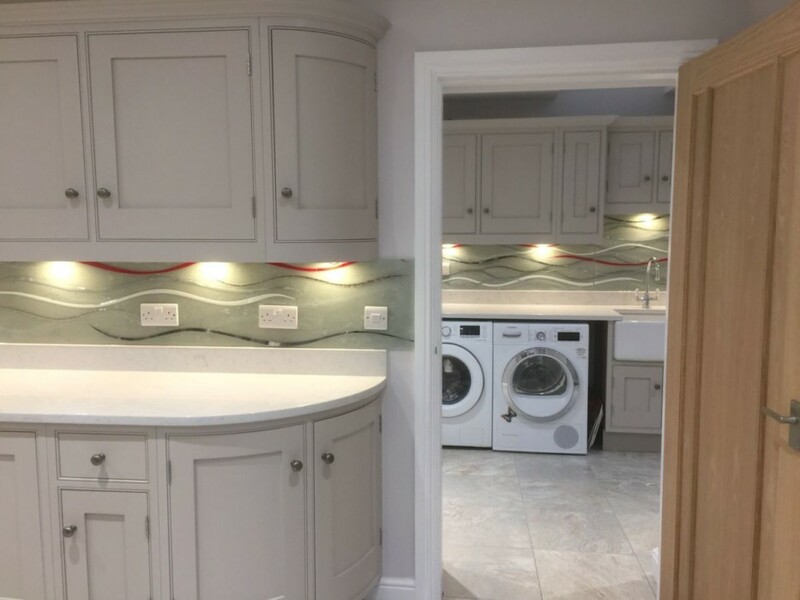 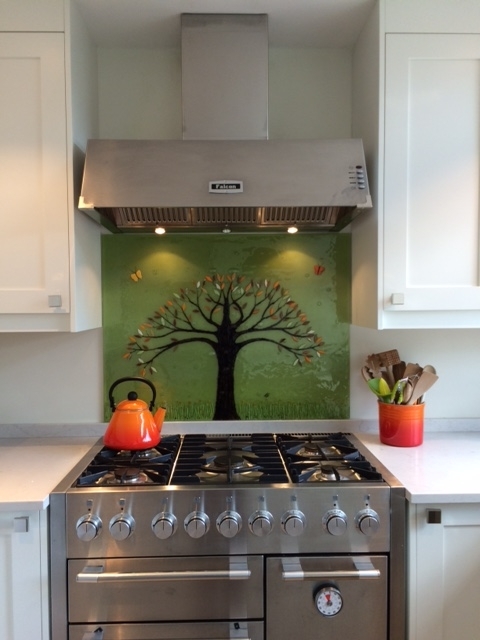 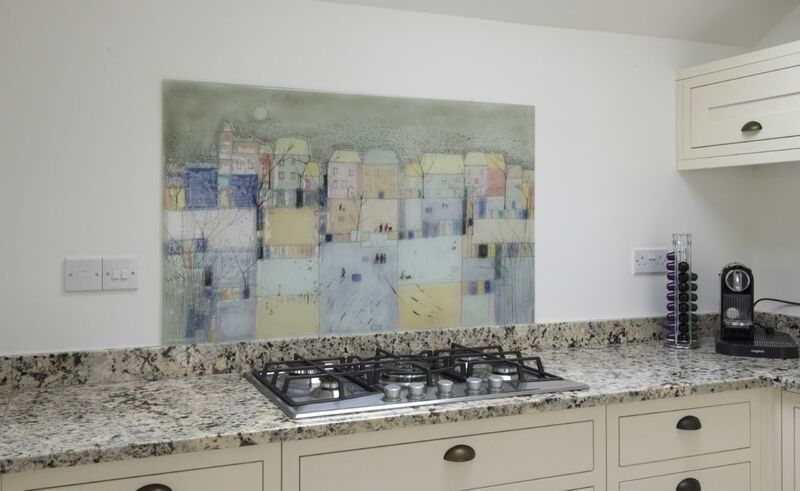 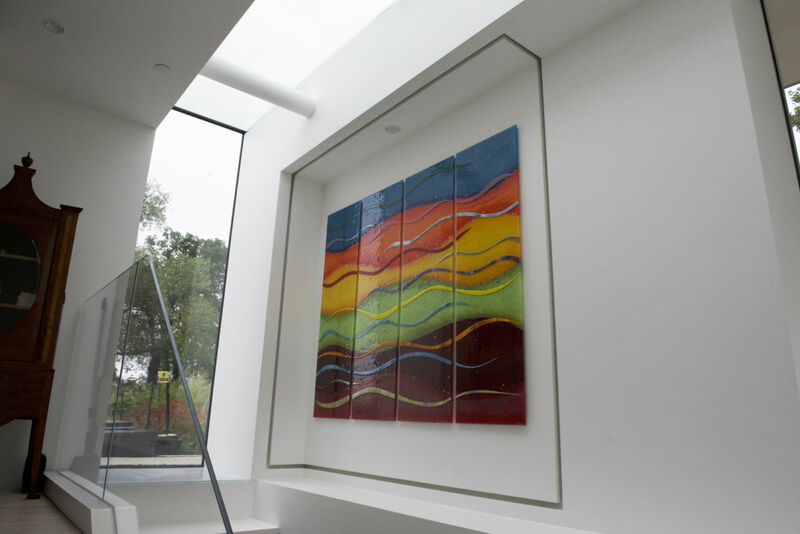 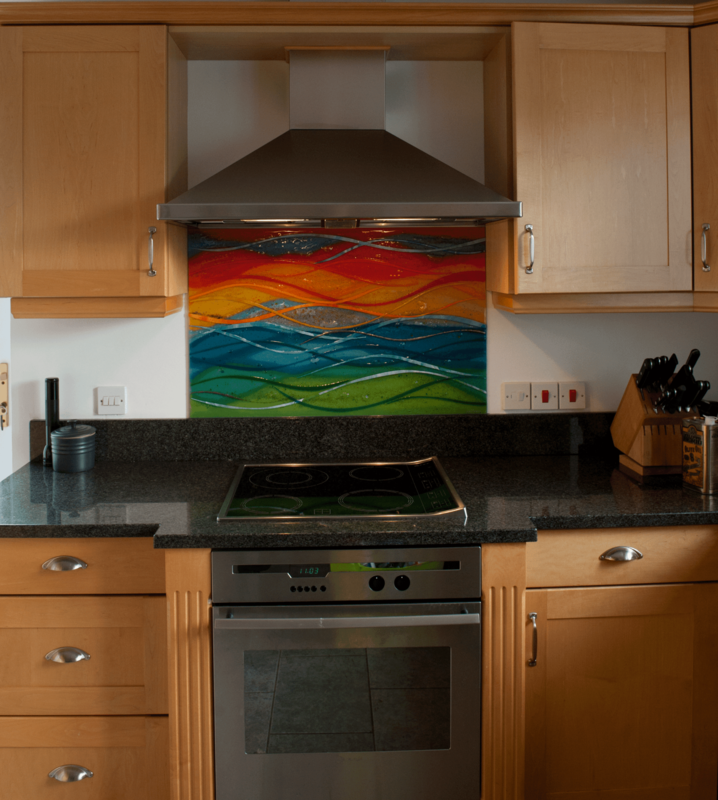 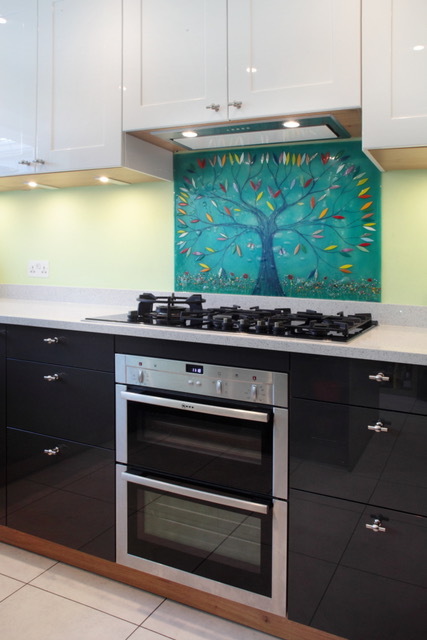 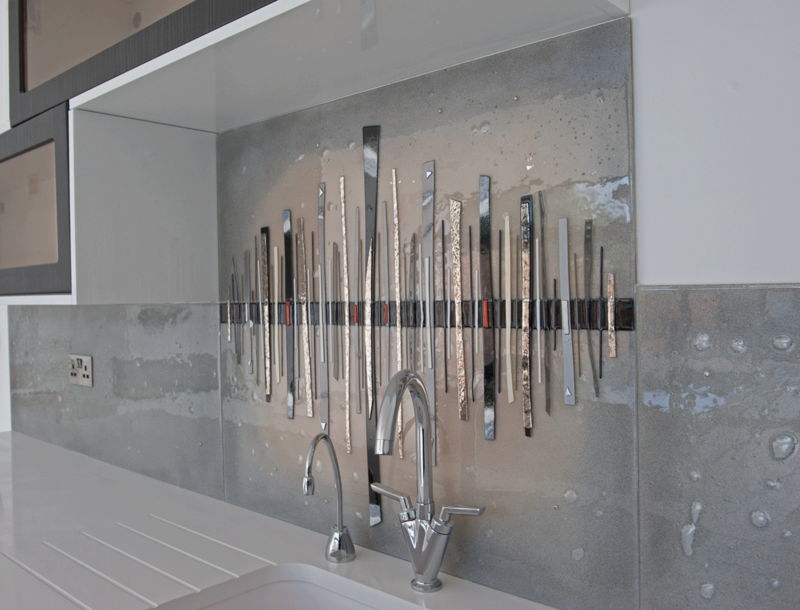 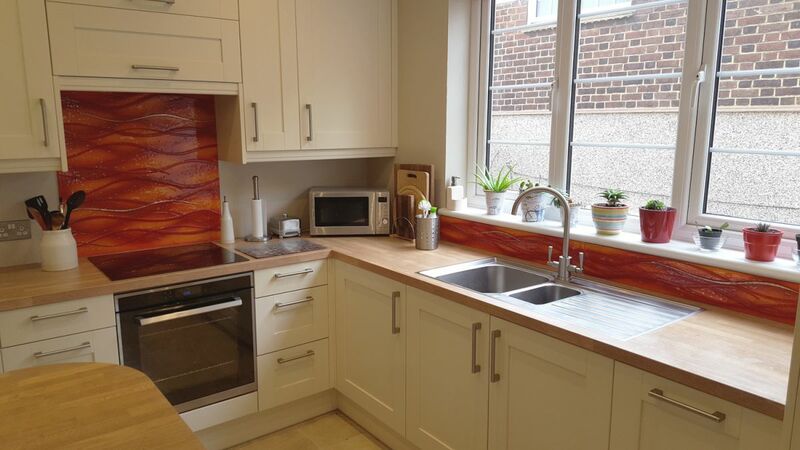 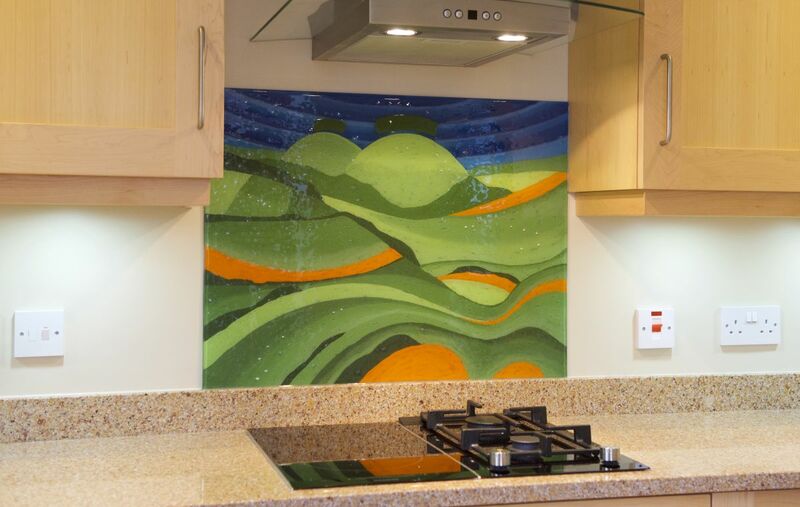 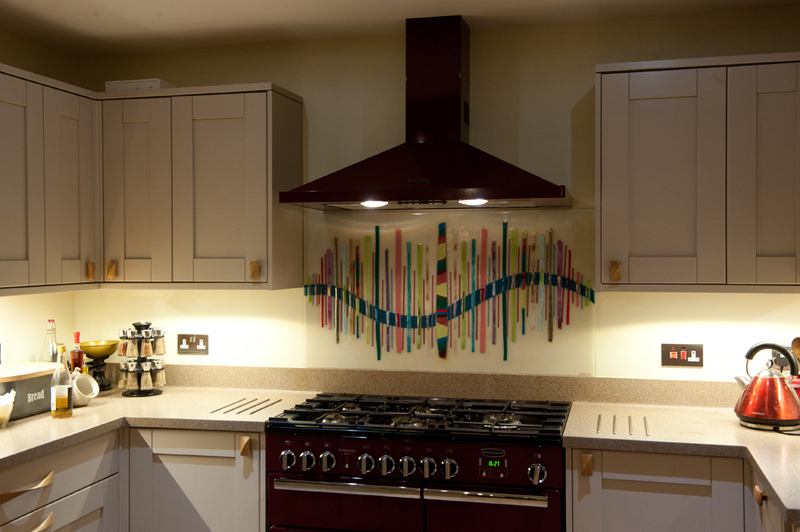 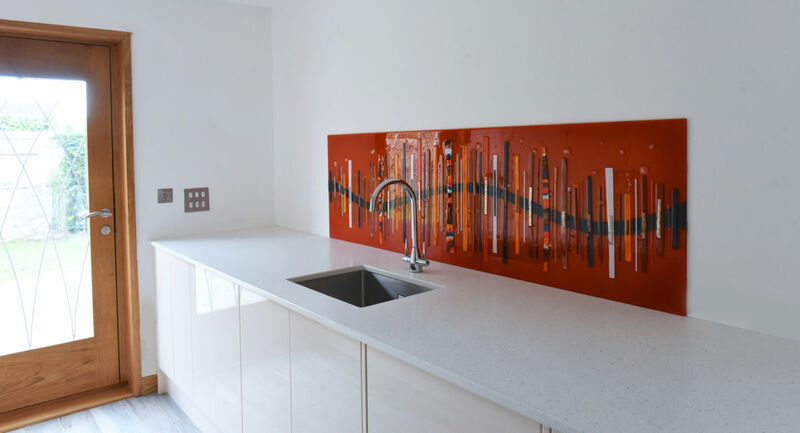 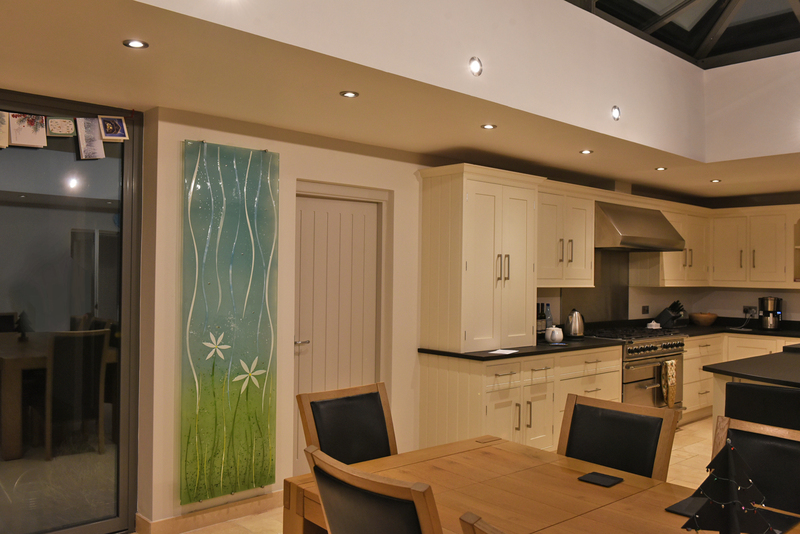 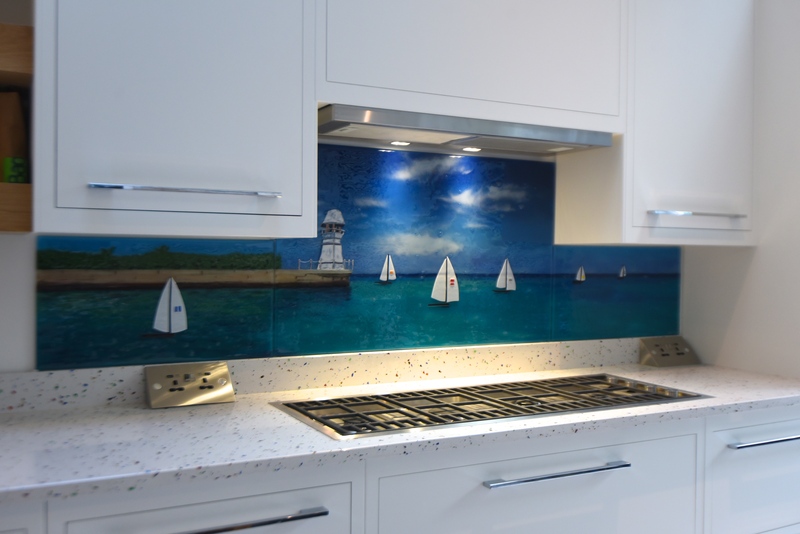 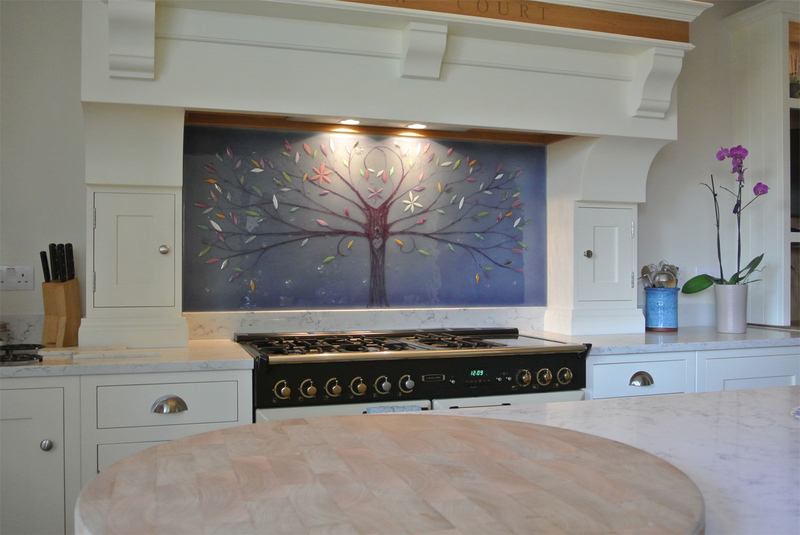 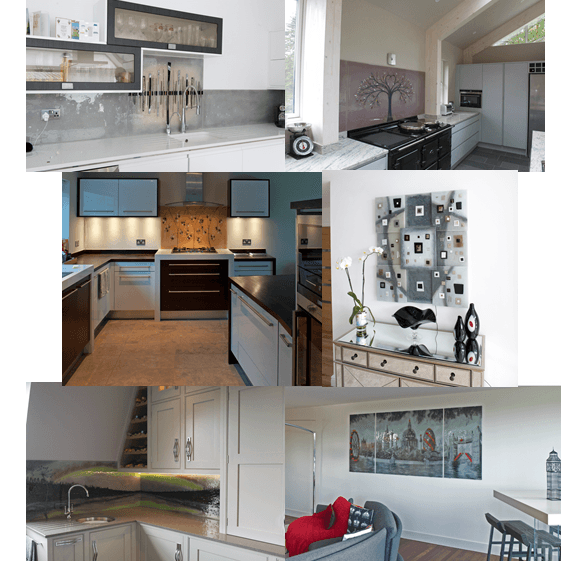 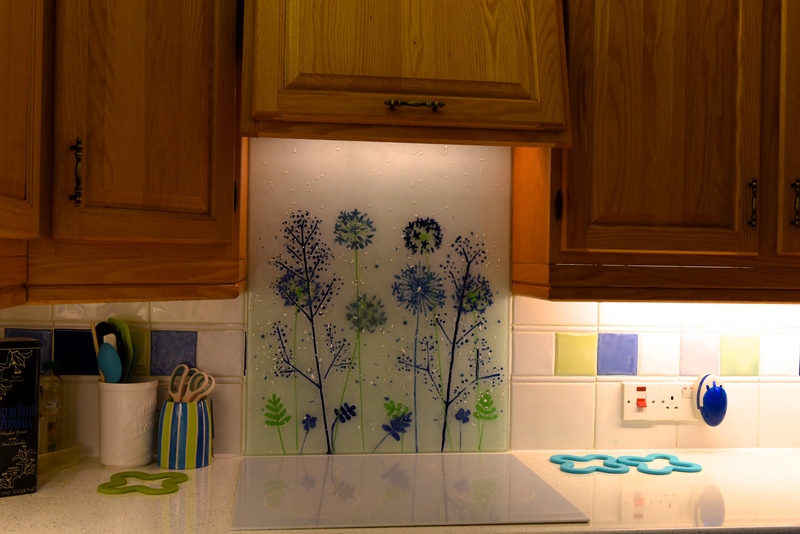 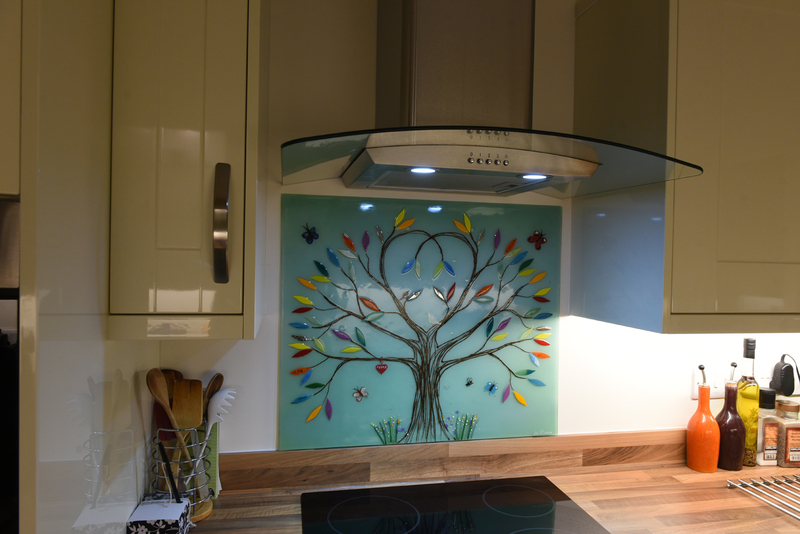 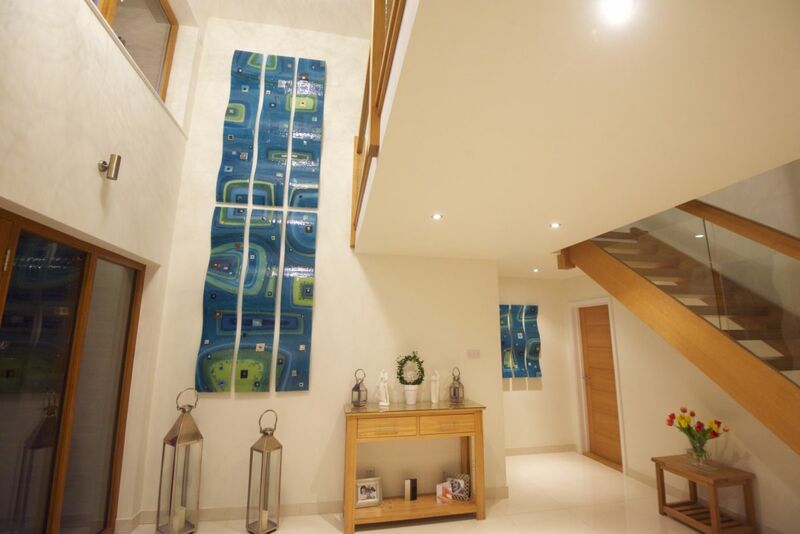 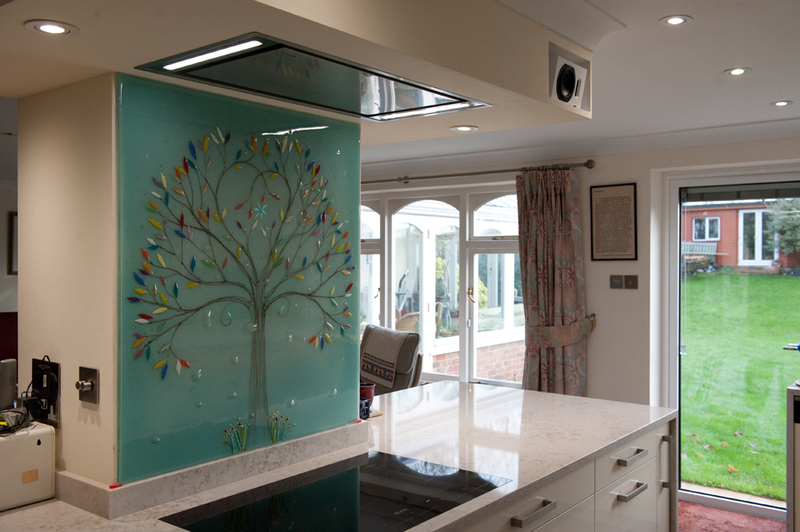 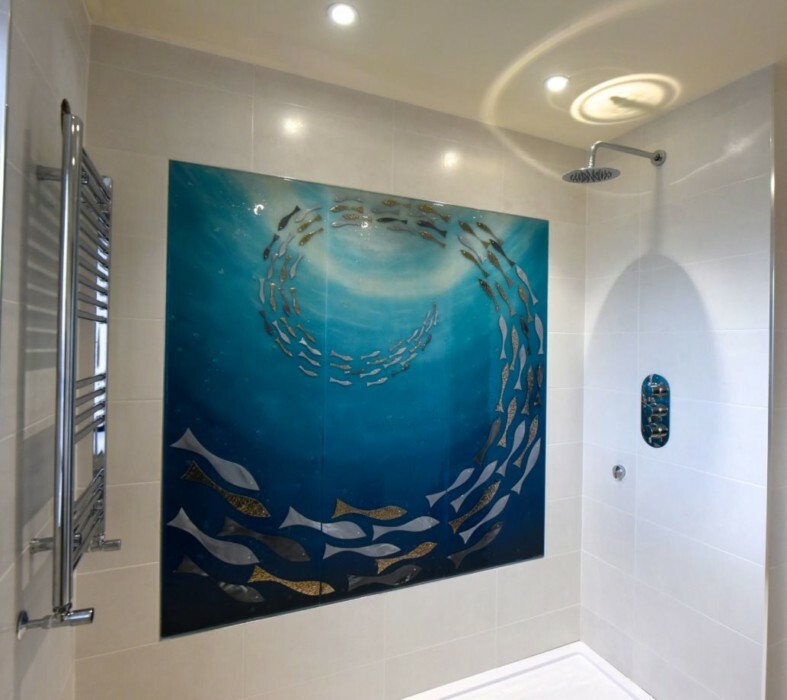 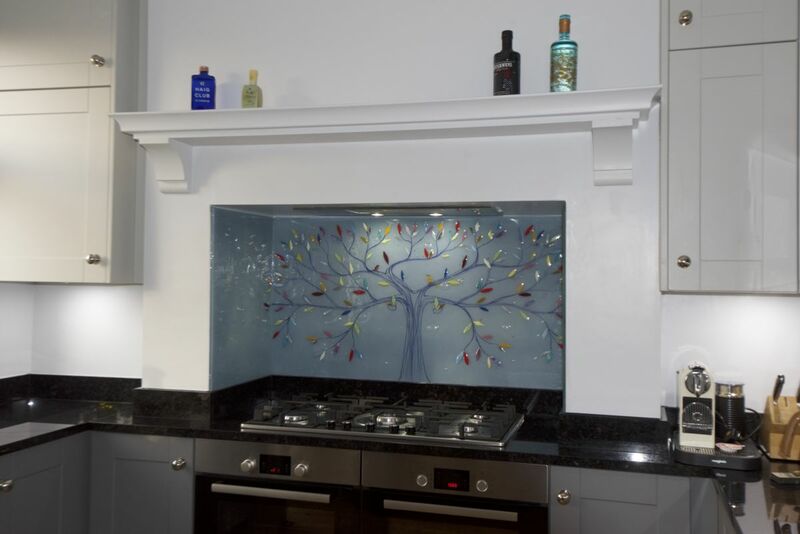 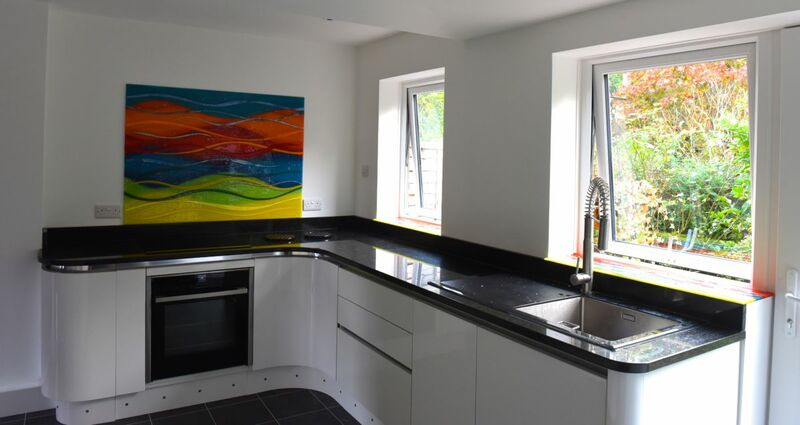 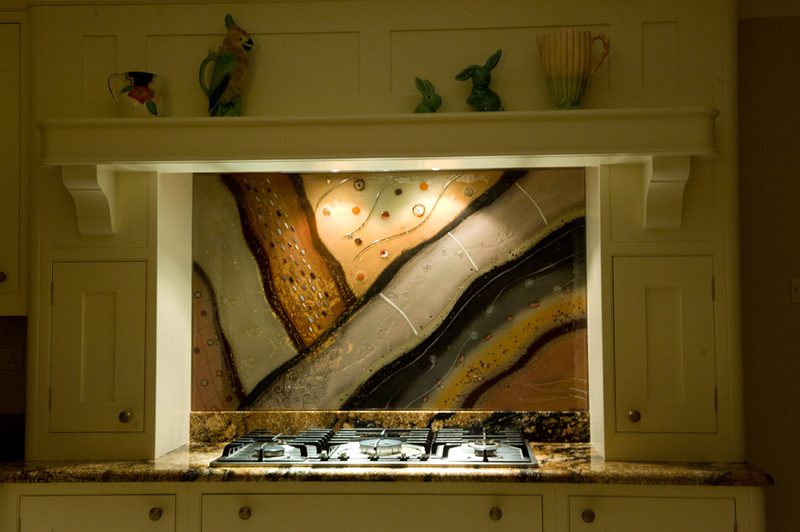 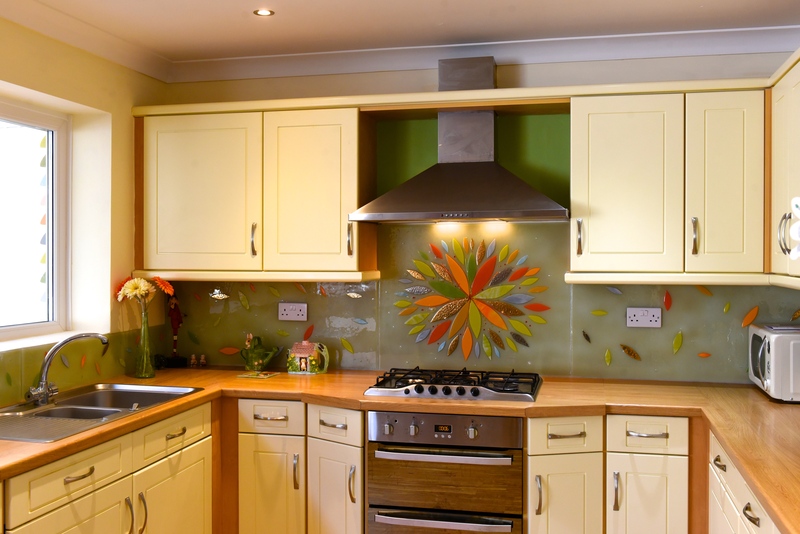 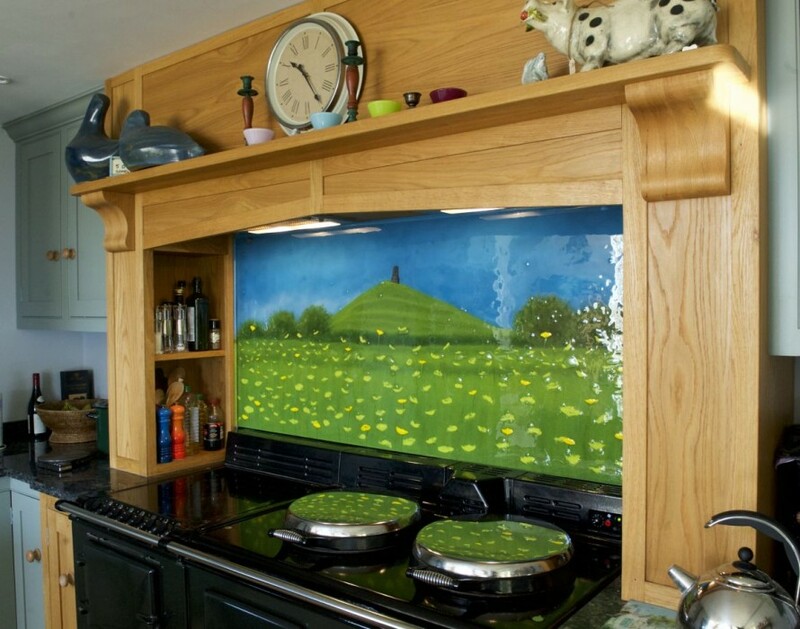 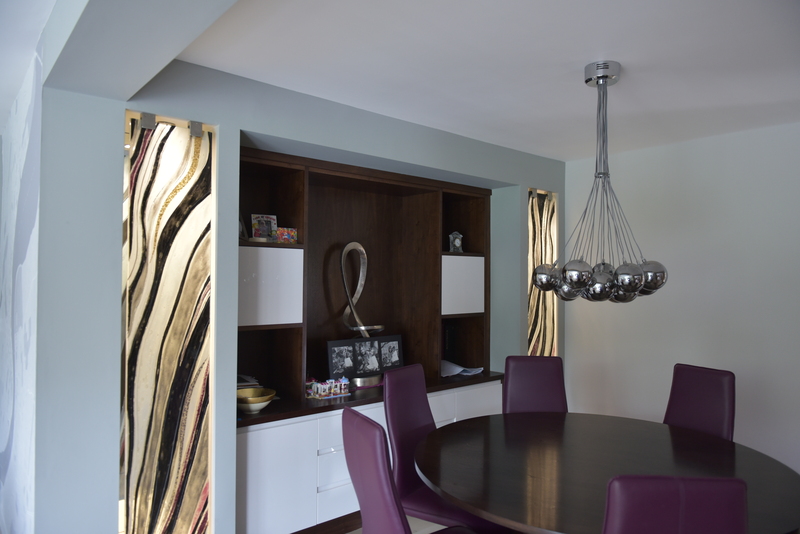 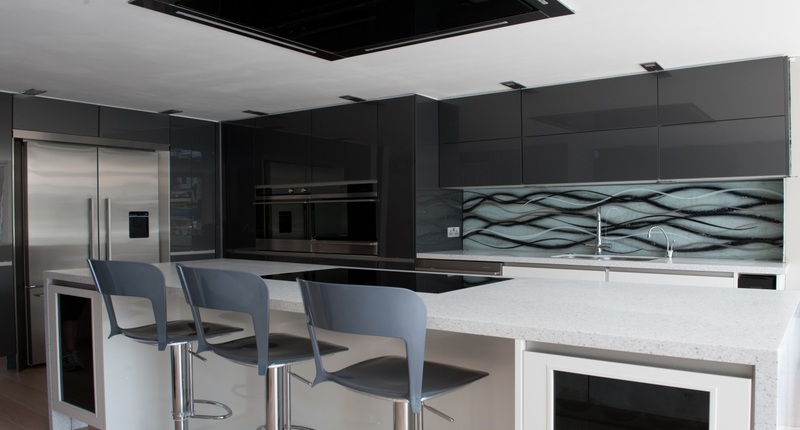 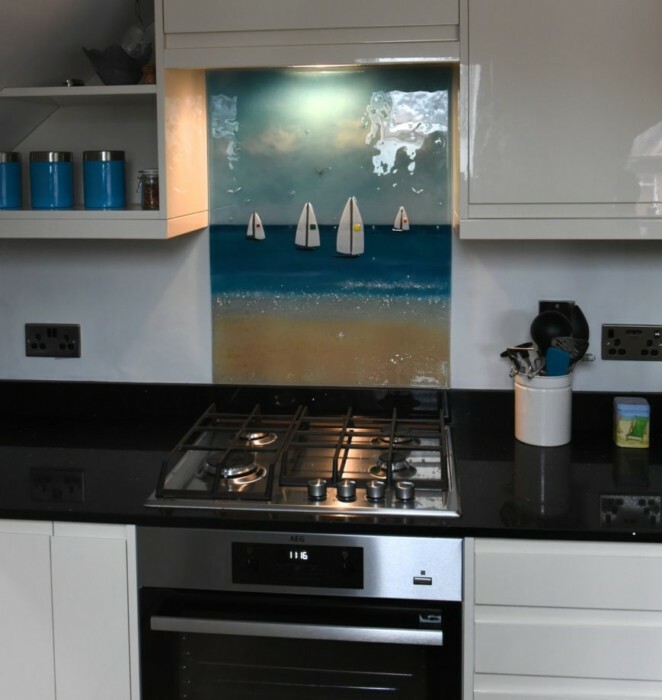 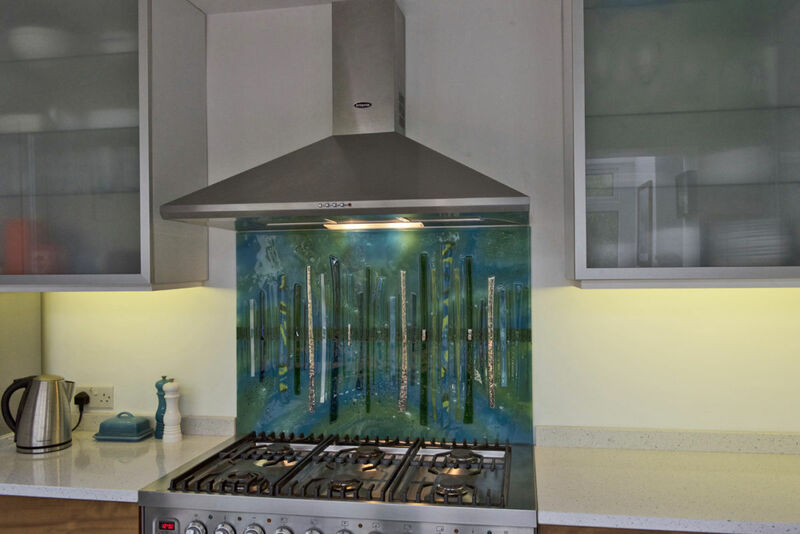 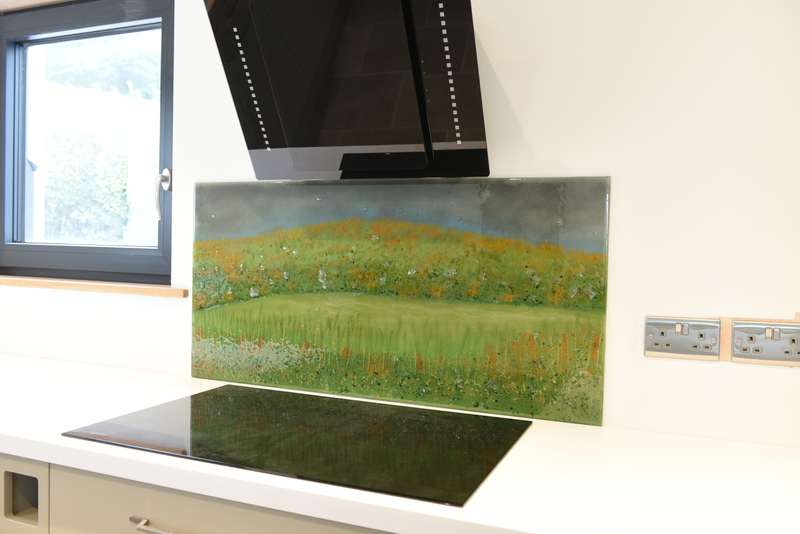 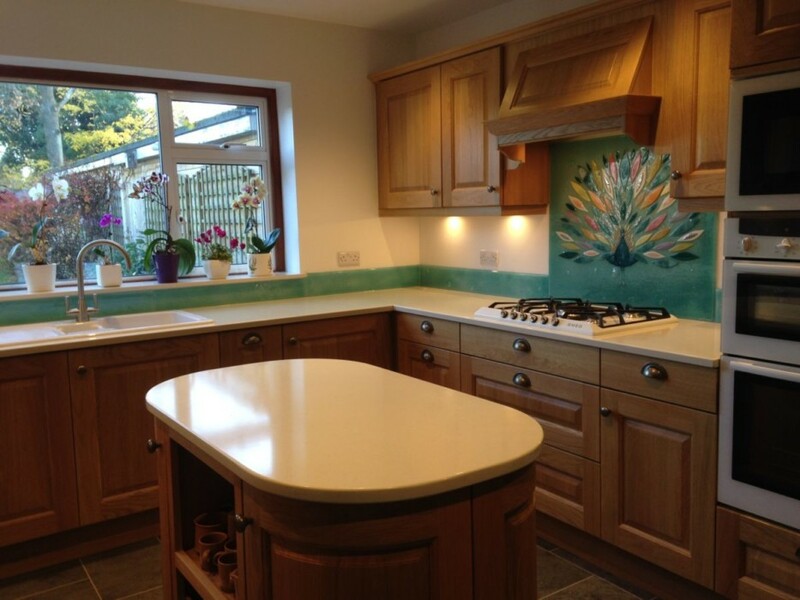 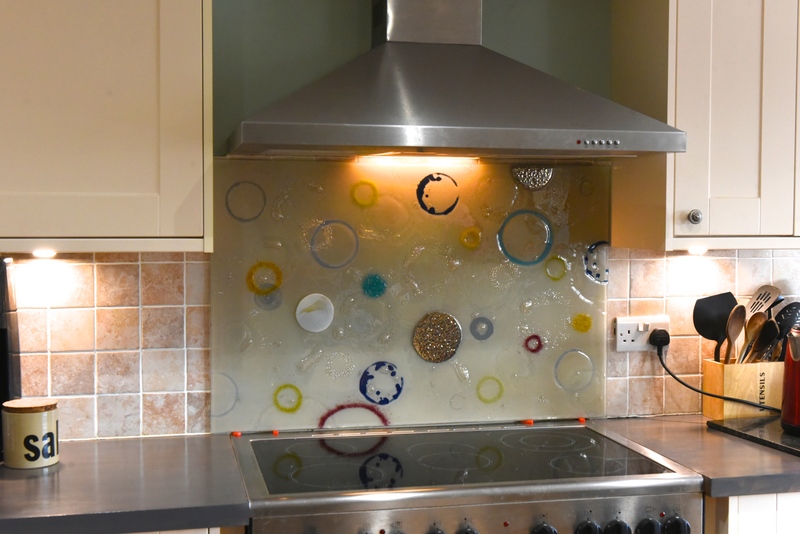 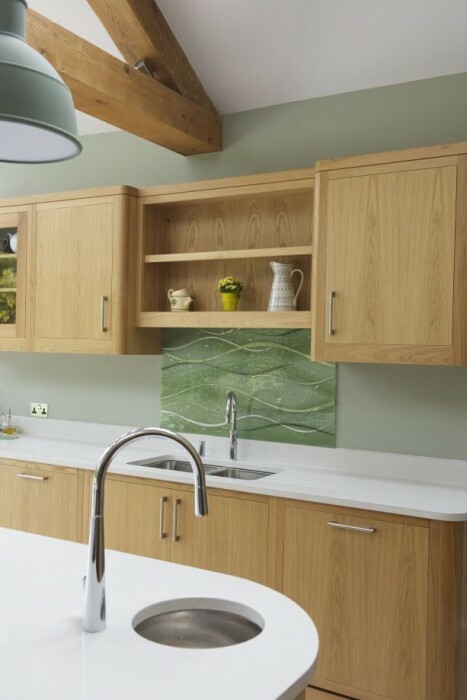 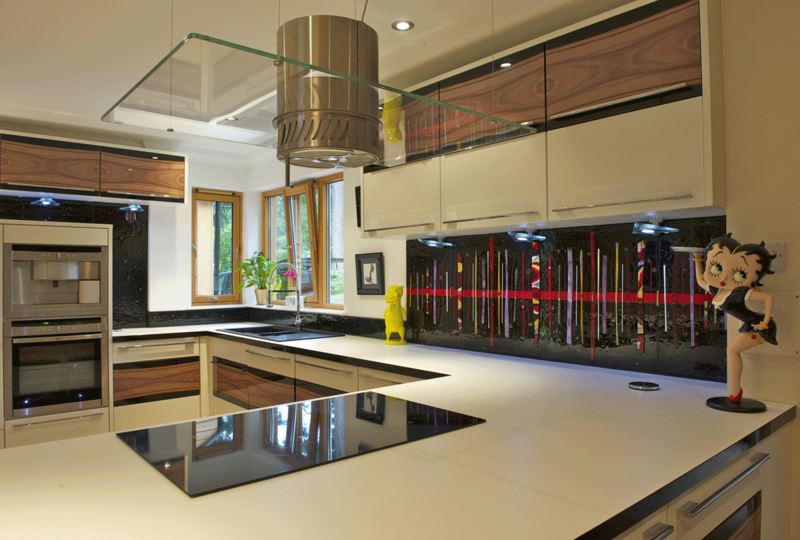 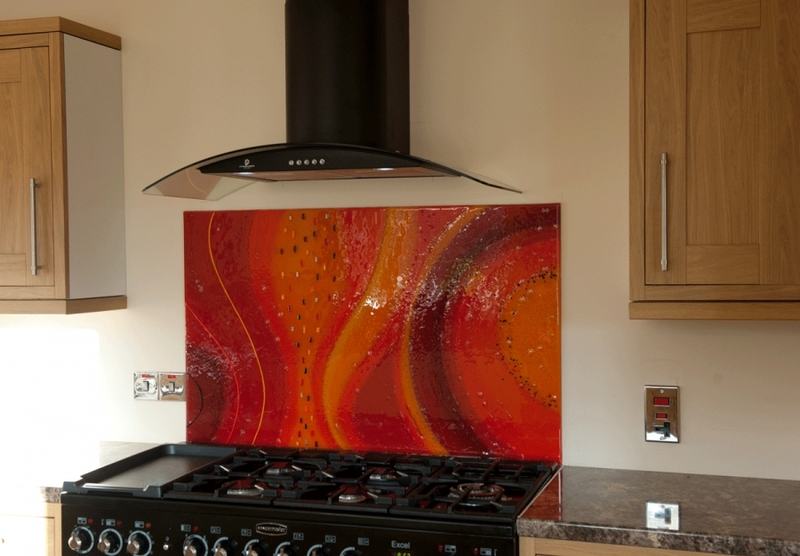 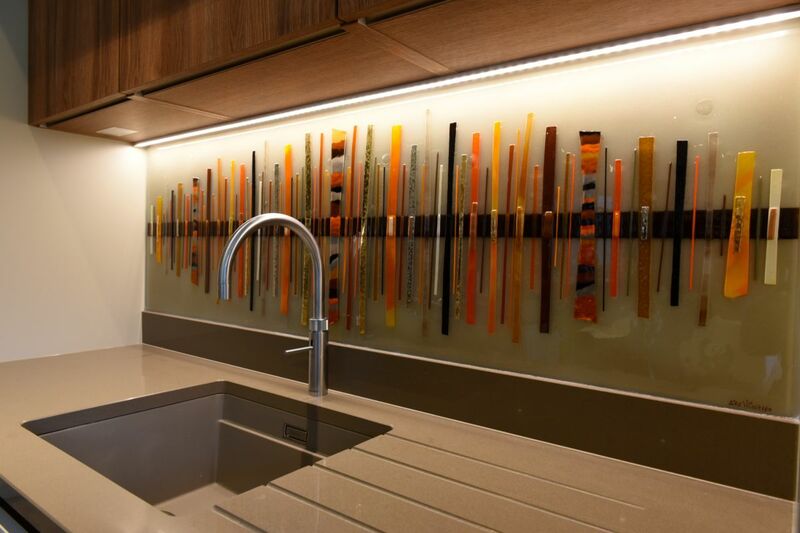 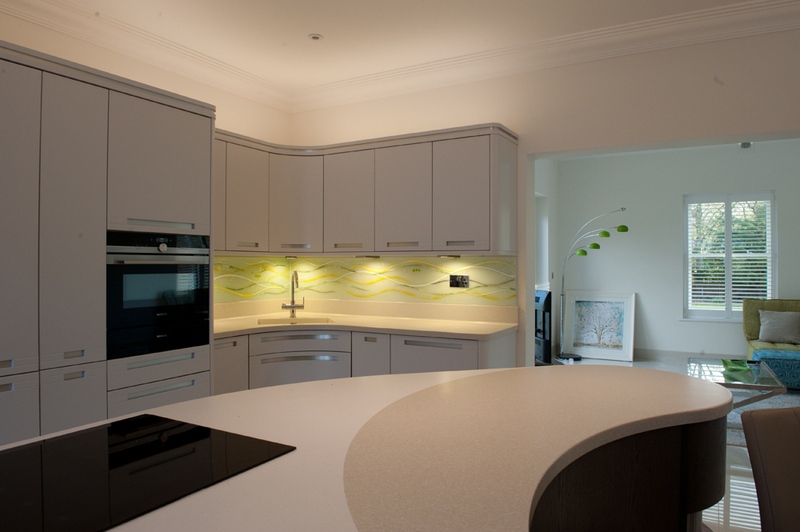 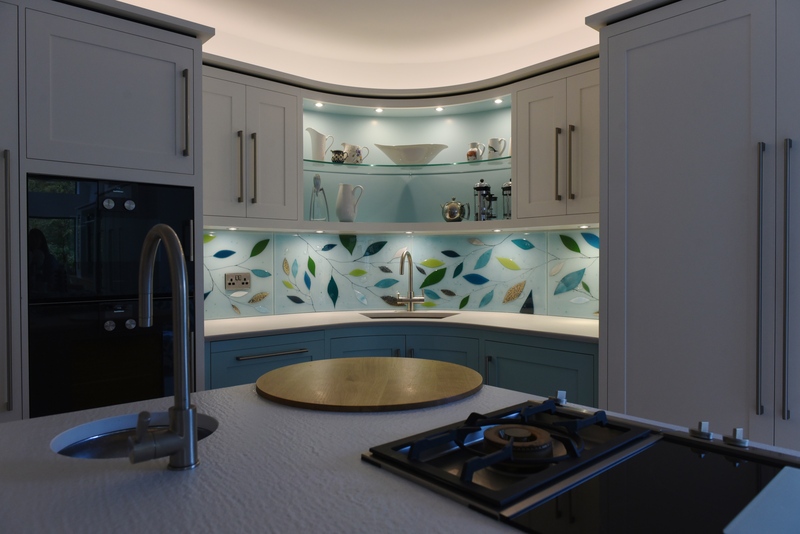 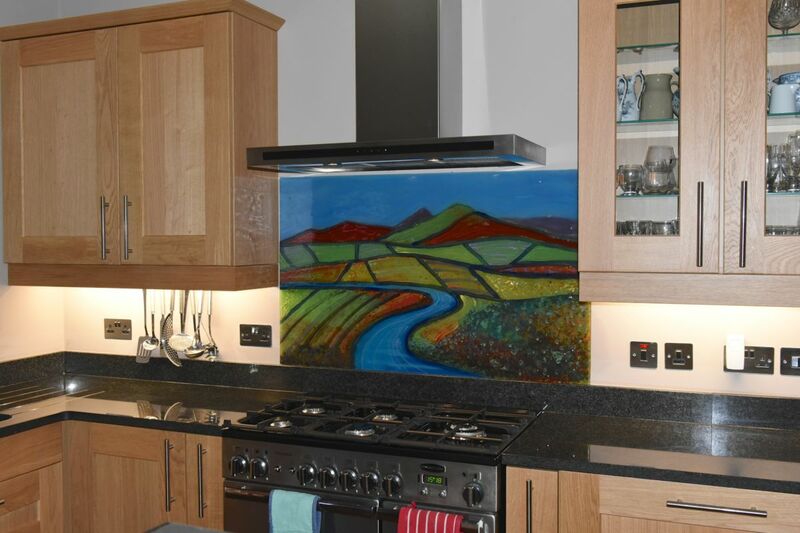 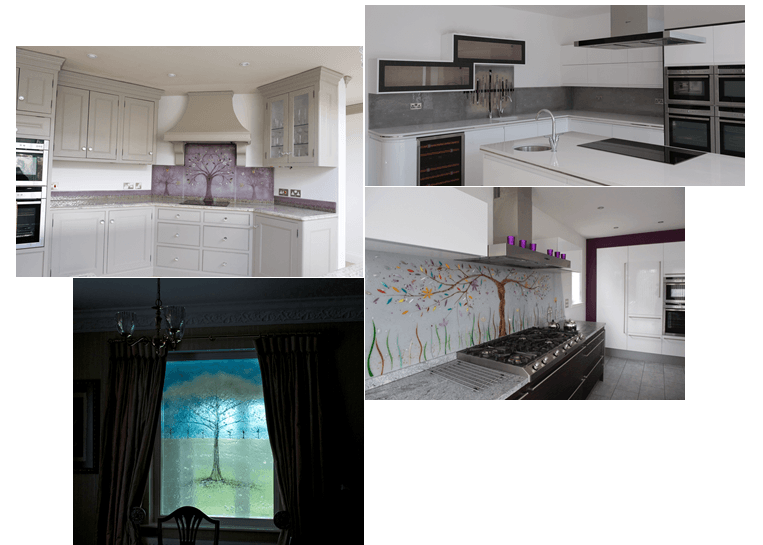 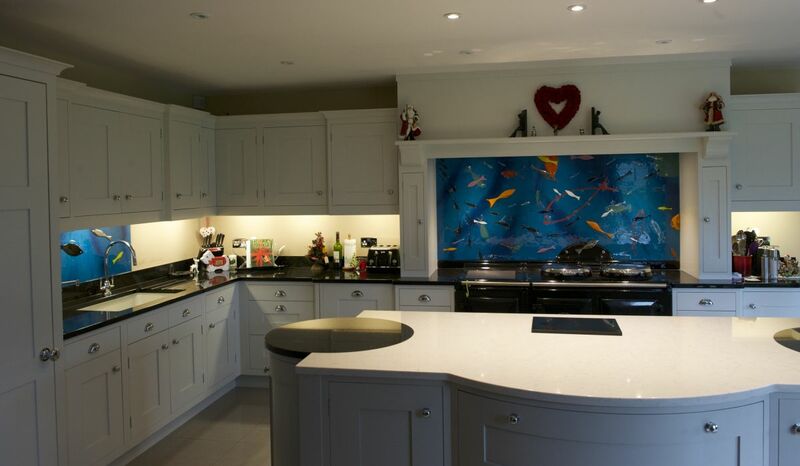 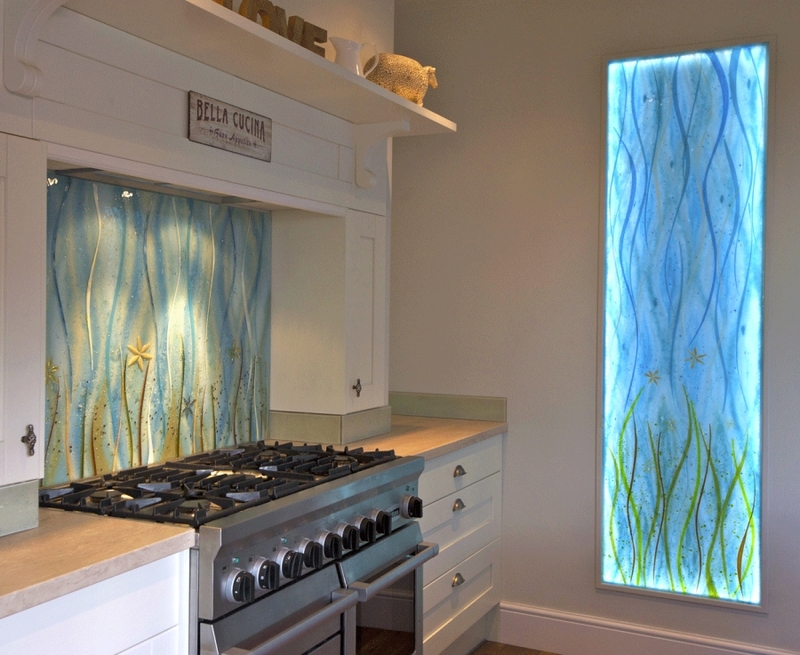 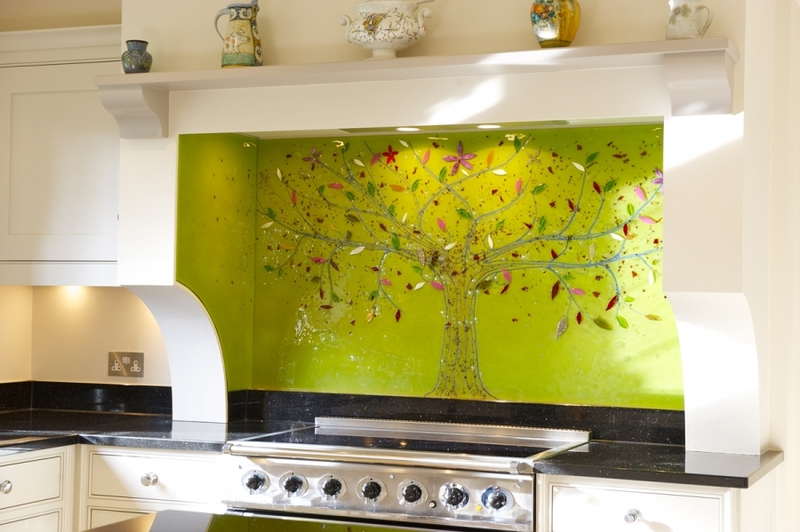 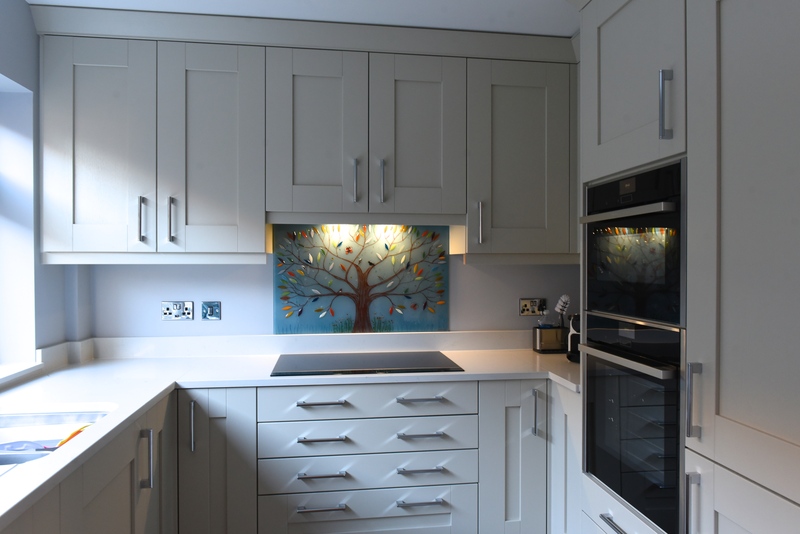 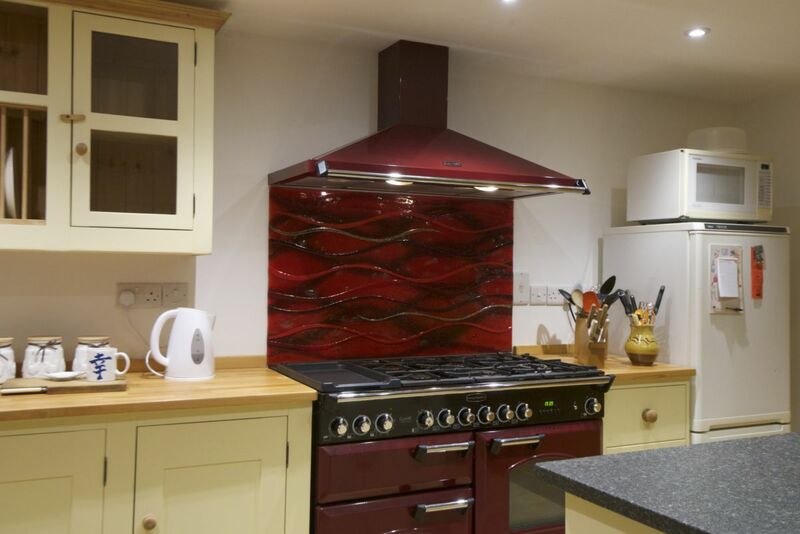 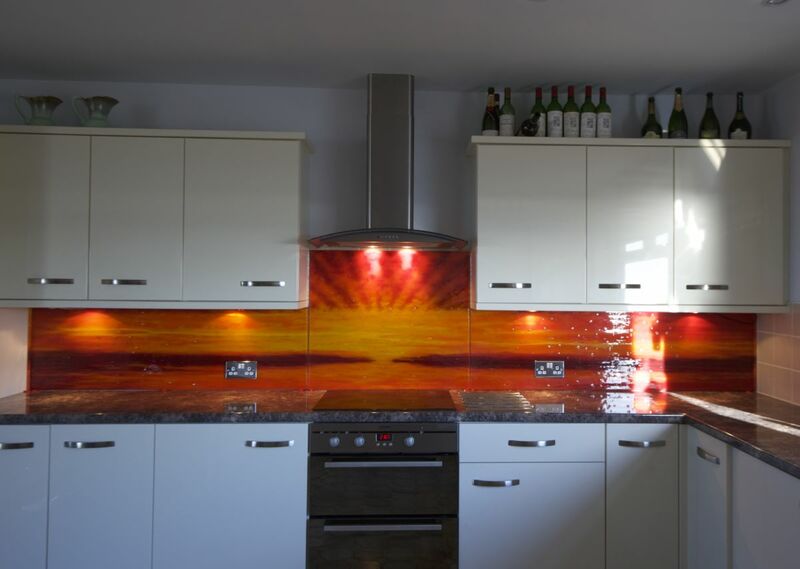 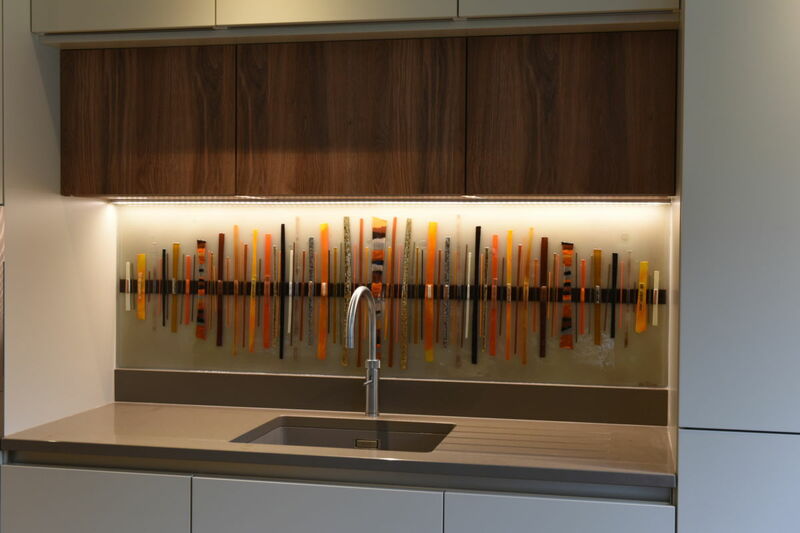 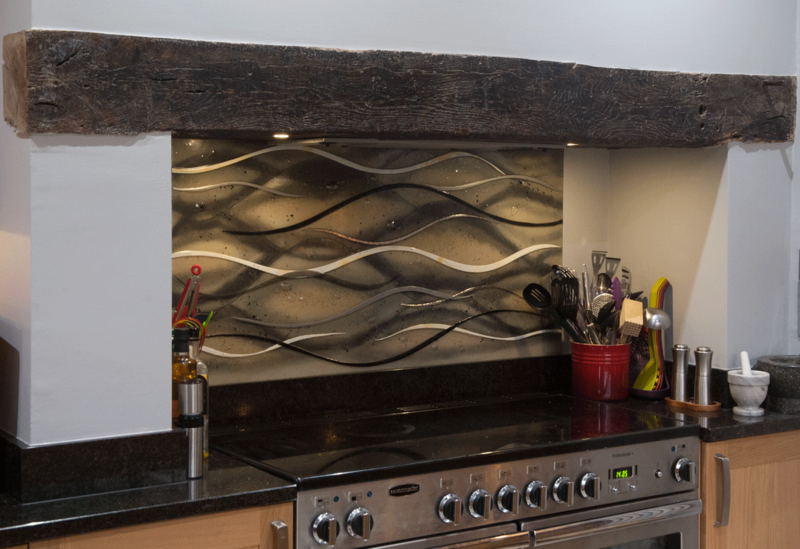 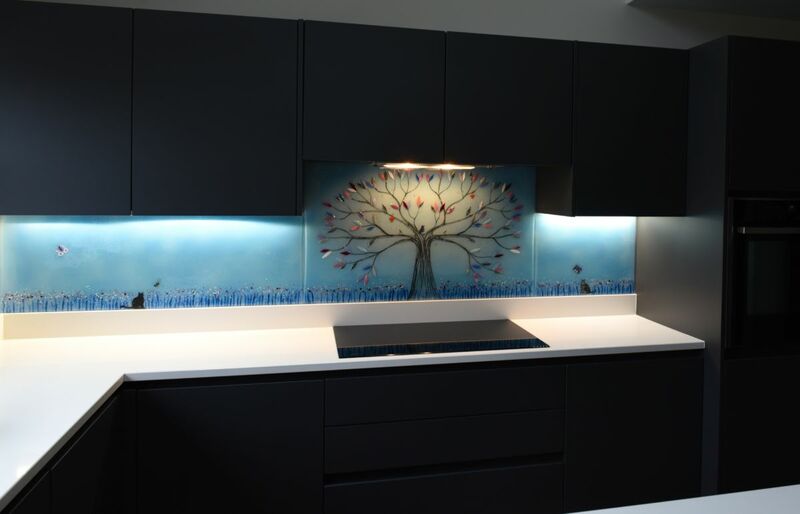 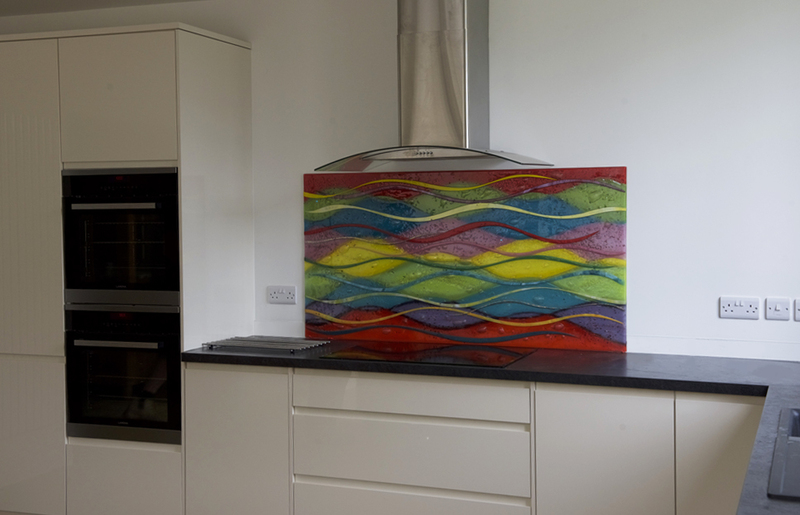 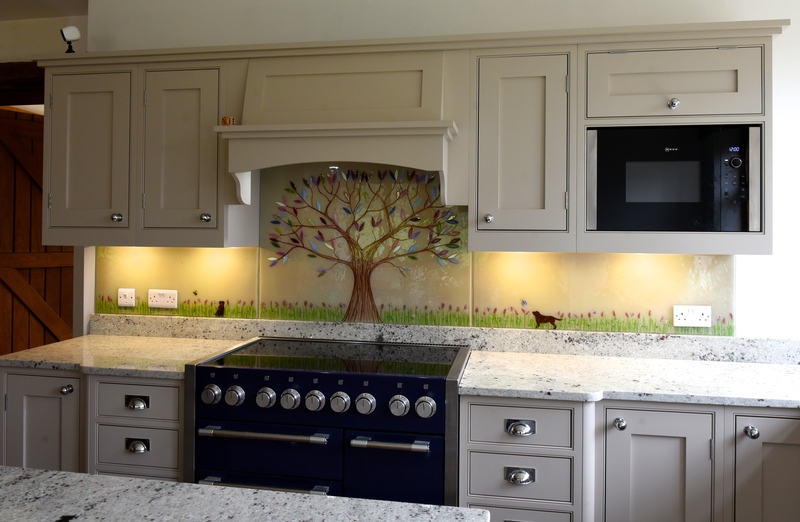 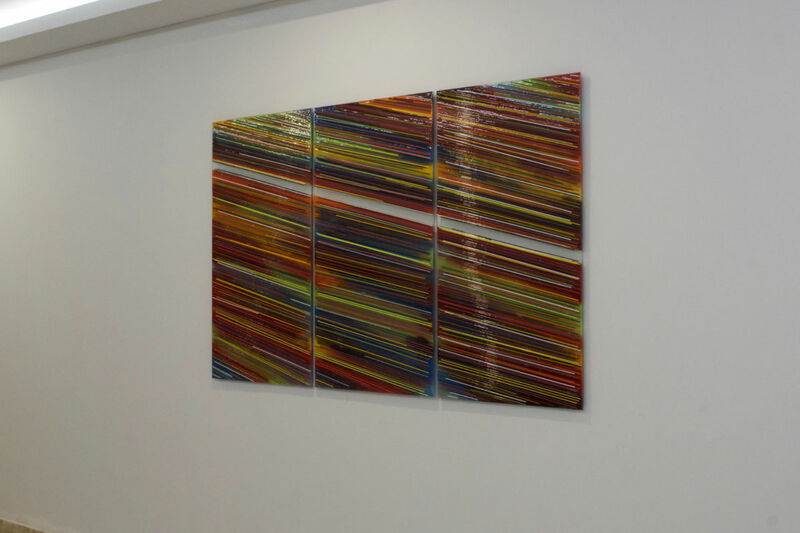 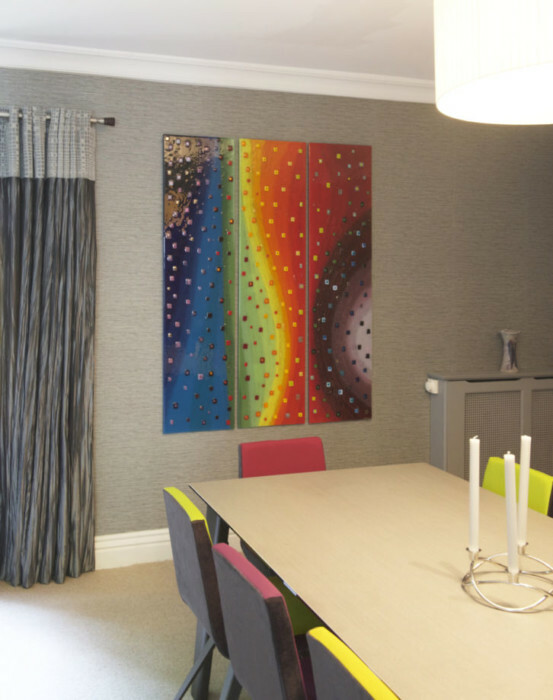 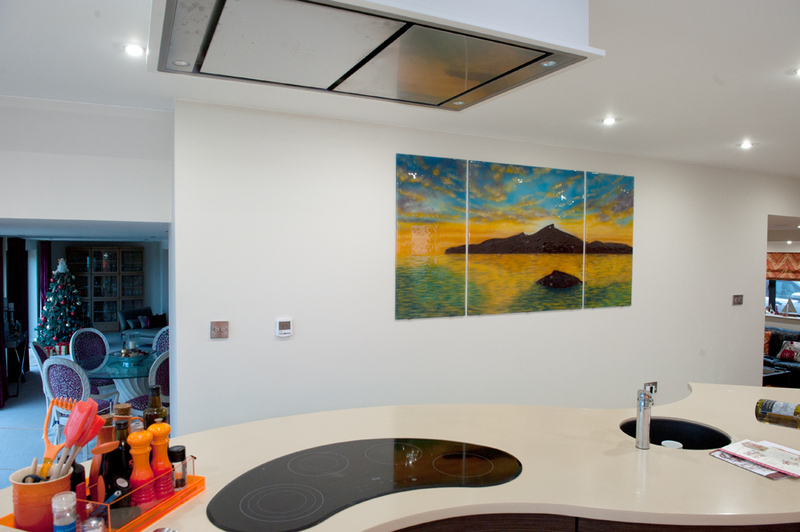 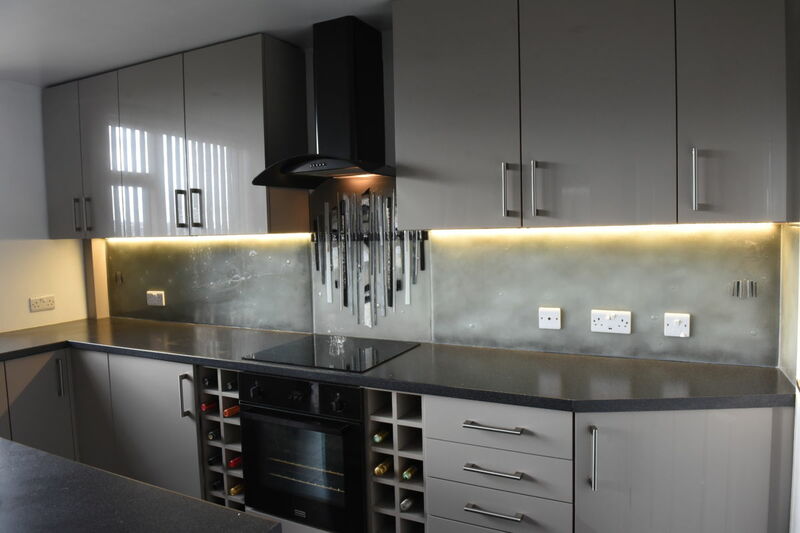 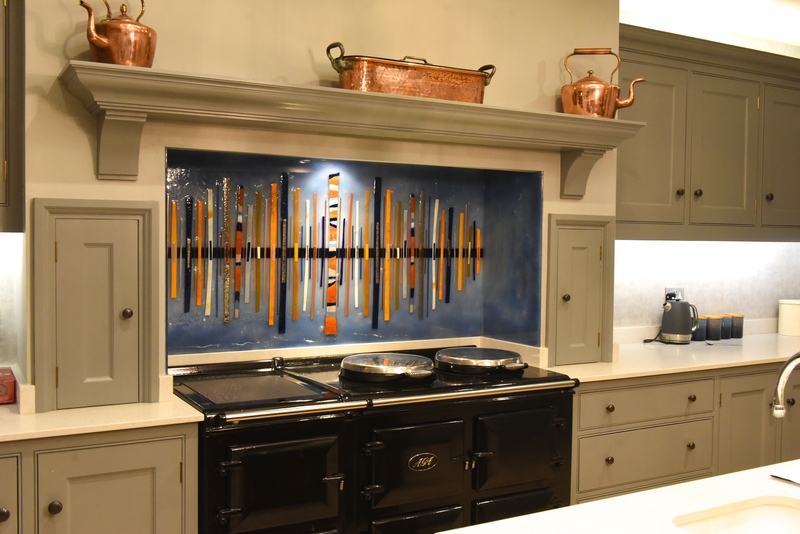 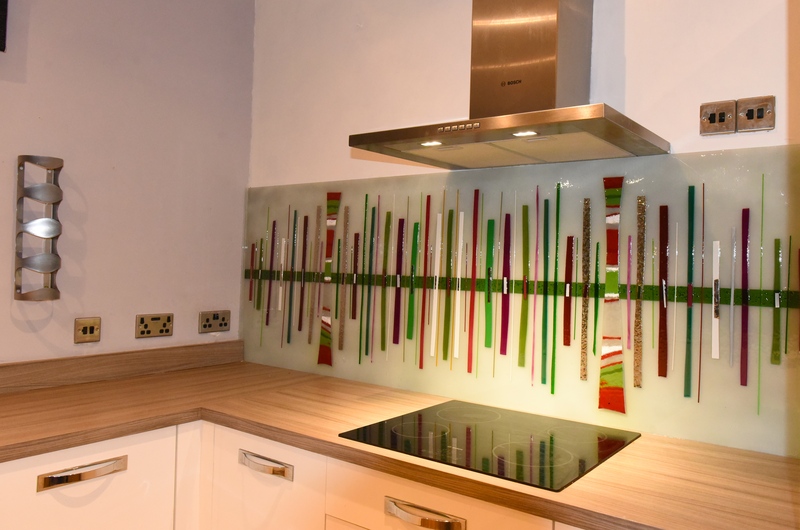 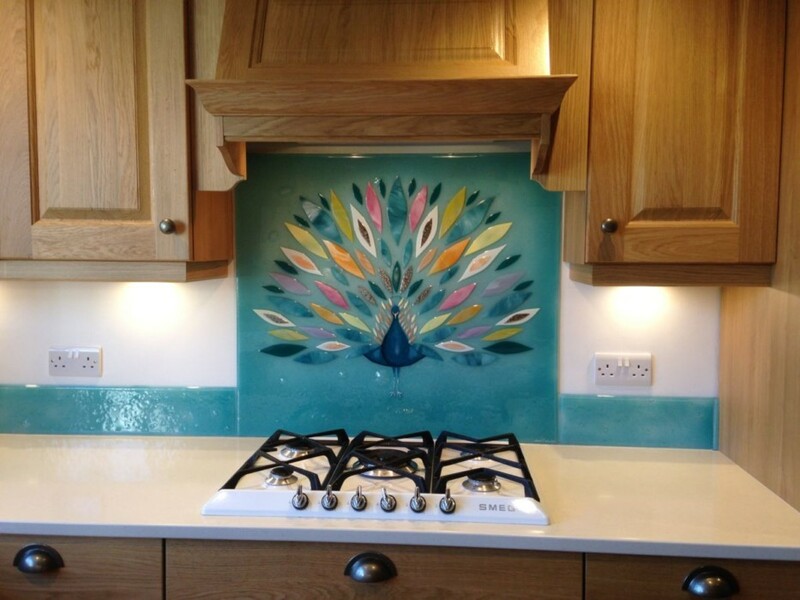 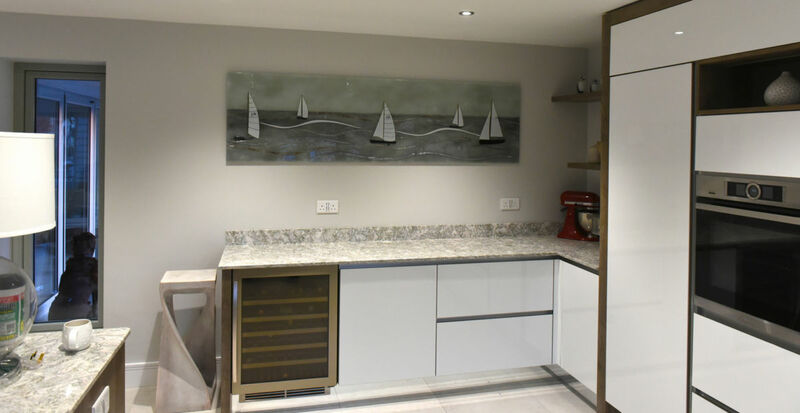 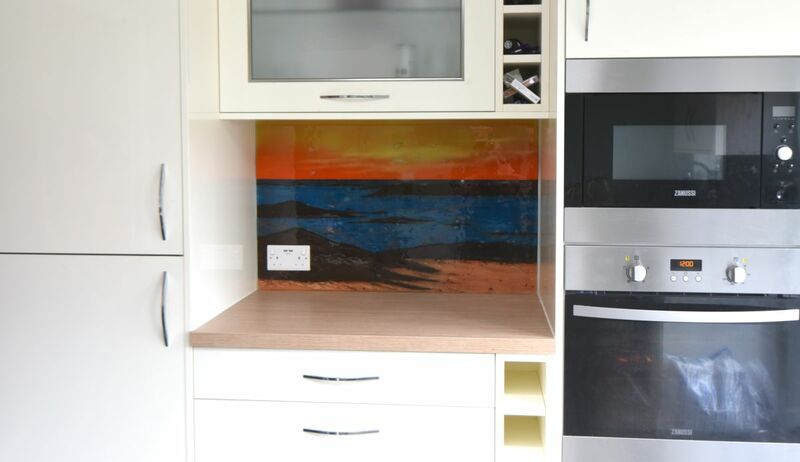 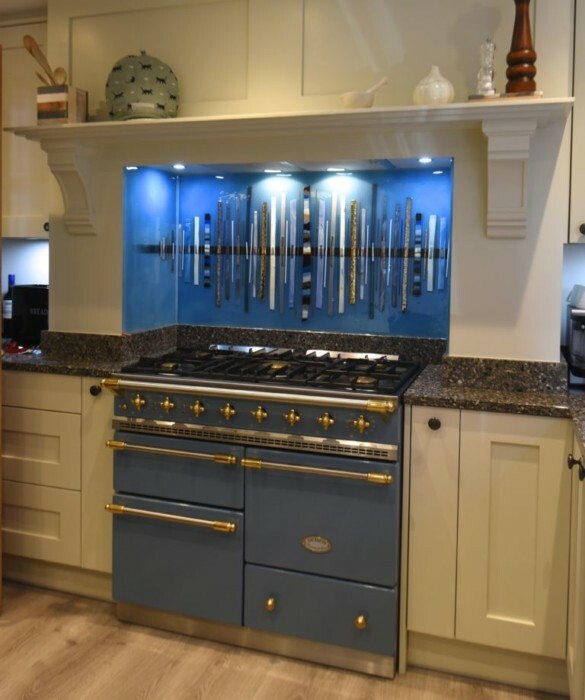 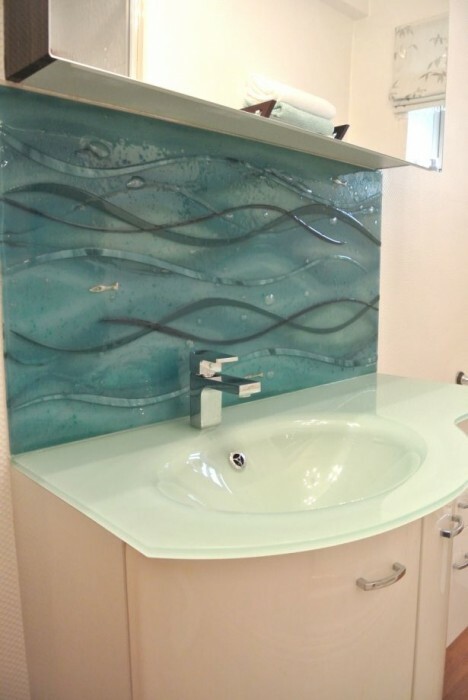 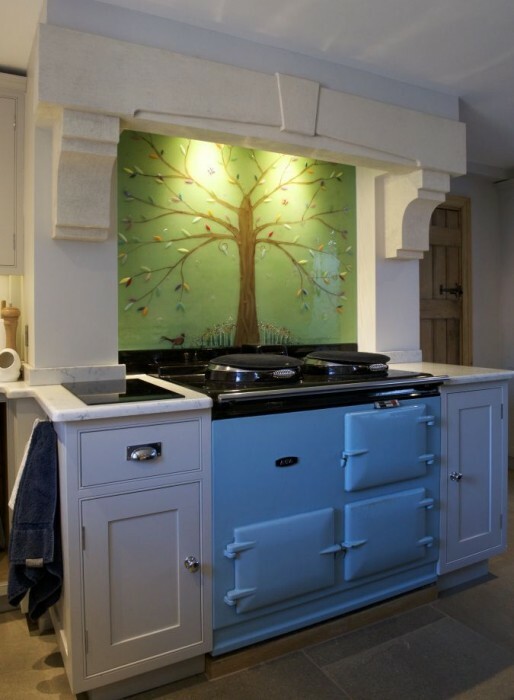 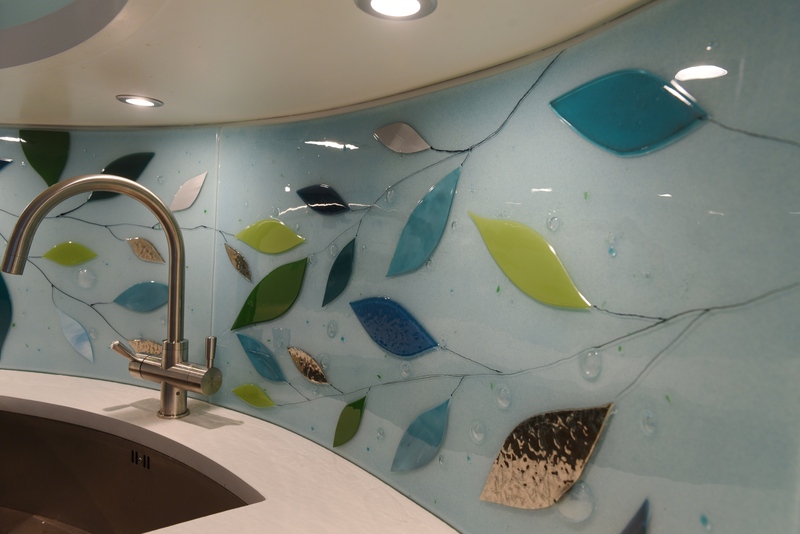 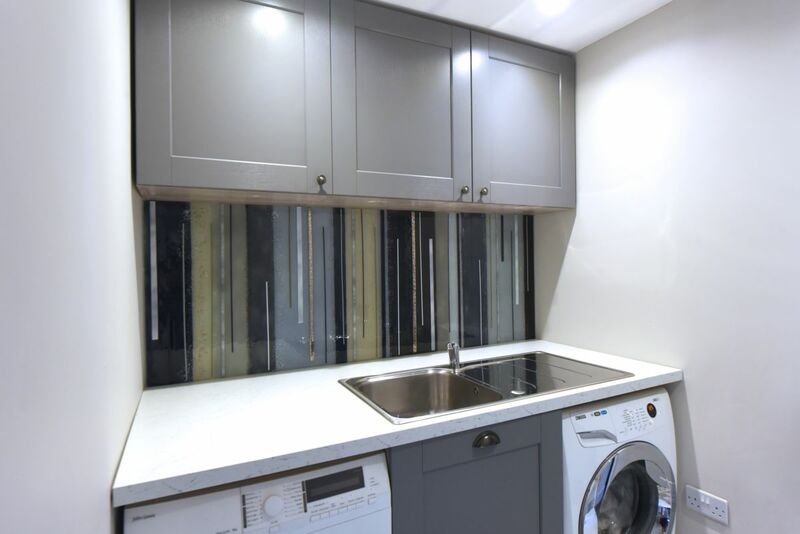 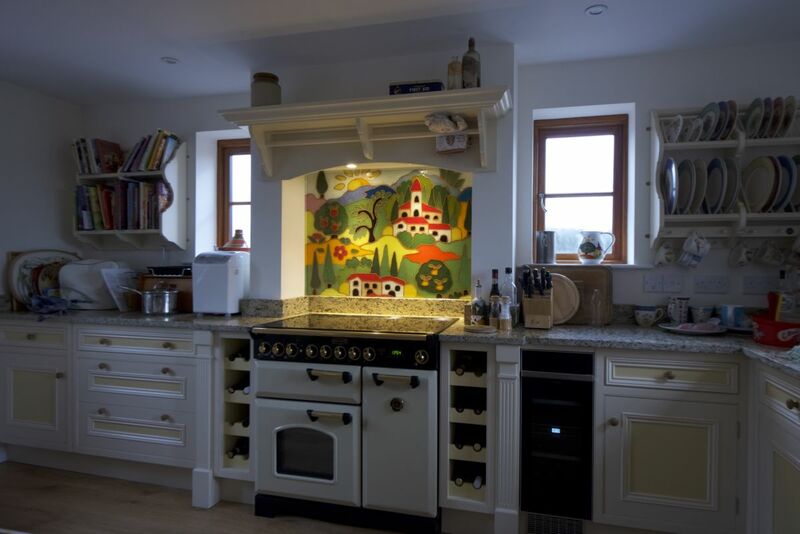 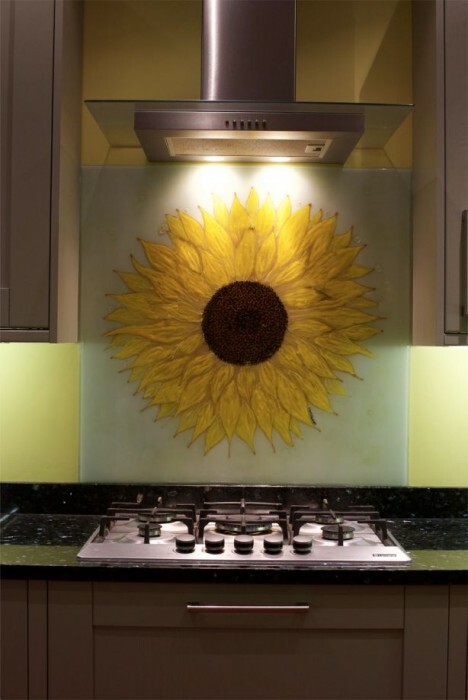 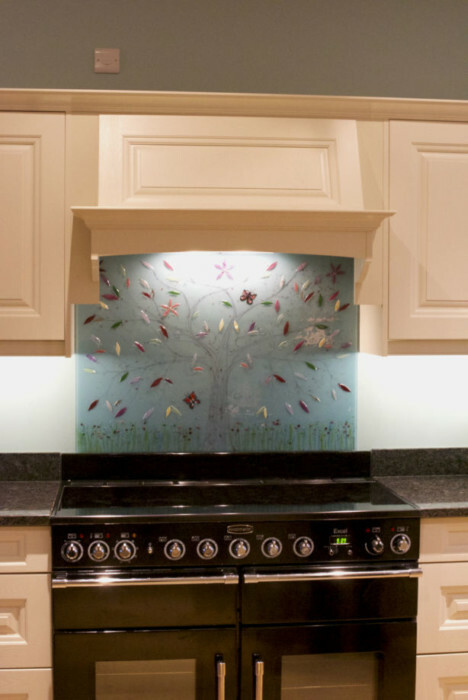 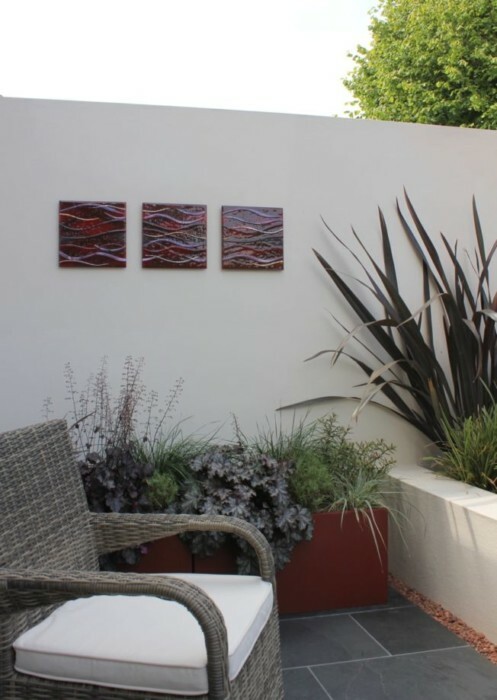 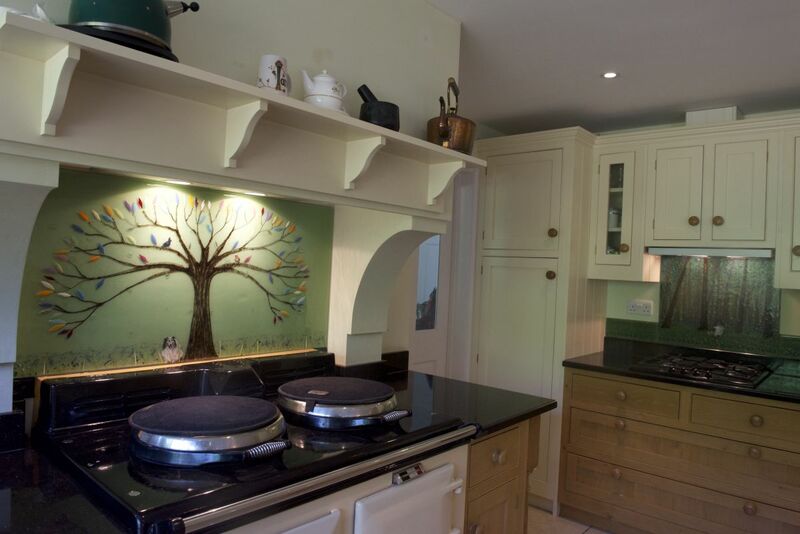 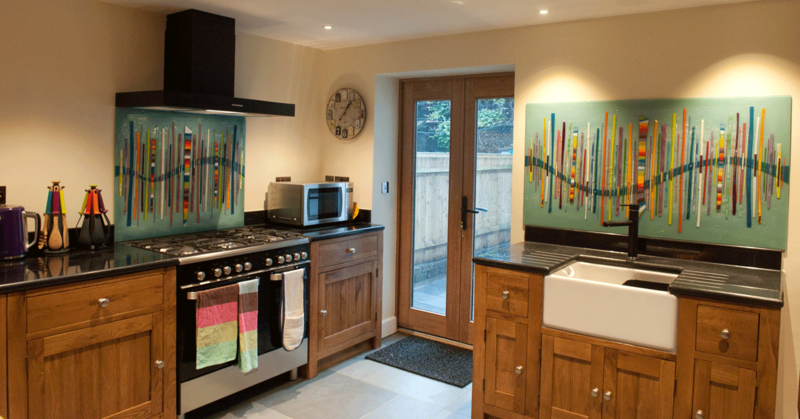 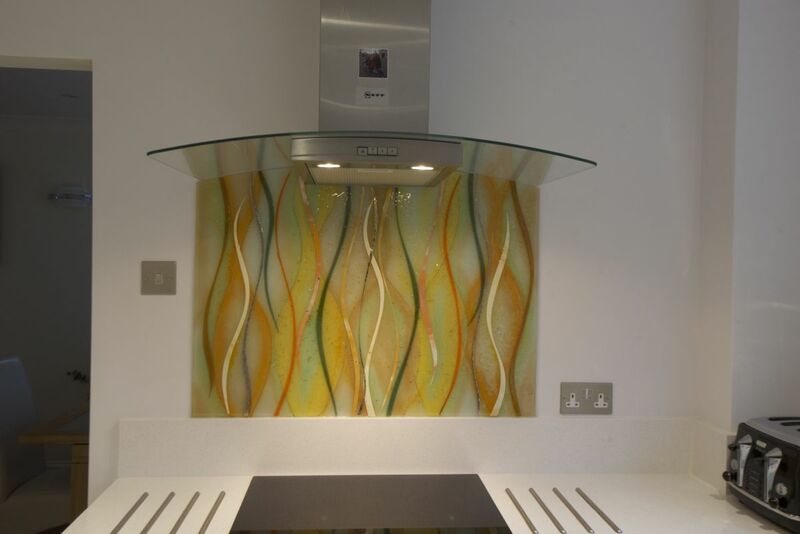 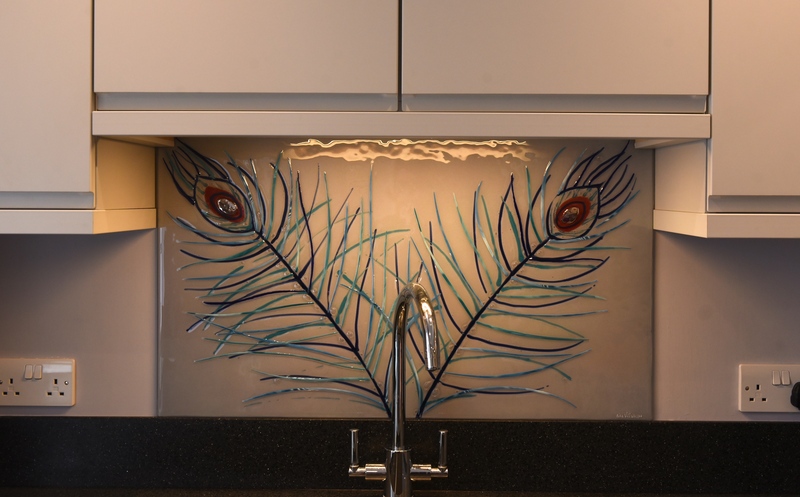 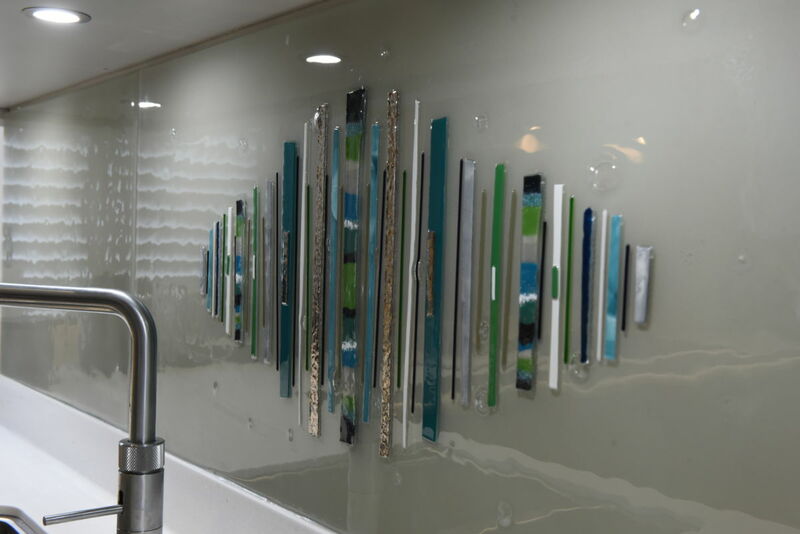 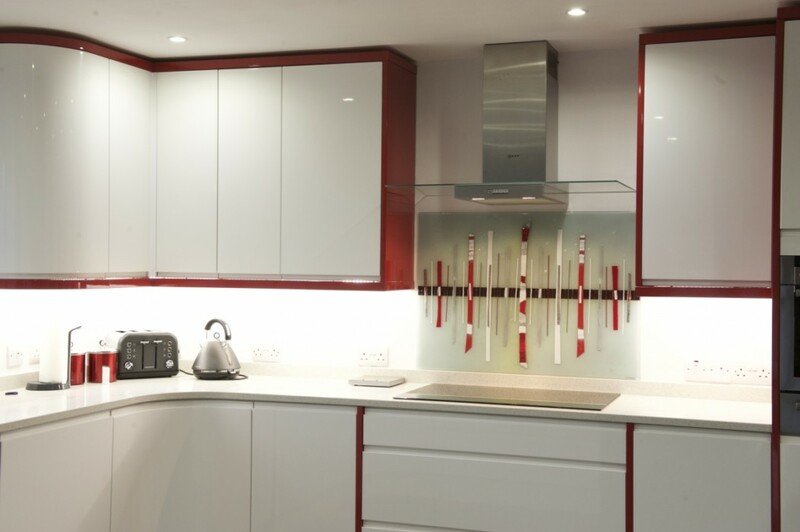 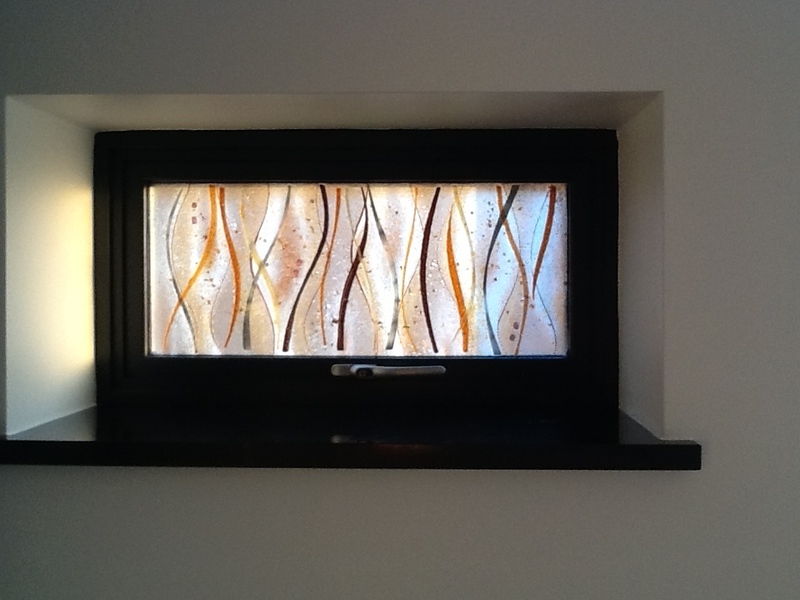 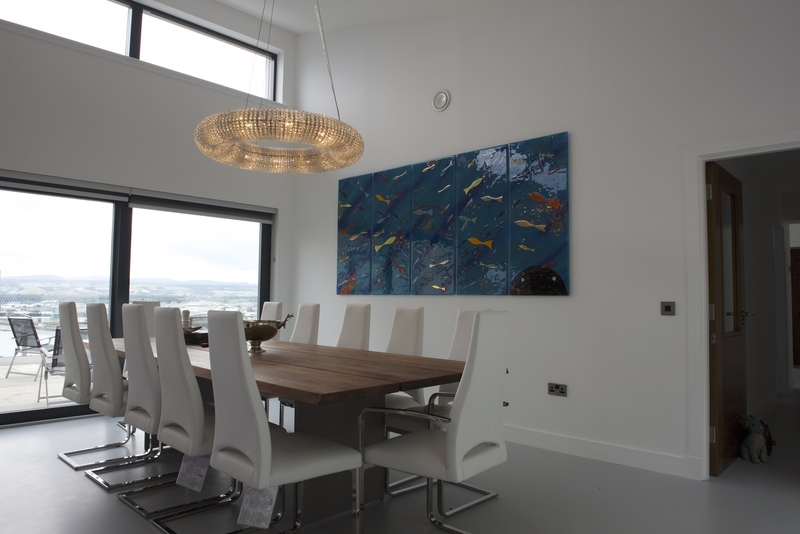 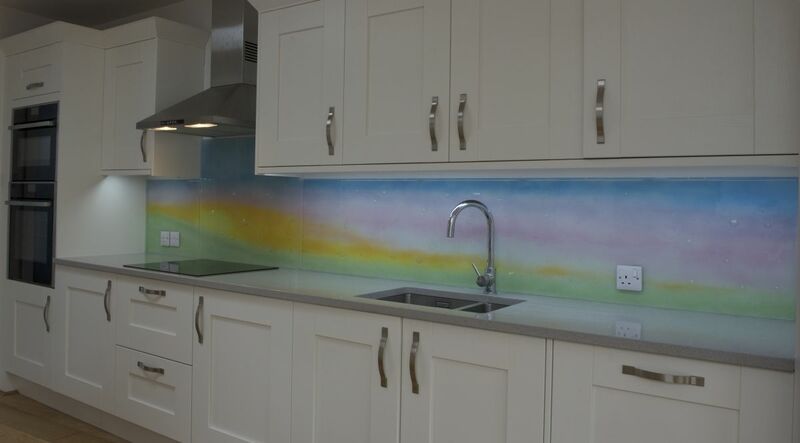 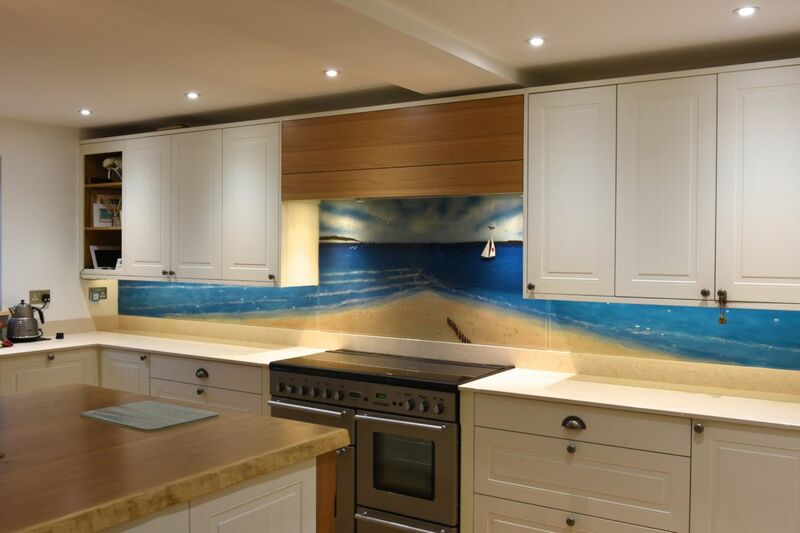 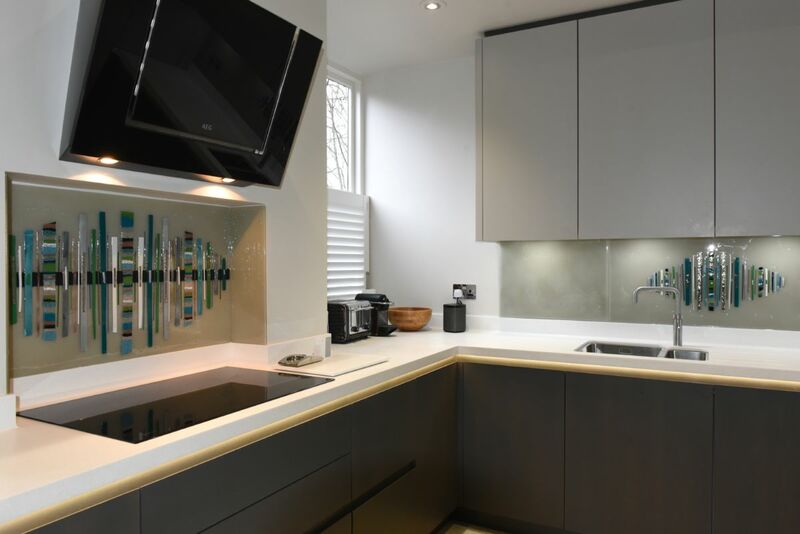 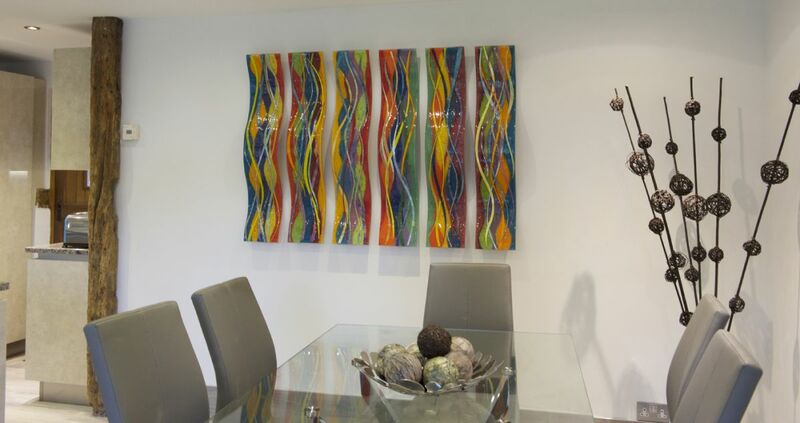 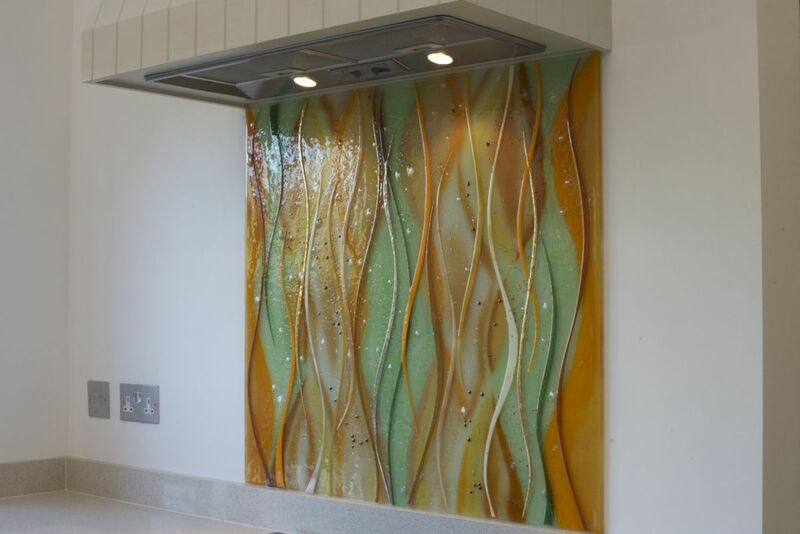 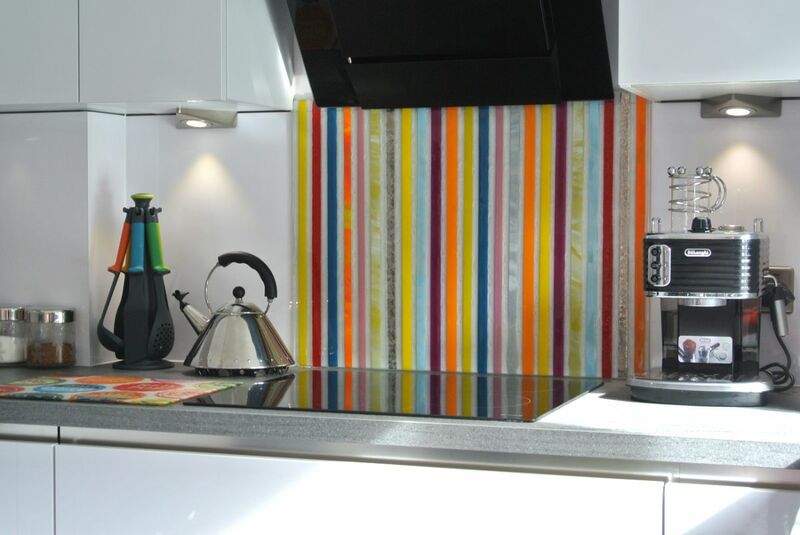 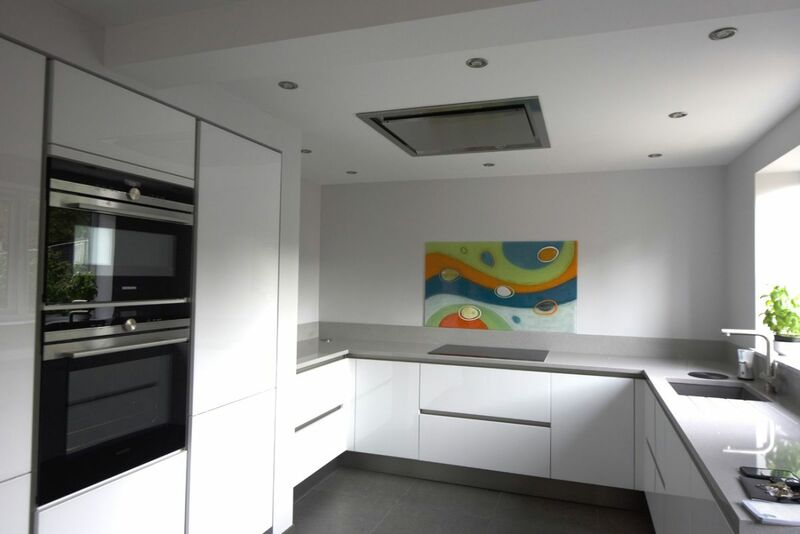 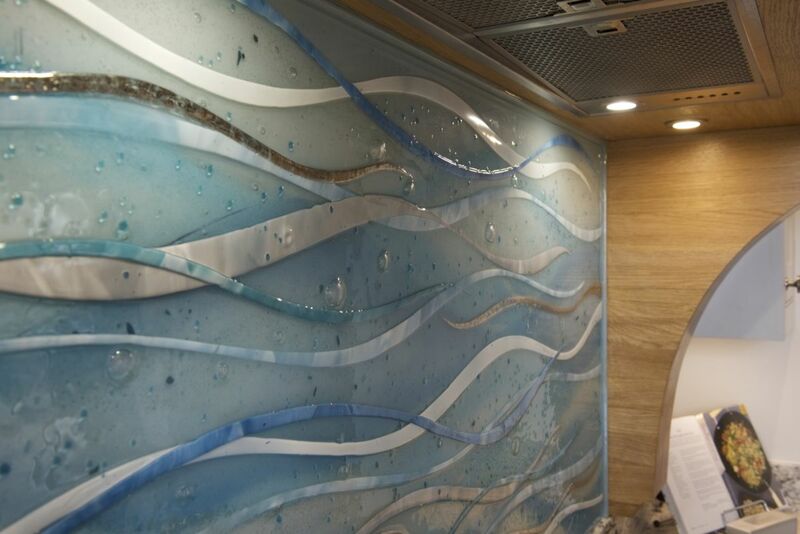 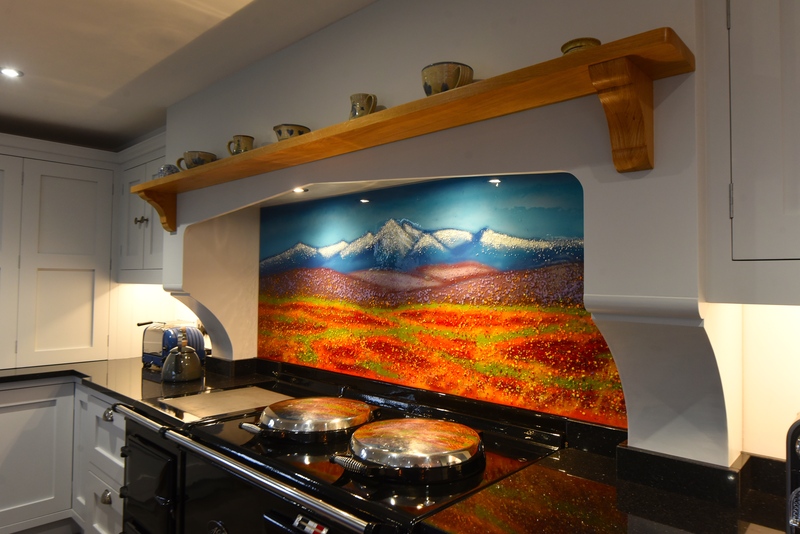 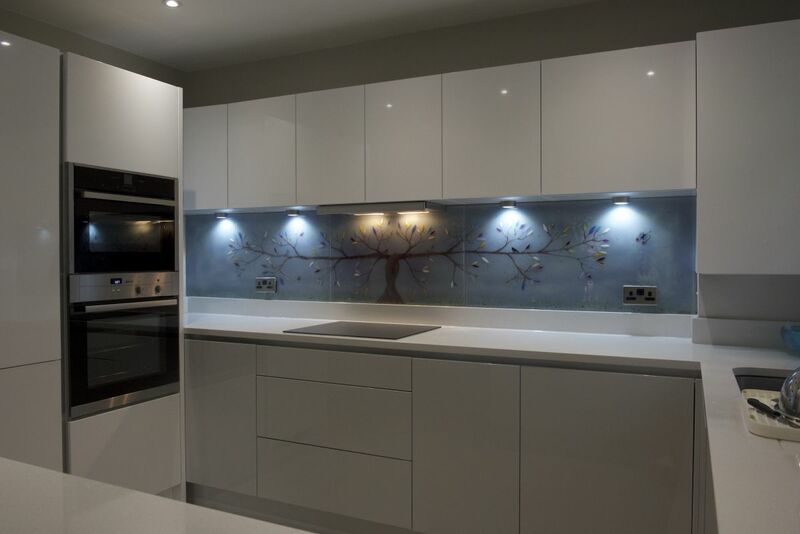 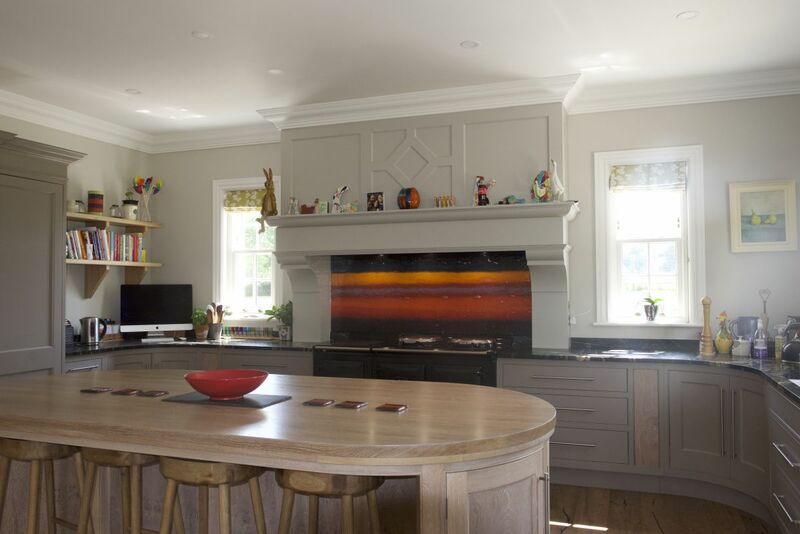 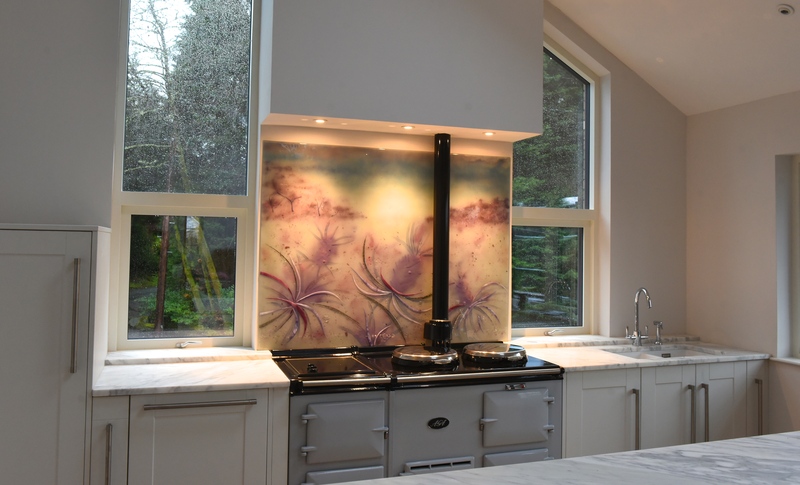 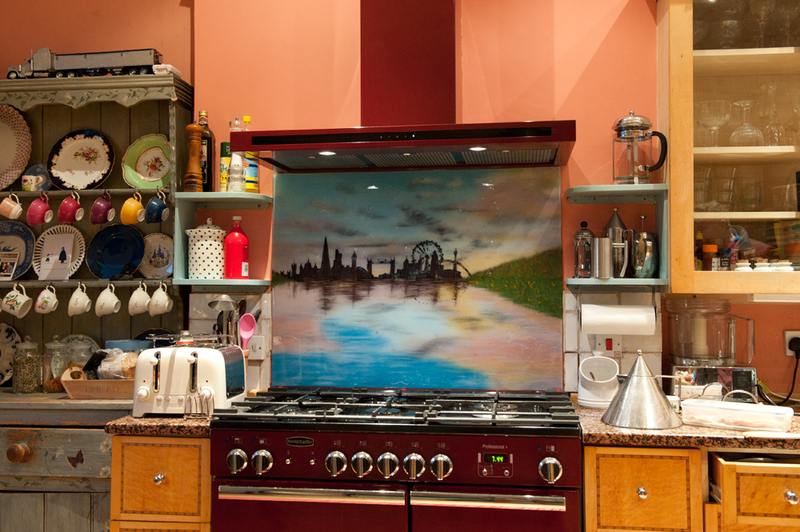 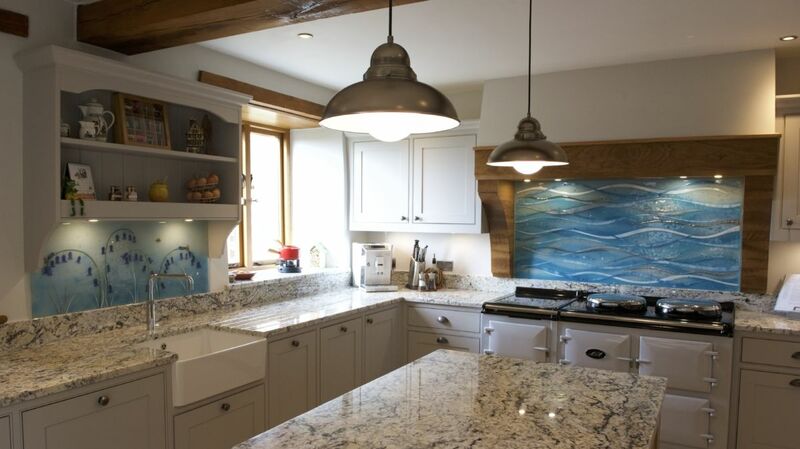 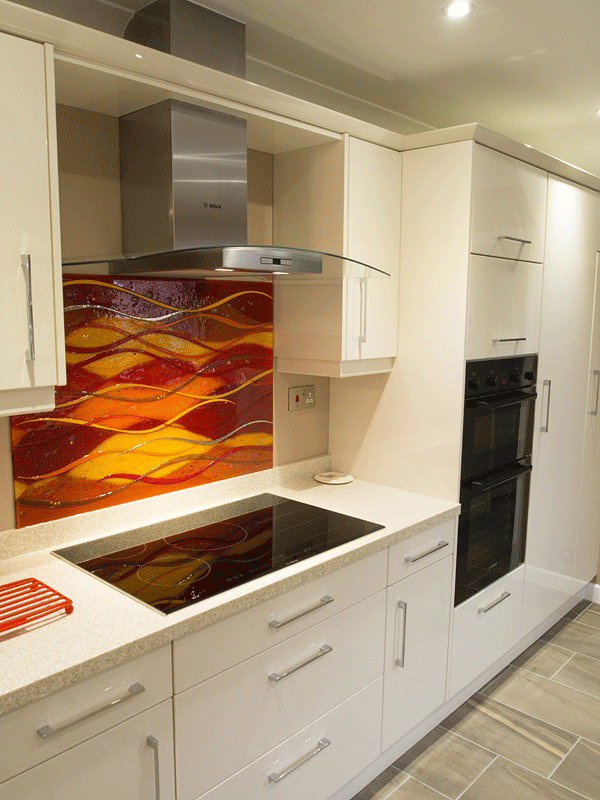 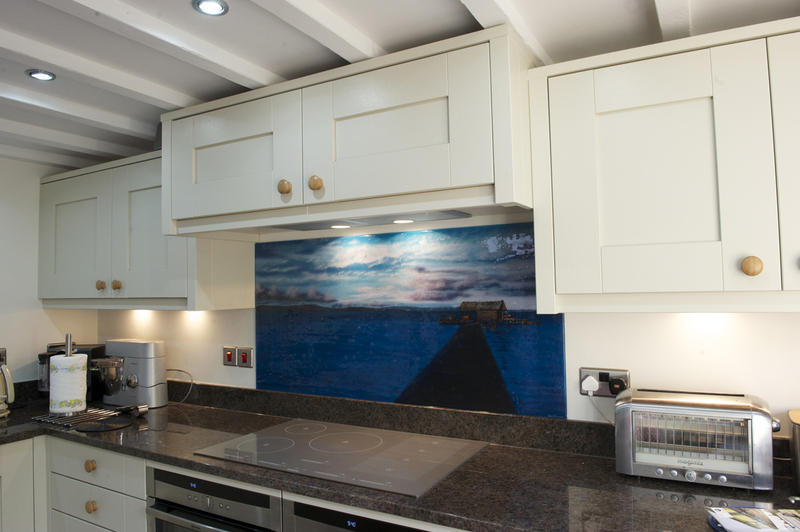 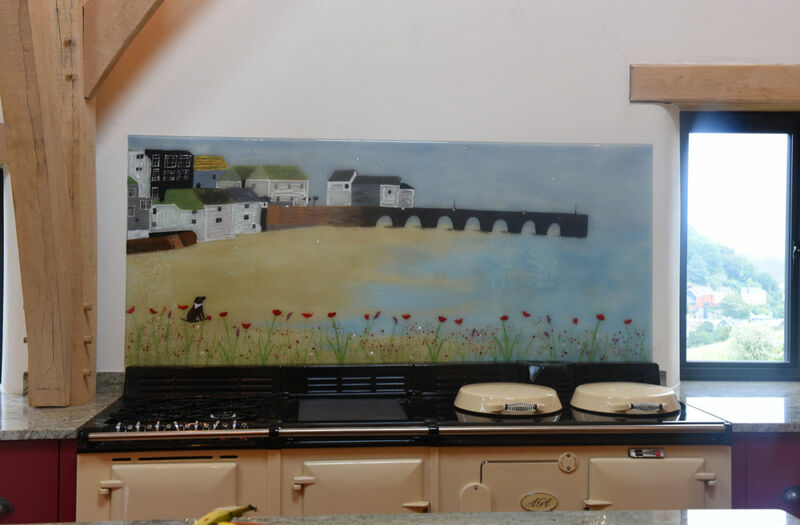 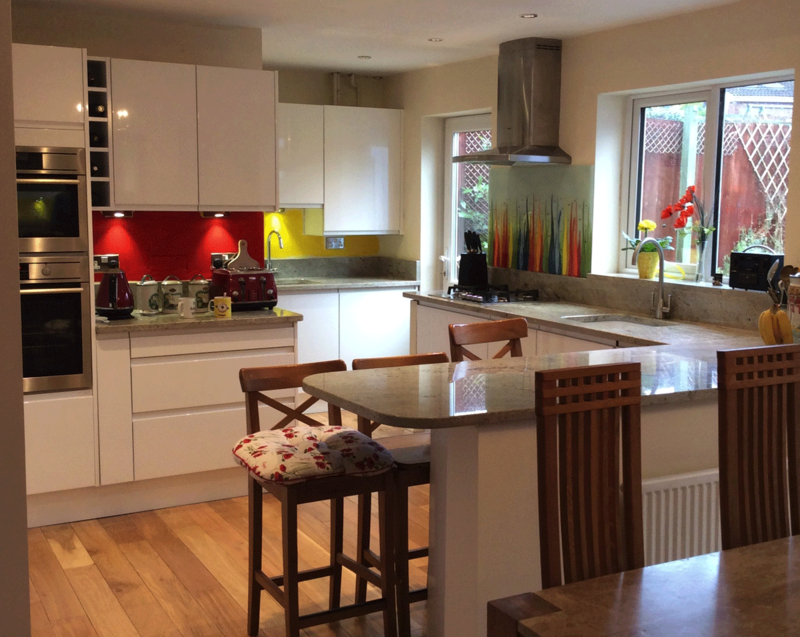 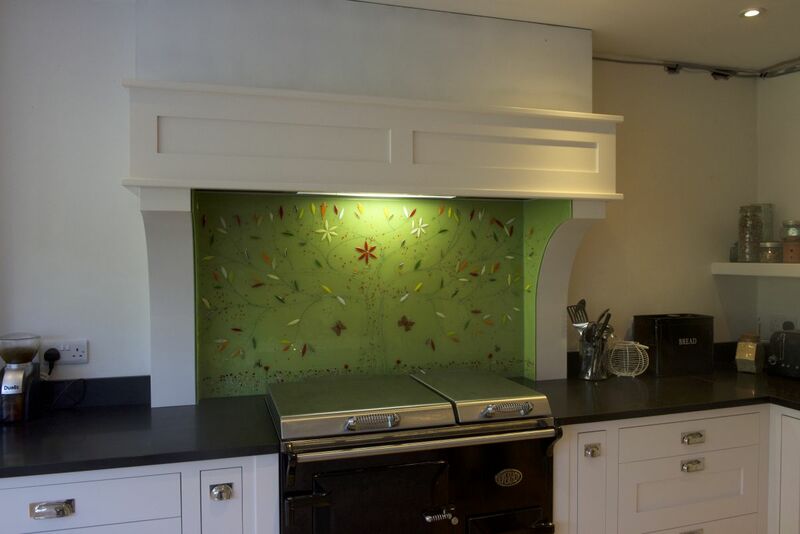 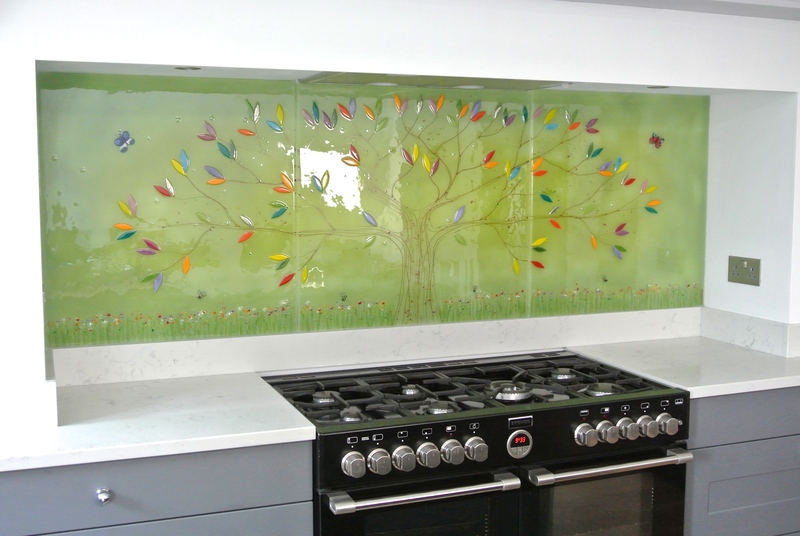 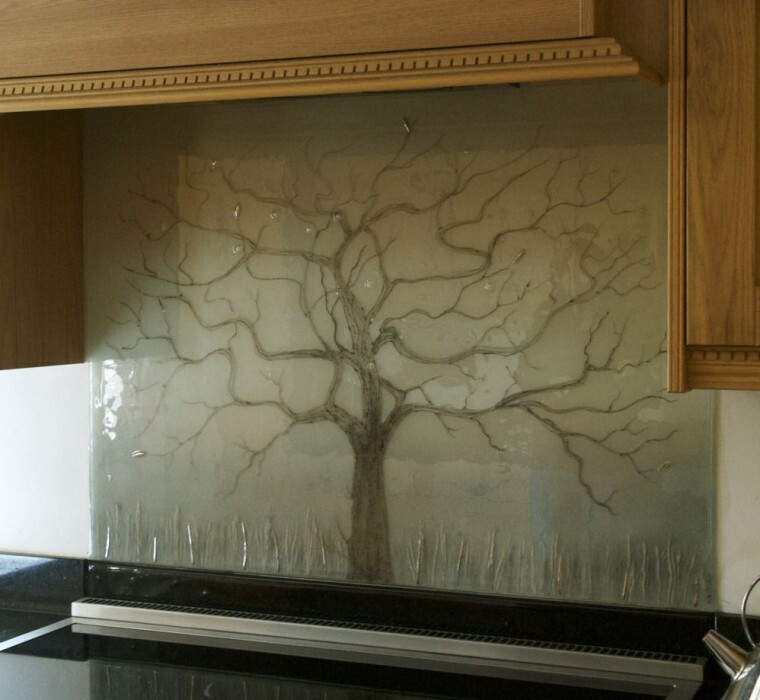 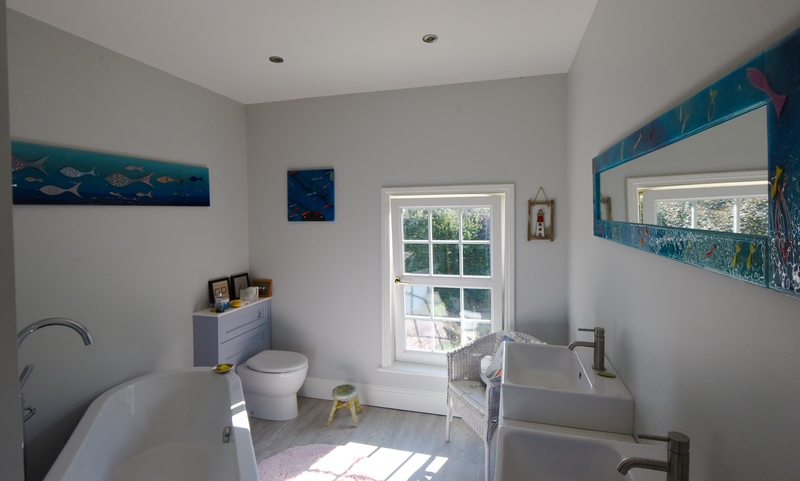 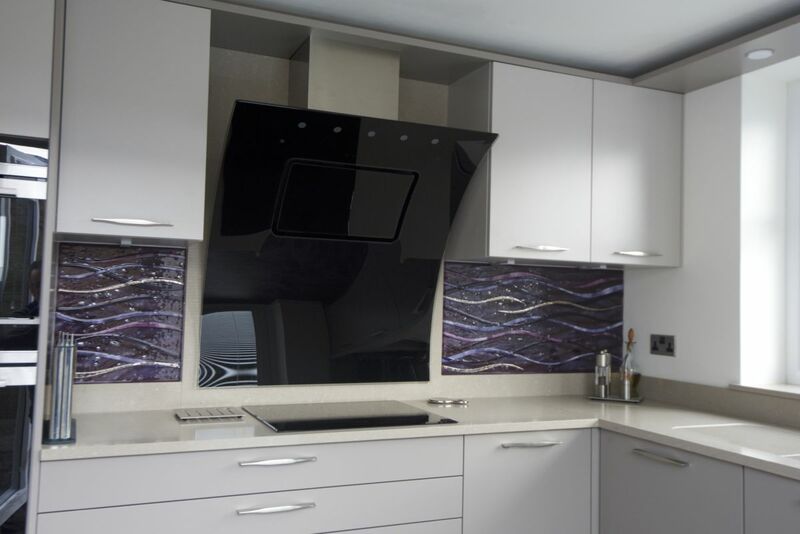 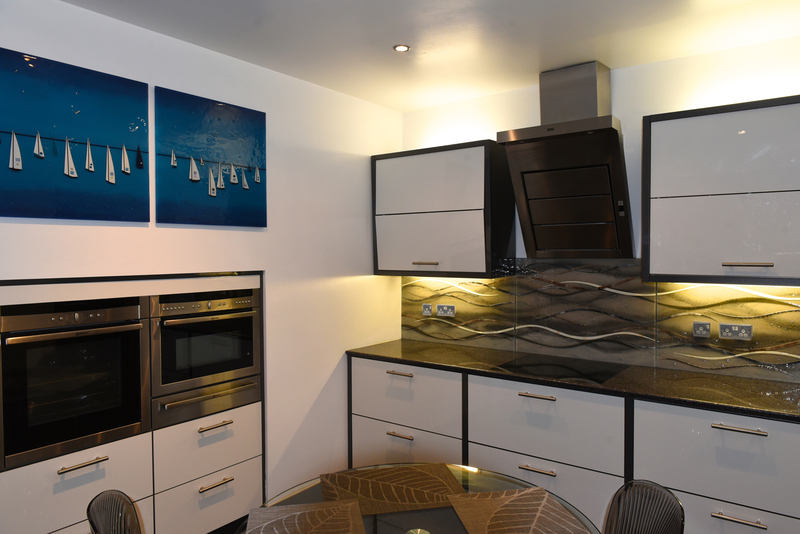 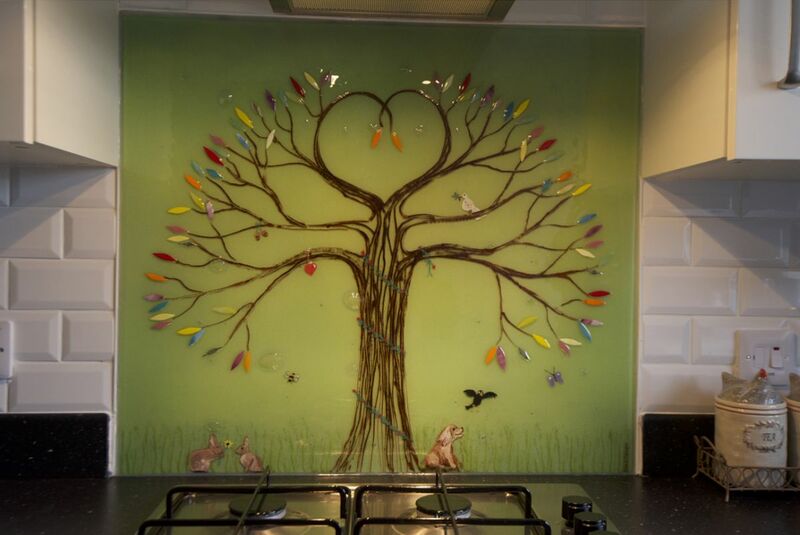 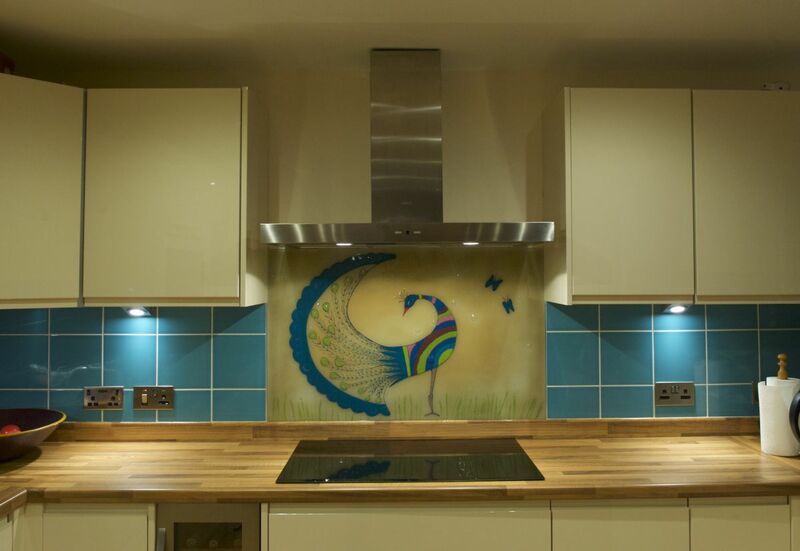 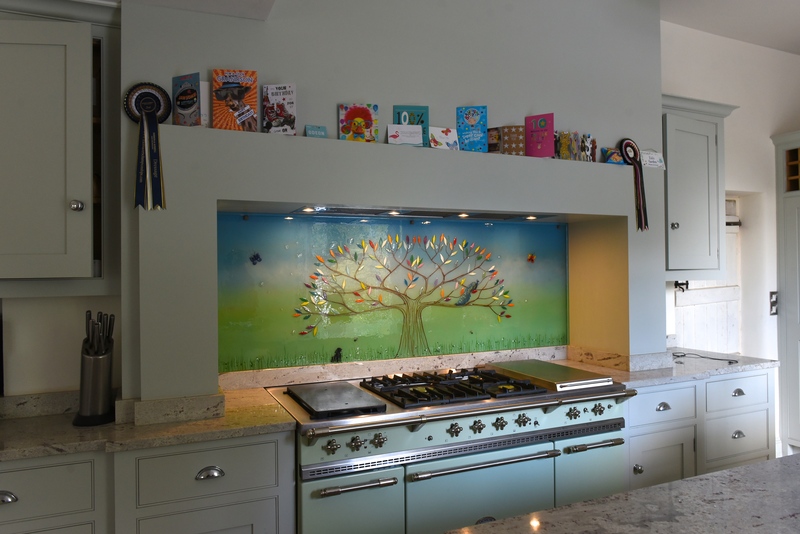 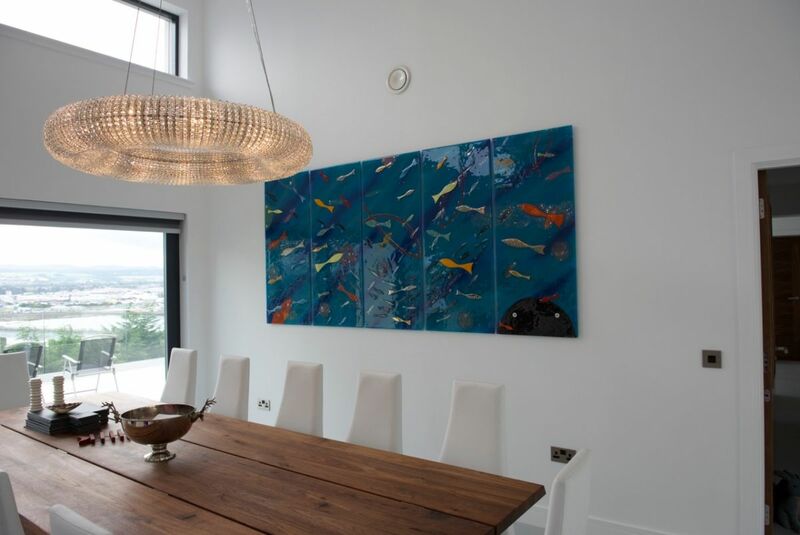 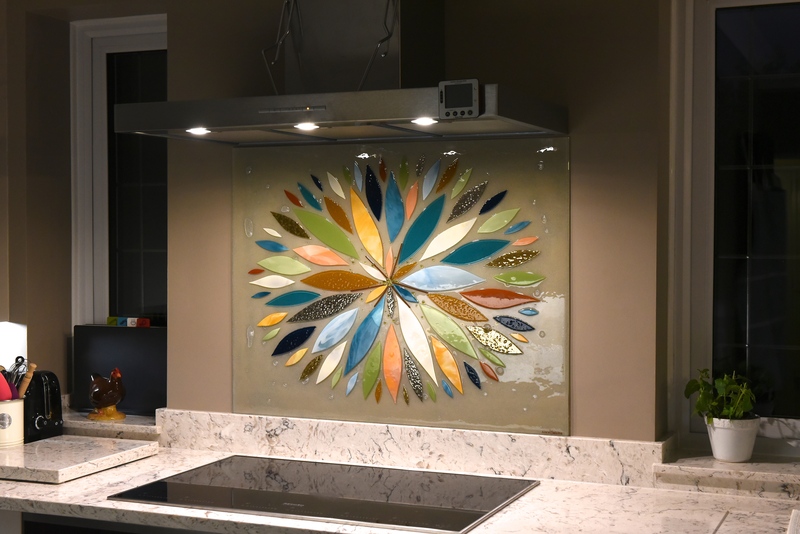 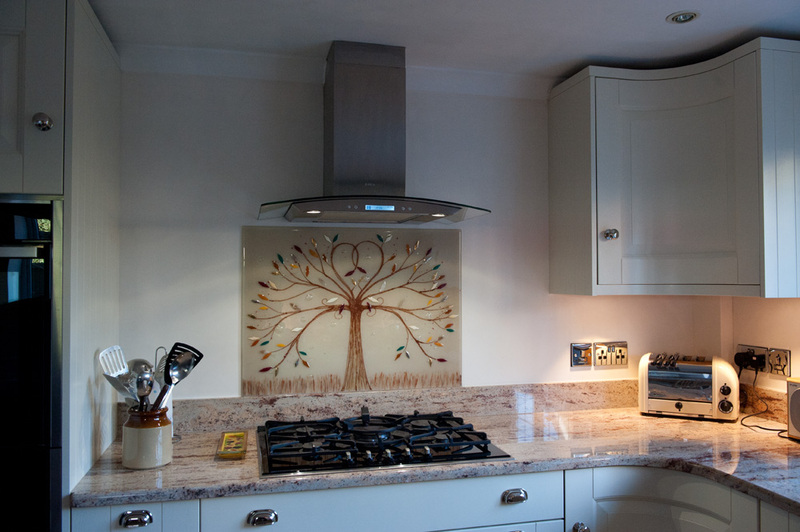 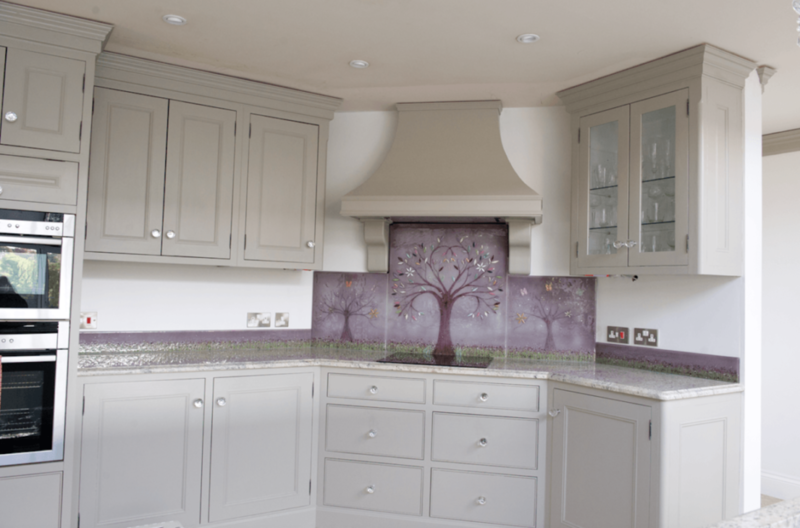 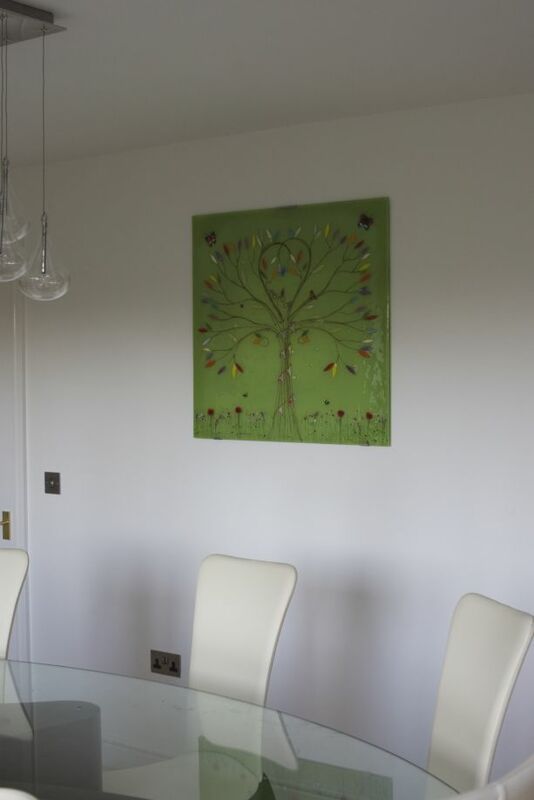 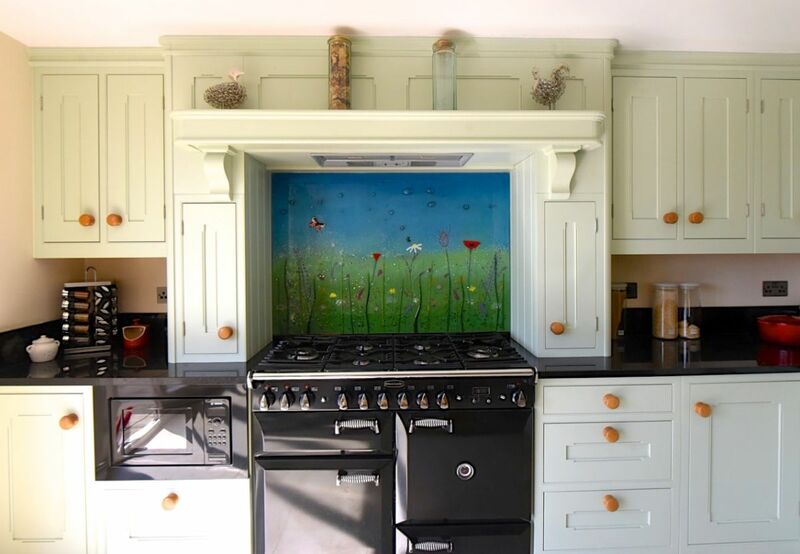 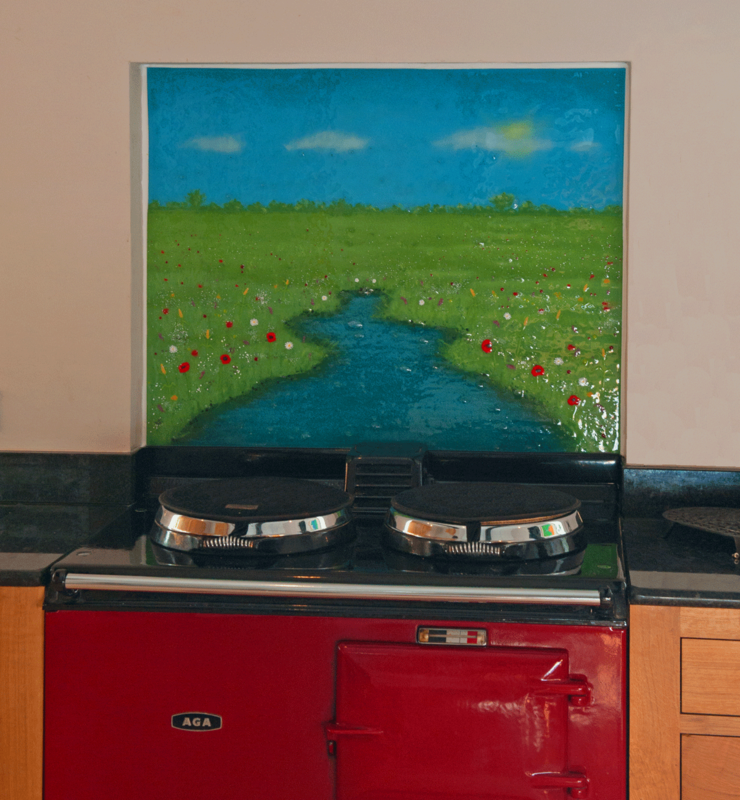 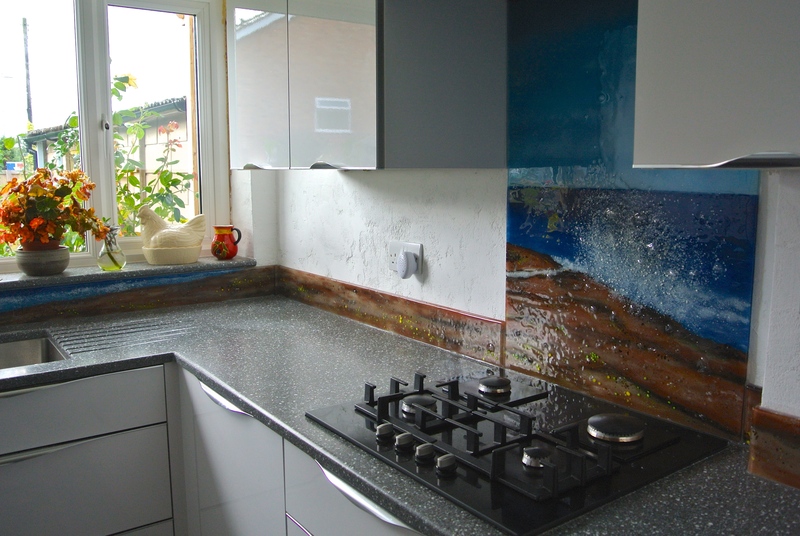 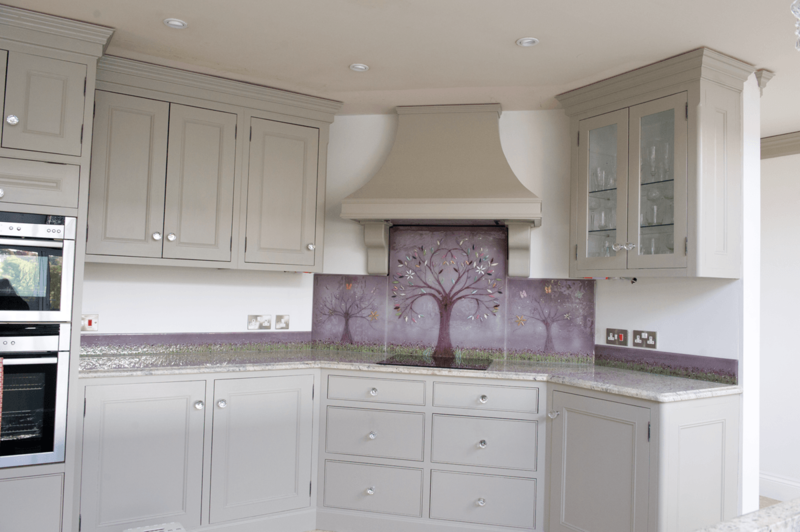 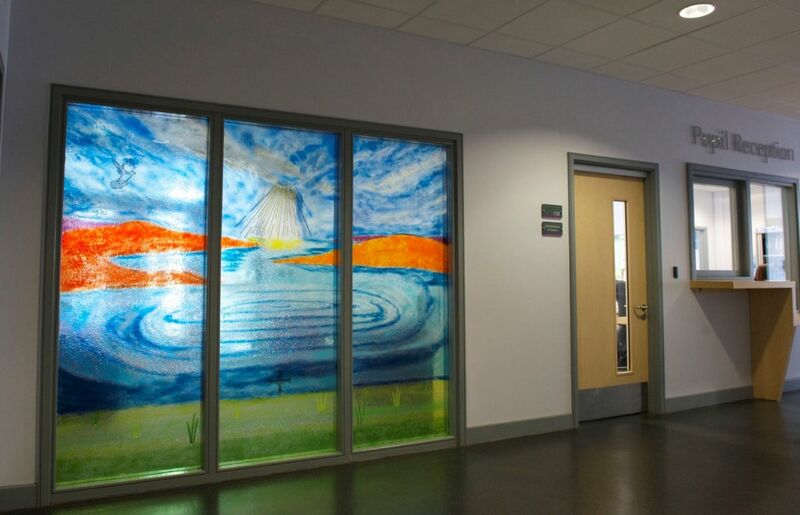 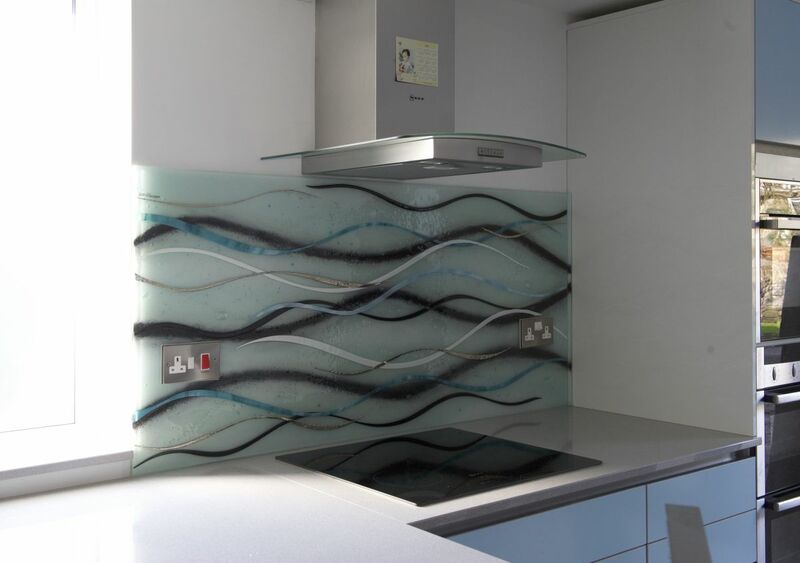 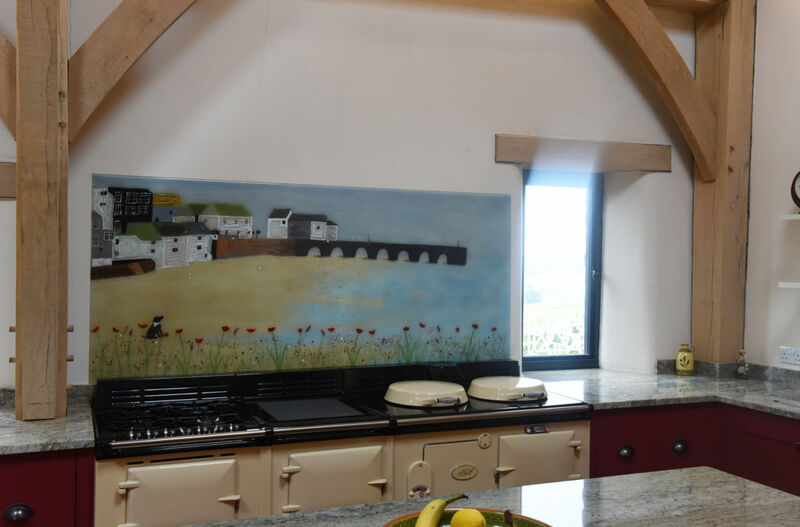 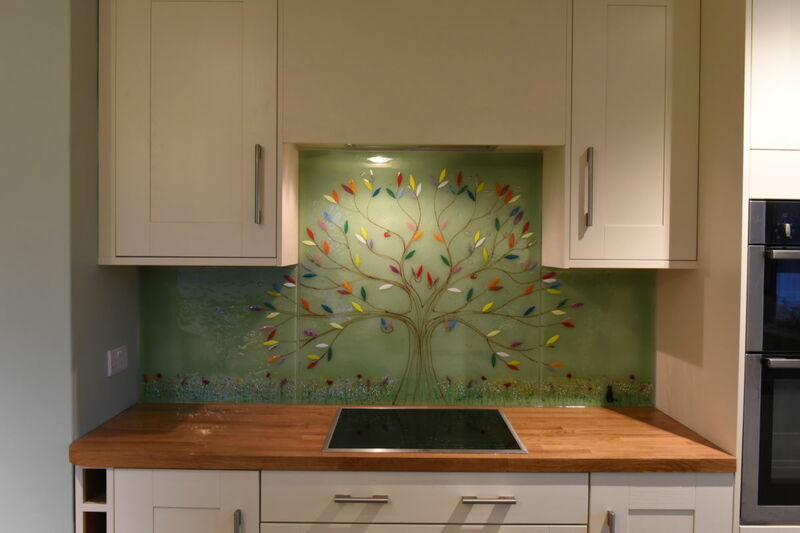 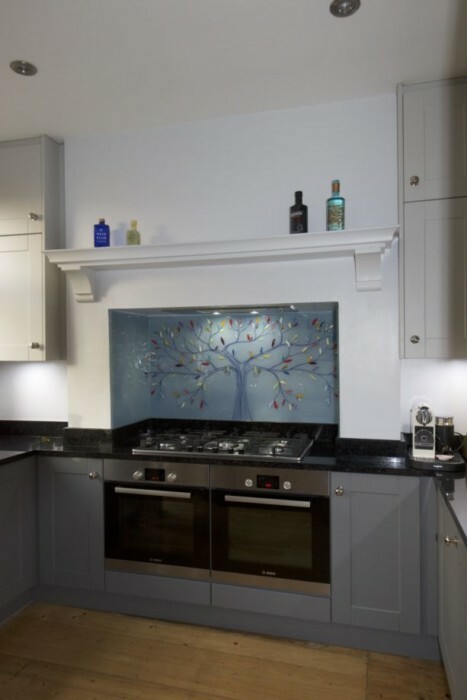 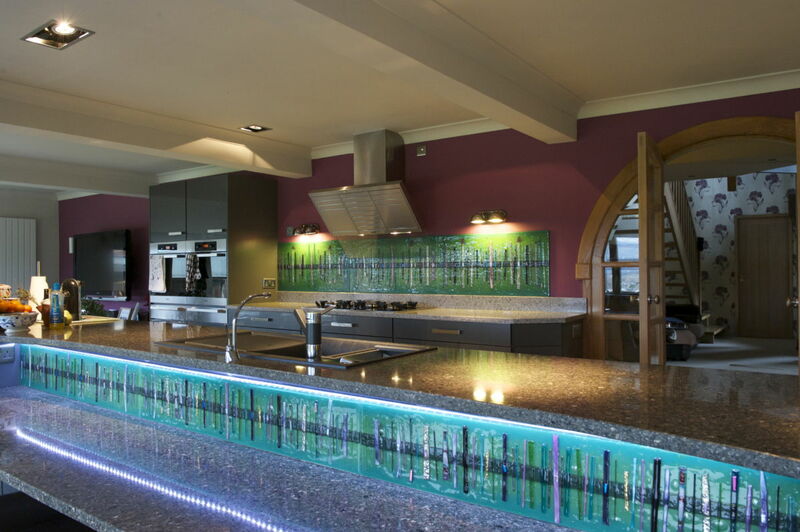 Take a look through our portfolio, and you’re sure to find everything from beautiful kitchen splashbacks all the way to glass wall art panels and windows perfect for brightening up any room in a very creative way. 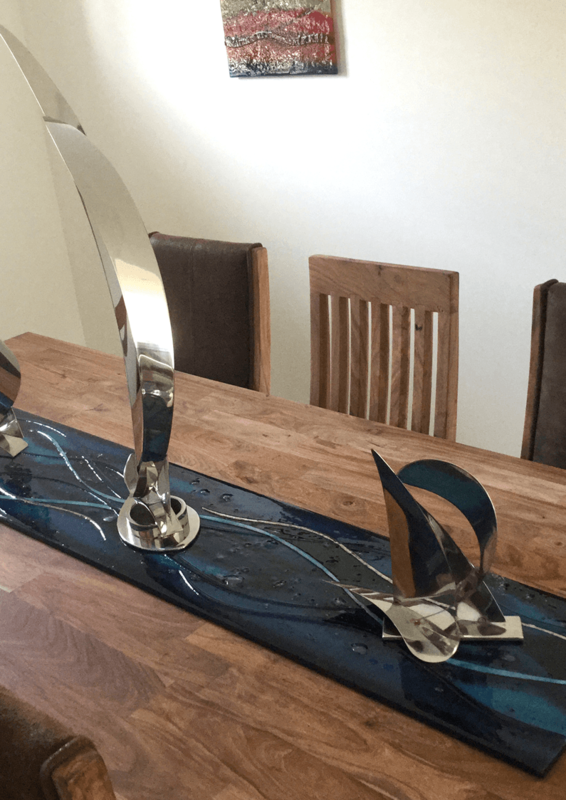 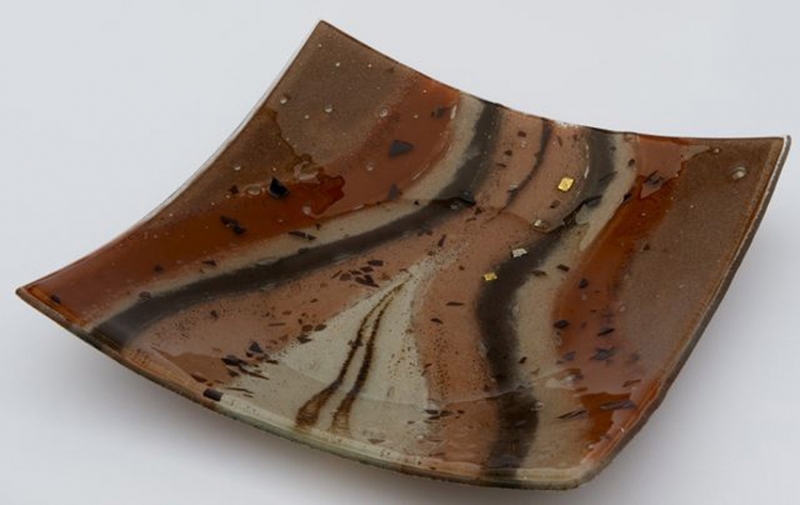 Often, we even get asked to create accessories that go together with and complement larger pieces – like the example in the image at the top of this blog. 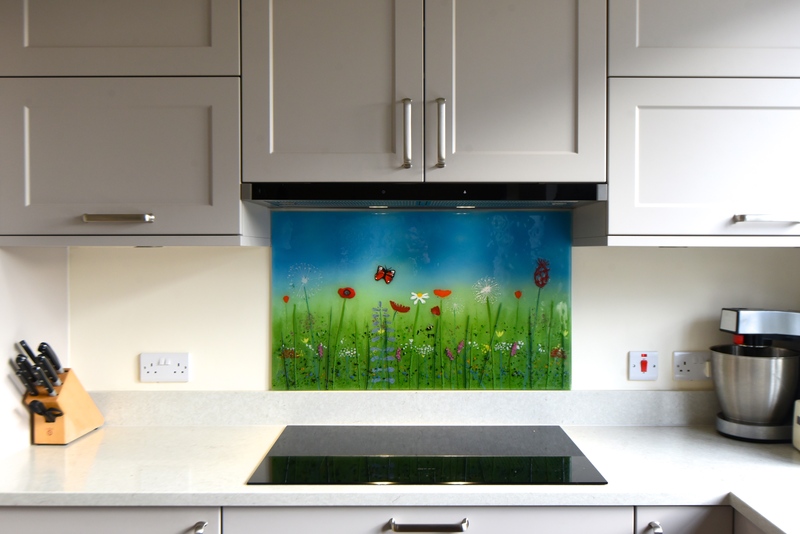 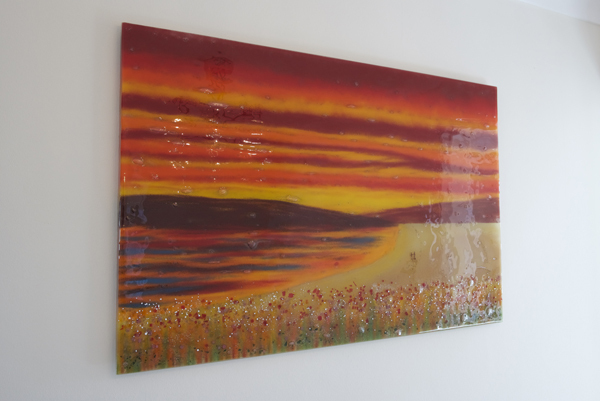 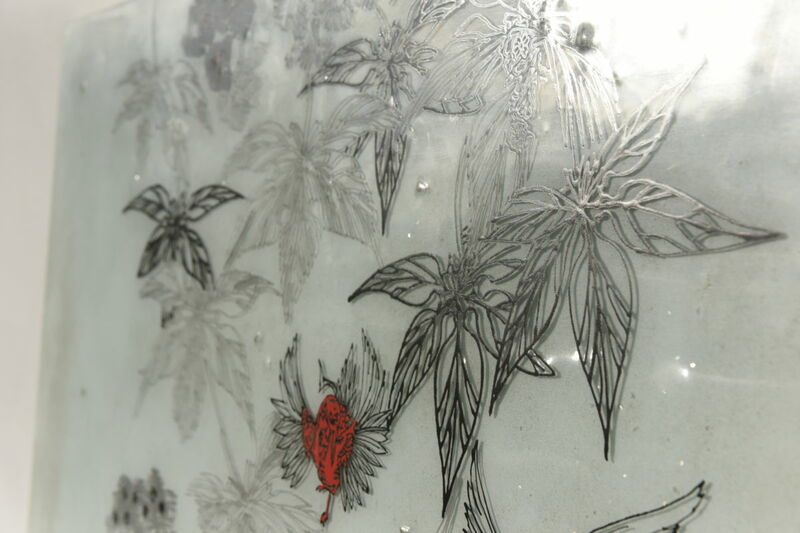 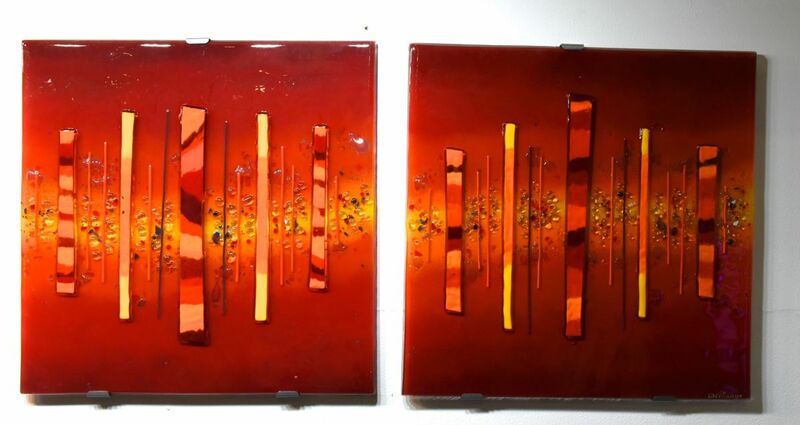 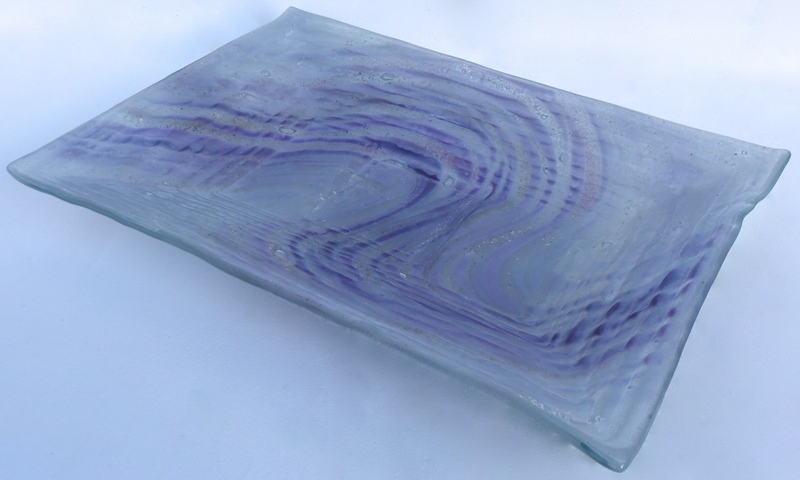 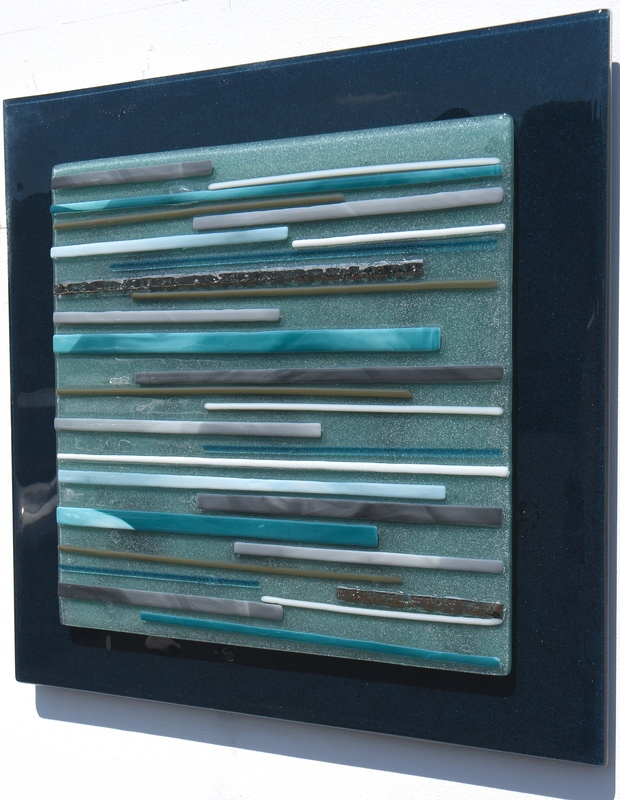 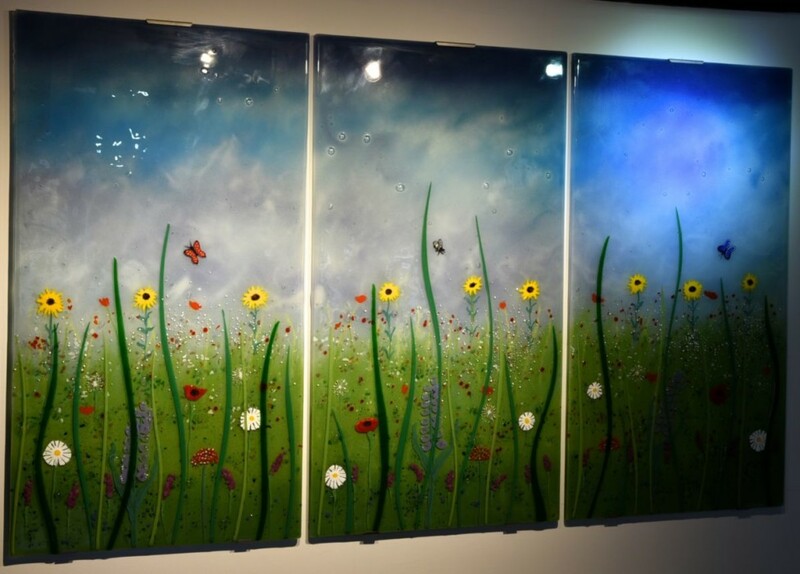 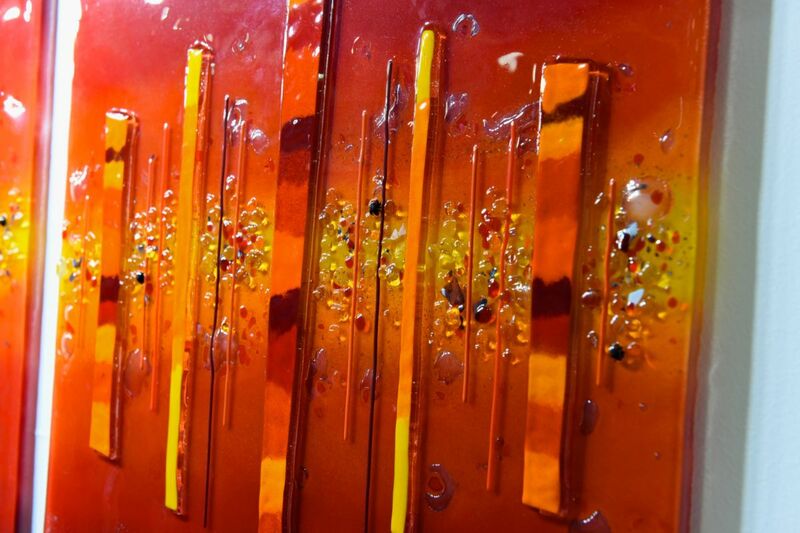 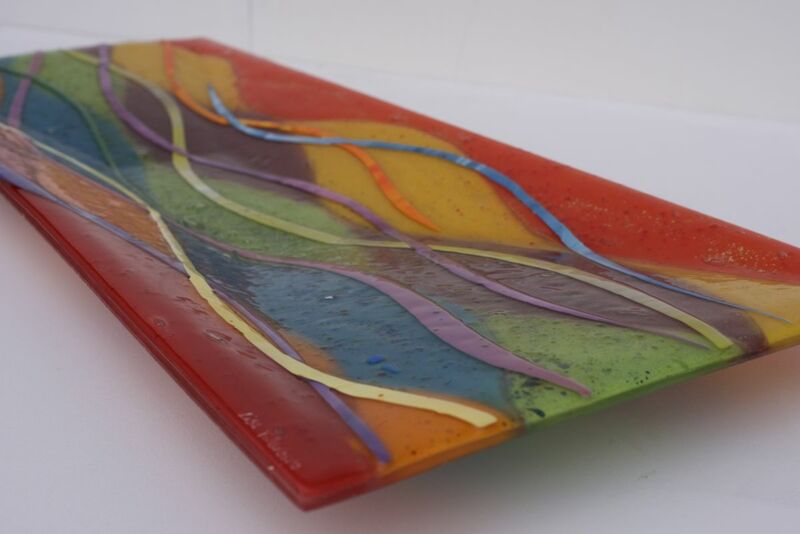 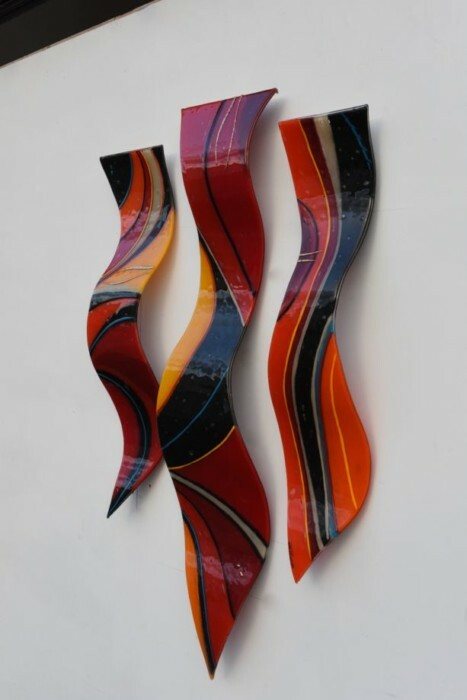 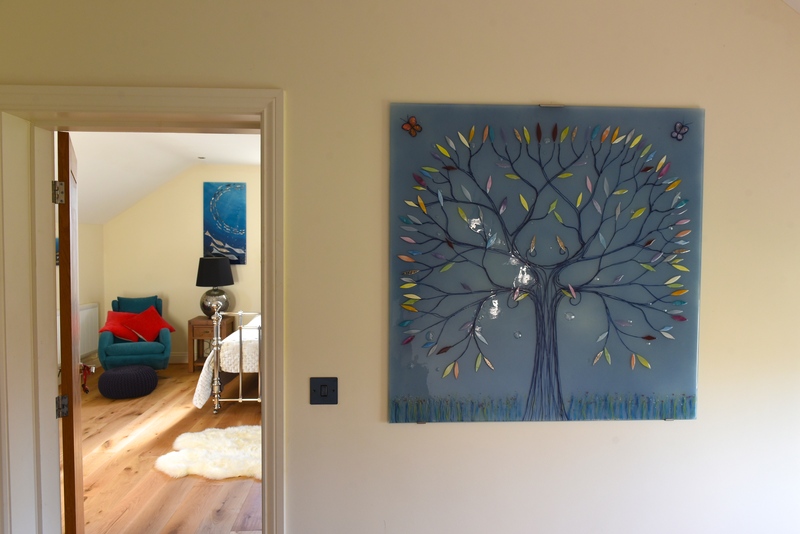 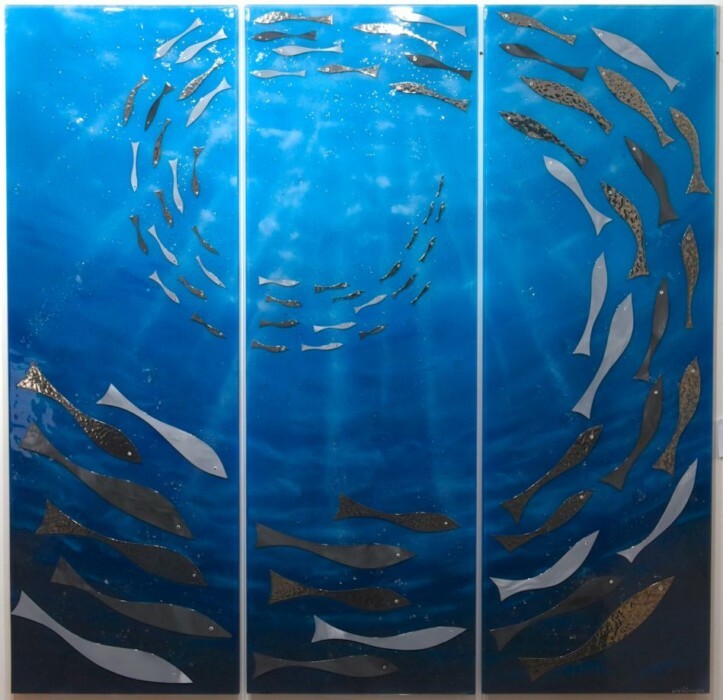 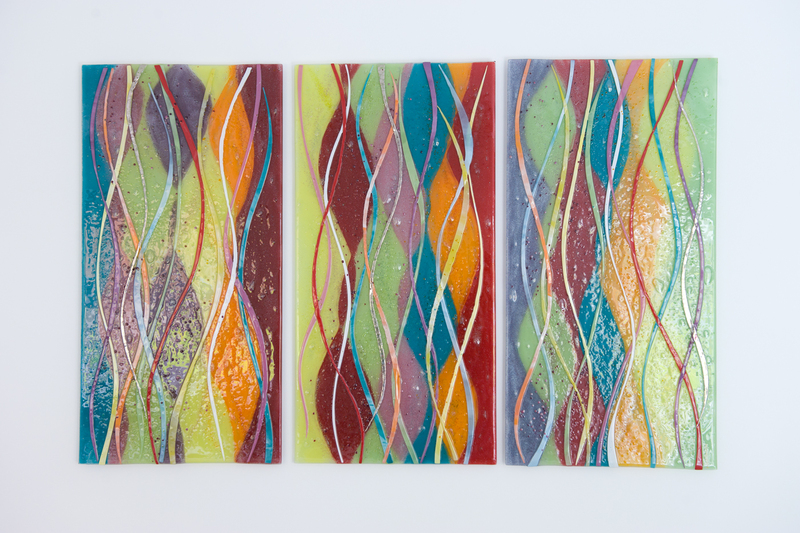 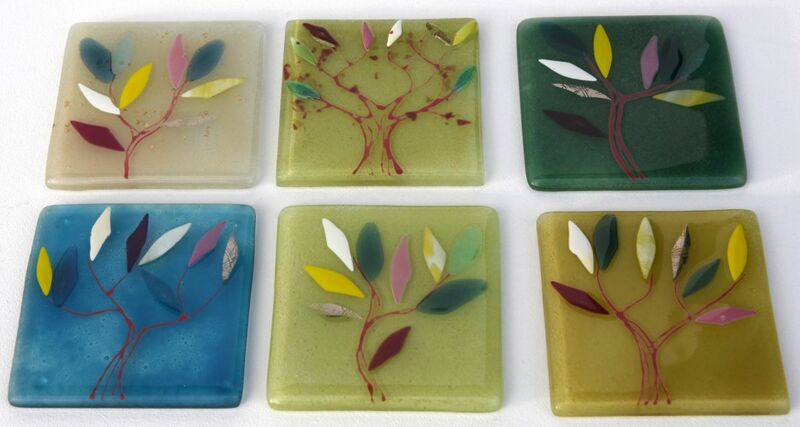 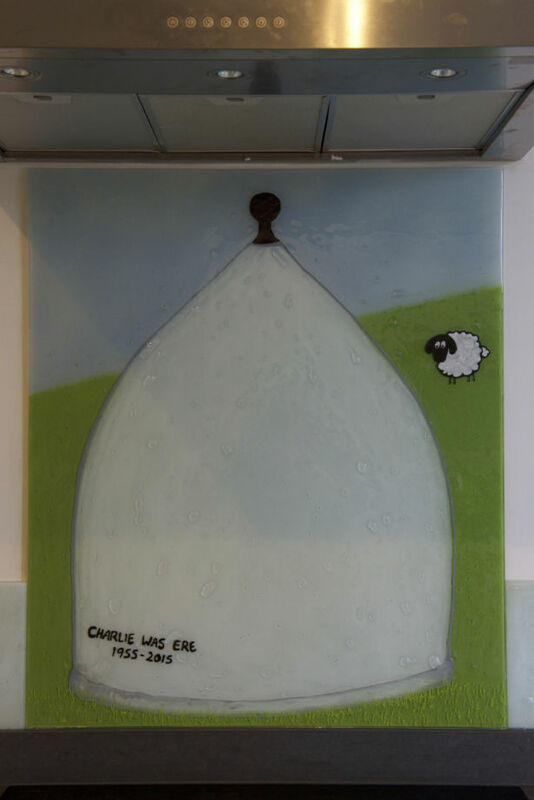 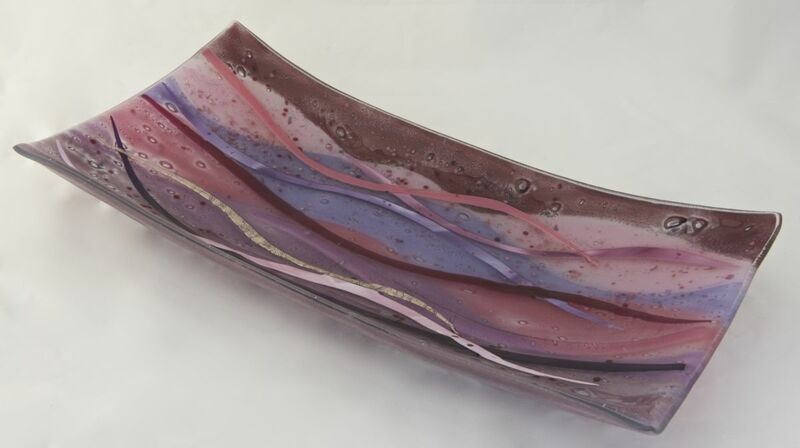 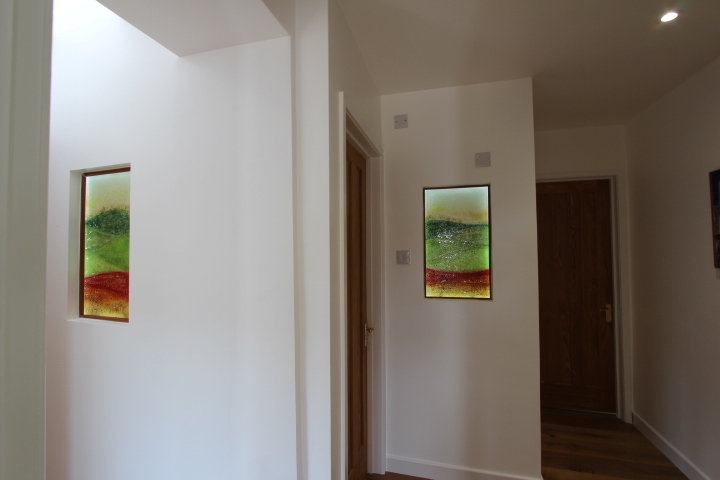 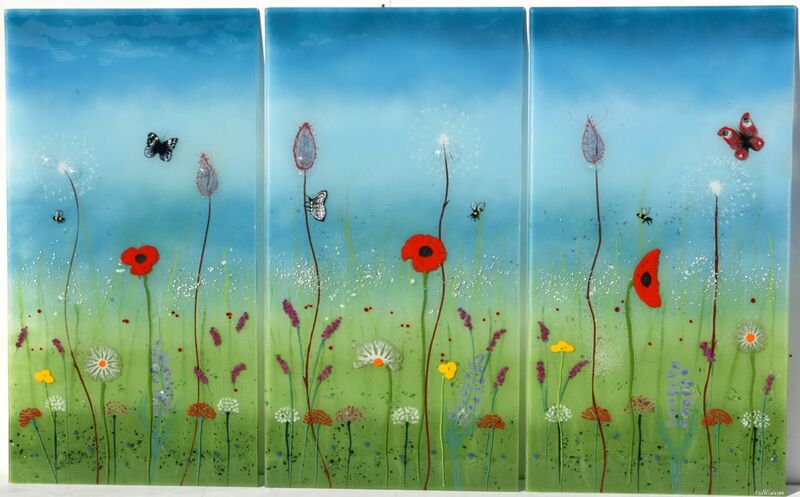 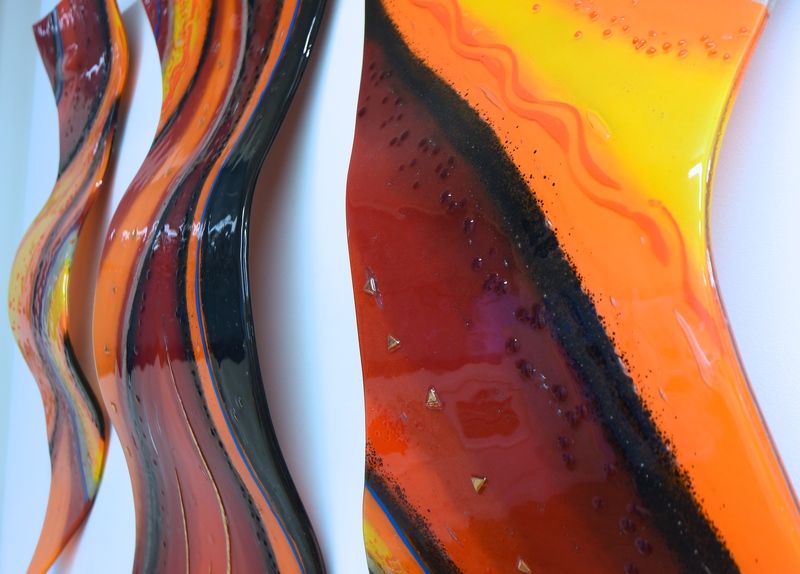 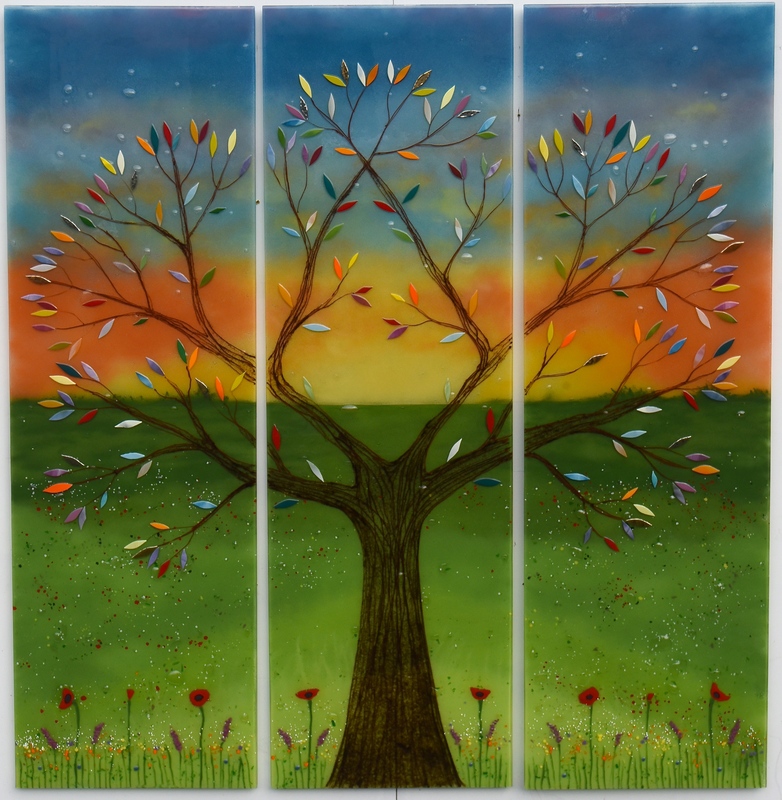 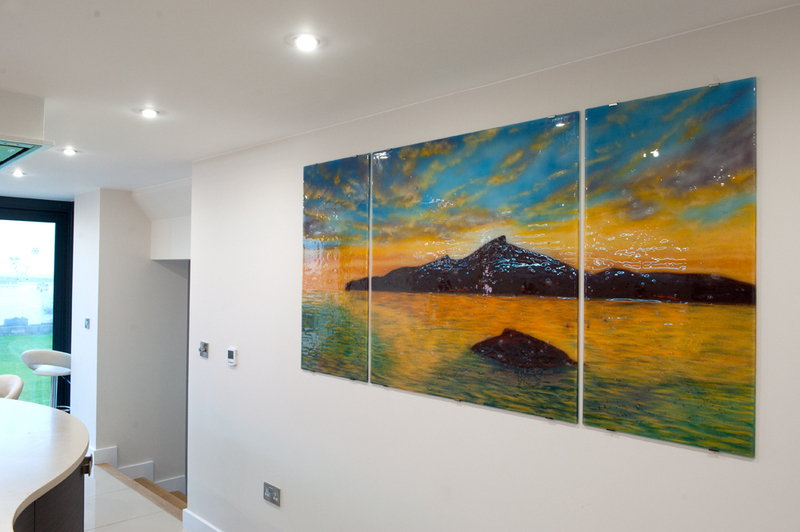 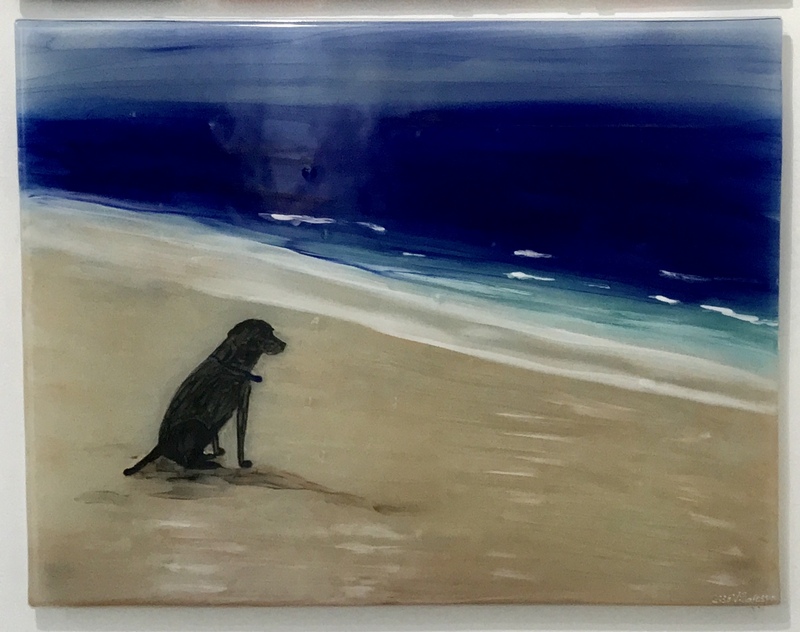 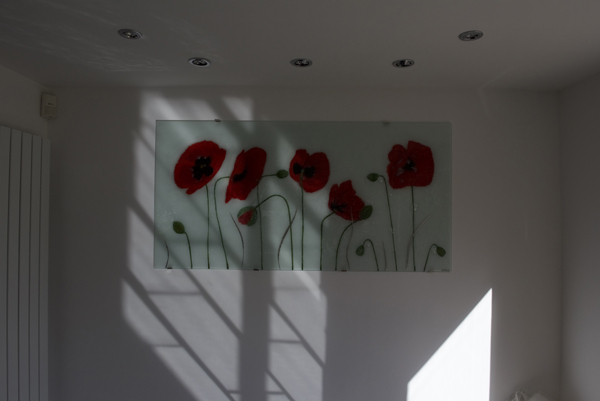 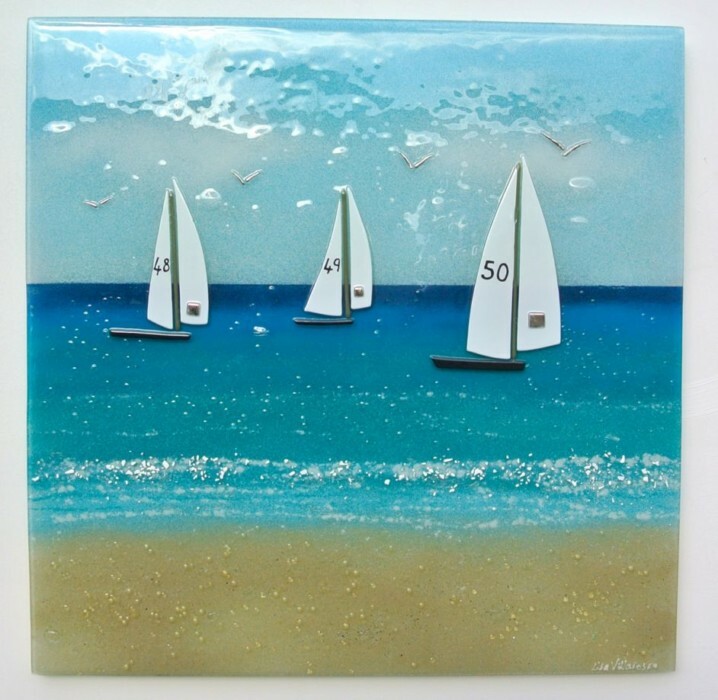 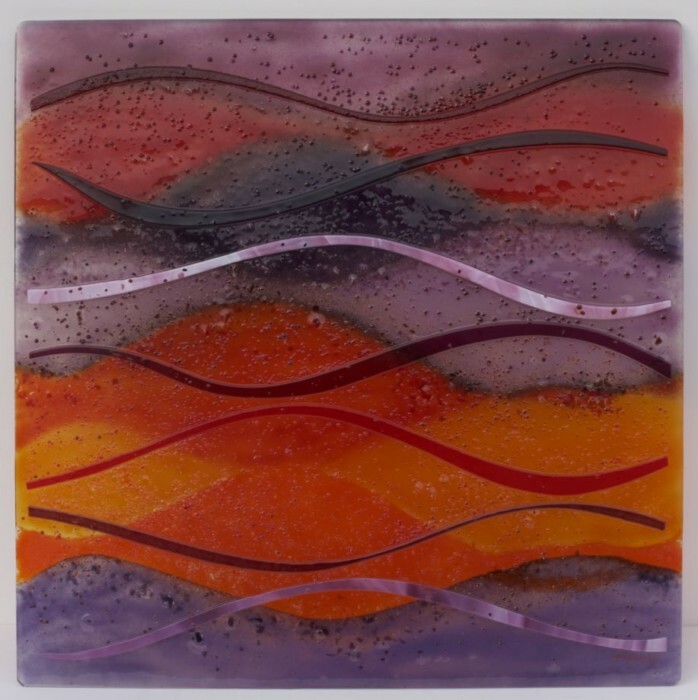 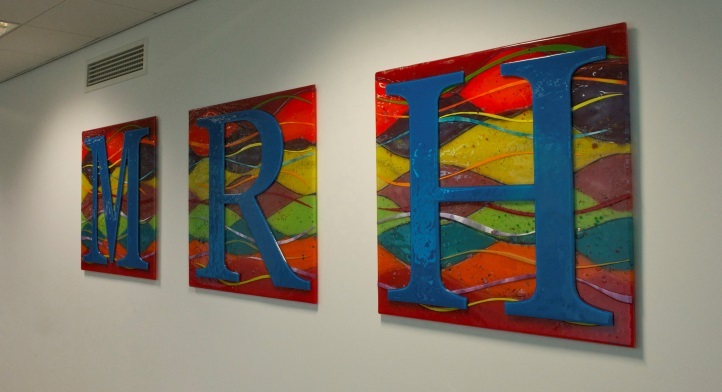 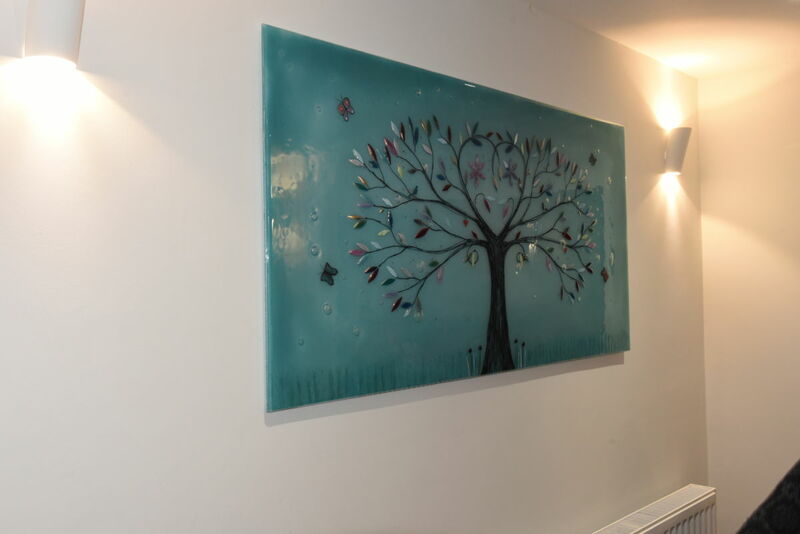 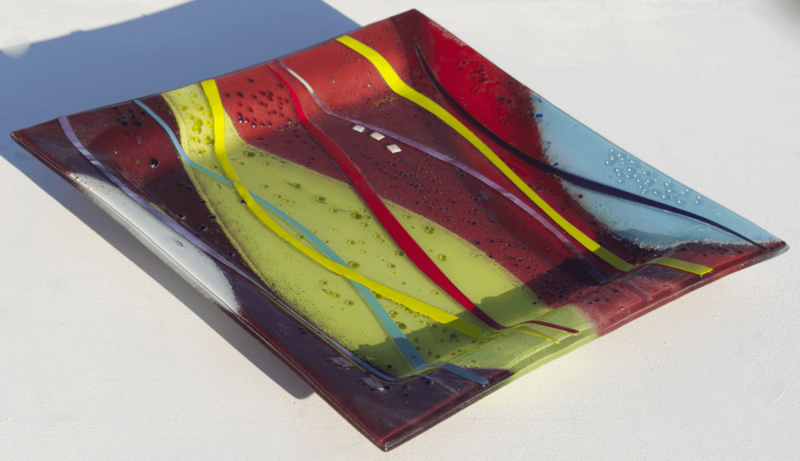 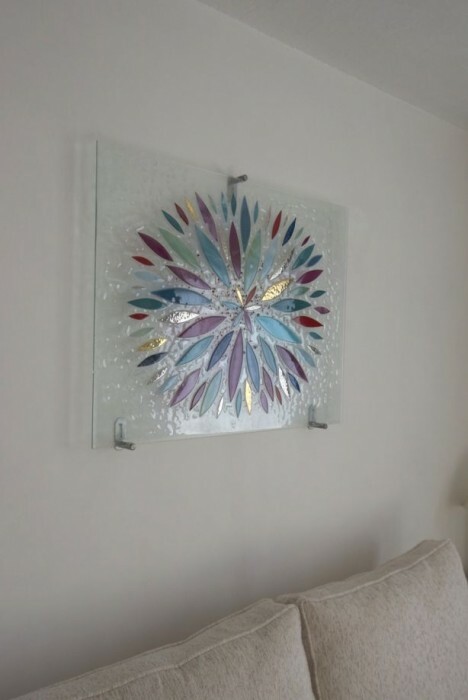 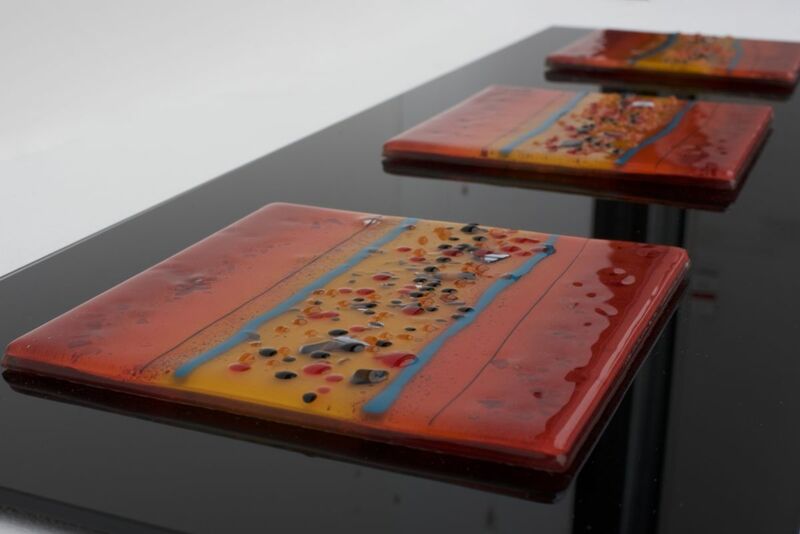 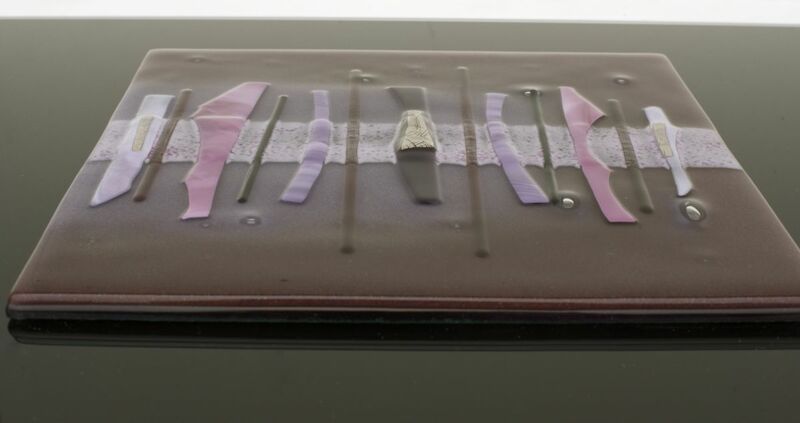 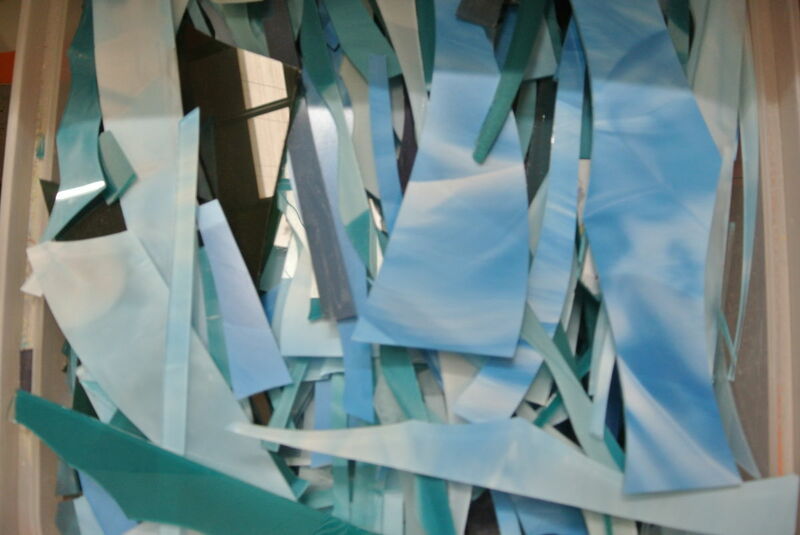 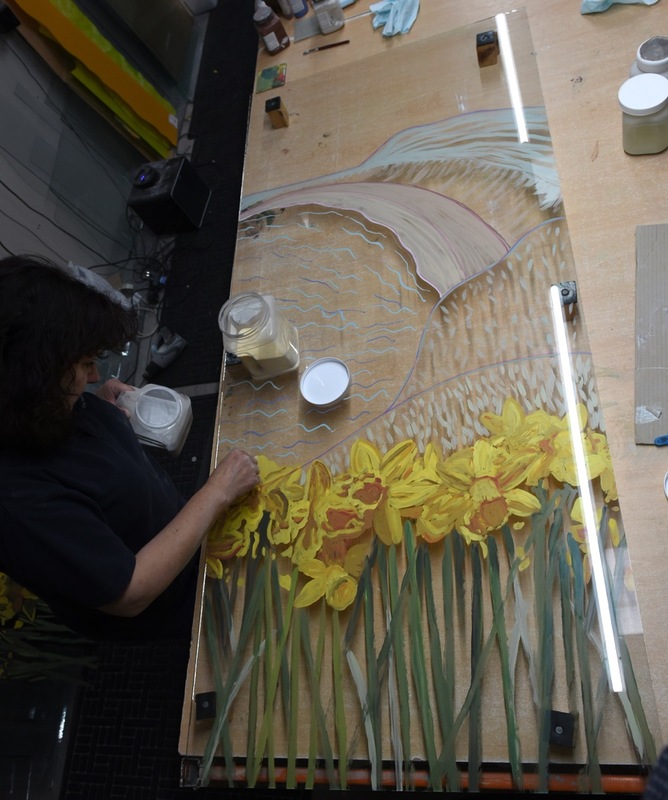 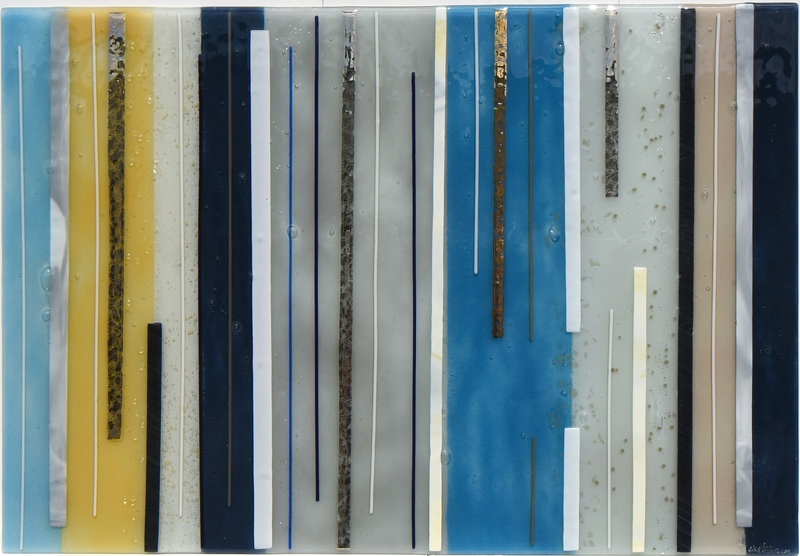 Needless to say, since all the fused glass art we make is bespoke and created by hand, you’ll have a huge say in how the end result turns out. 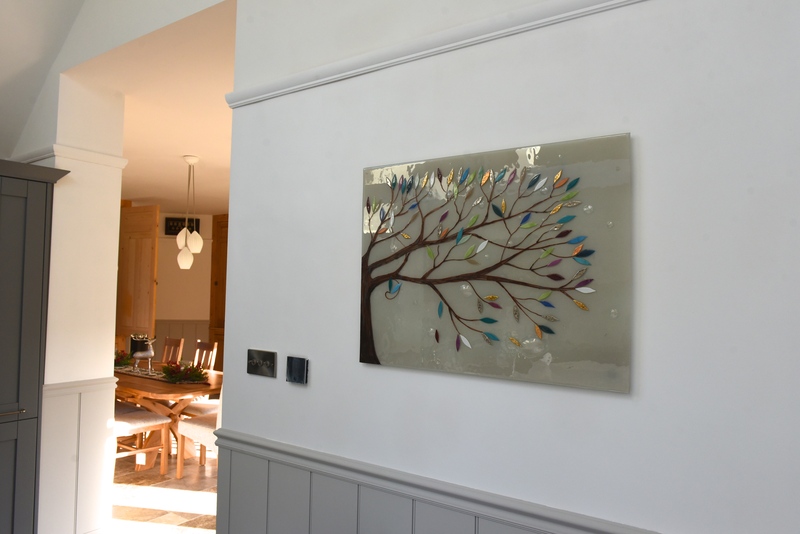 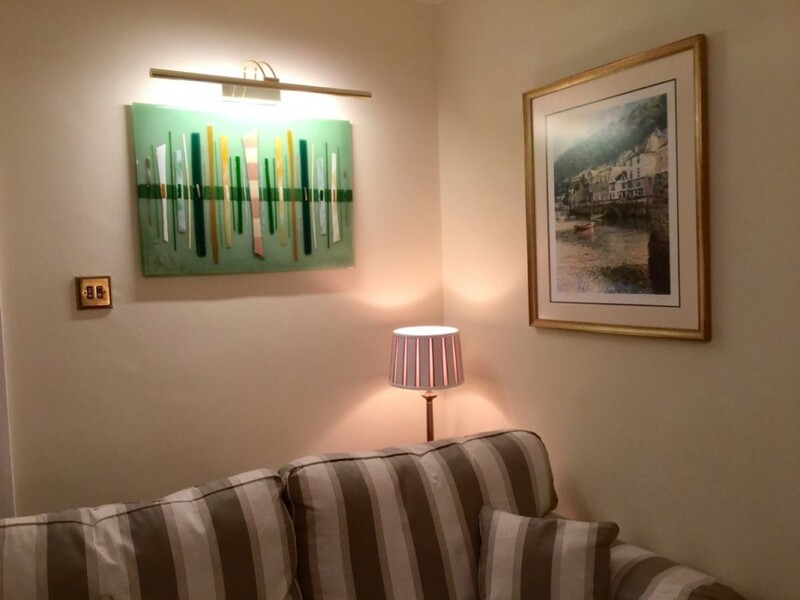 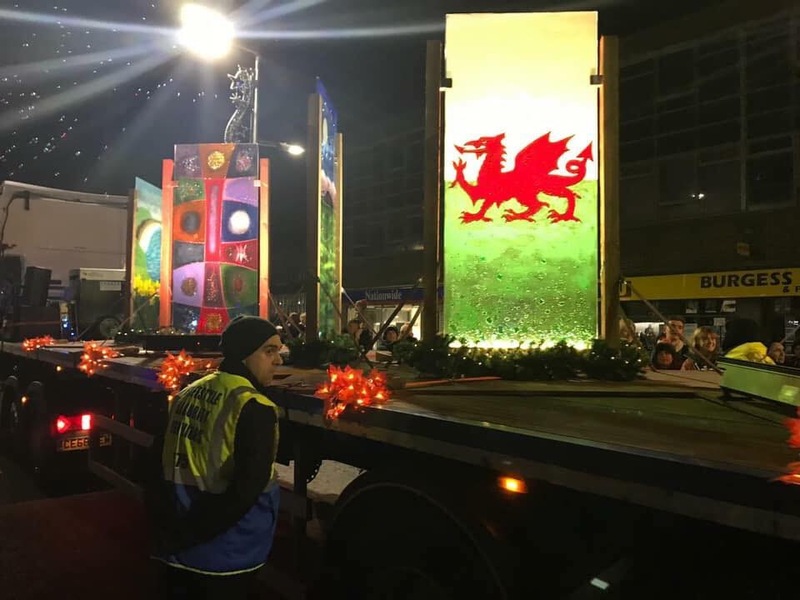 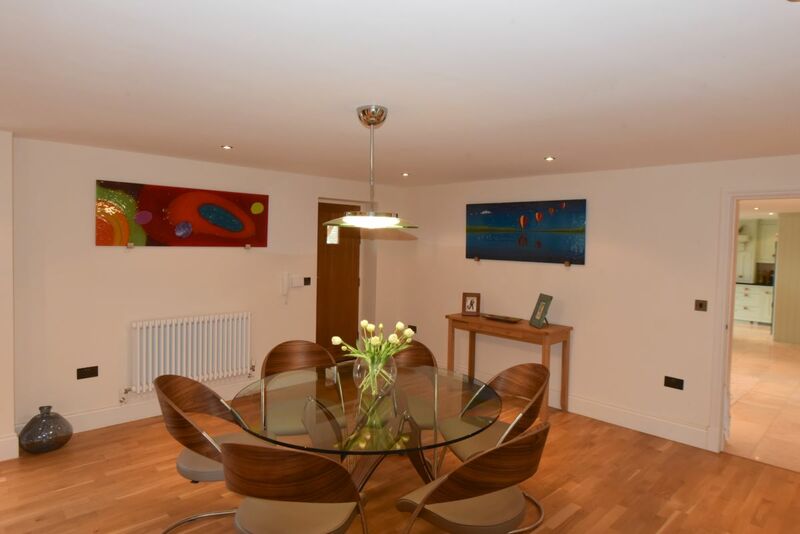 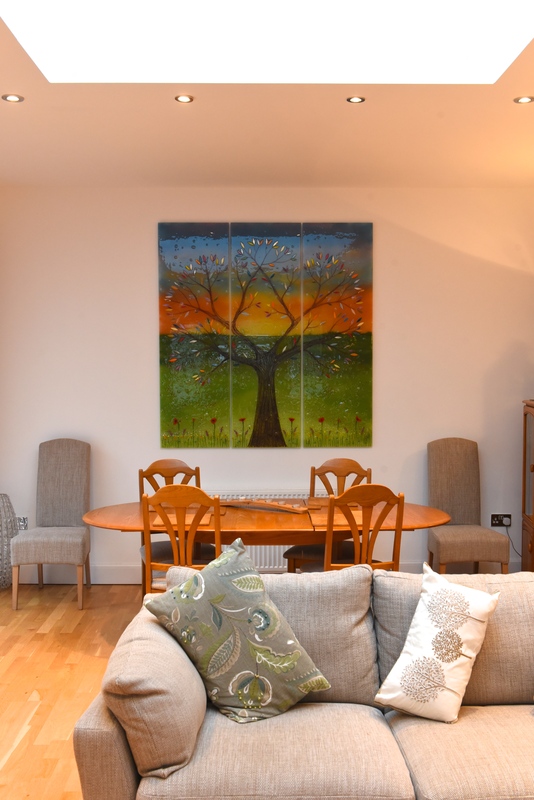 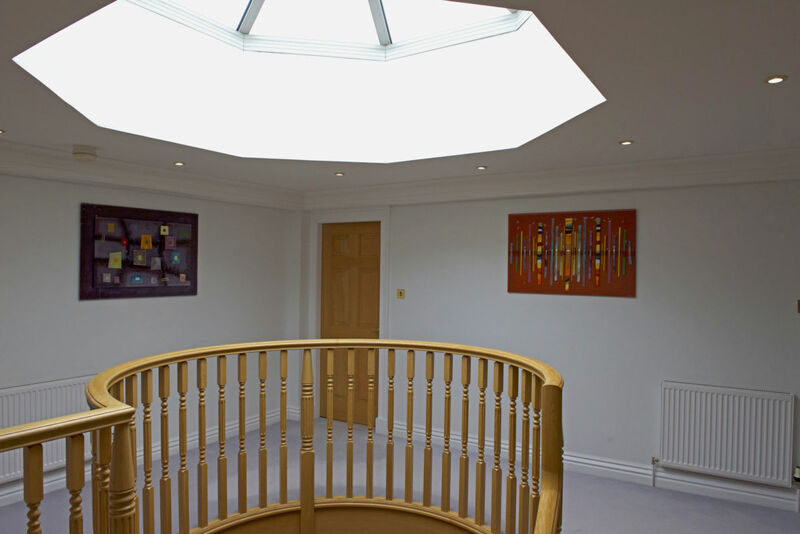 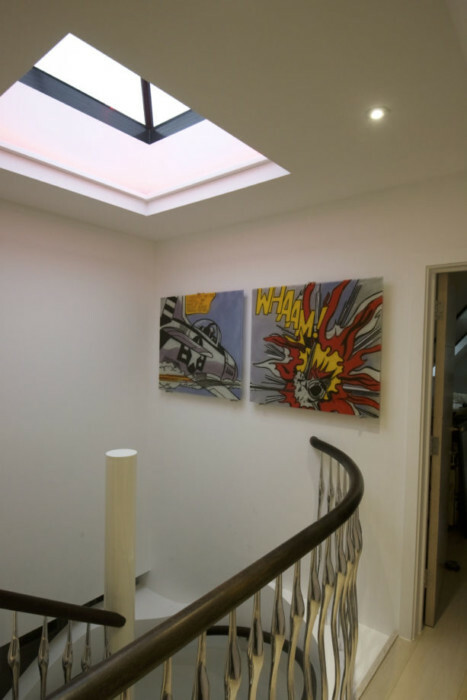 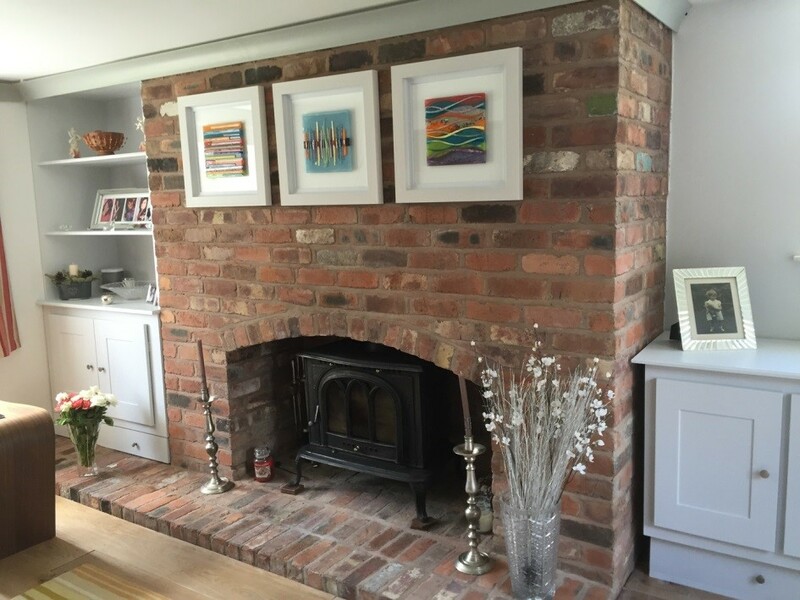 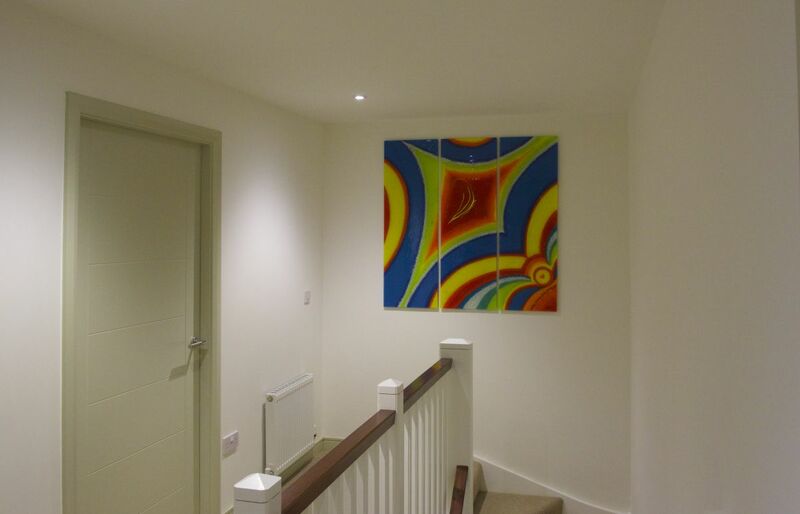 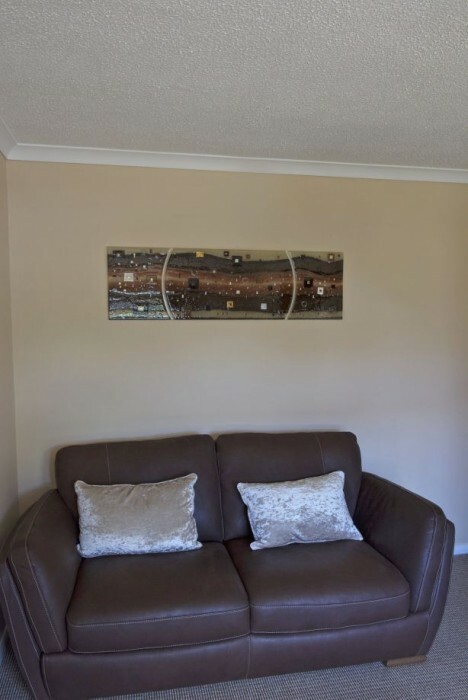 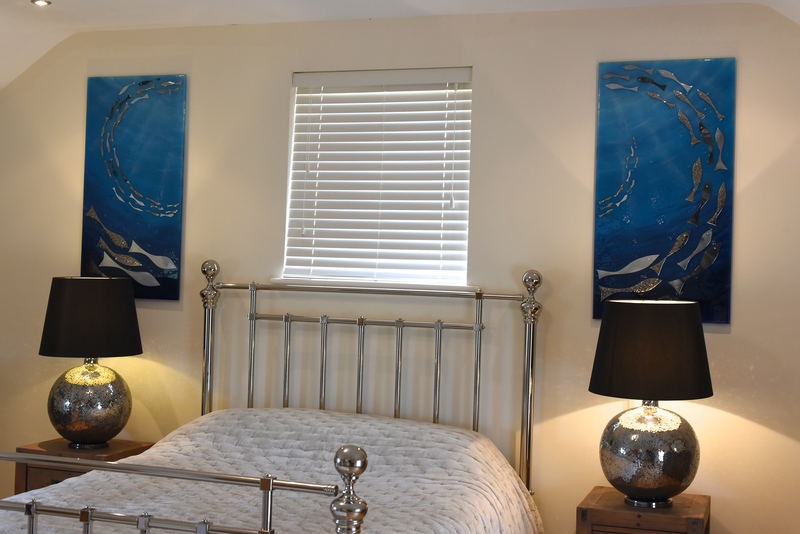 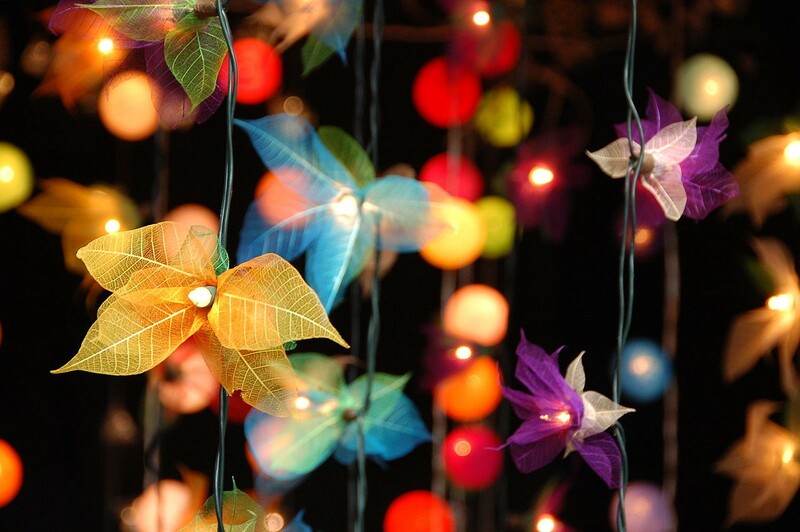 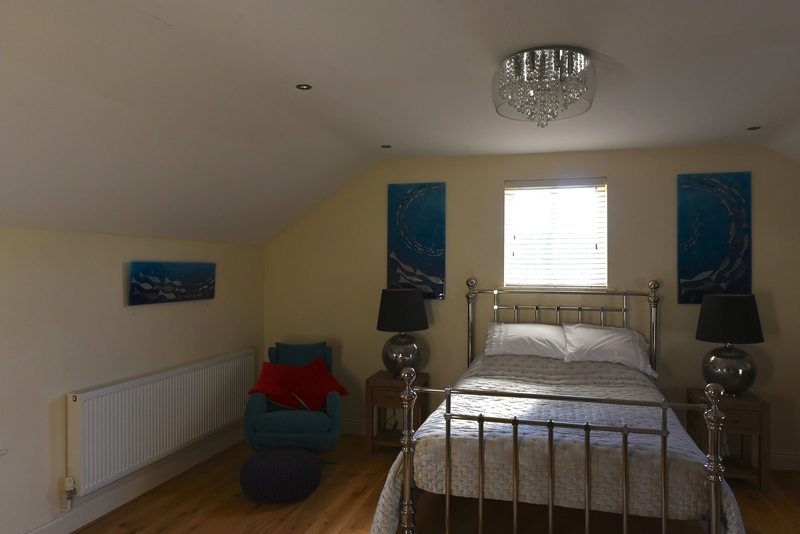 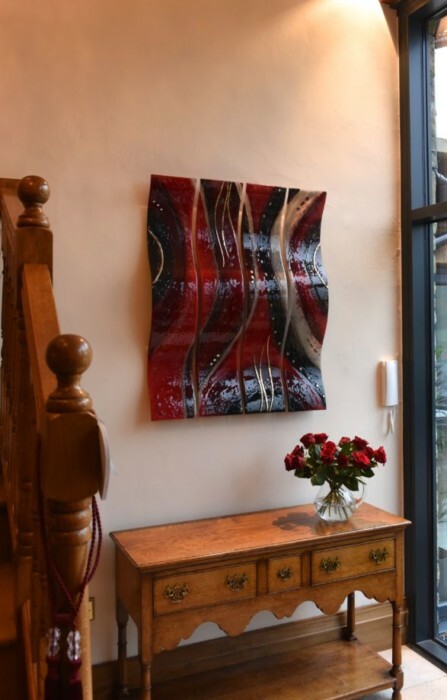 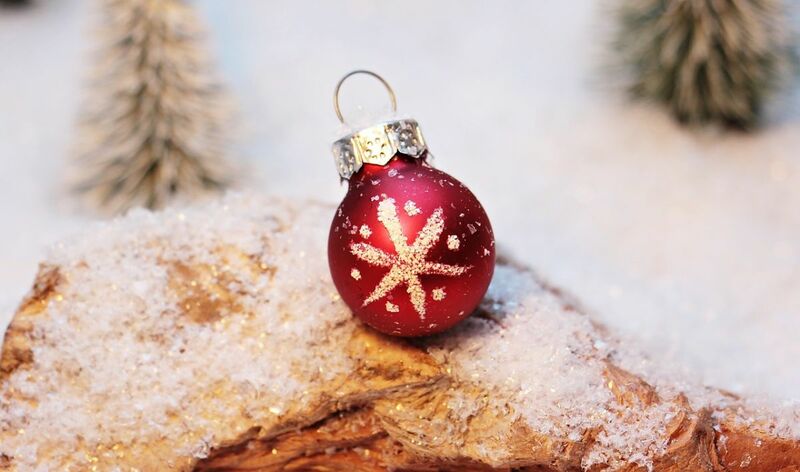 So, next time you go looking for the perfect decoration to put in your home, or even if you’re just looking to add that little something extra to a space that’s looking a bit bare, you should know that we’re here to help. 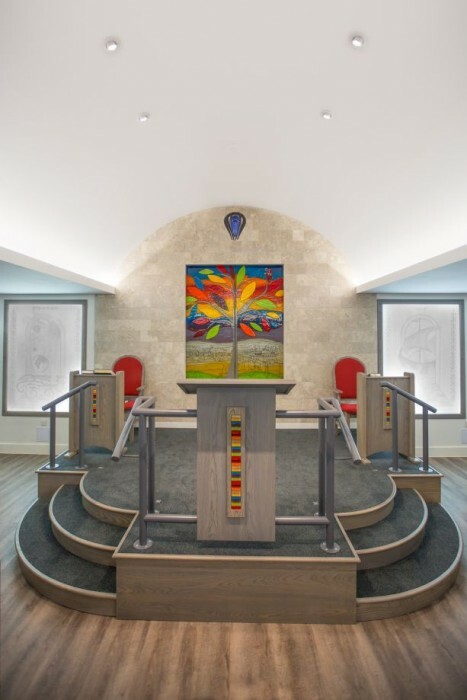 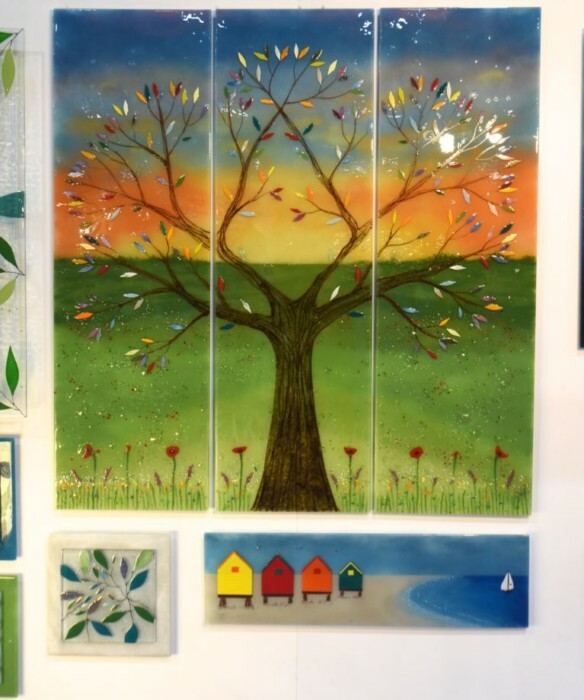 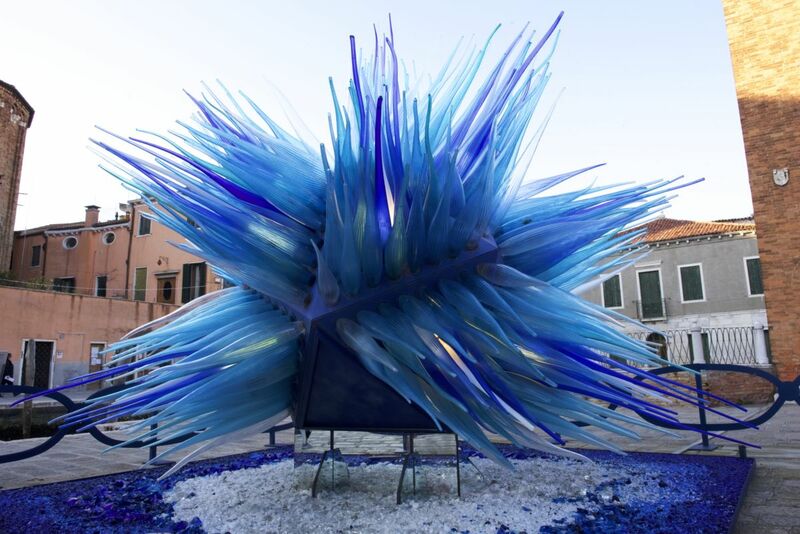 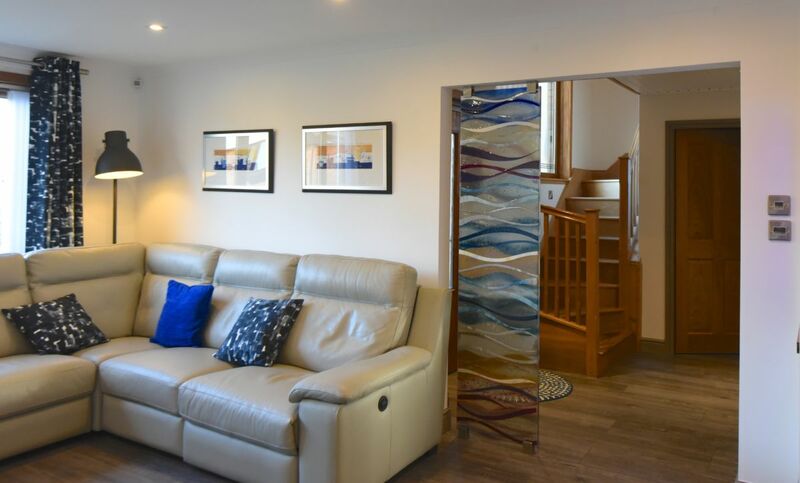 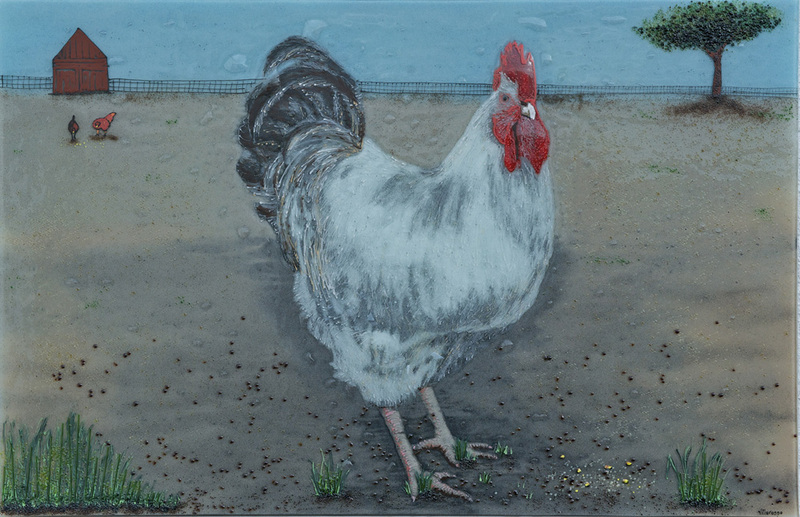 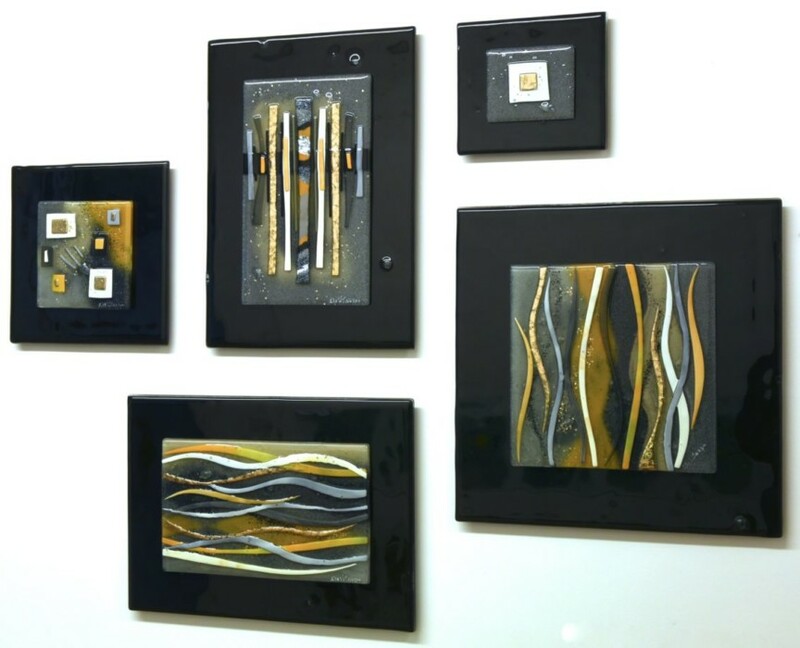 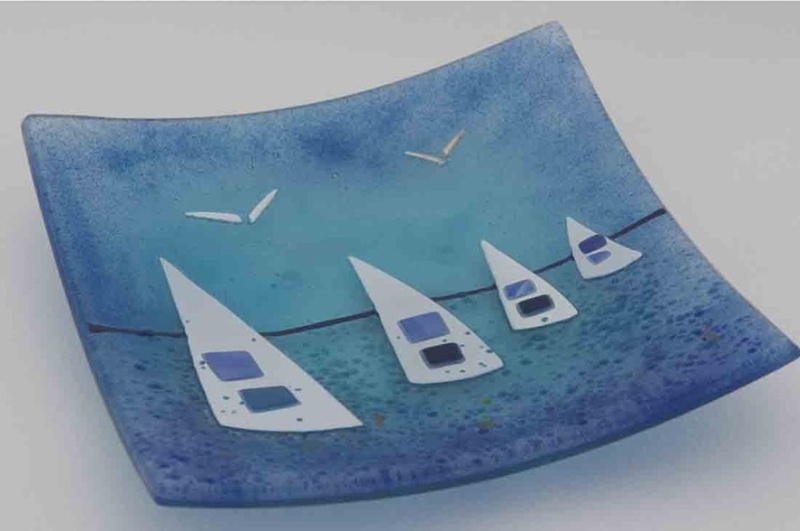 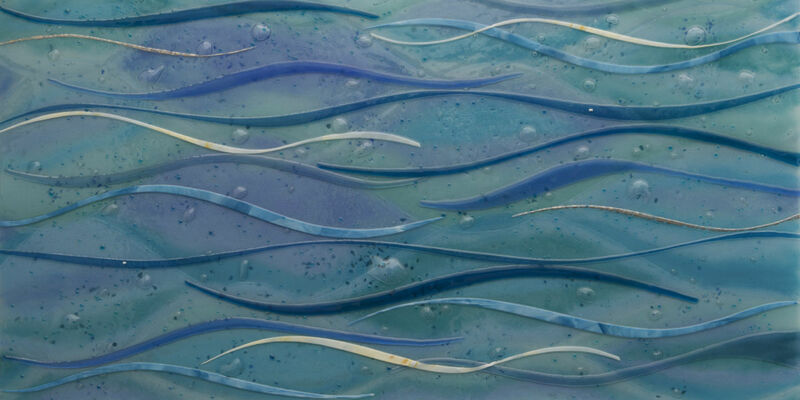 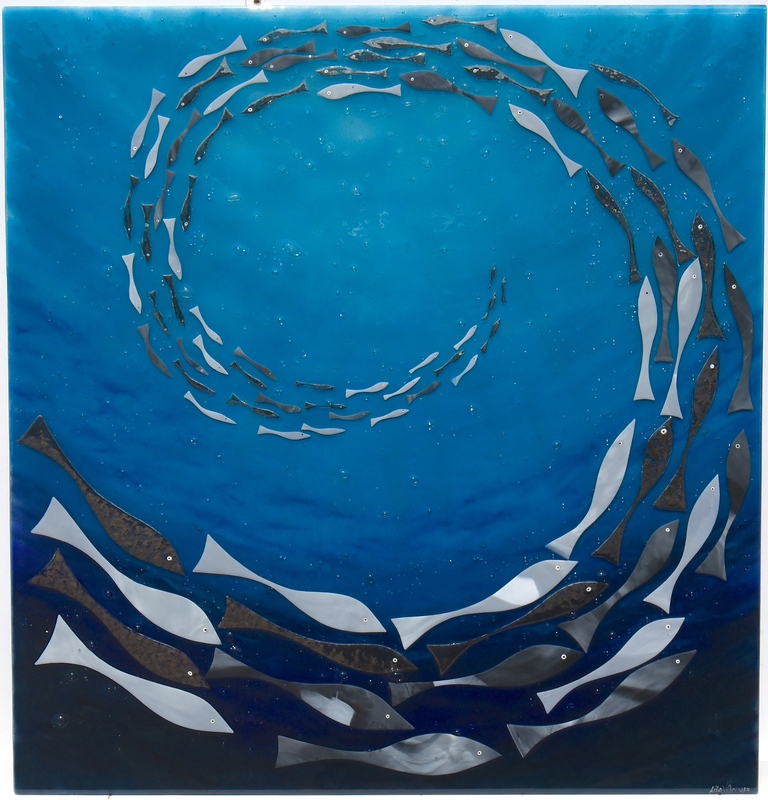 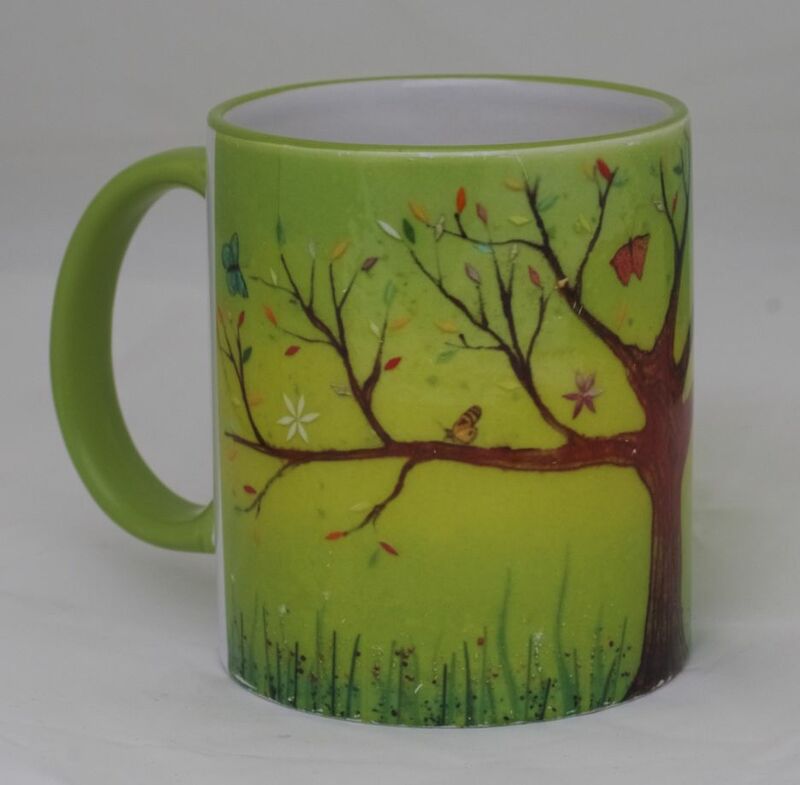 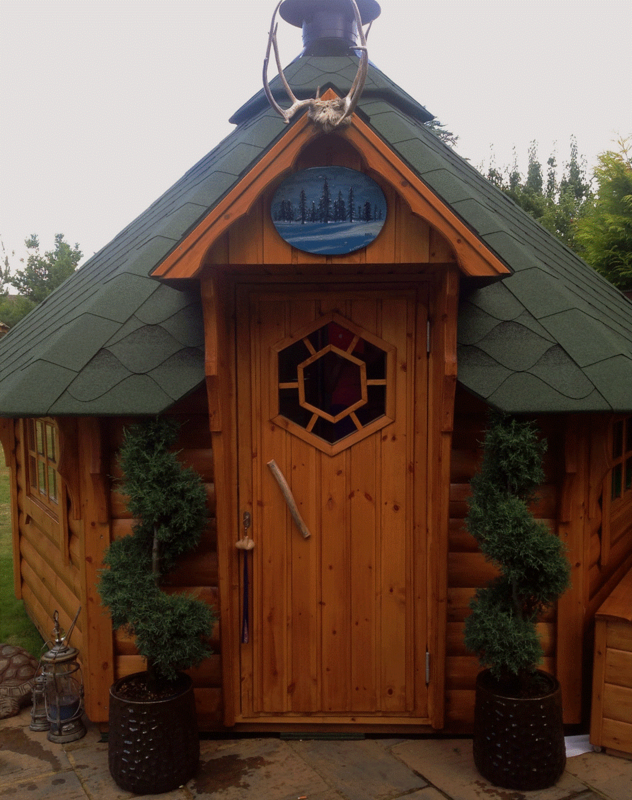 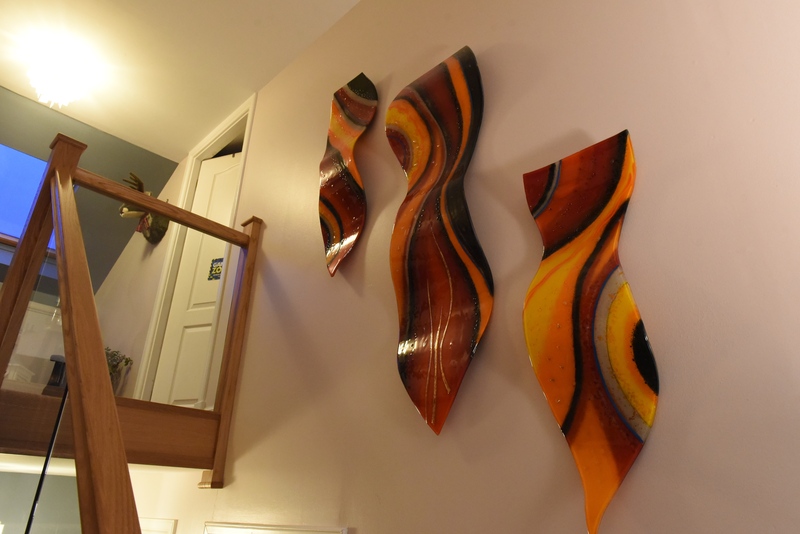 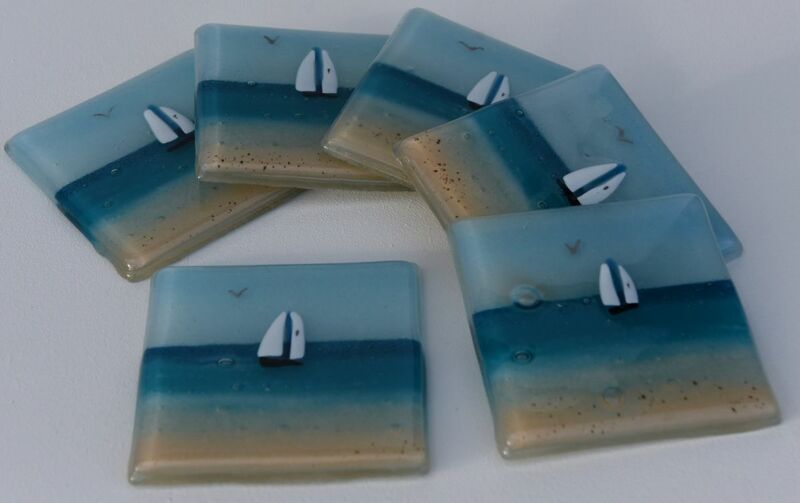 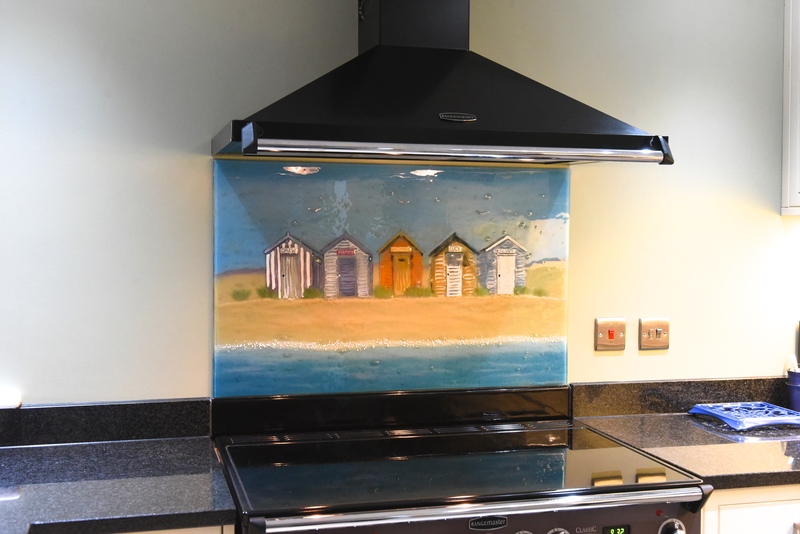 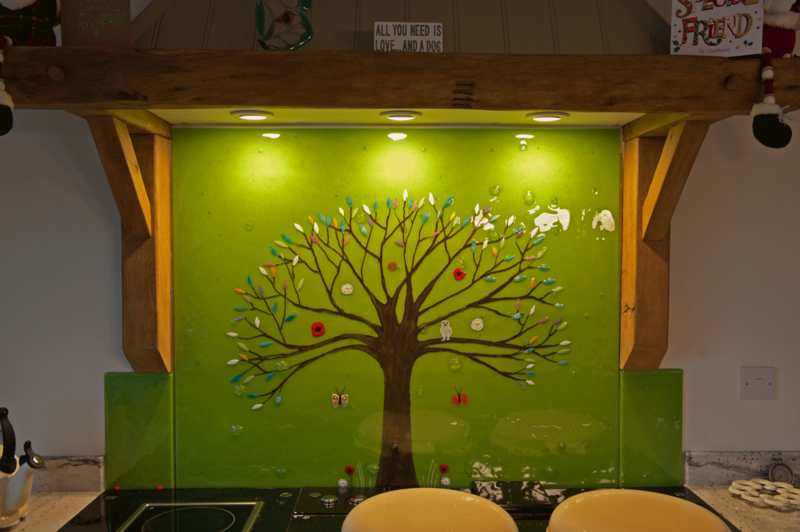 The House of Ugly Fish is the place to go for gorgeous fused glass art accessories that you wouldn’t find anywhere else, and our kilns are more than ready to produce something special for you. 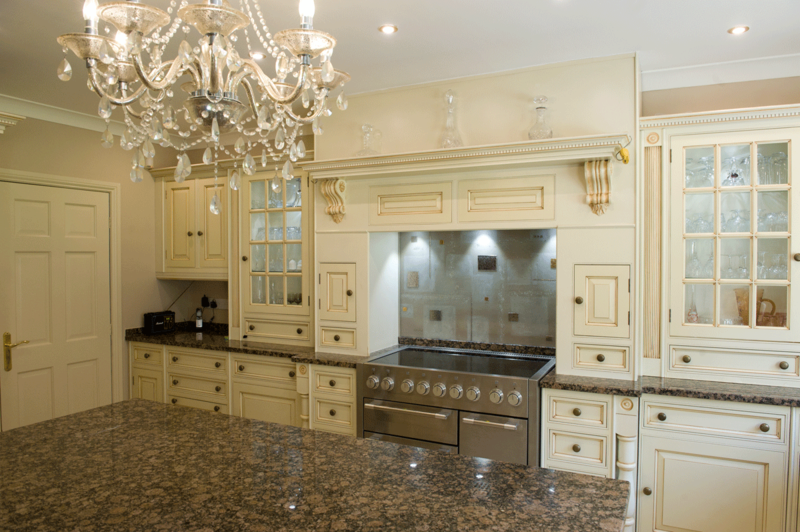 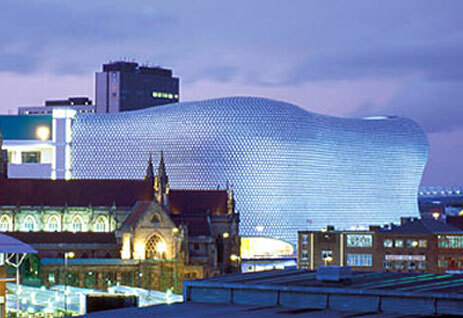 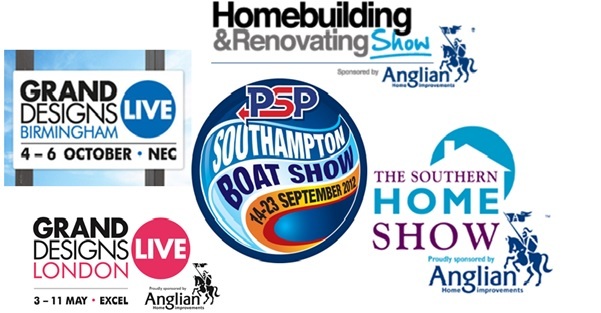 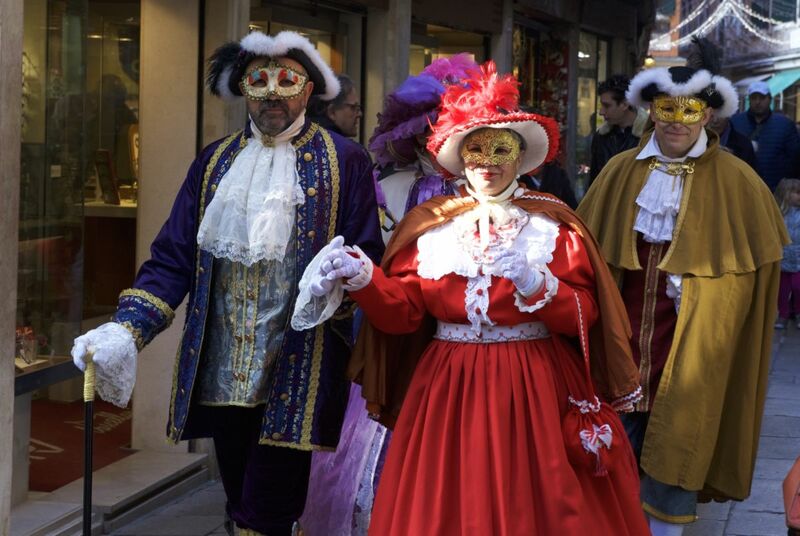 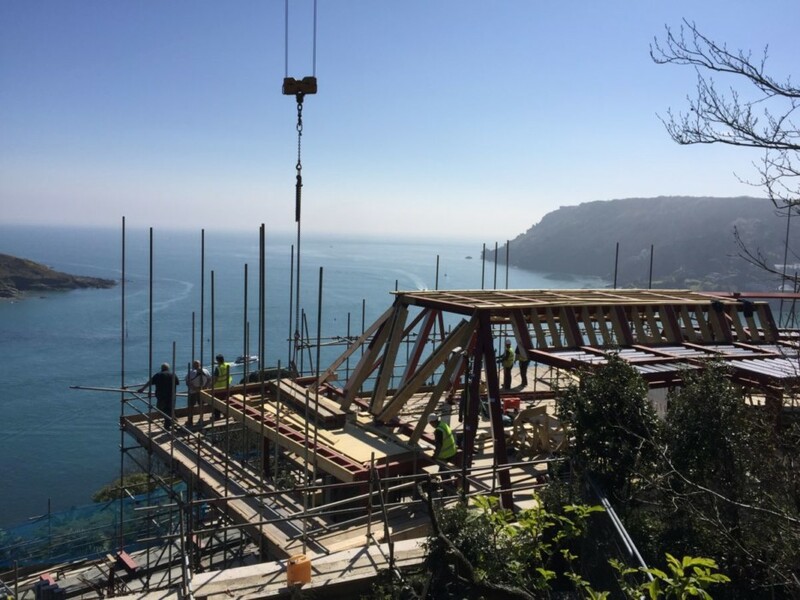 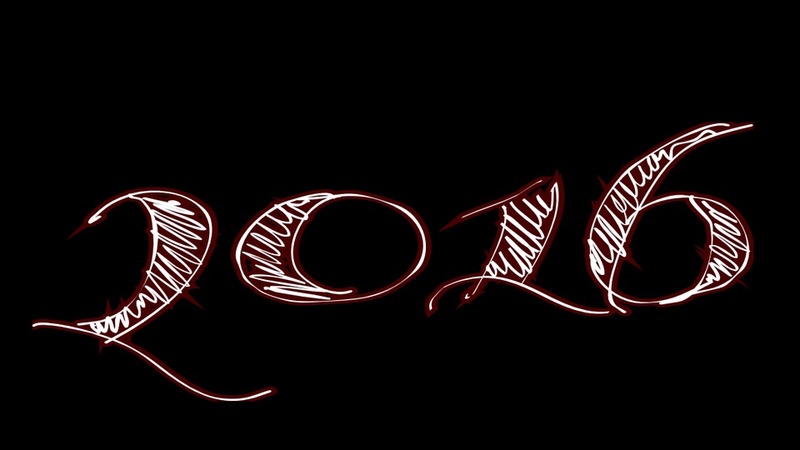 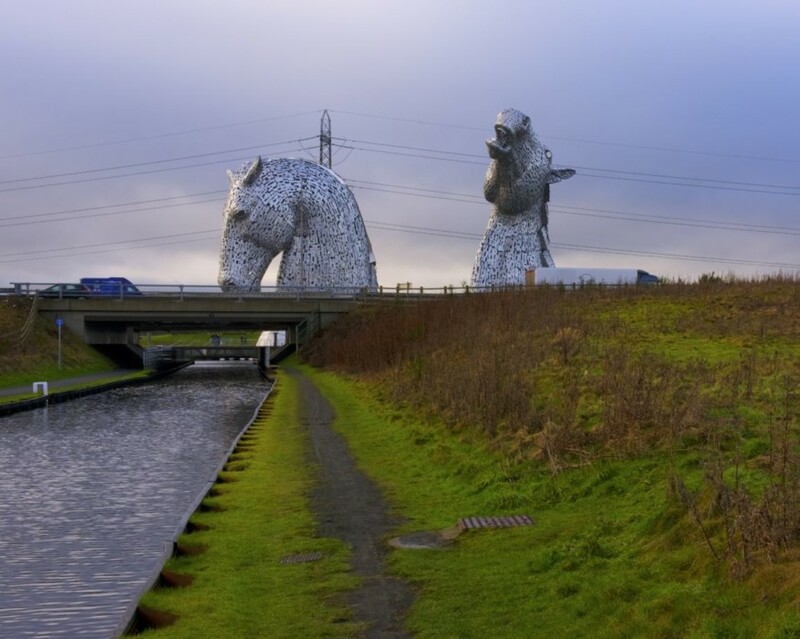 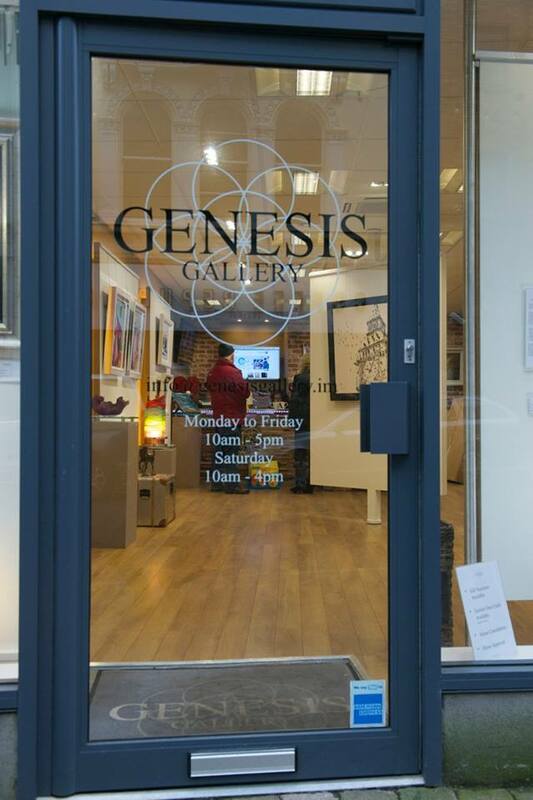 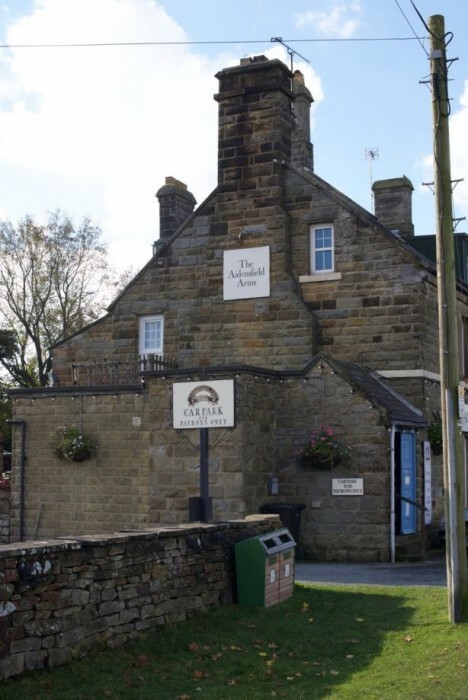 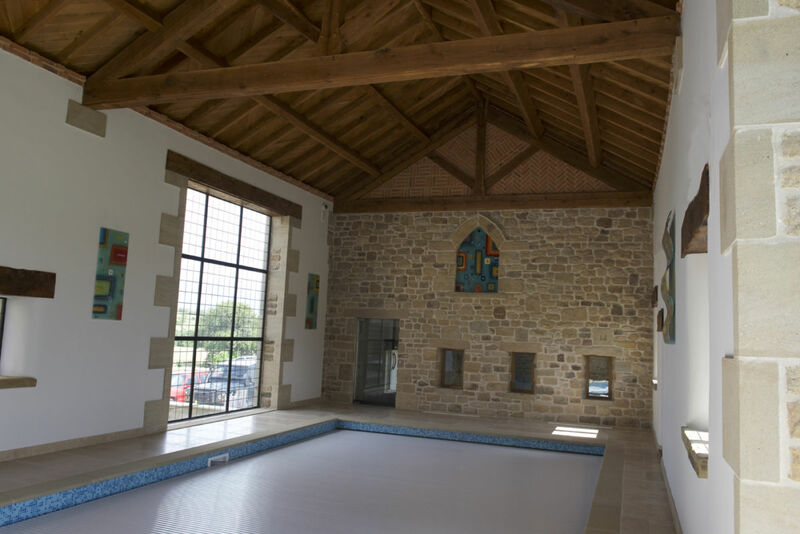 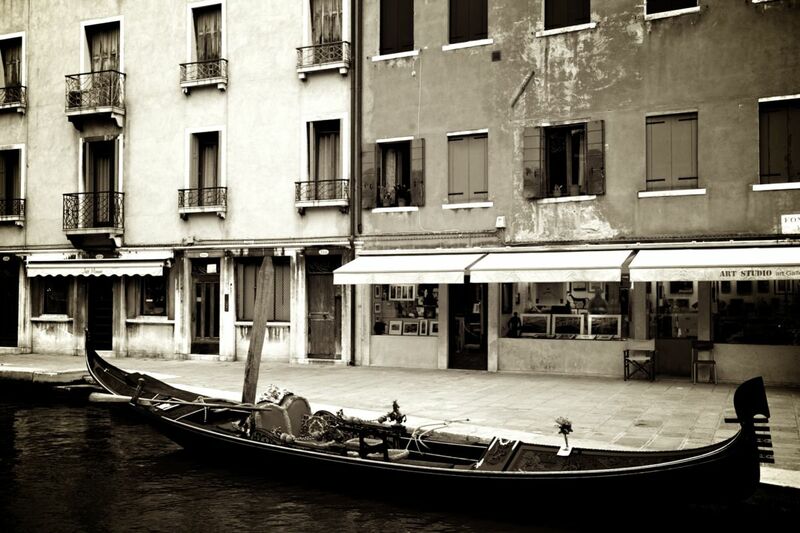 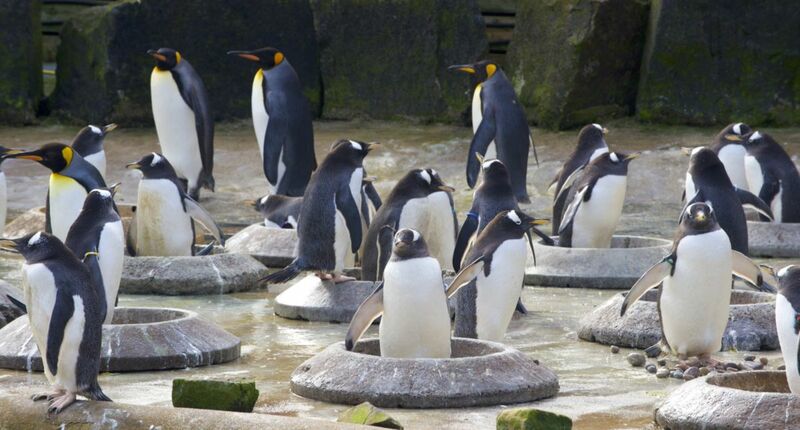 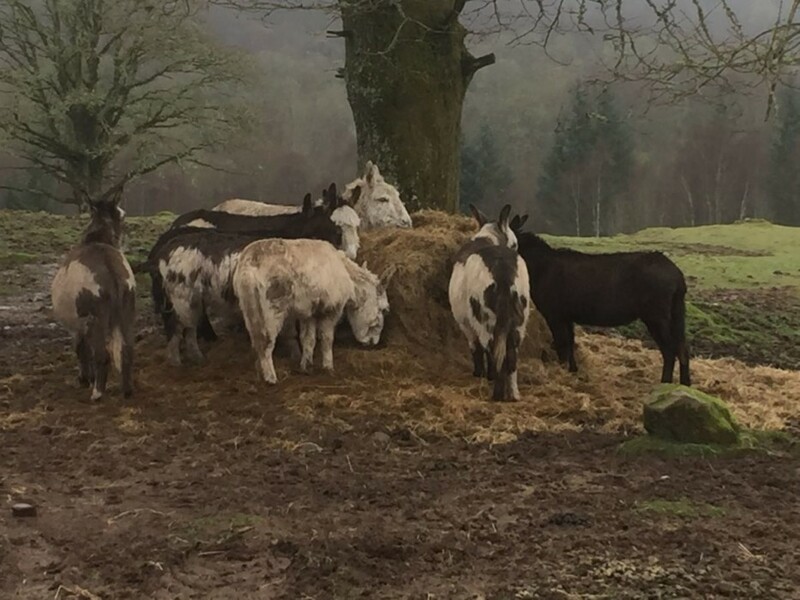 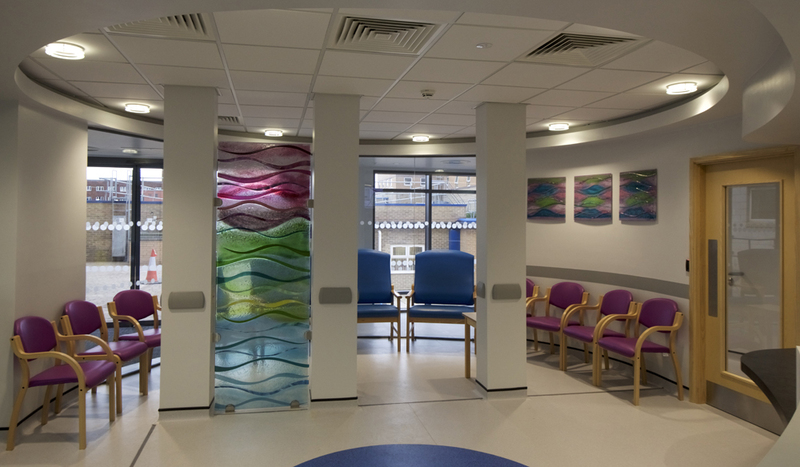 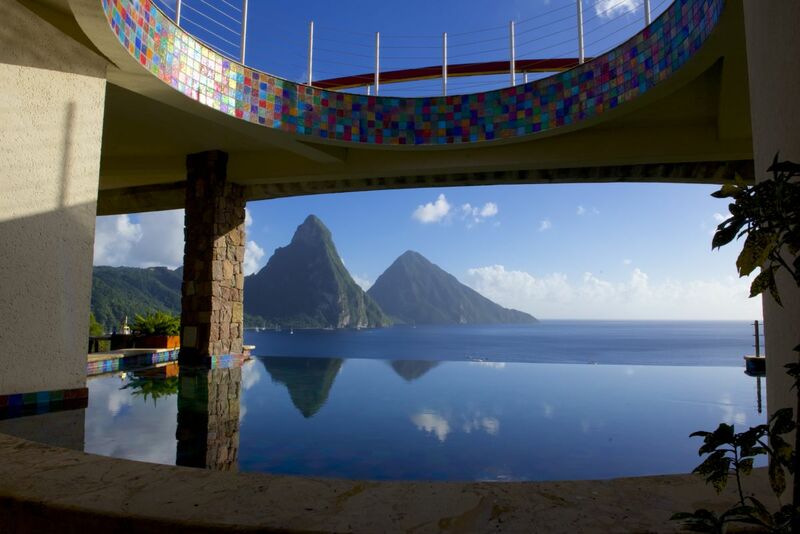 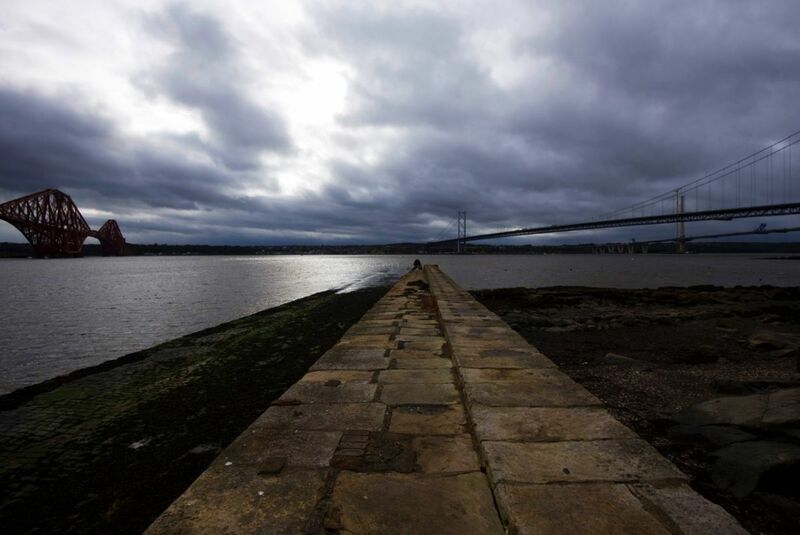 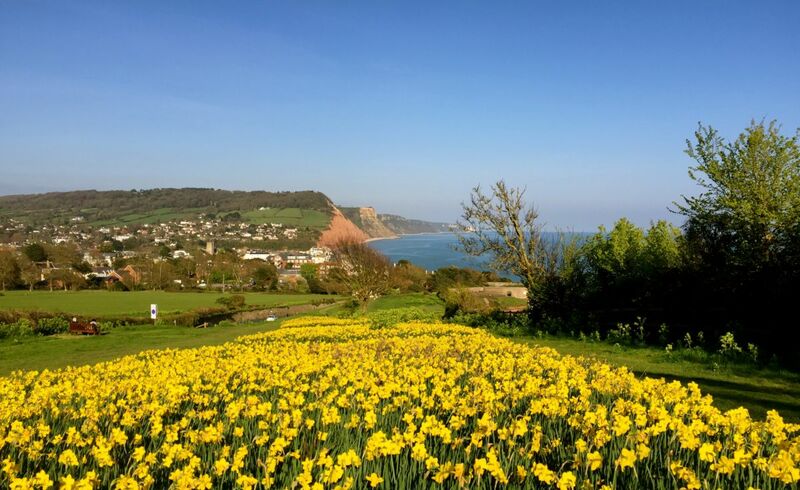 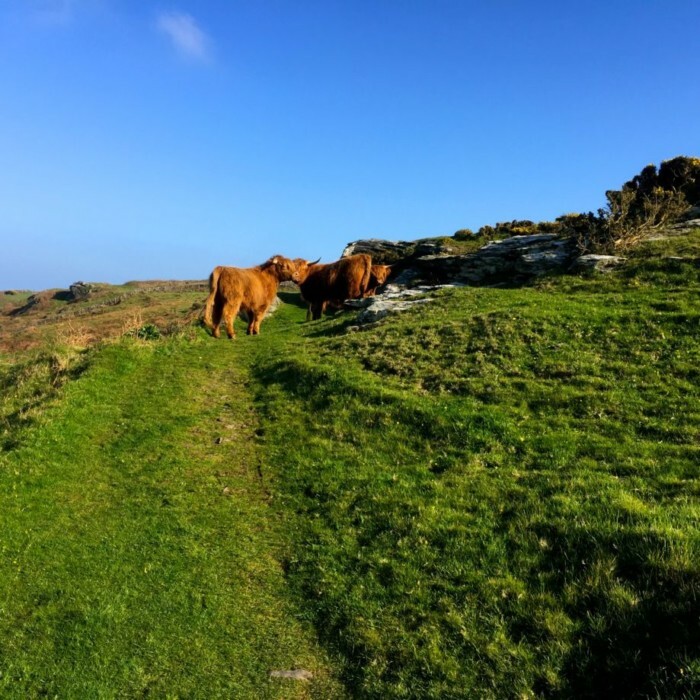 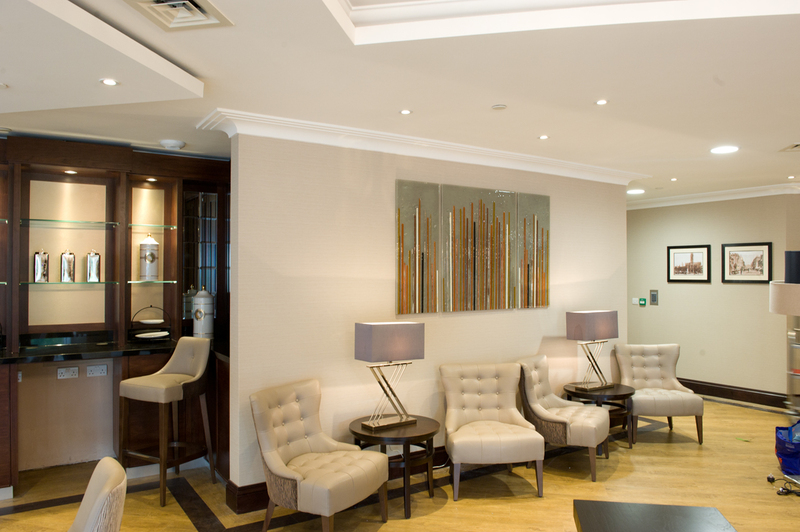 Our full contact details can be found here on our website, so don’t wait to get in touch!